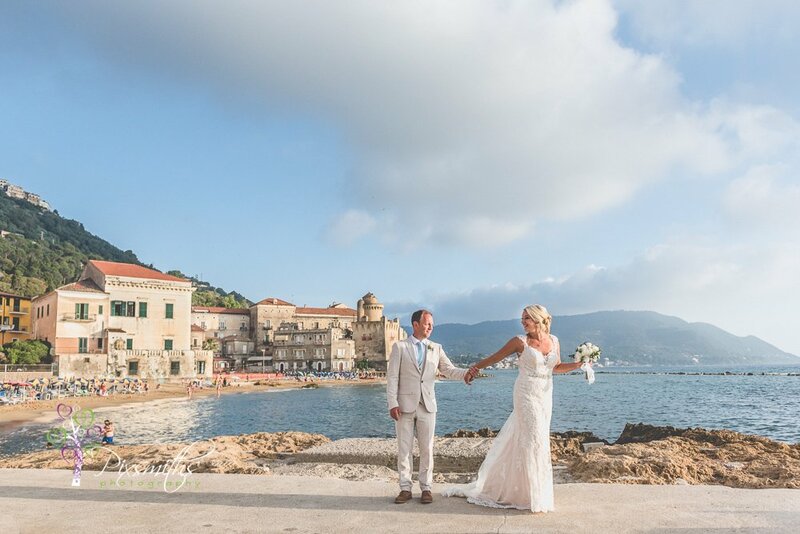 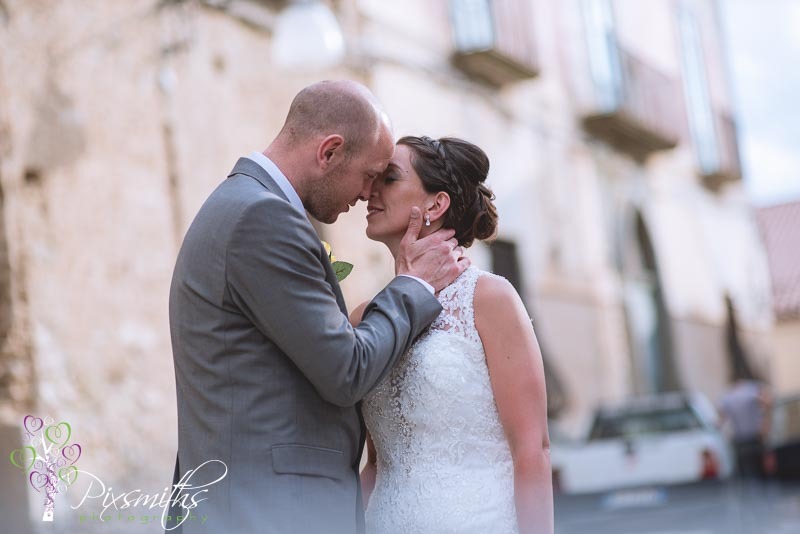 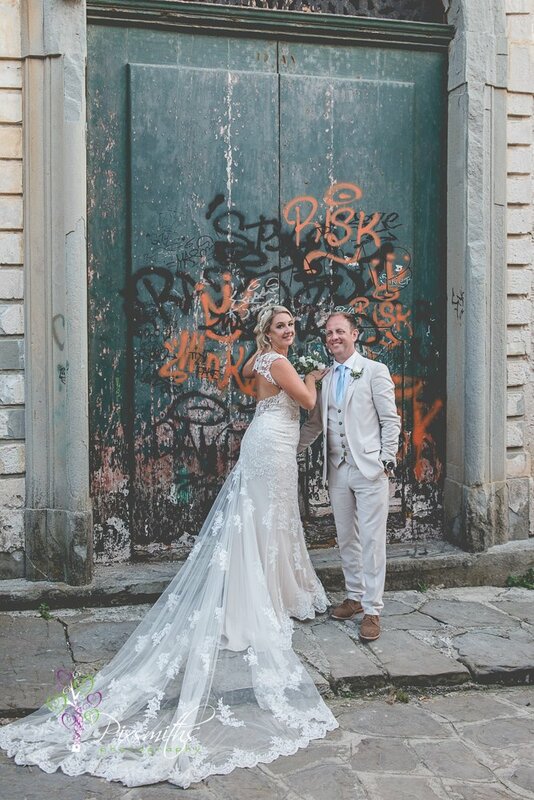 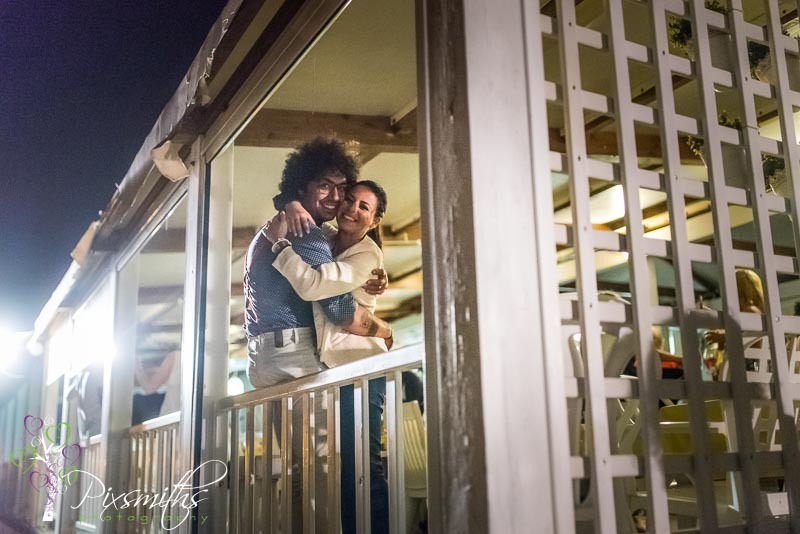 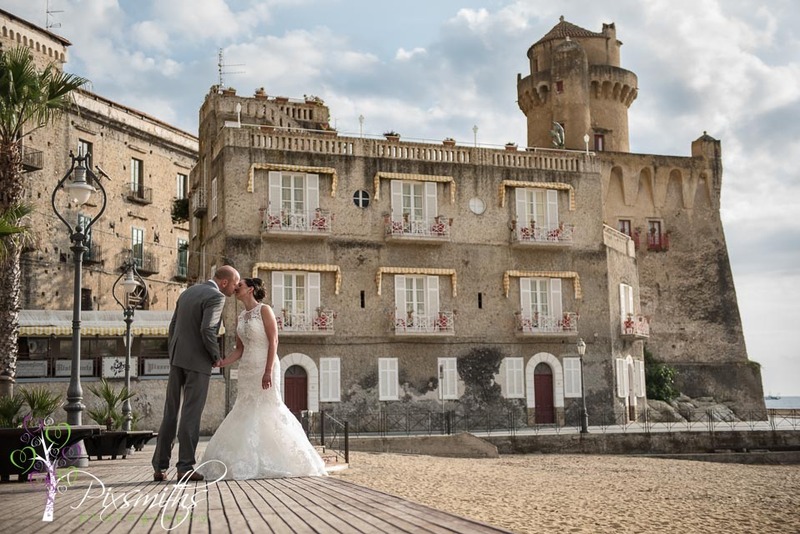 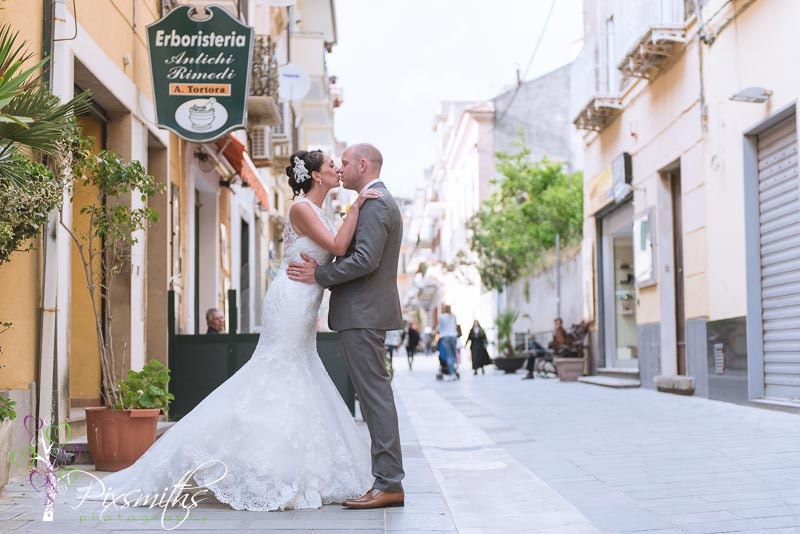 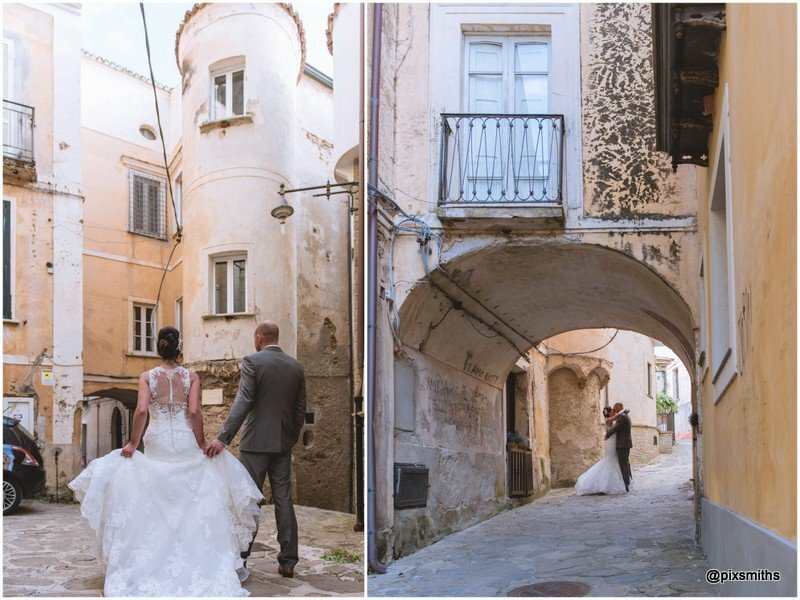 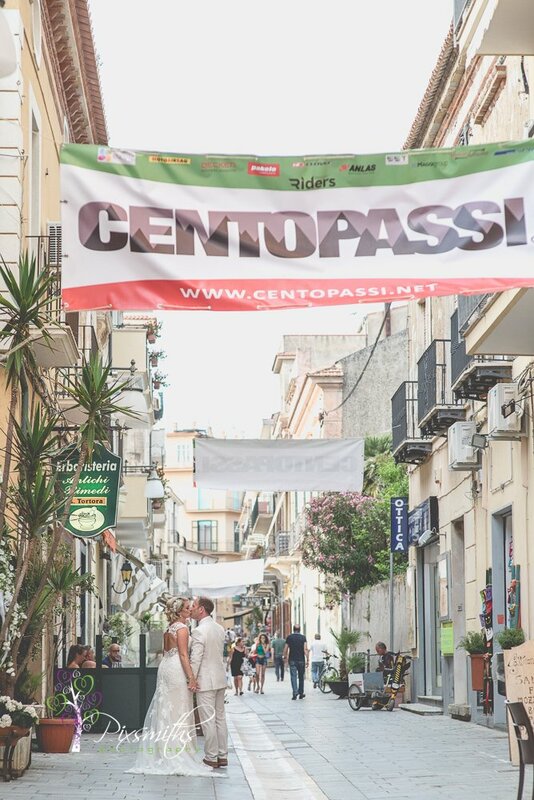 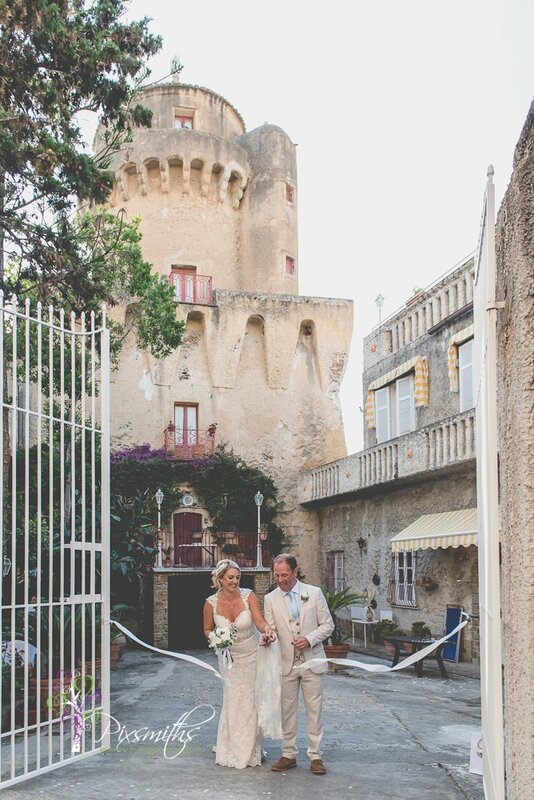 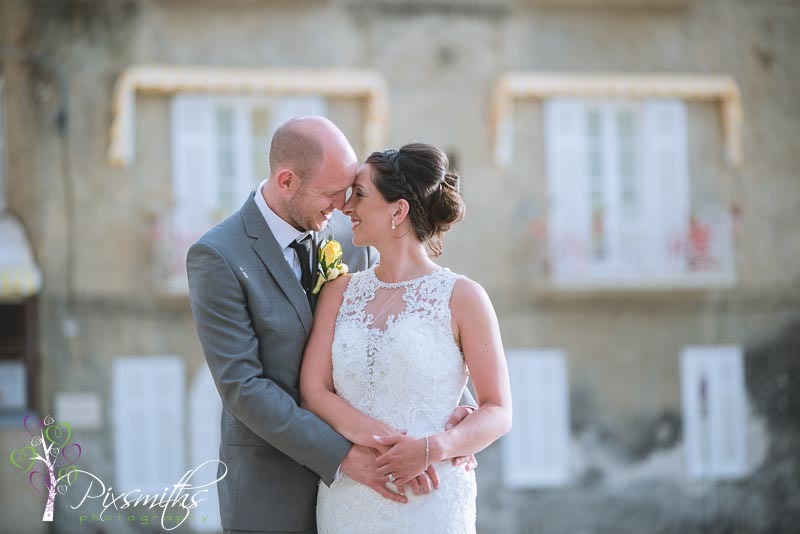 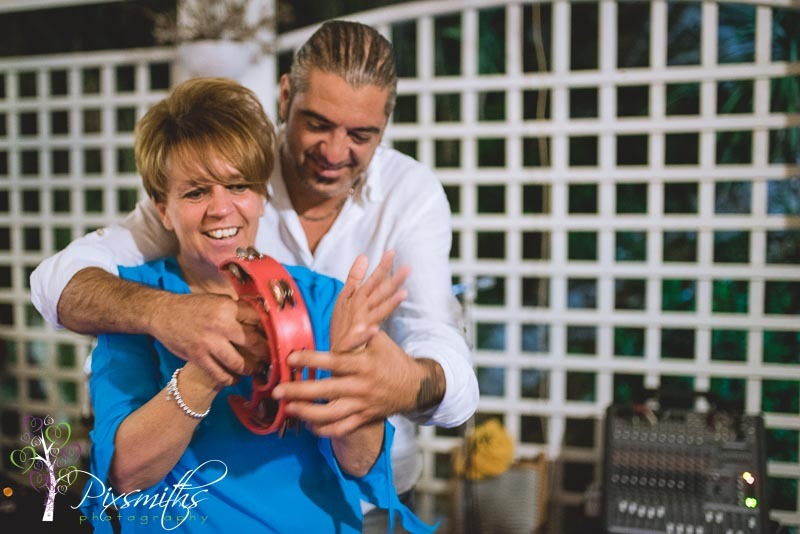 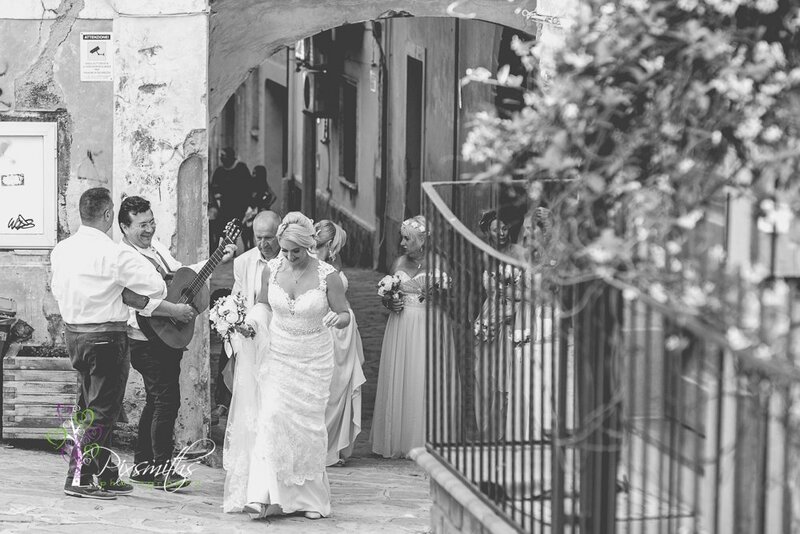 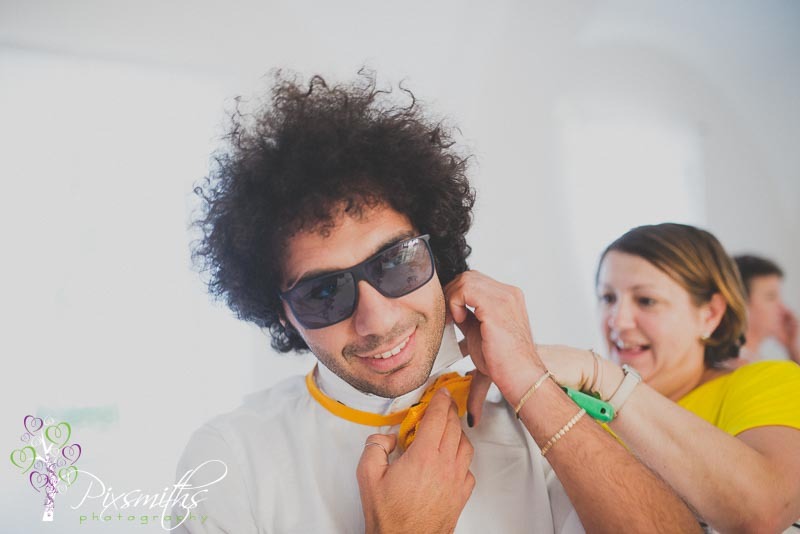 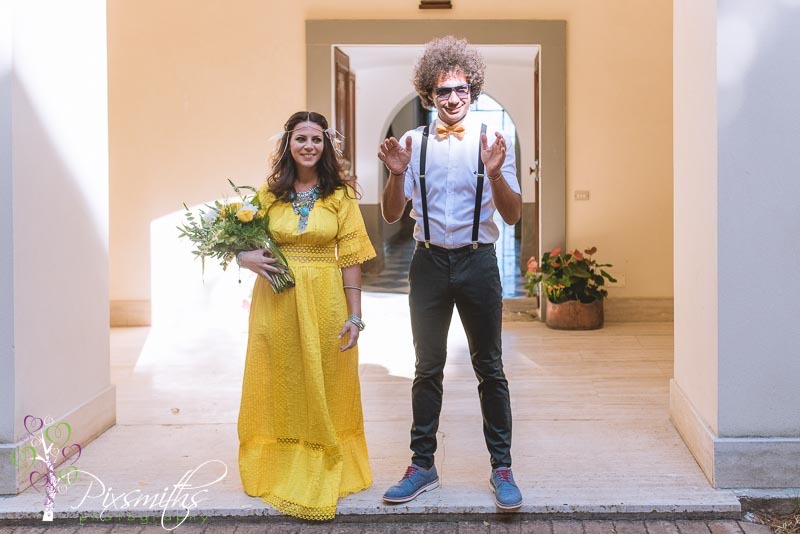 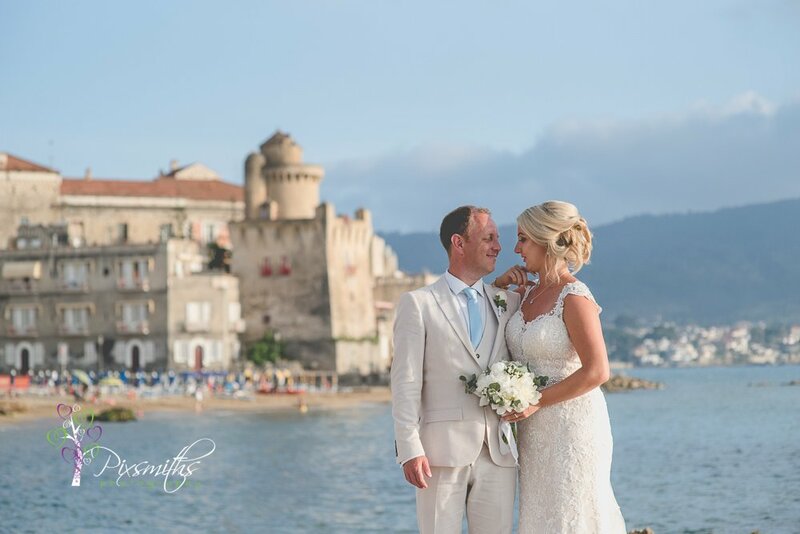 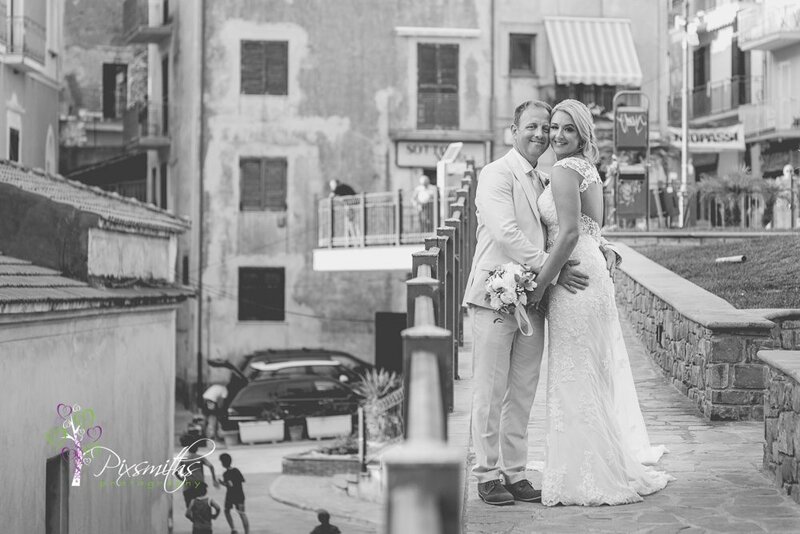 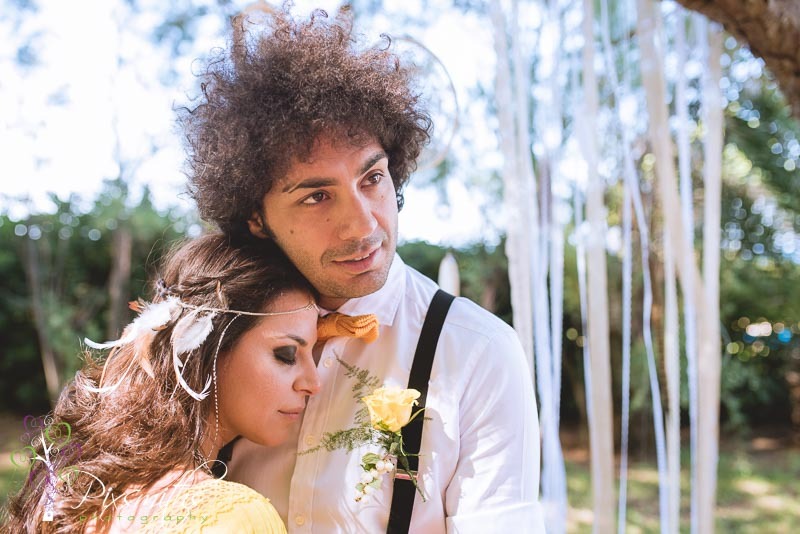 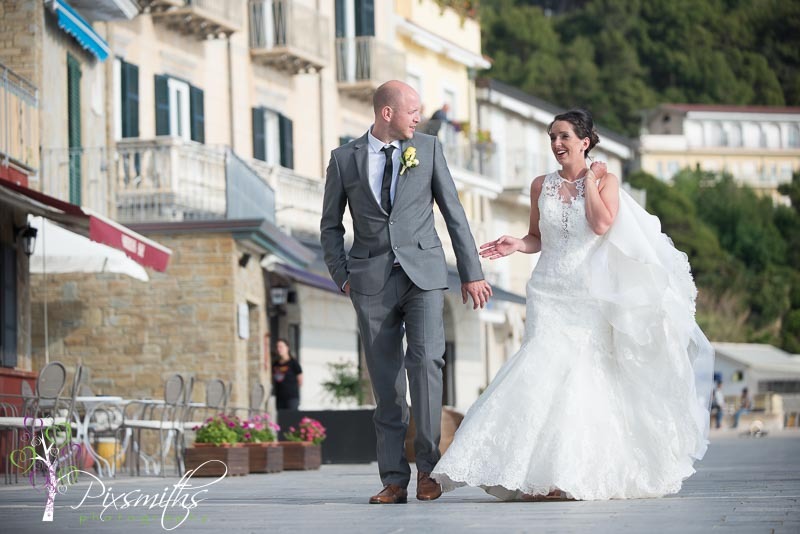 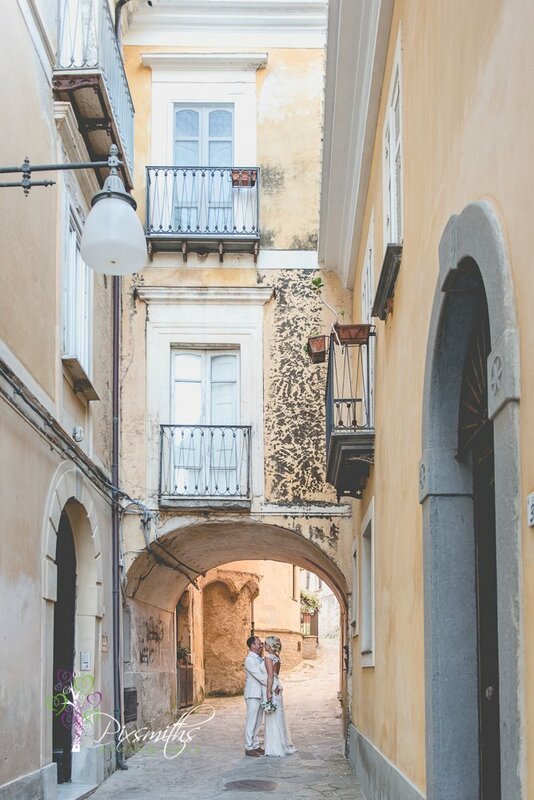 A loved up Italian couple, wow what chemistry Luigi and Antonia! 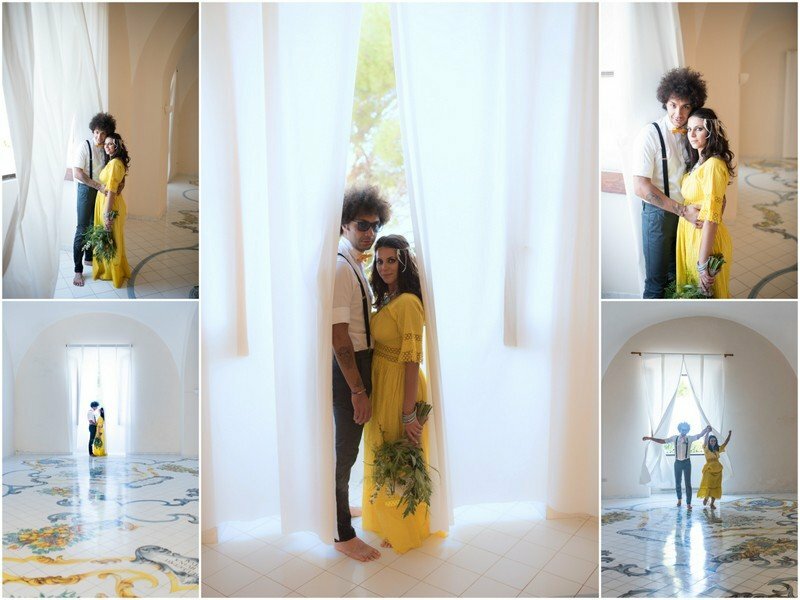 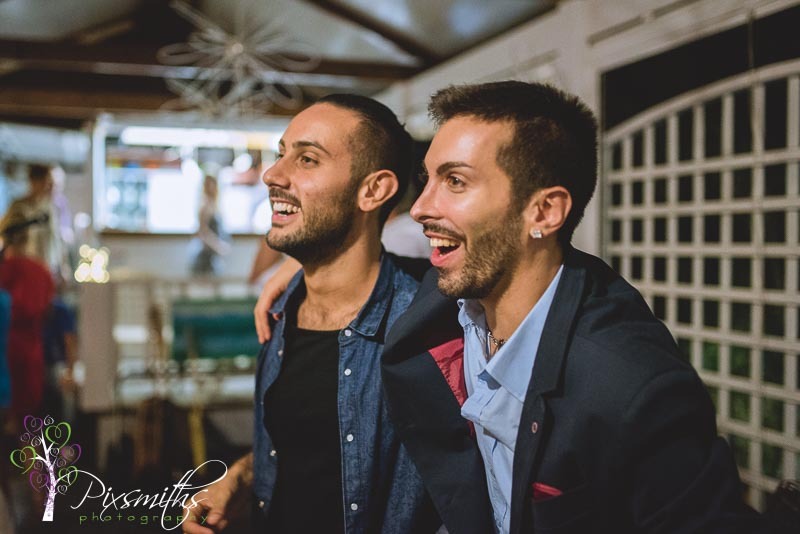 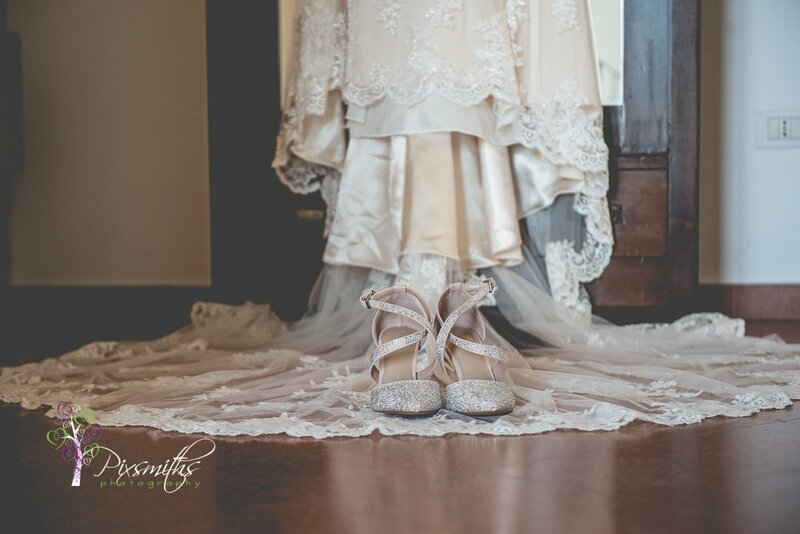 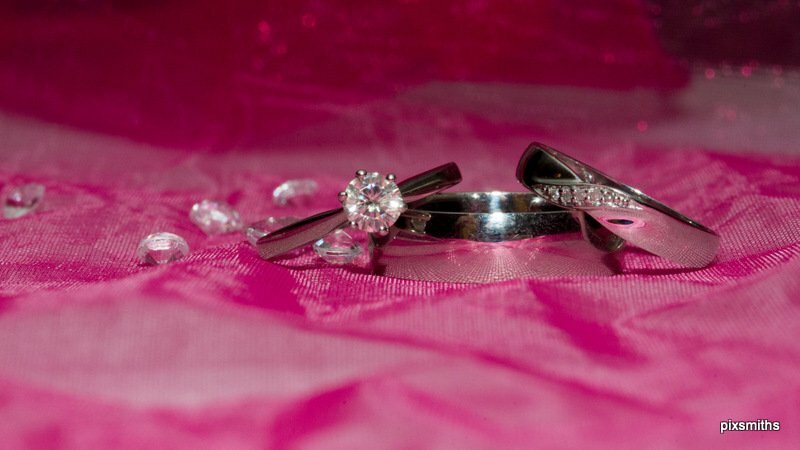 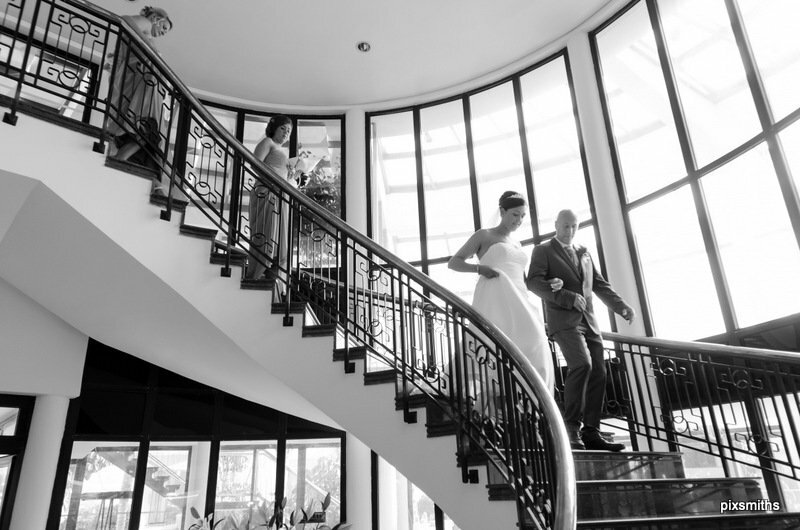 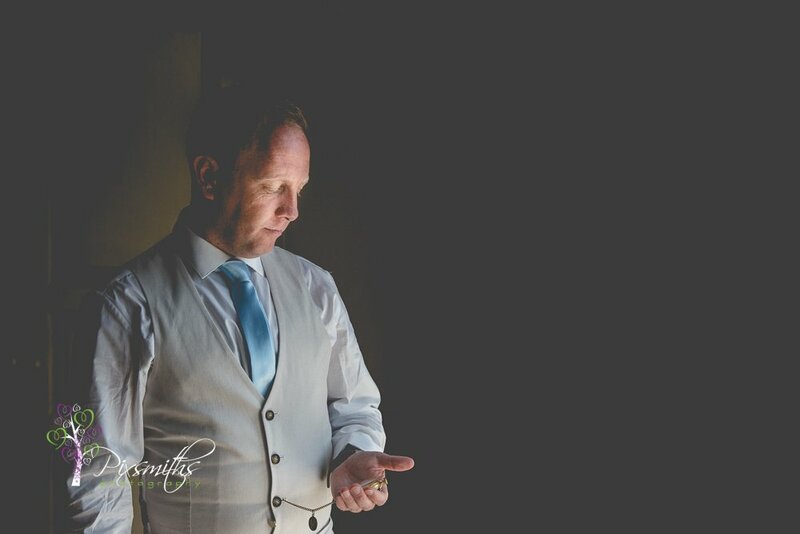 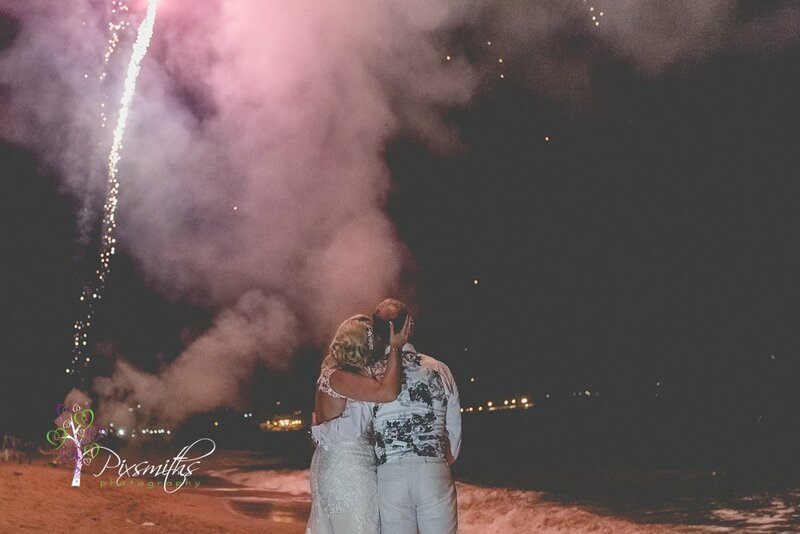 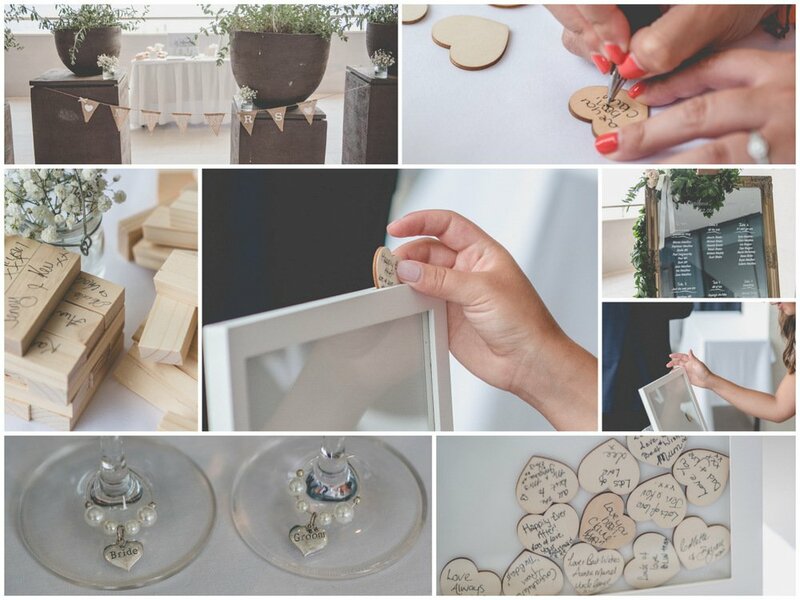 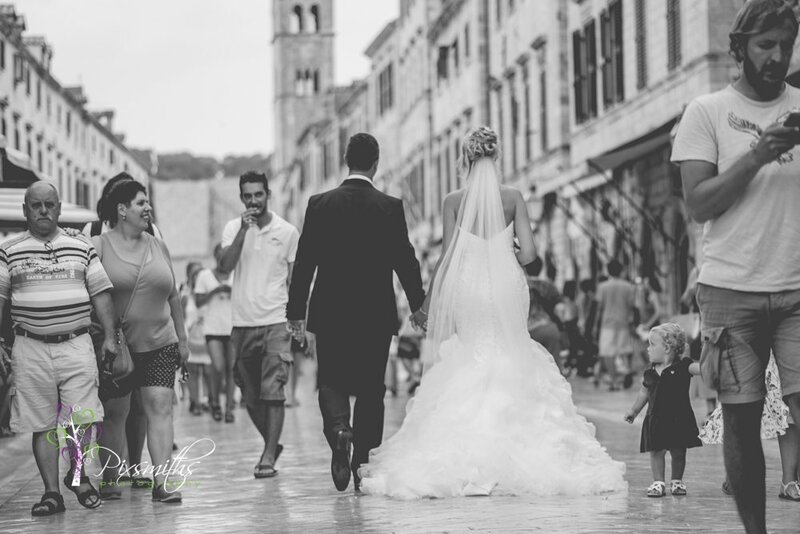 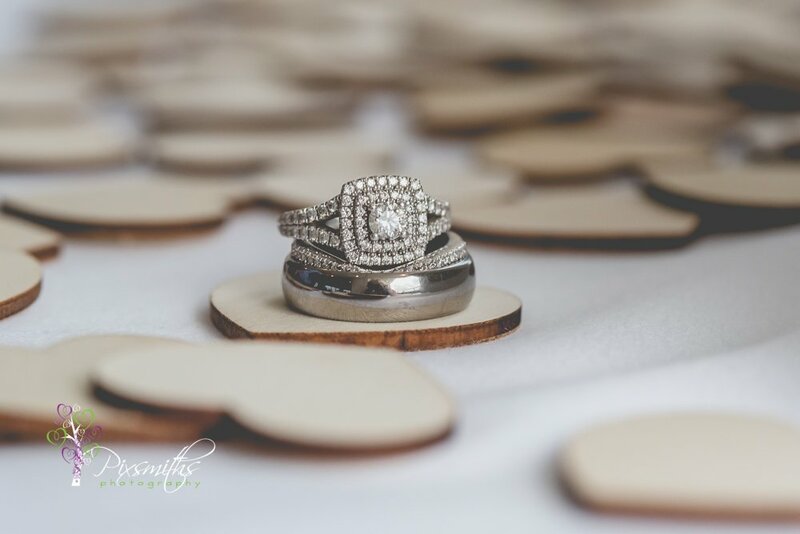 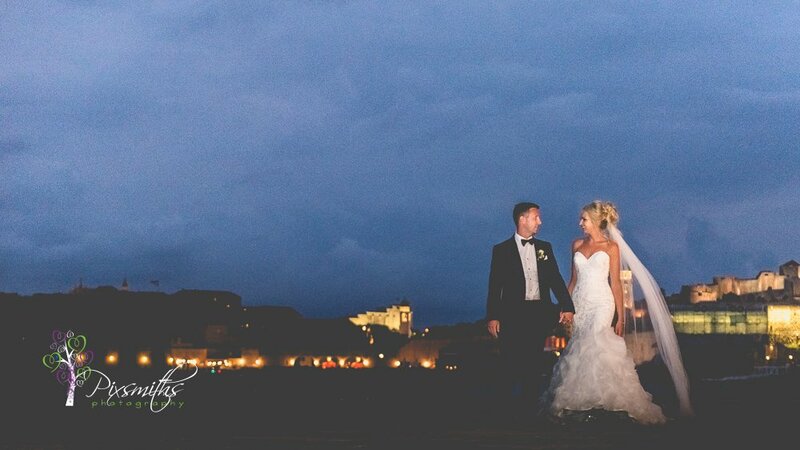 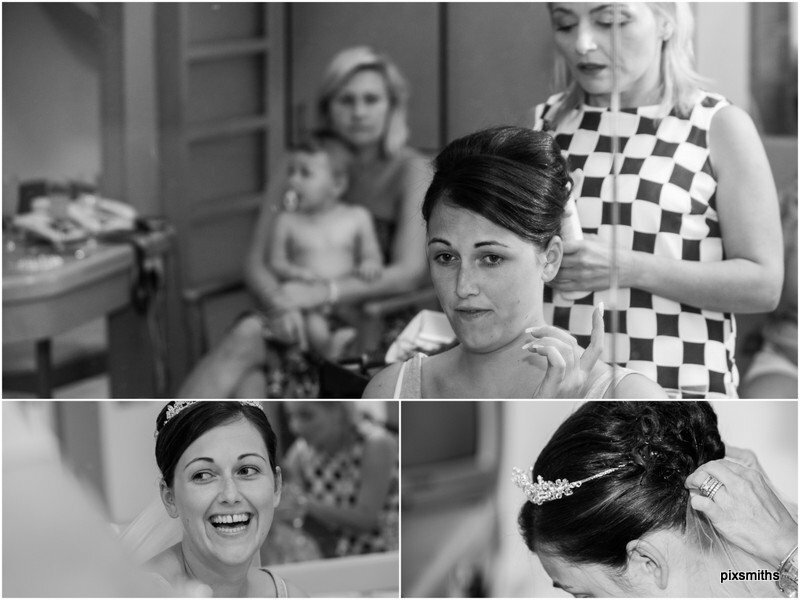 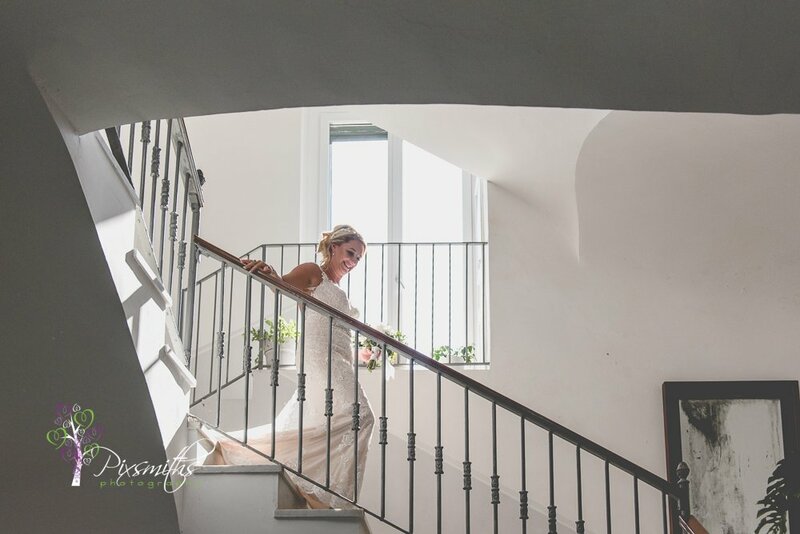 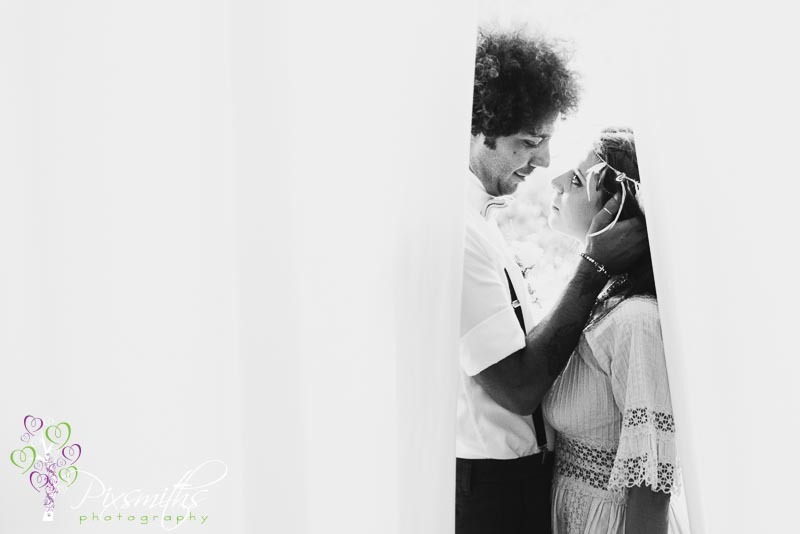 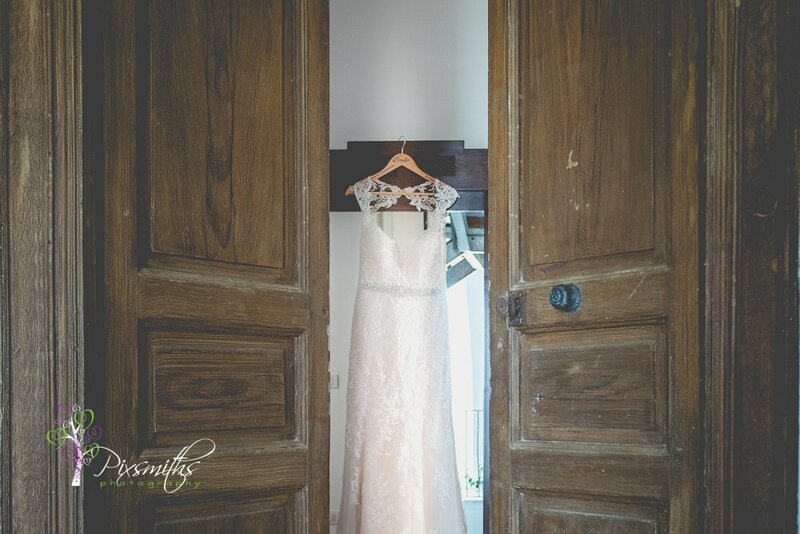 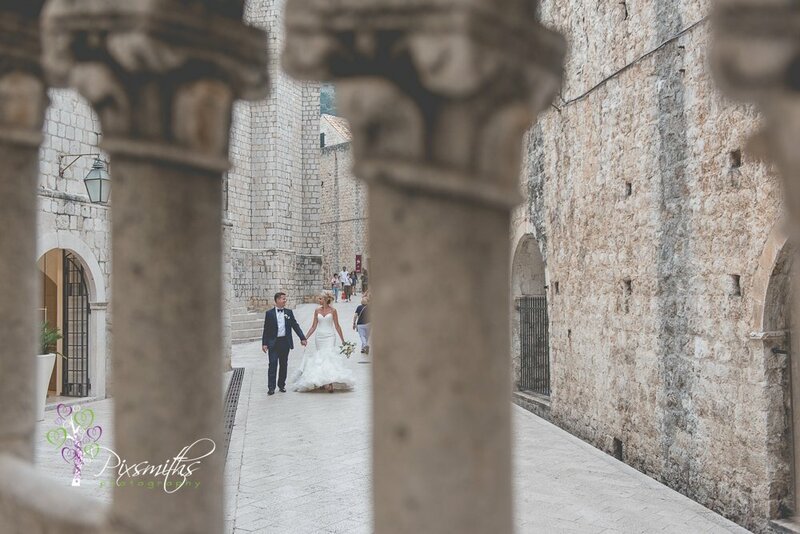 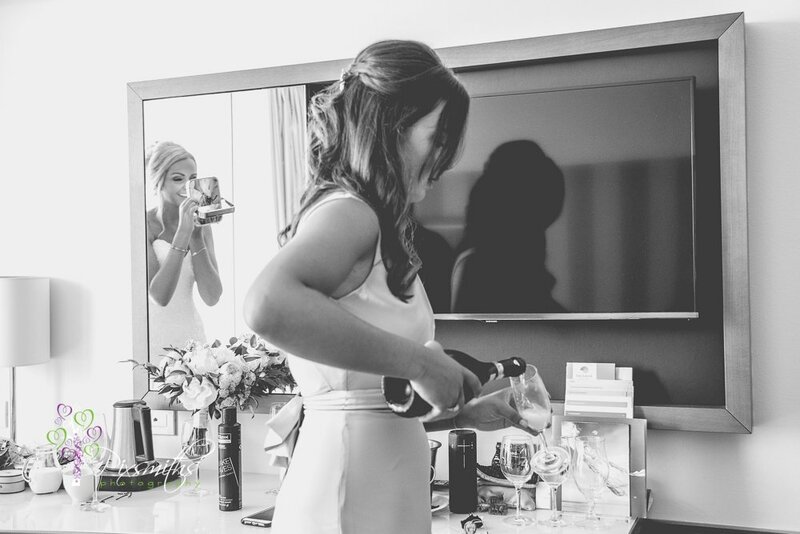 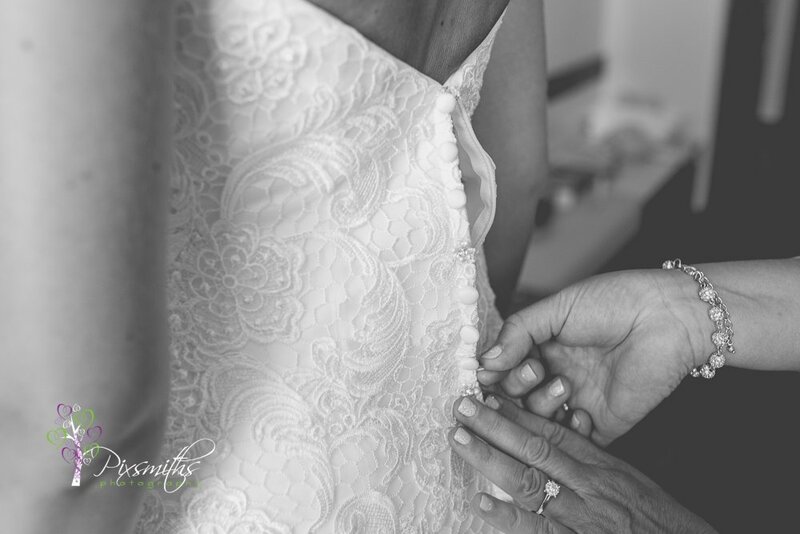 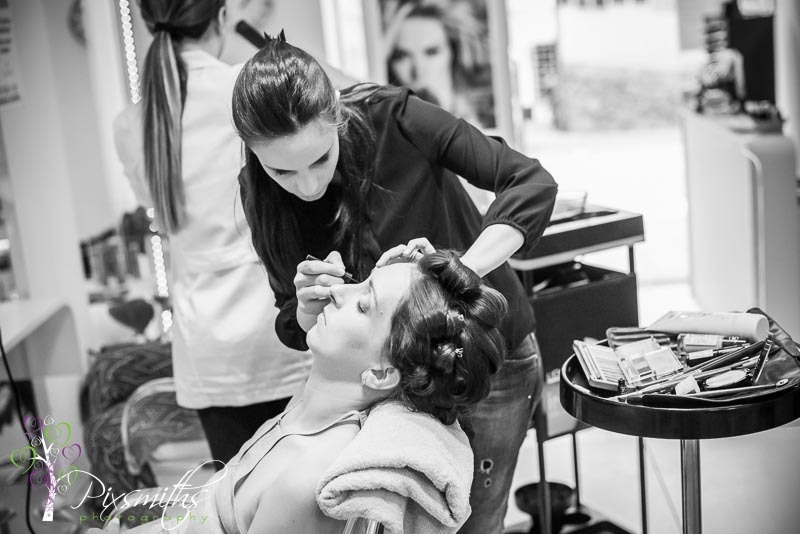 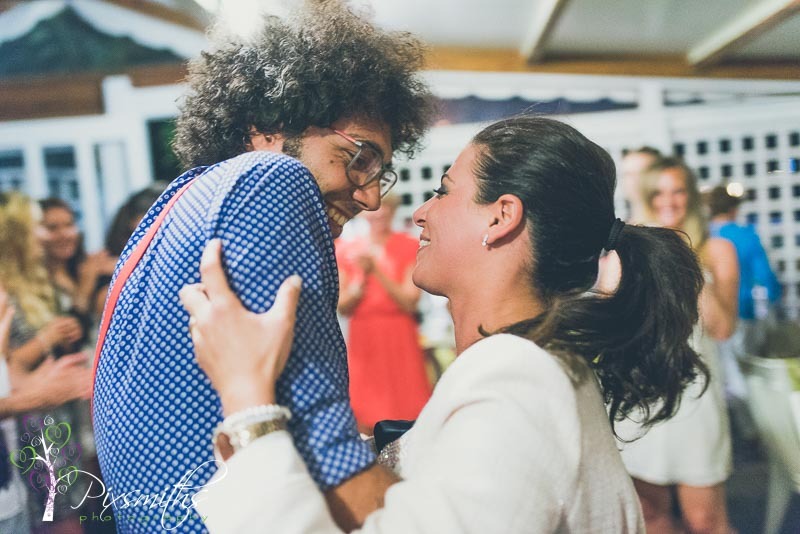 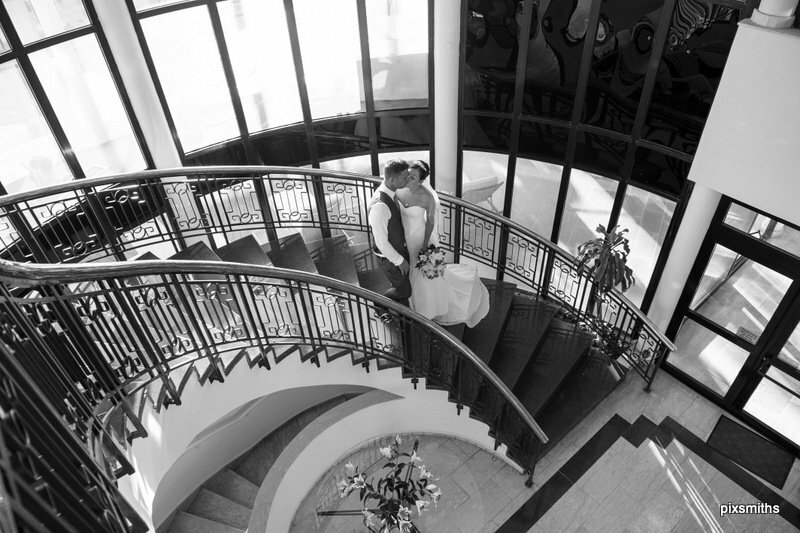 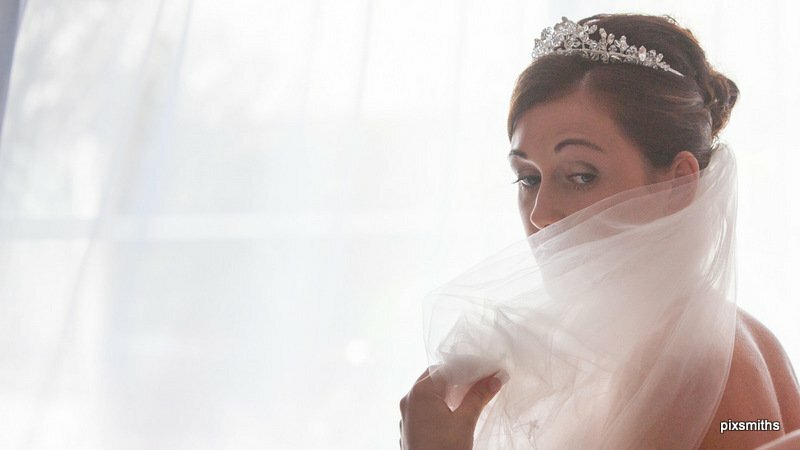 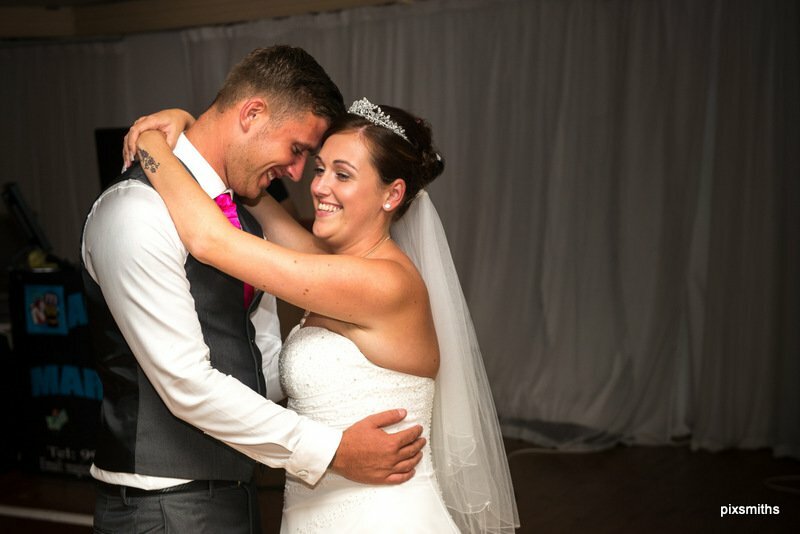 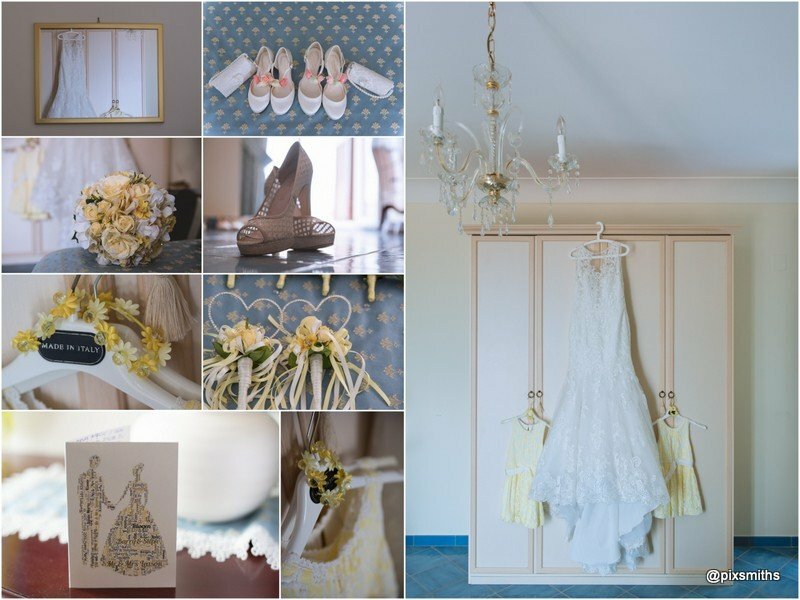 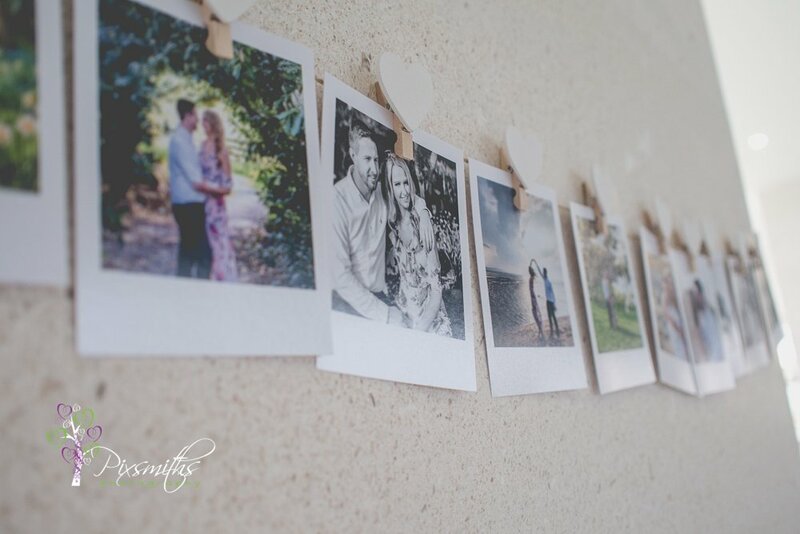 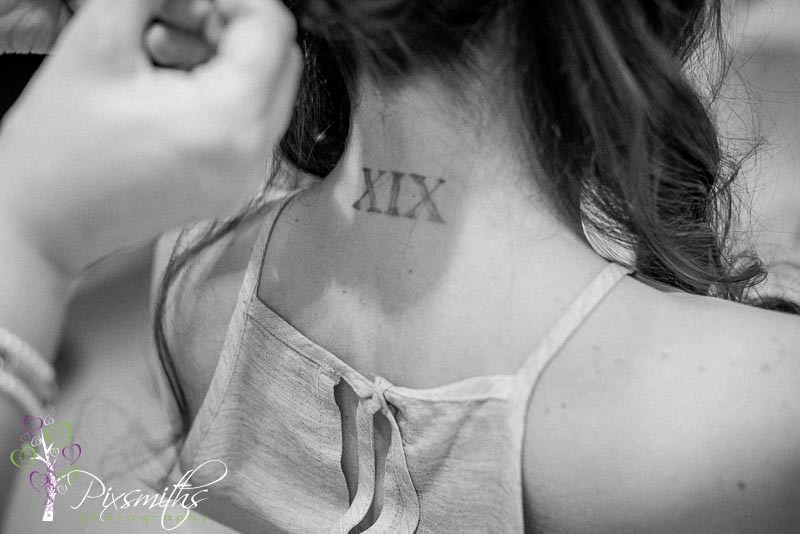 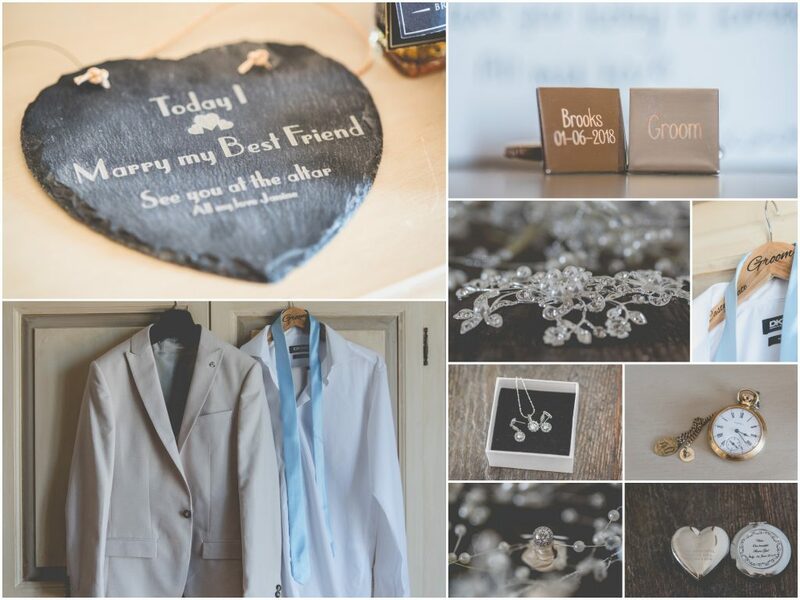 …well they were married just a few days ago for real, it really shine through these images. 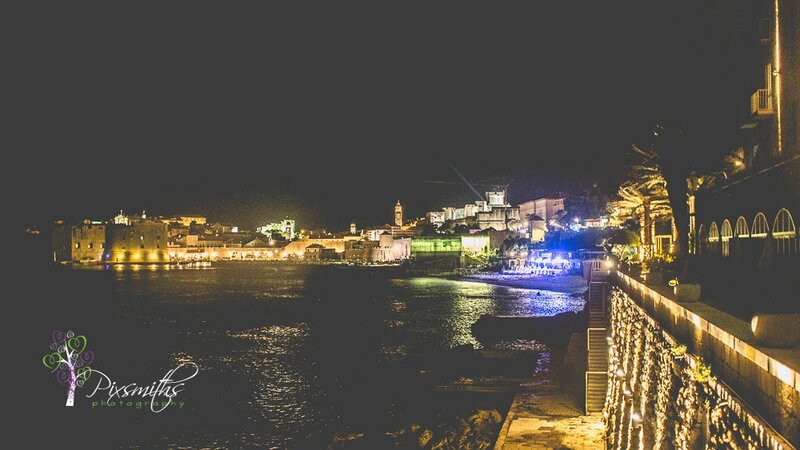 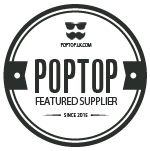 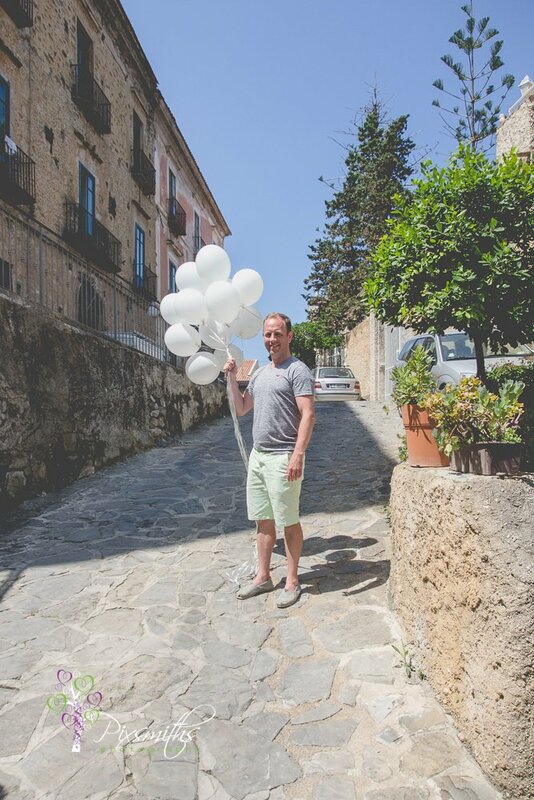 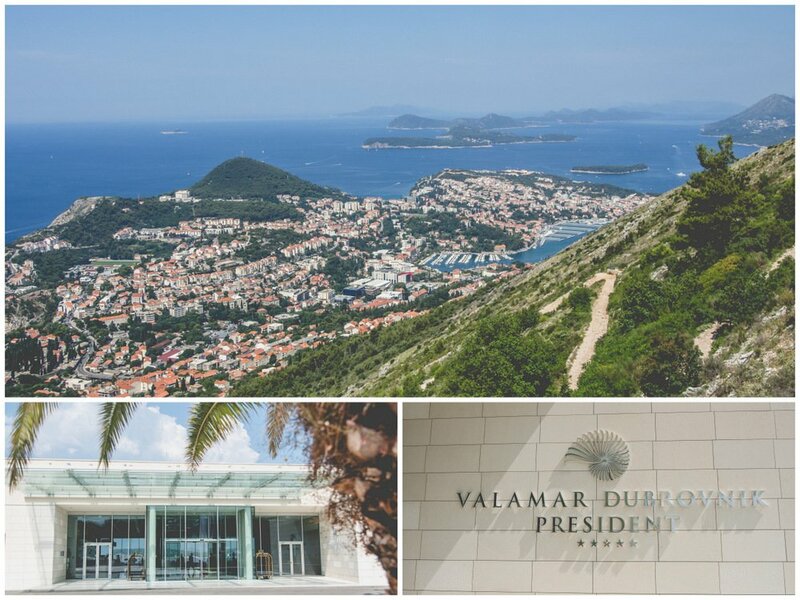 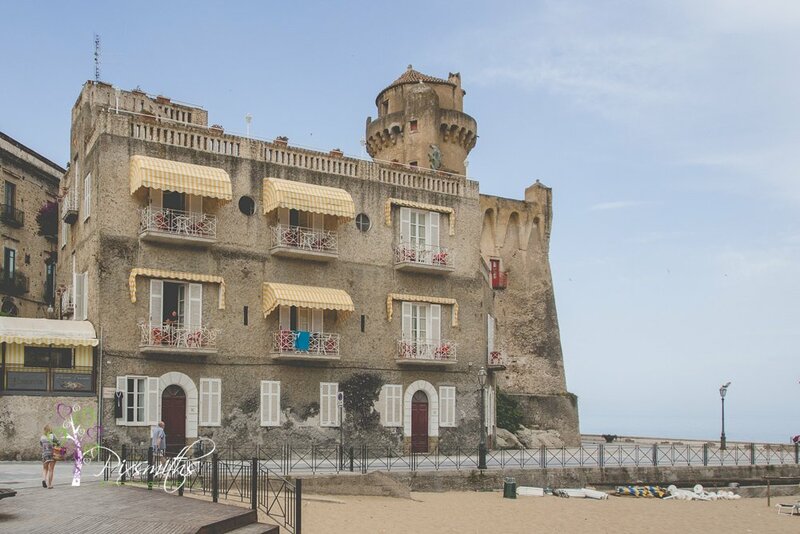 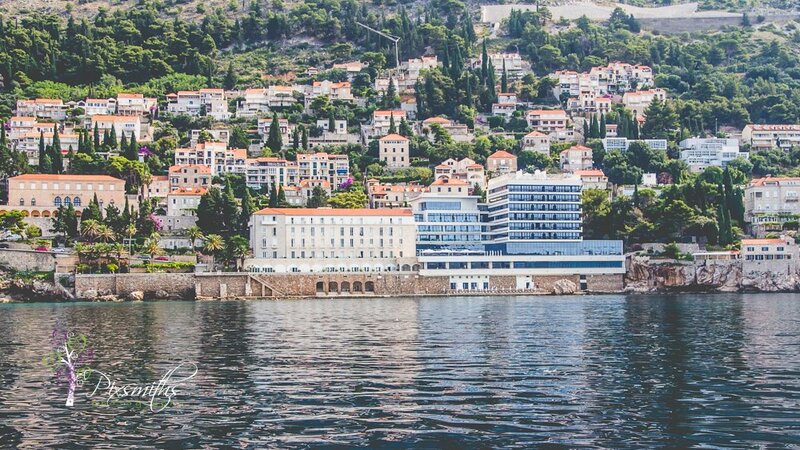 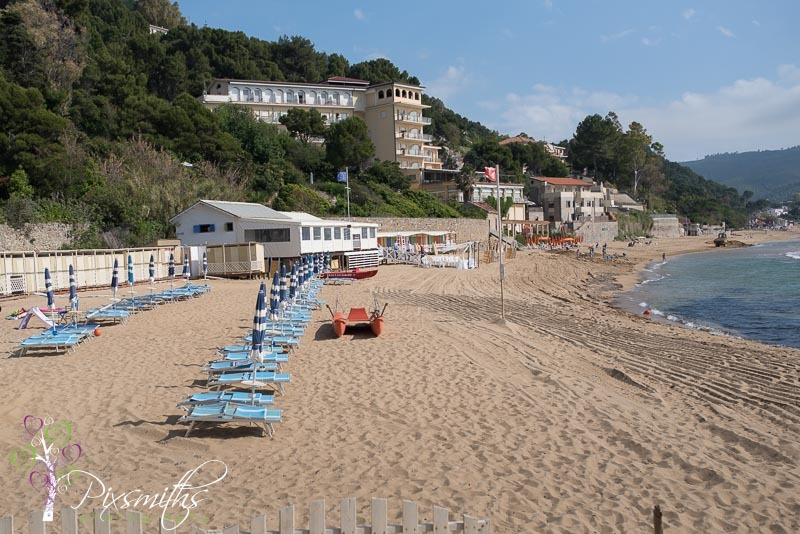 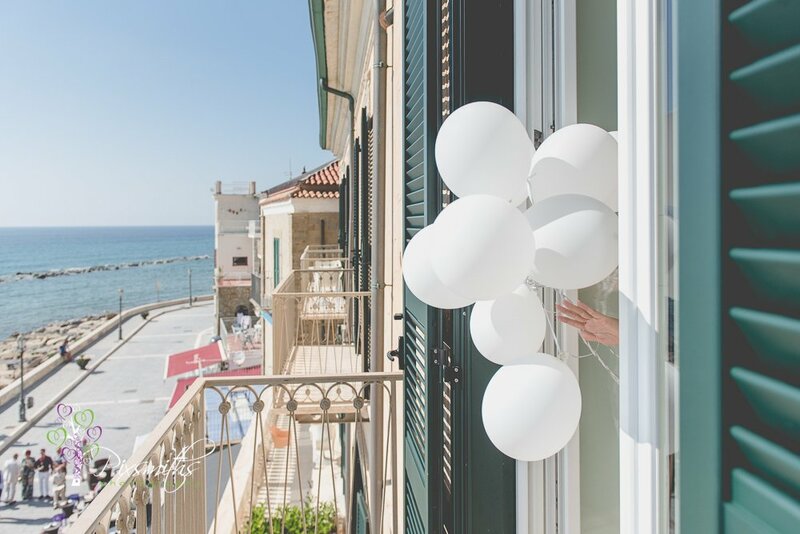 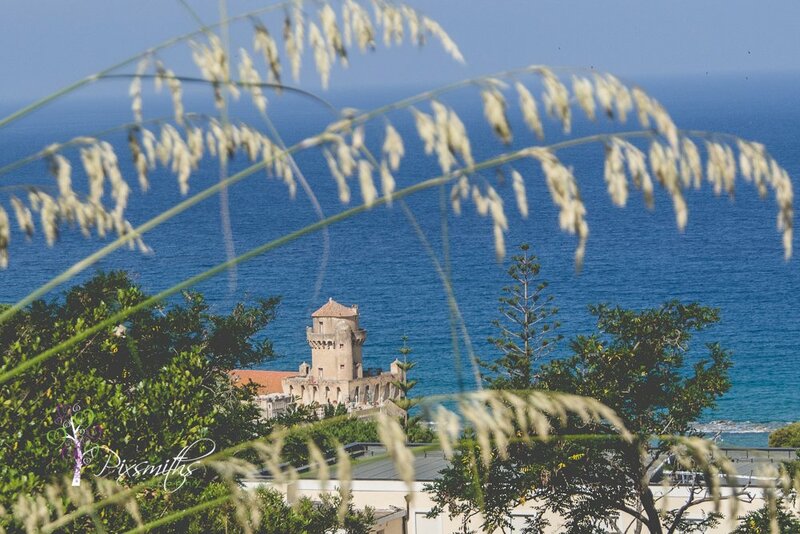 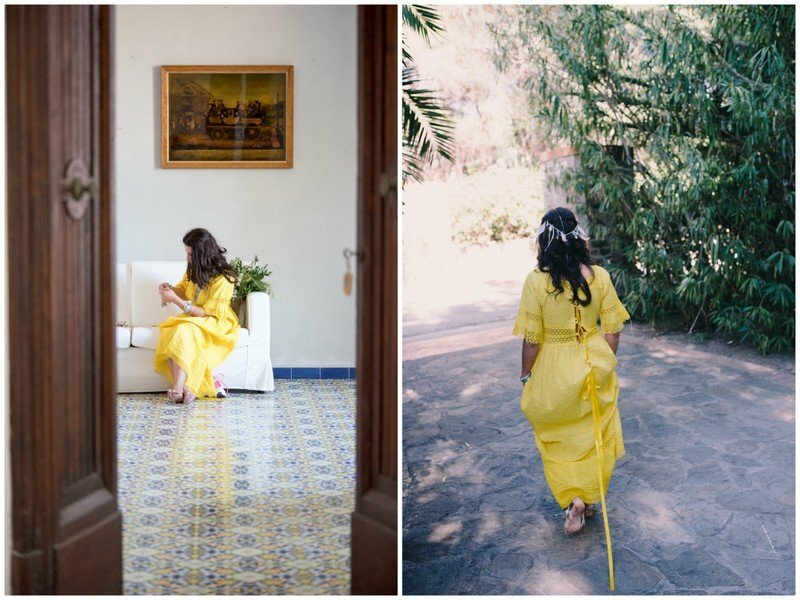 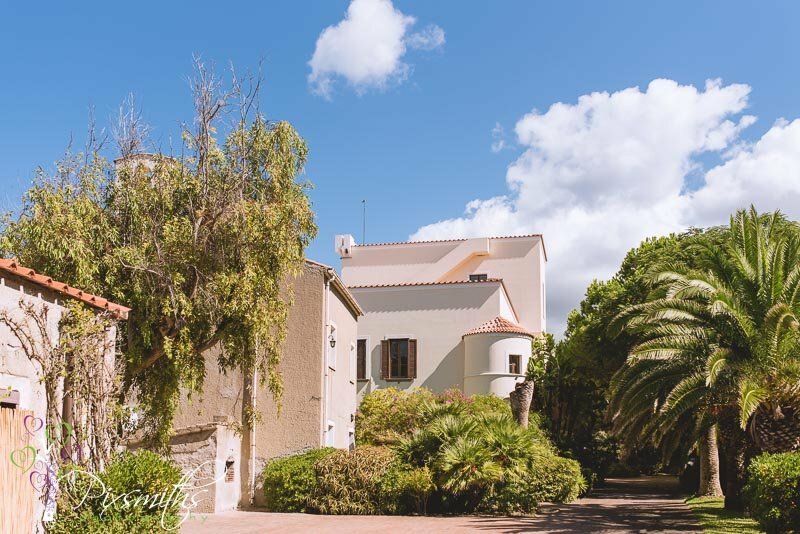 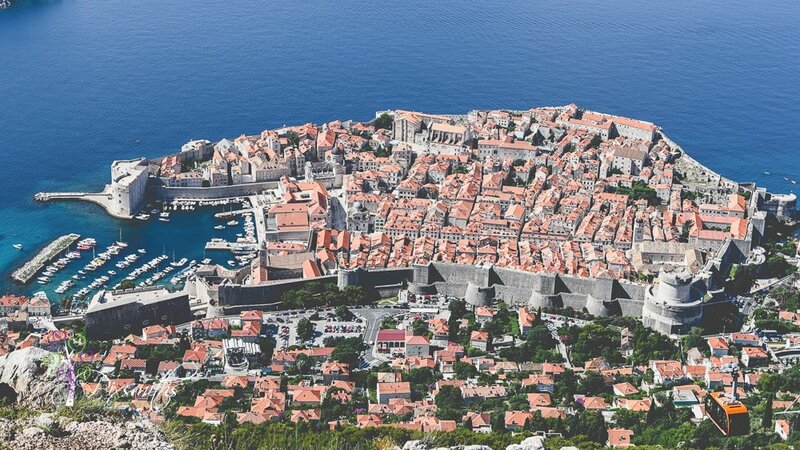 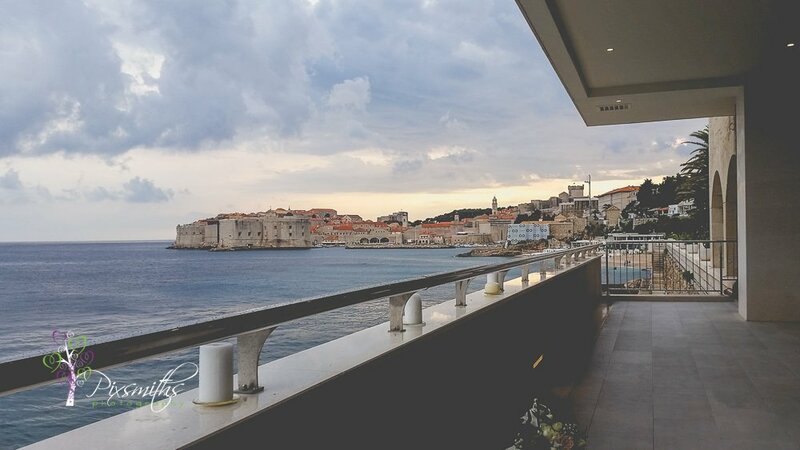 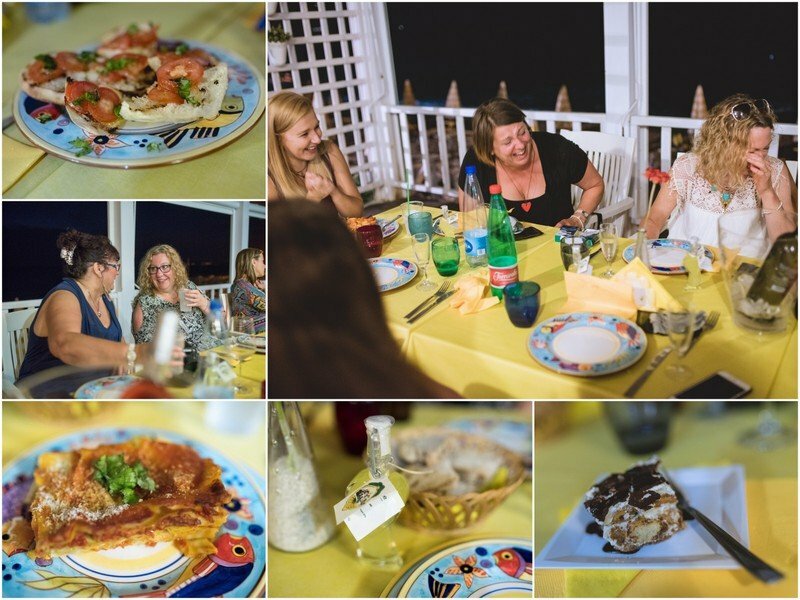 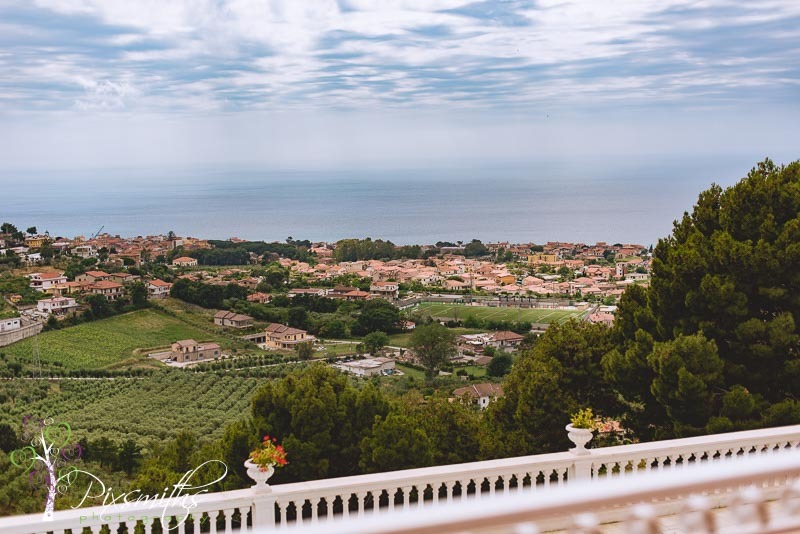 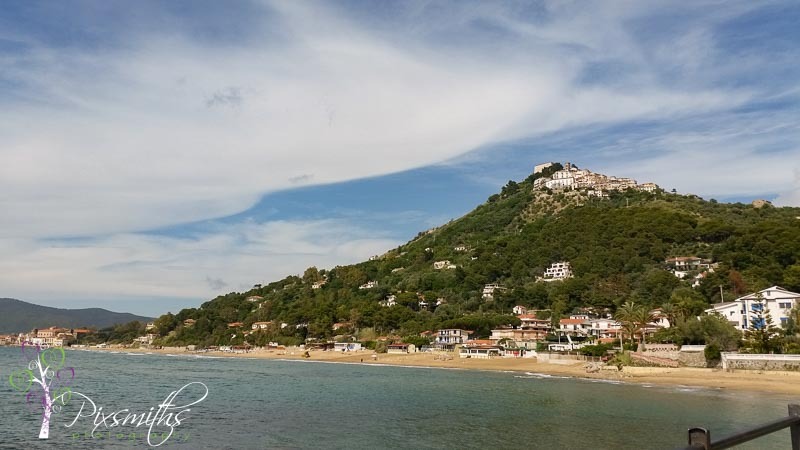 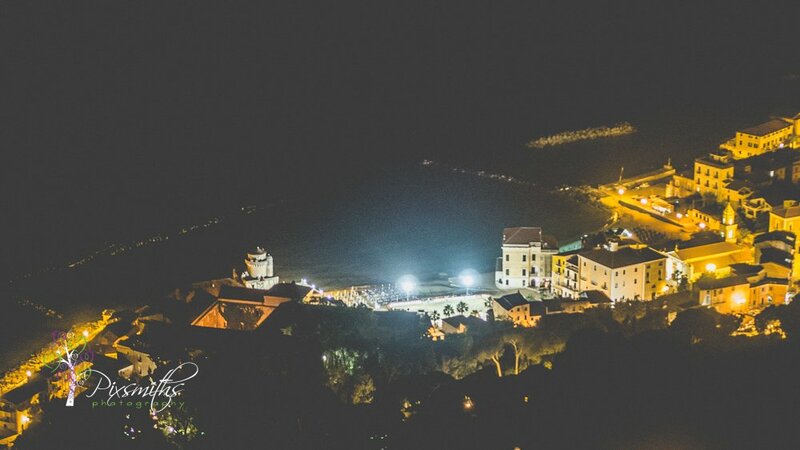 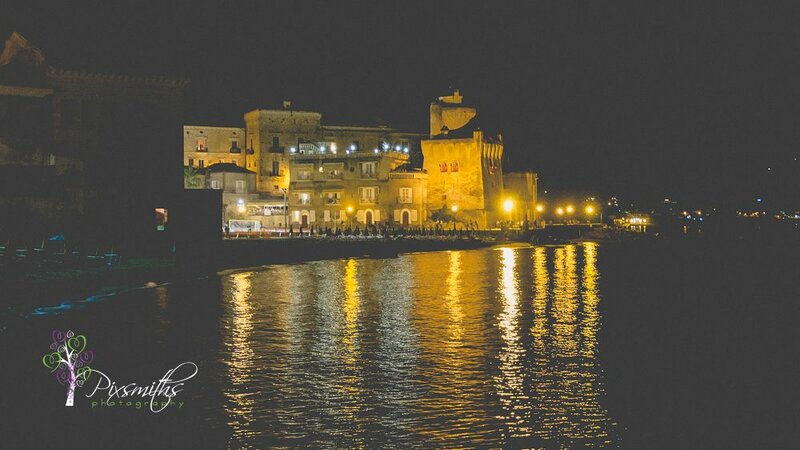 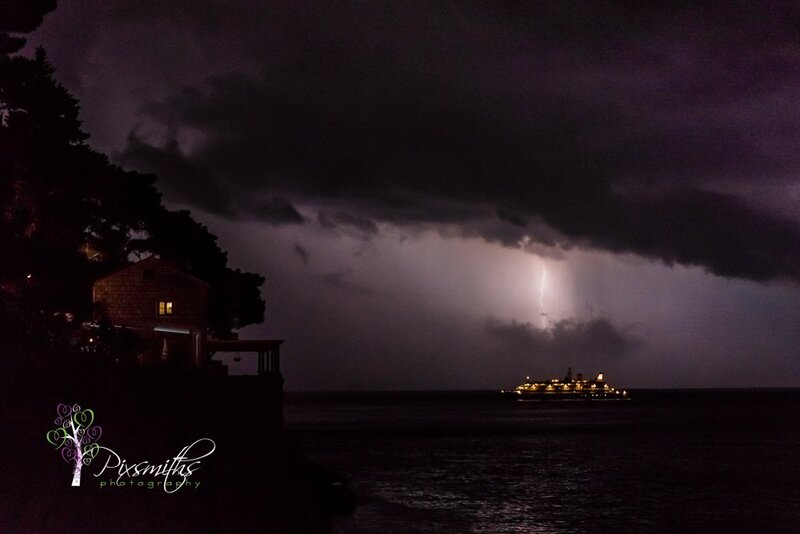 We were priviledged to be given access to the normally off limits summer palace and villa Sirena, by island of Licosia, belonging to the Prince and Princess of Belmonte. 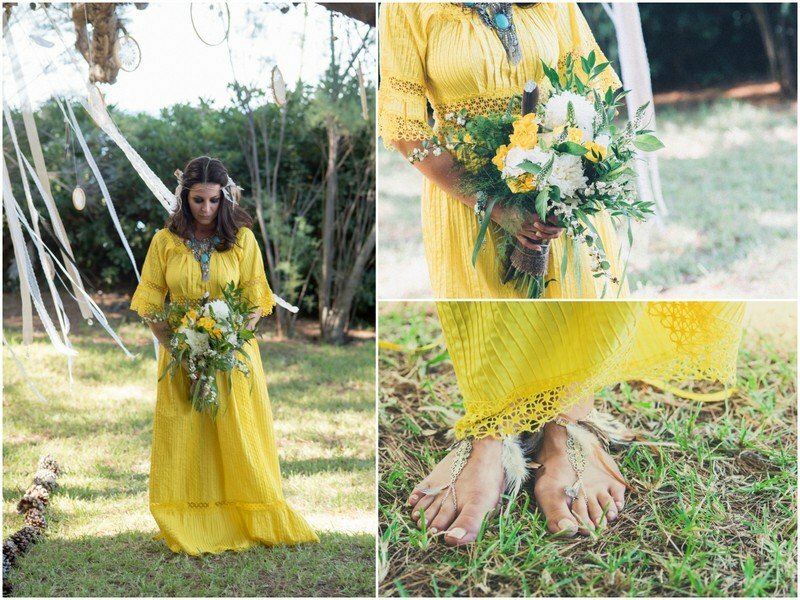 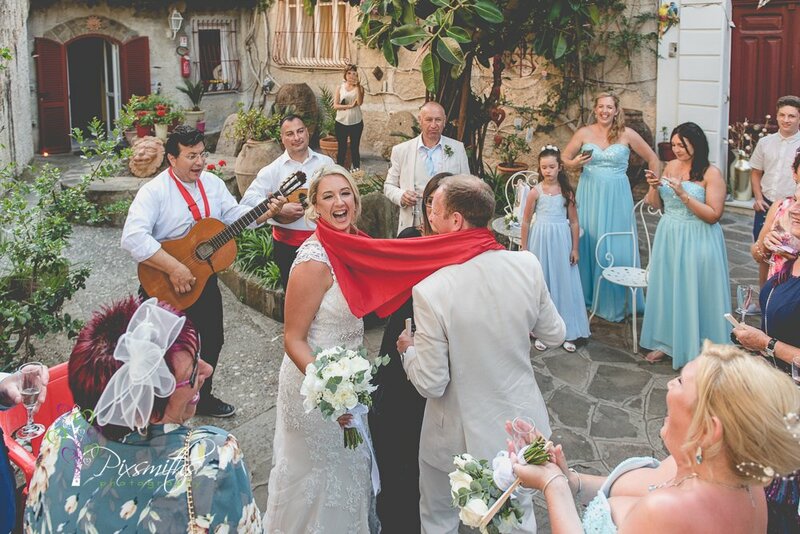 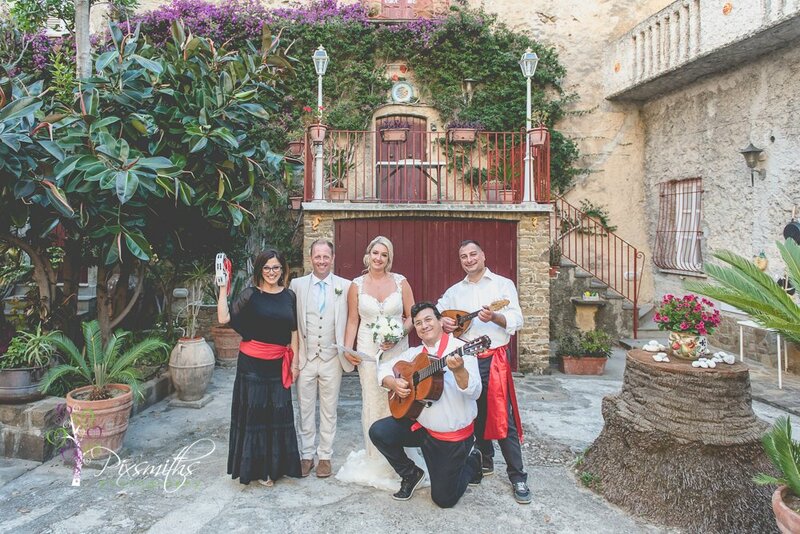 Antonia’s dress is a genuine vintage 1960s Mexican wedding dress purchased from Etsy, perfectly complimeted by a feather headress and feather details in her barefoot sandals. 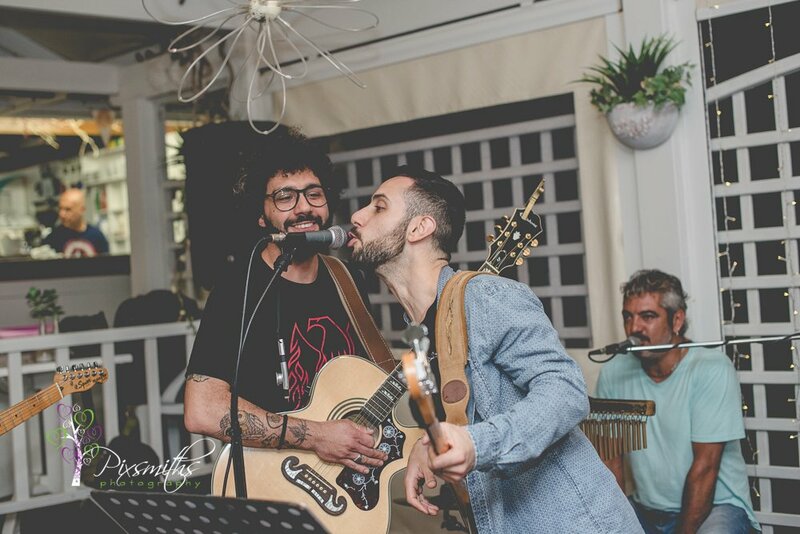 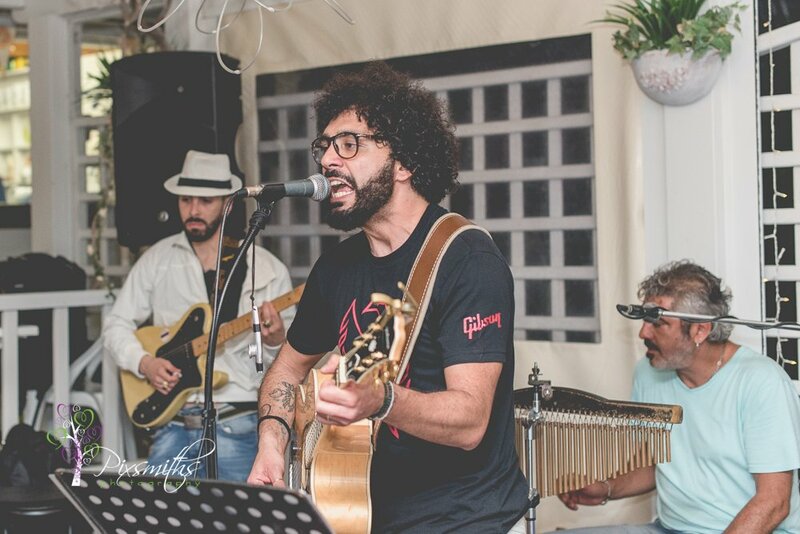 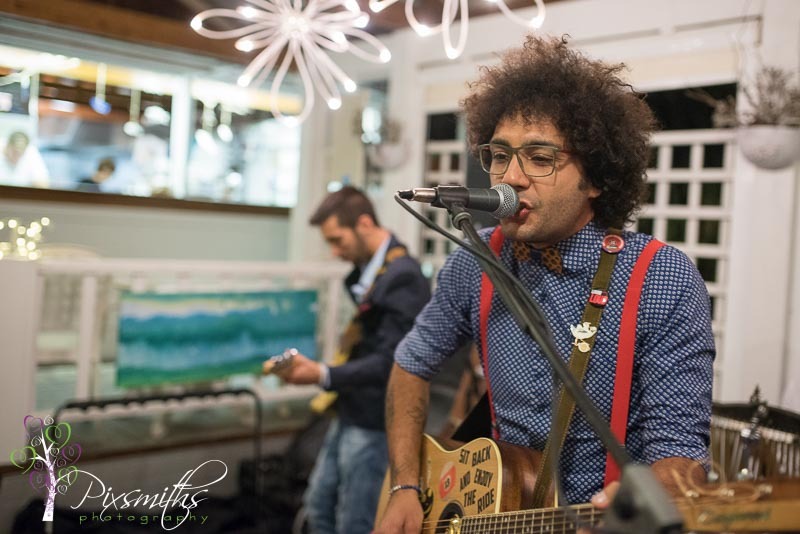 Luigi or Lu as he is know is local lead singer in a band. 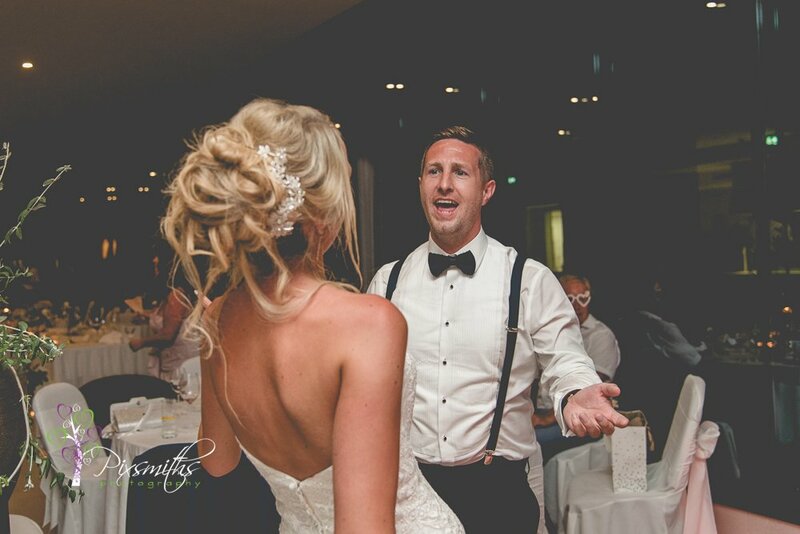 His styling was simple, his own clothes accesorised with a mustard bow tie, love those braces too! 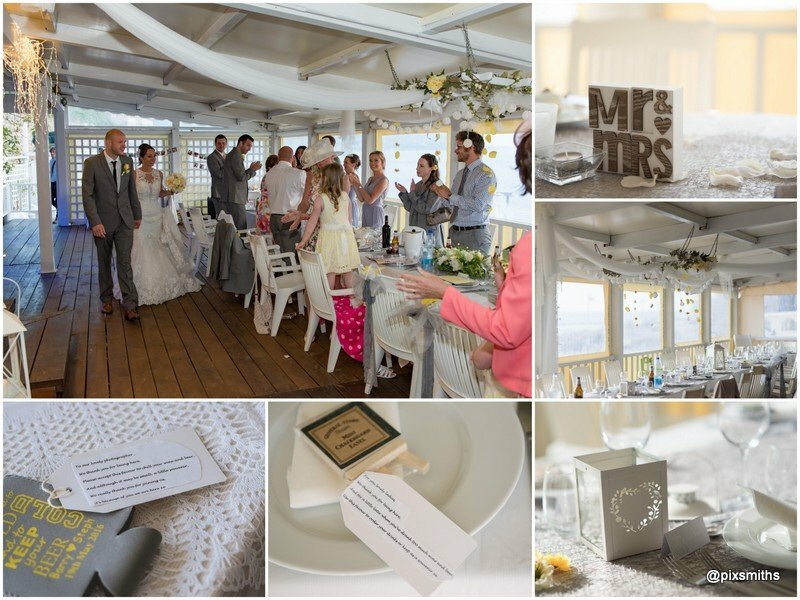 The picture perfect picnic by the sea was masterminded by the uber talented Mandy Beck of Saddleworth Shindigs. 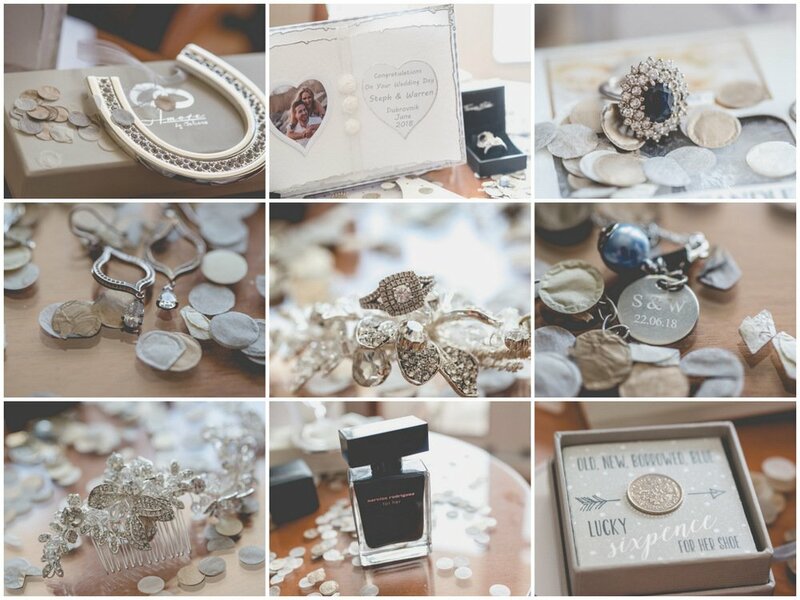 She has a wealth of goodies in her aladdins cave treasure trove and squirreled some away for this shoot. 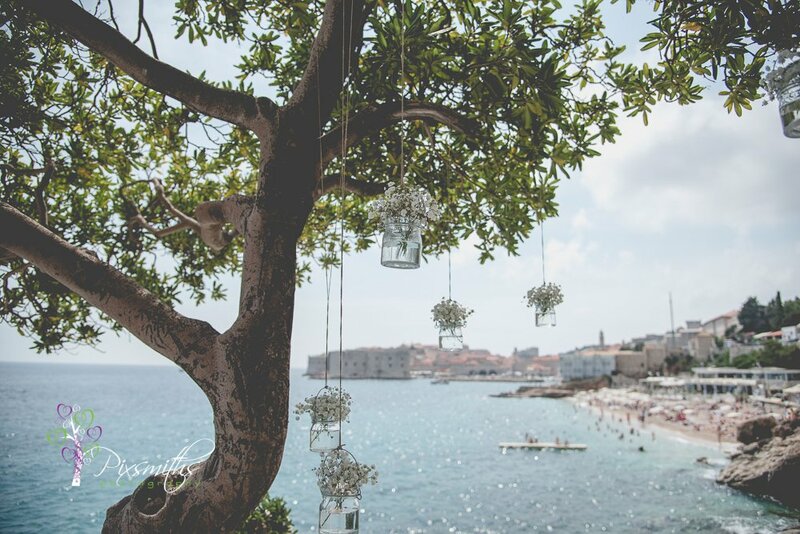 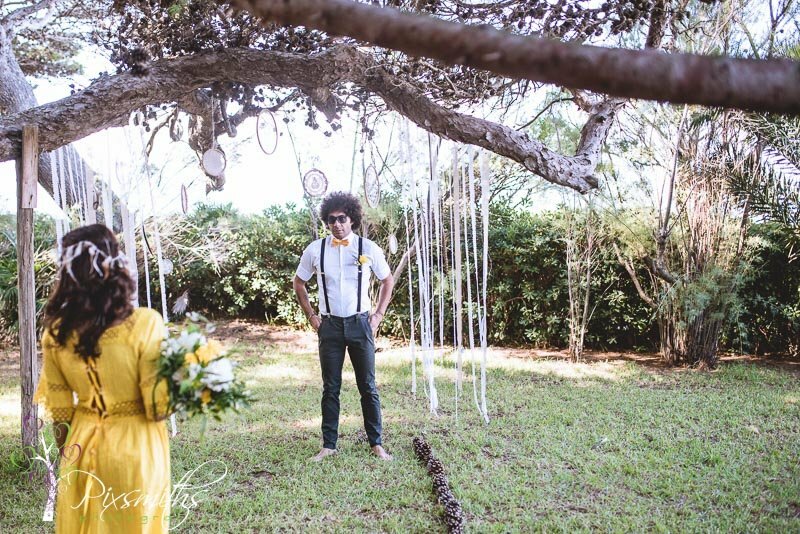 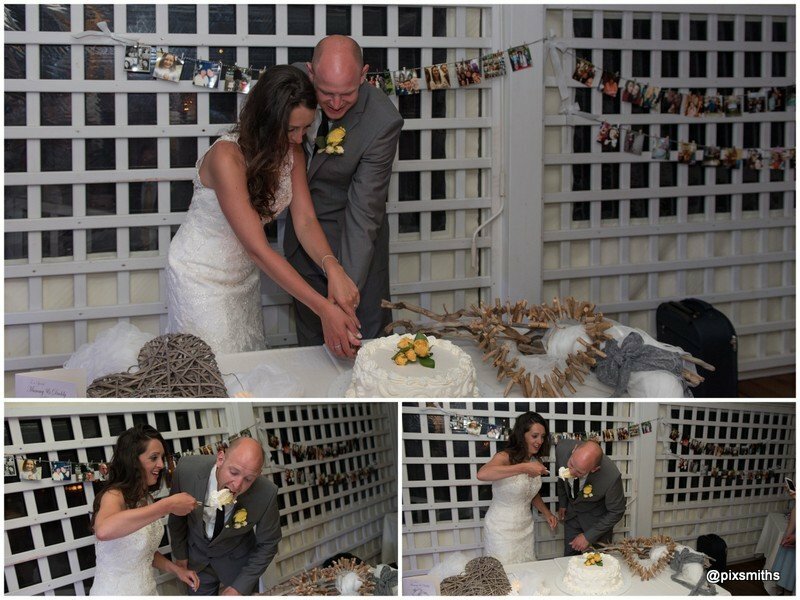 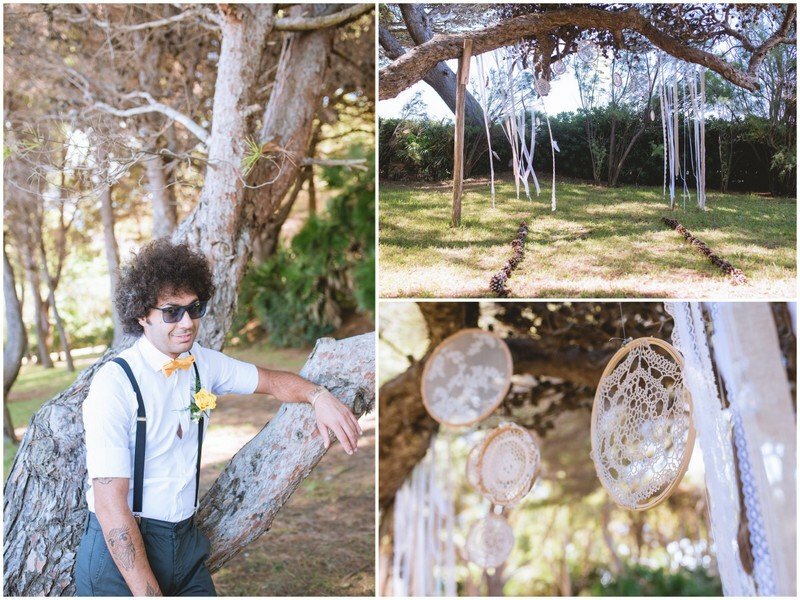 The ceremony arbour hung in the trees was decorated with lace ribbons, feathers and hand made dreamcatchers. 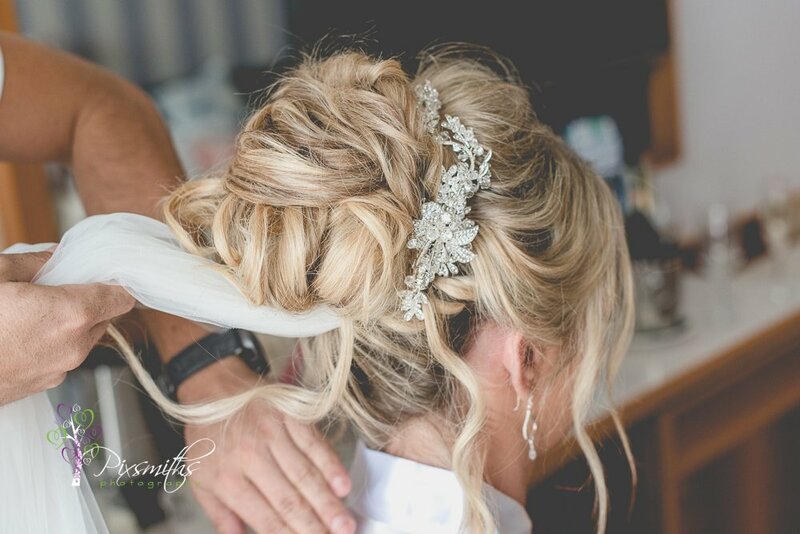 Mandy is so super talented. 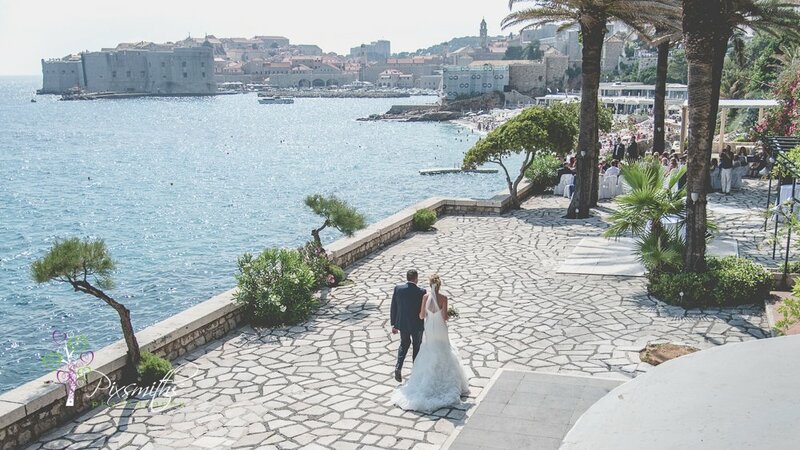 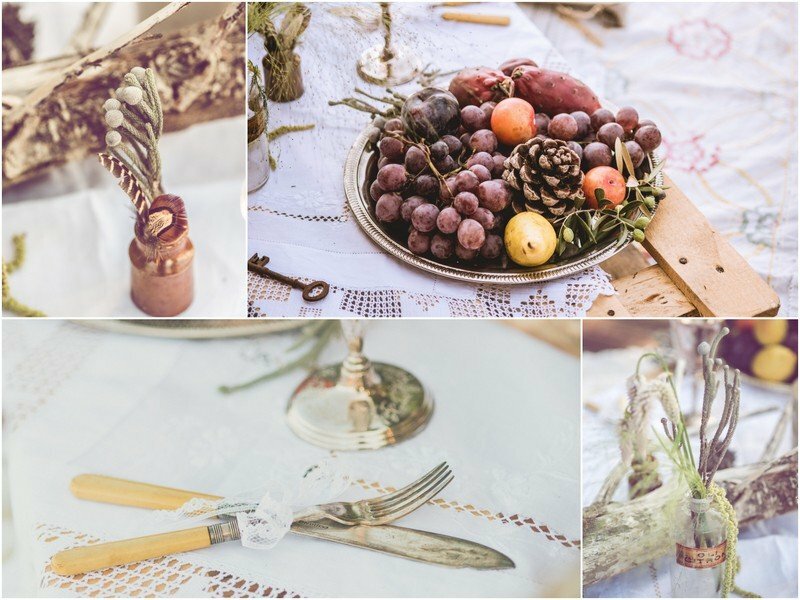 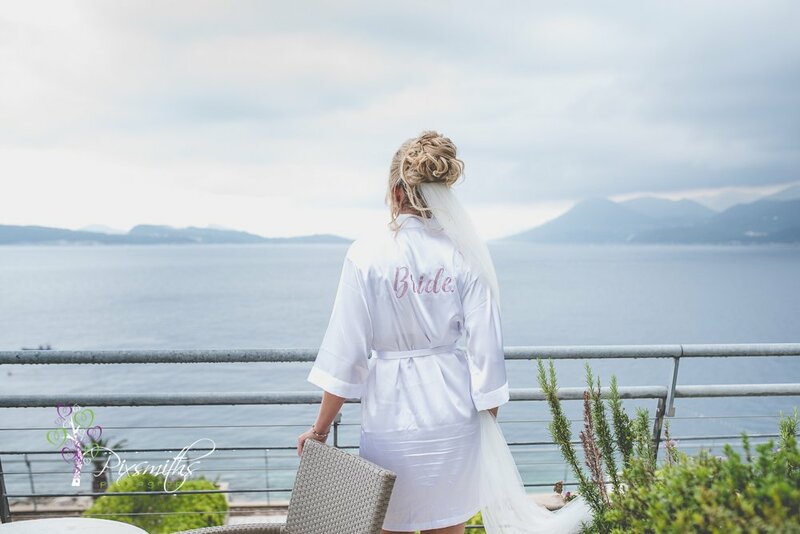 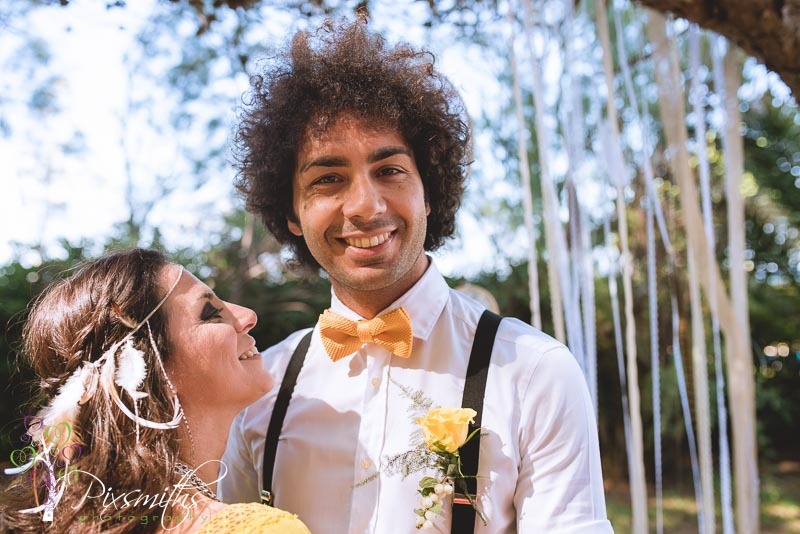 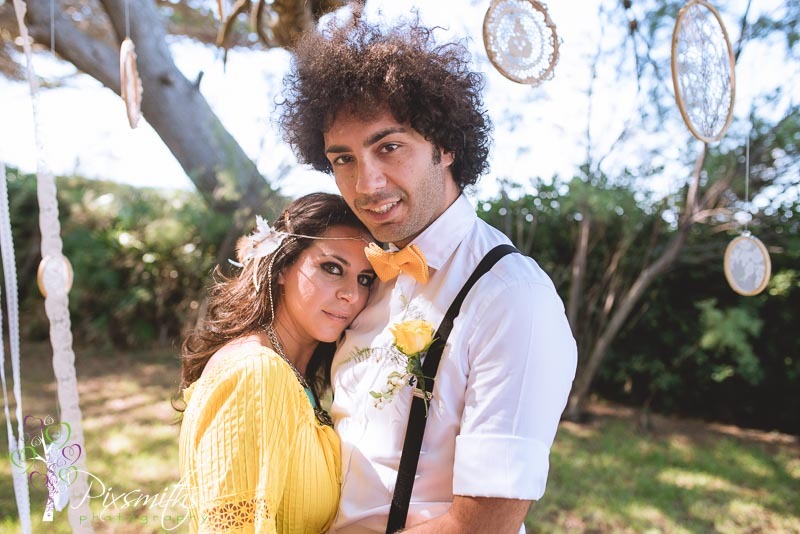 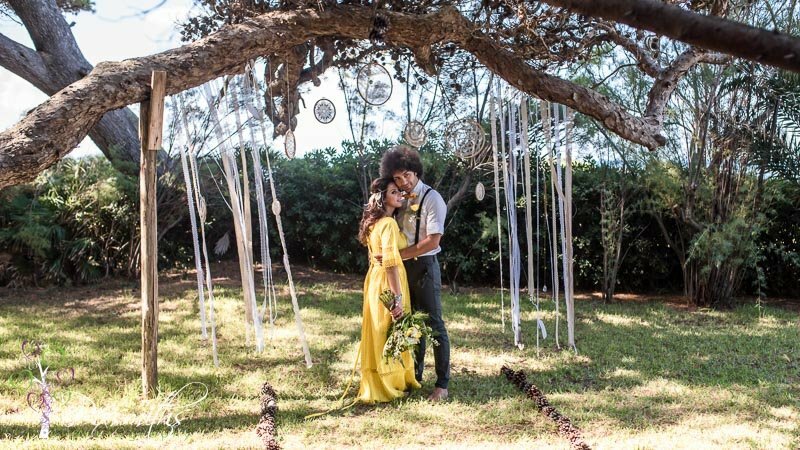 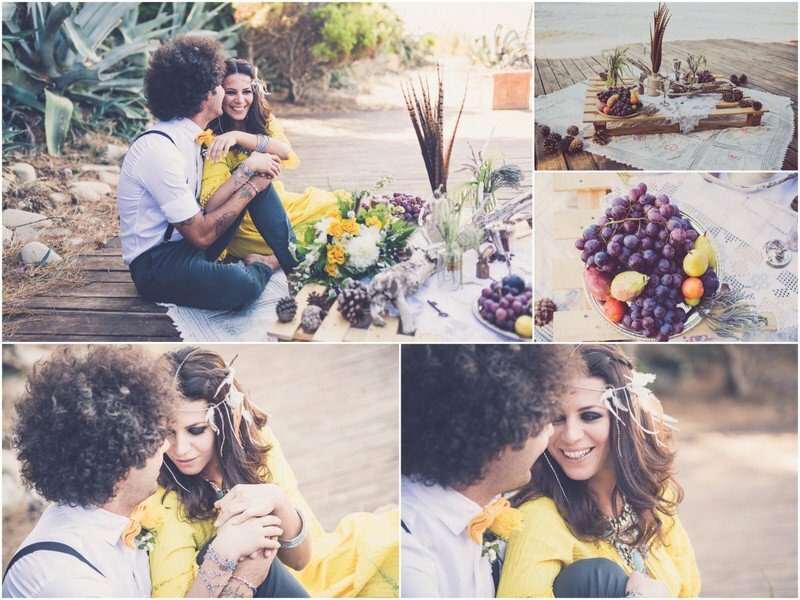 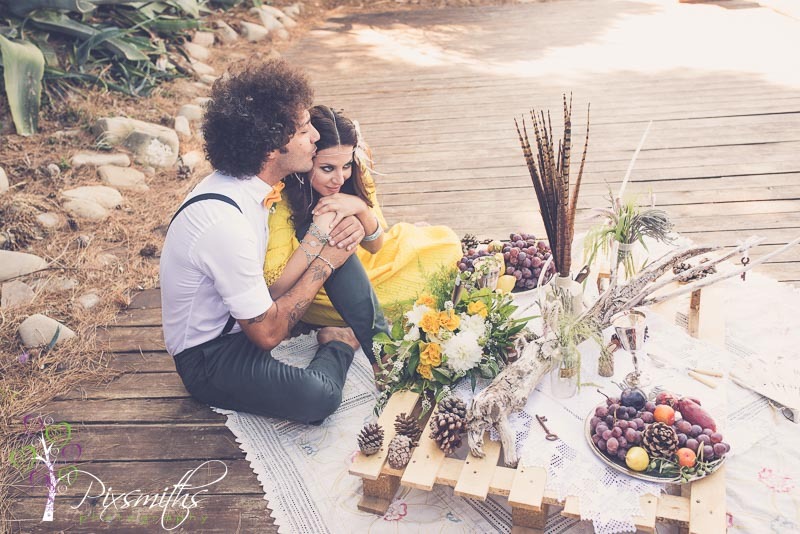 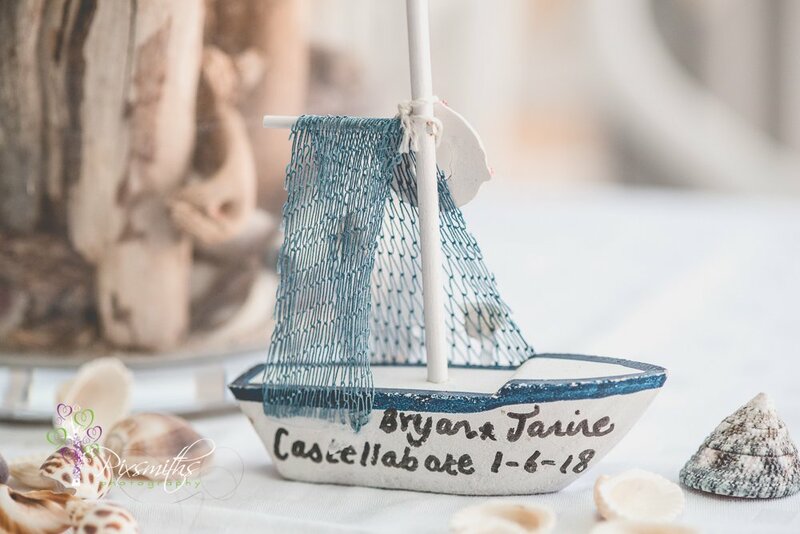 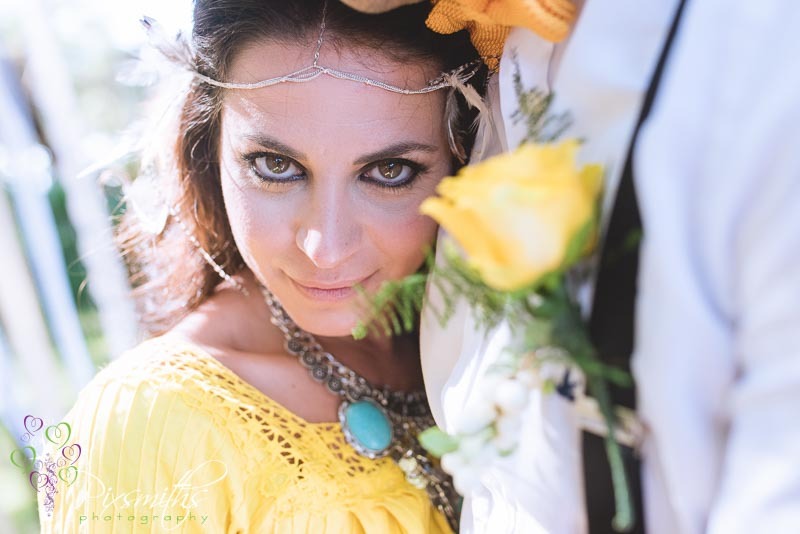 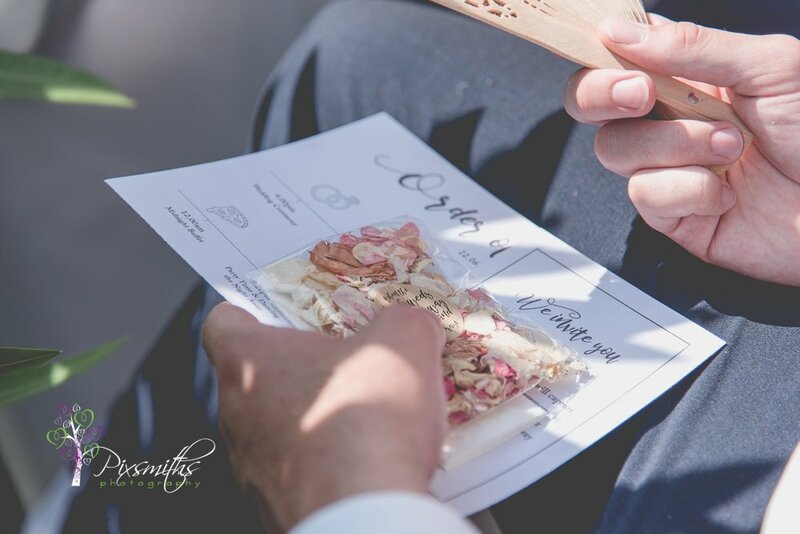 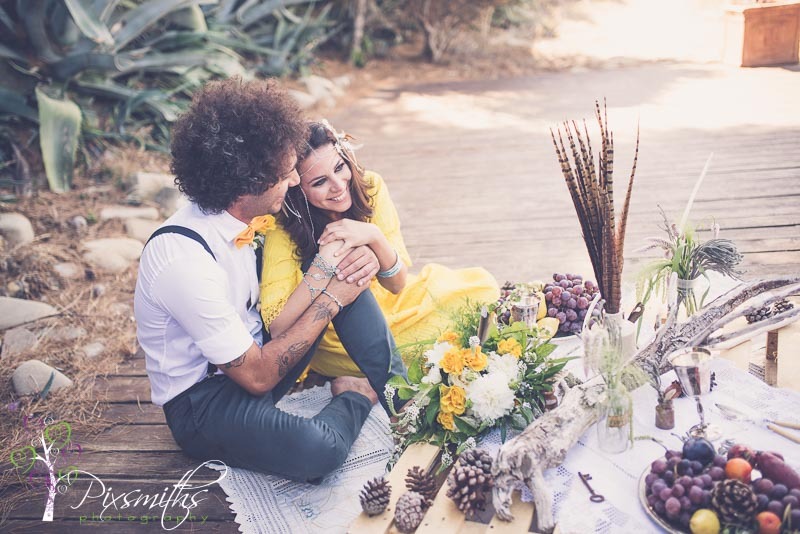 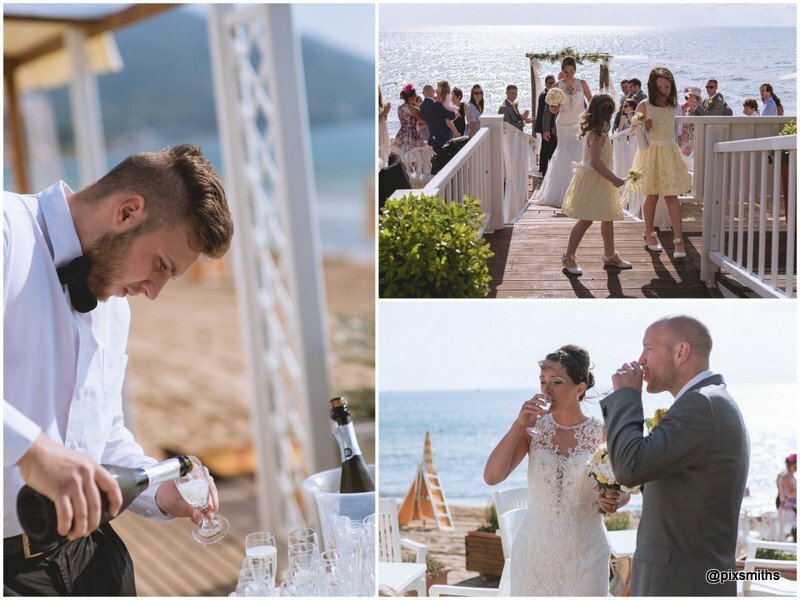 A perfect laid back boho wedding elopement and picnic reception by the sea, doesn’t get more chilled out and idyllic than this! 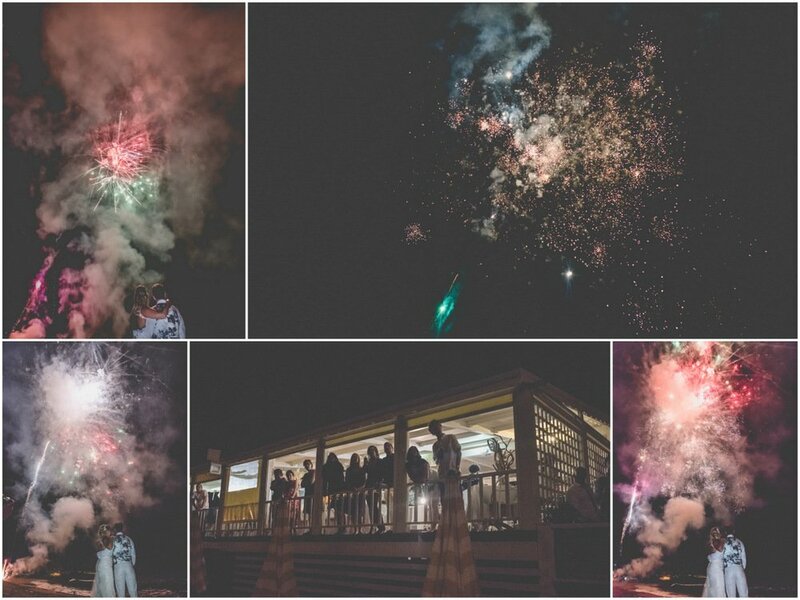 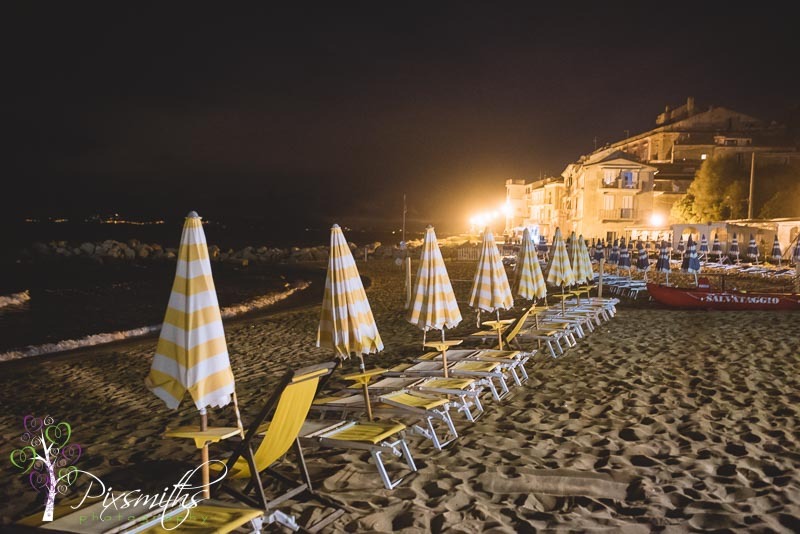 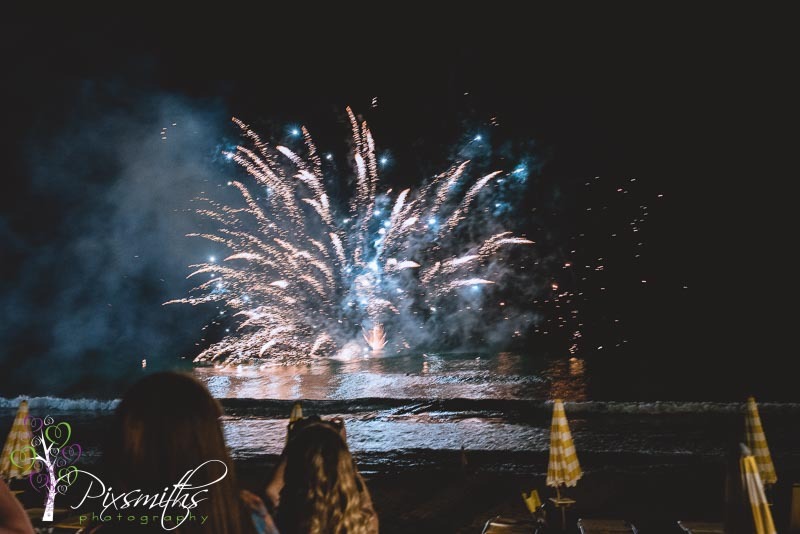 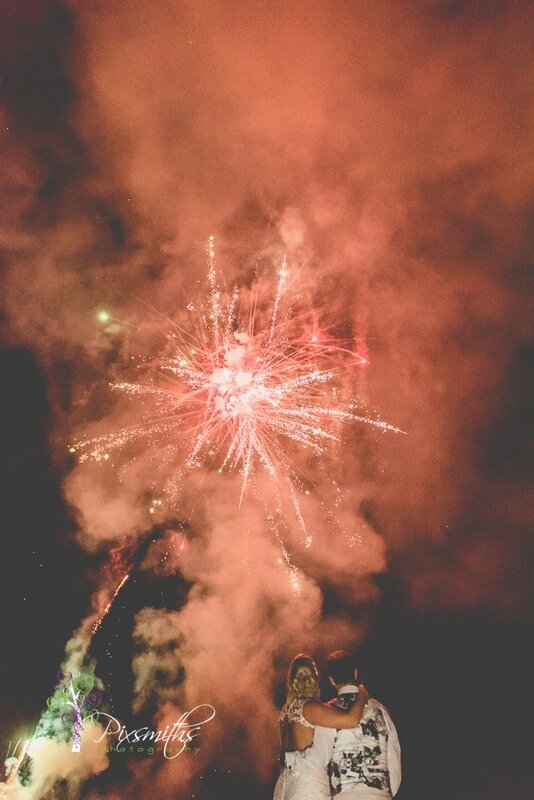 An evening party ensued with good friends at the Azurro Lido on the beach, with music from Lu himself and lots of dancing…oh and fireworks on the beach, outstanding! 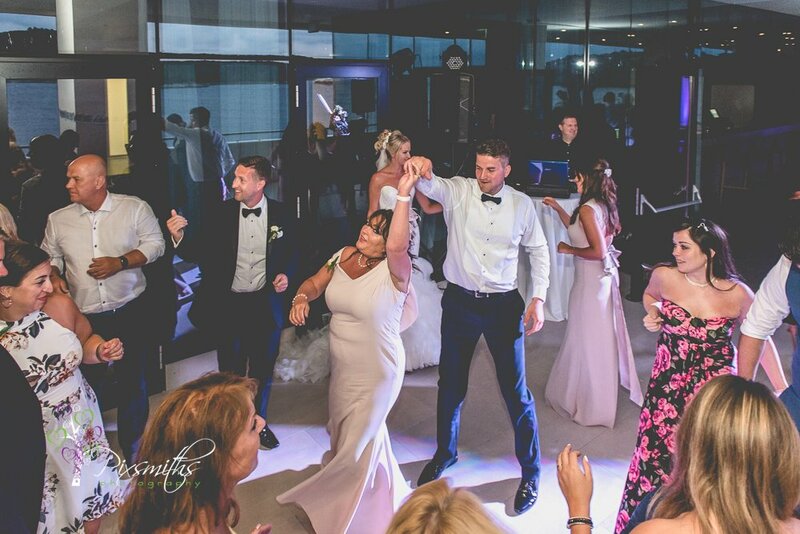 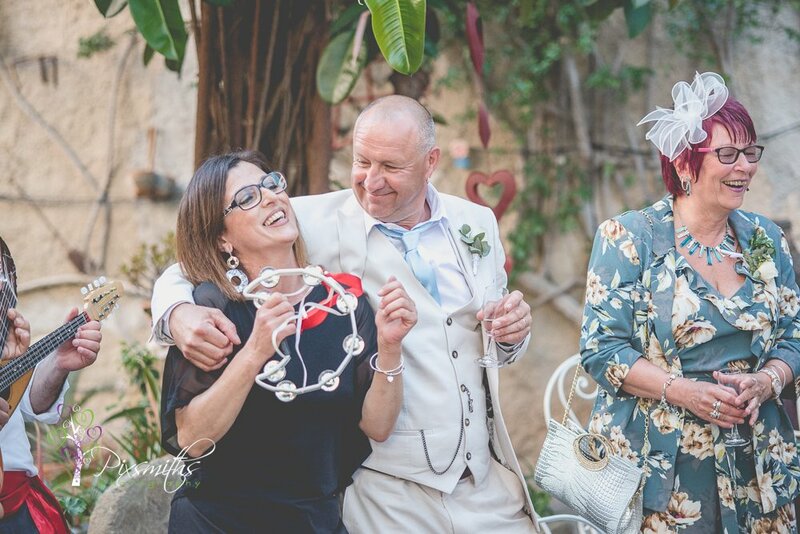 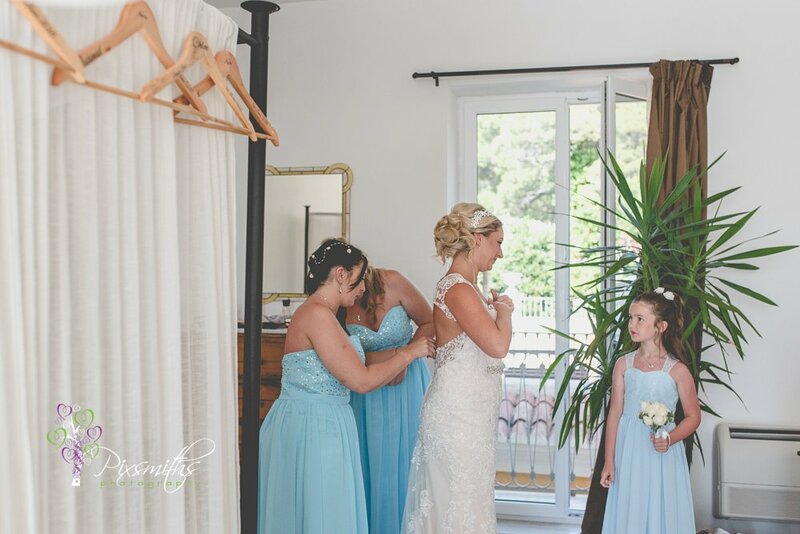 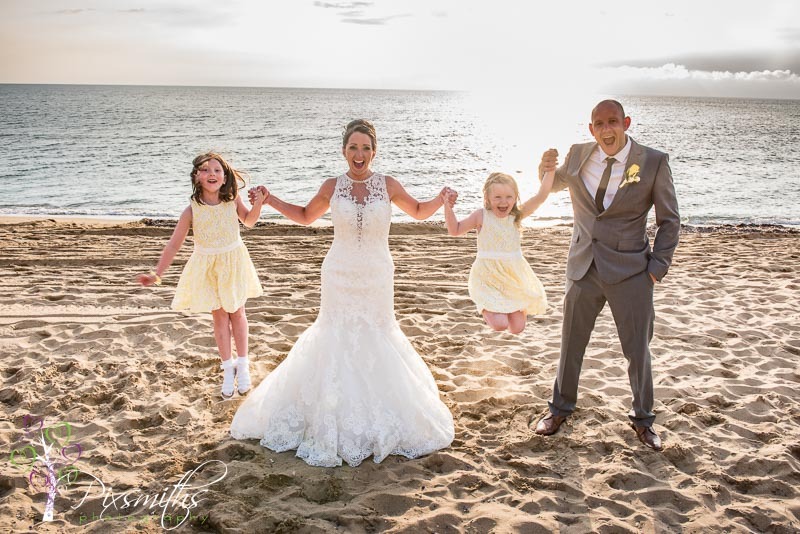 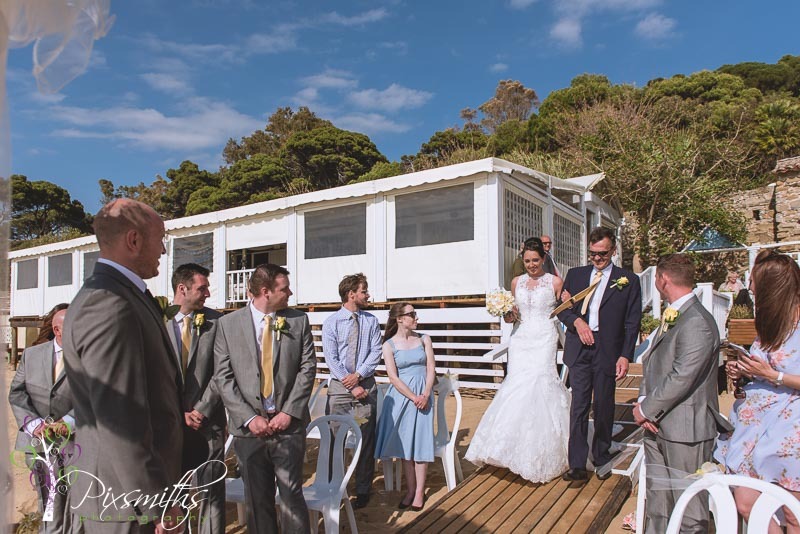 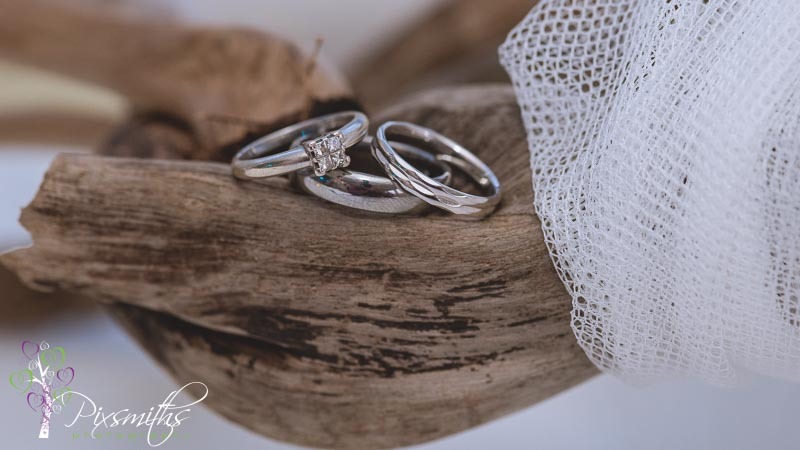 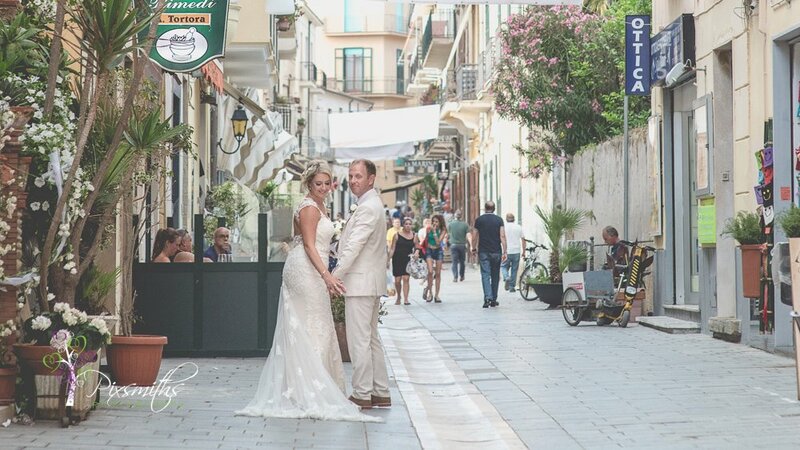 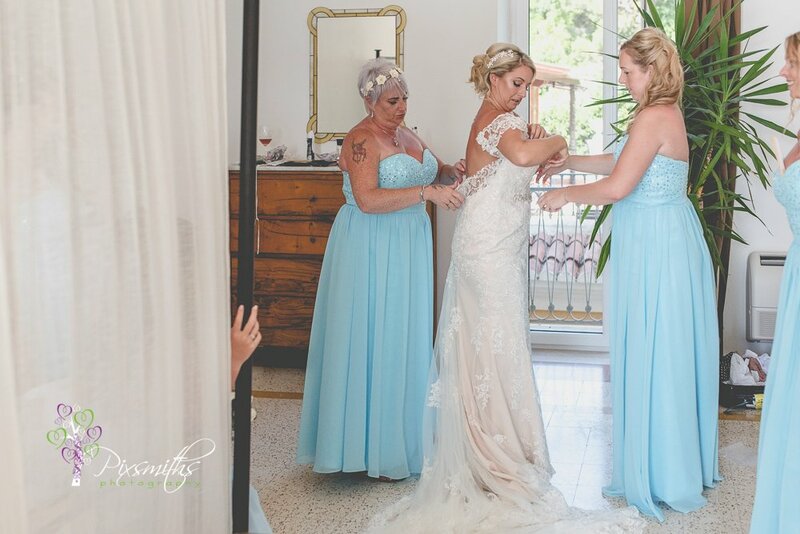 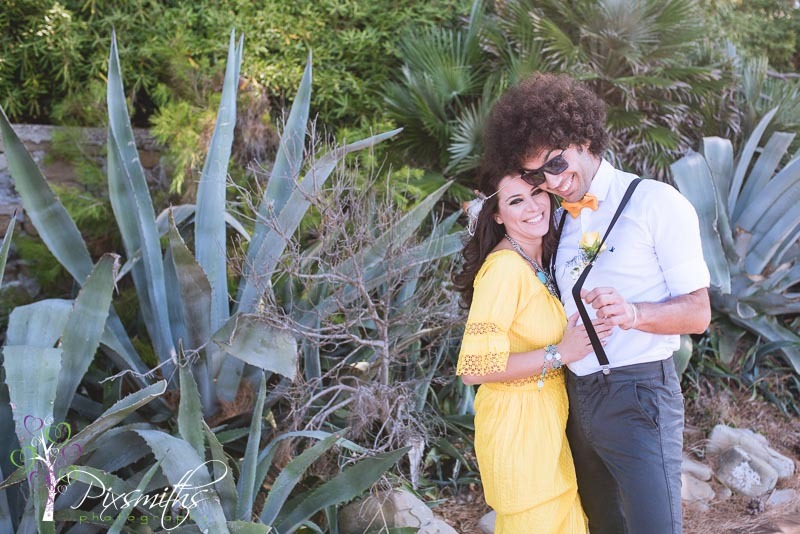 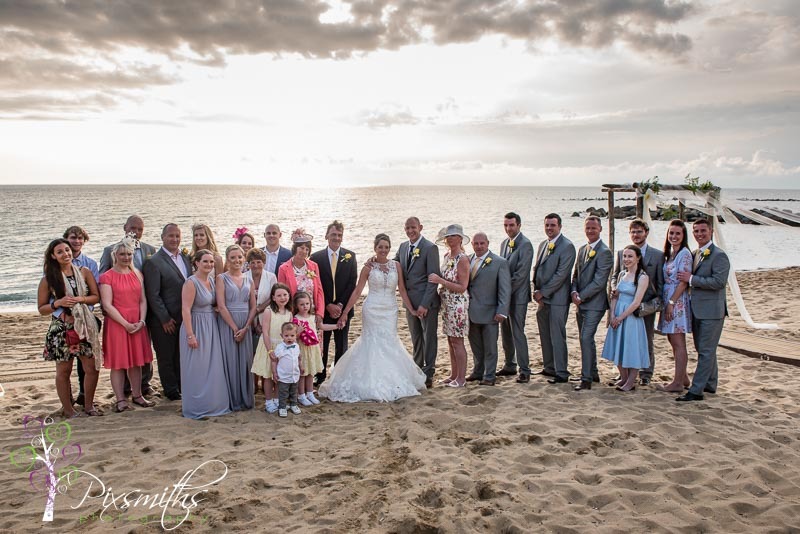 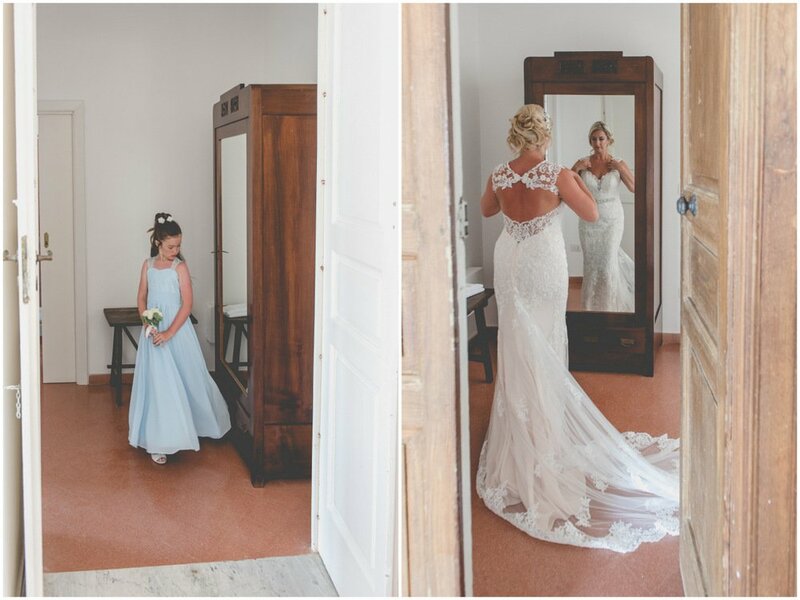 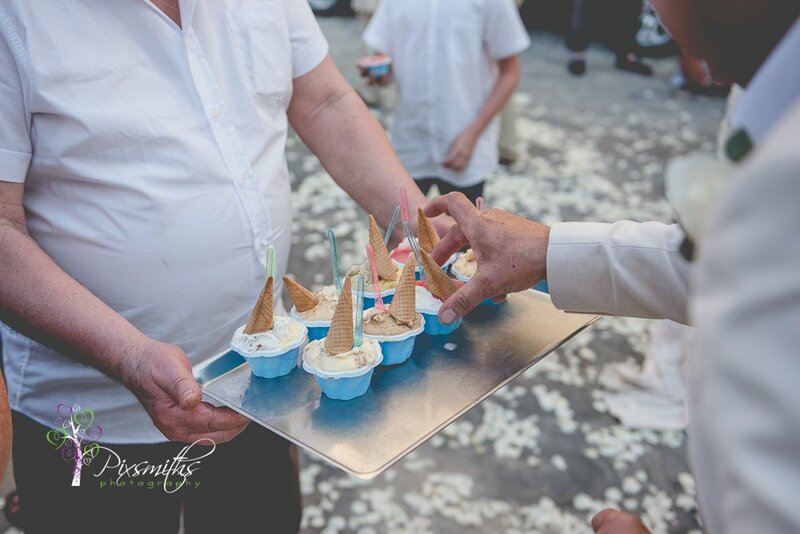 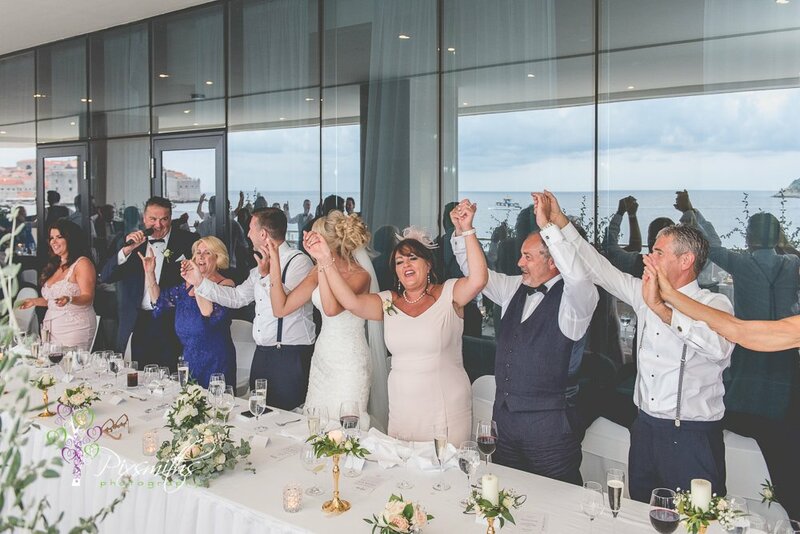 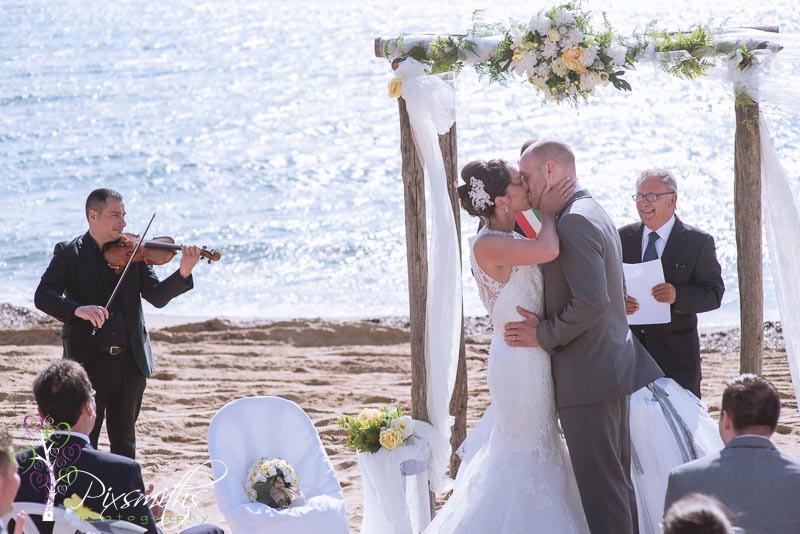 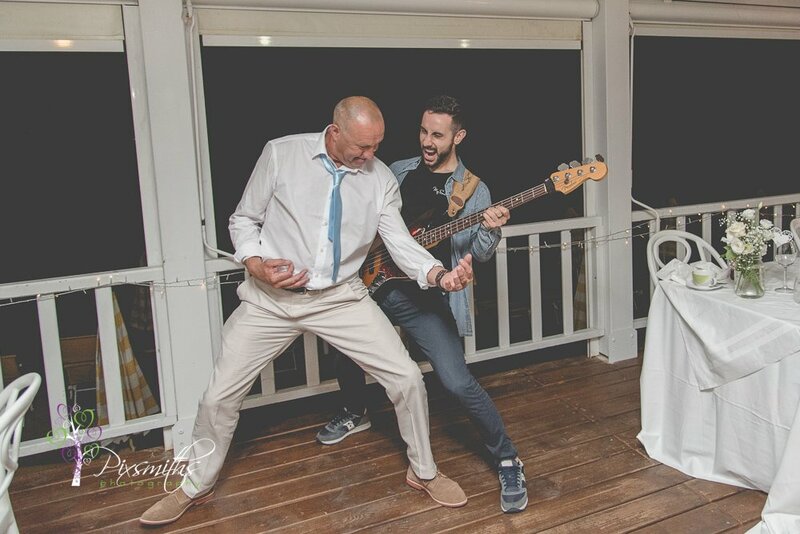 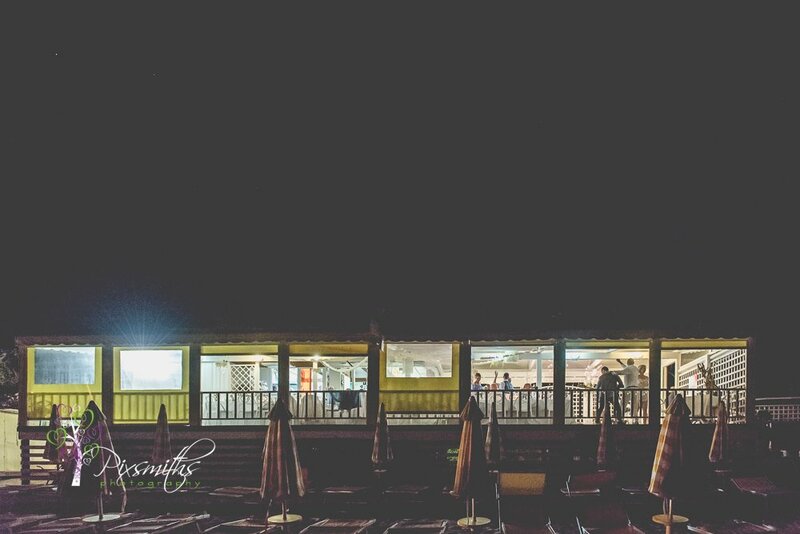 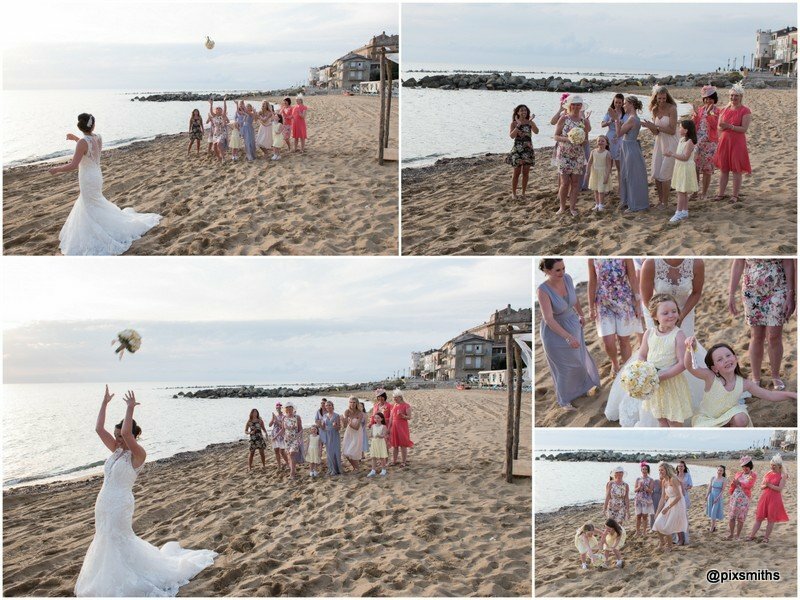 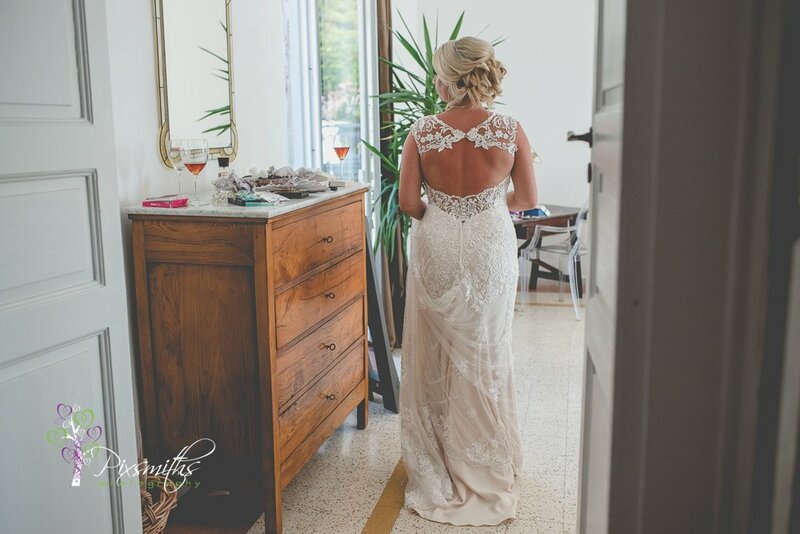 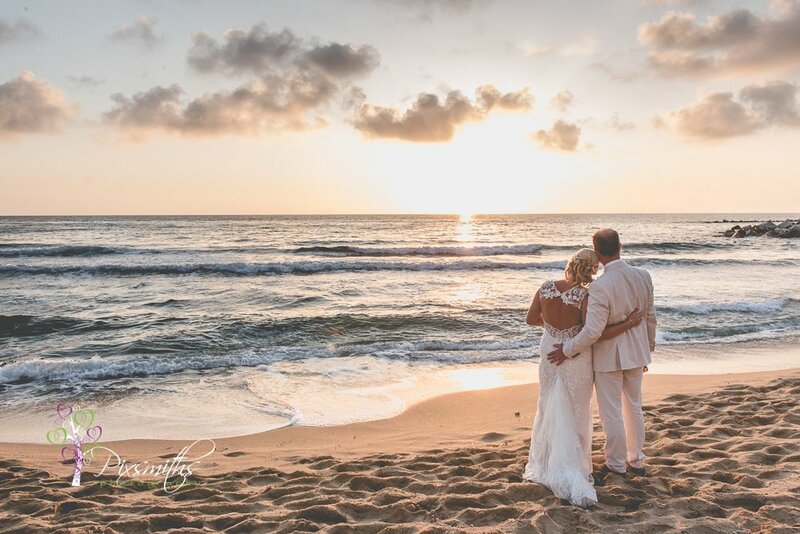 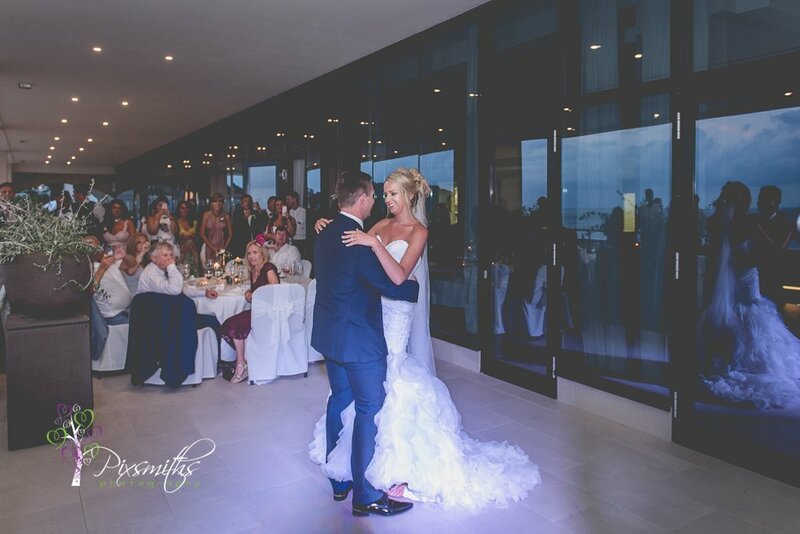 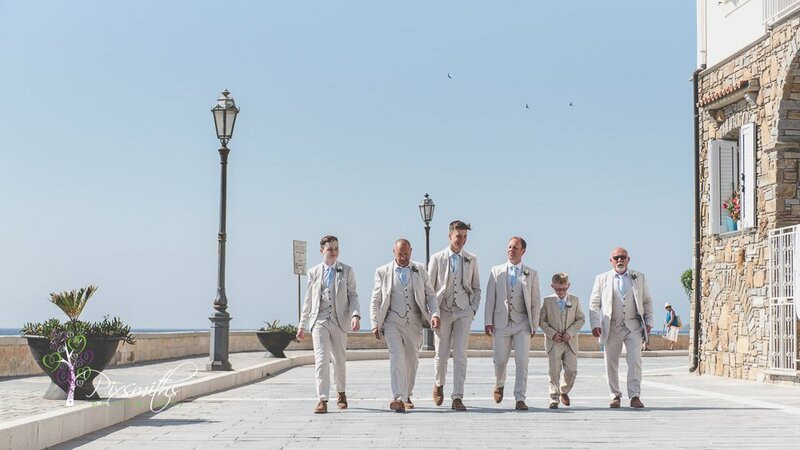 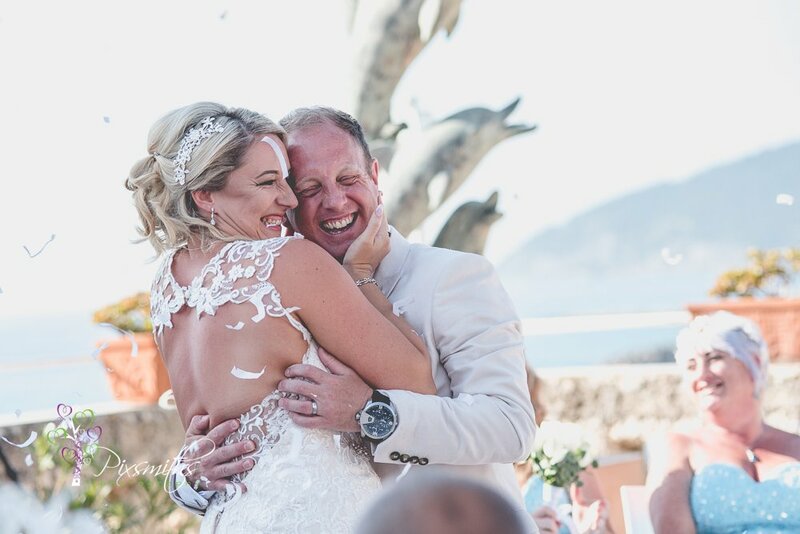 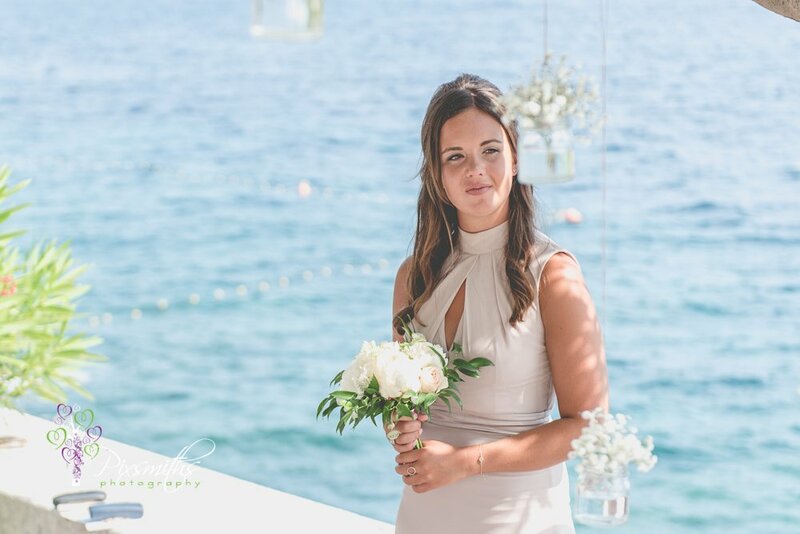 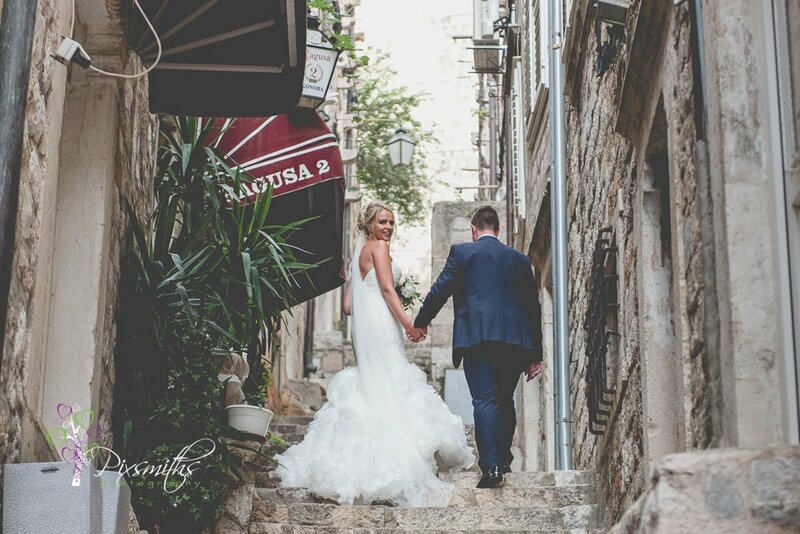 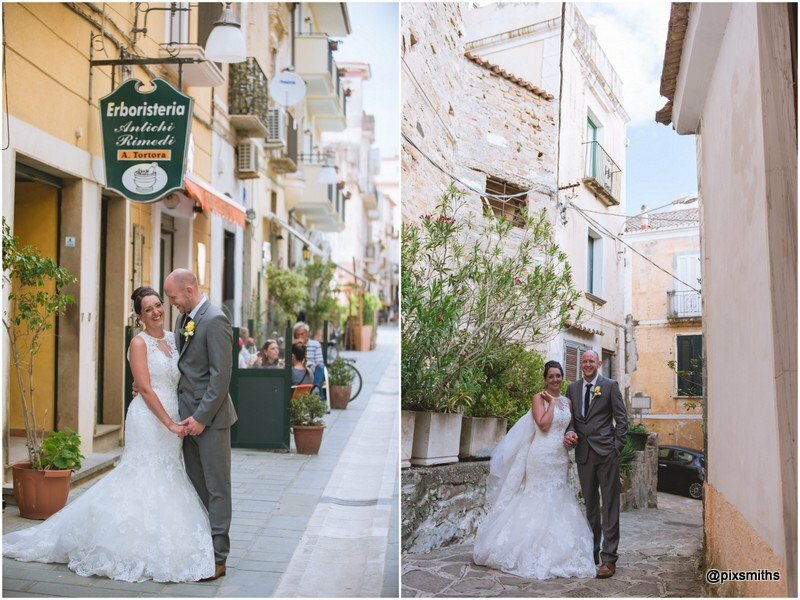 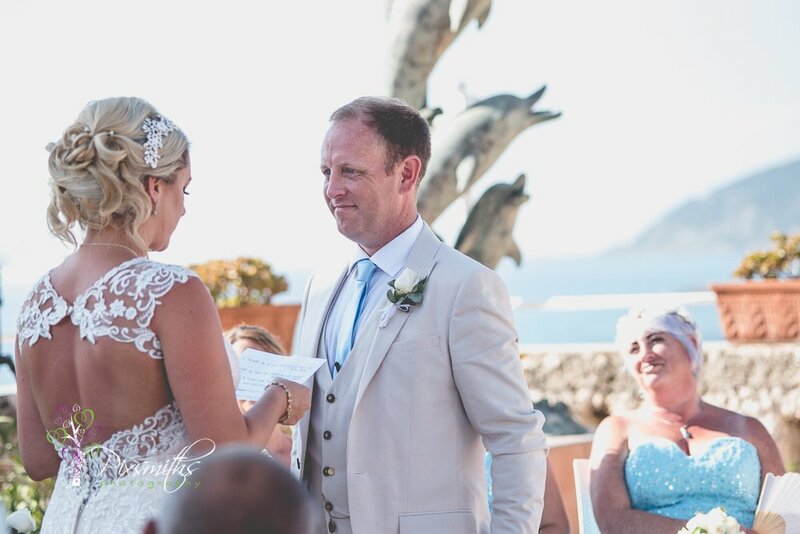 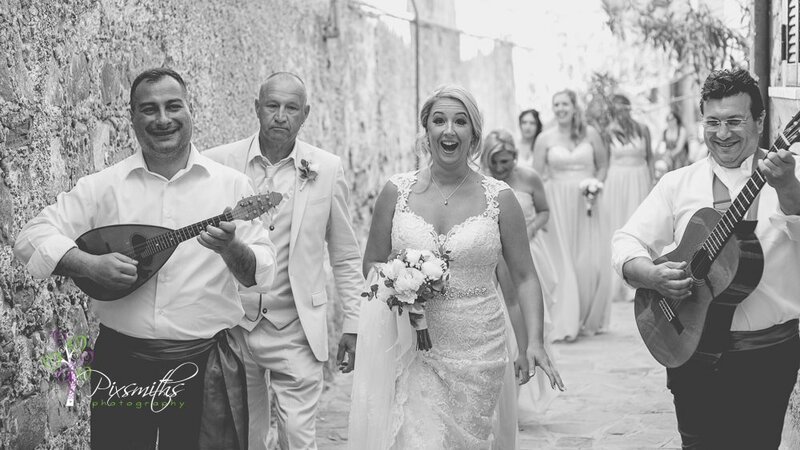 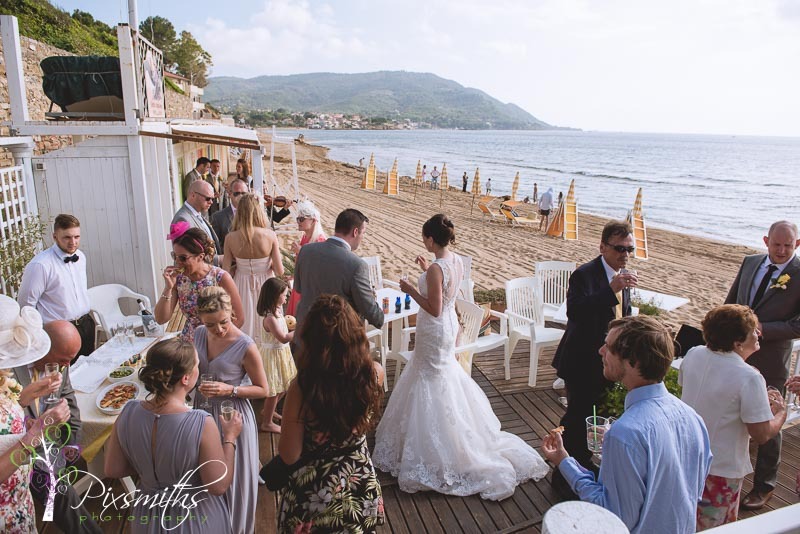 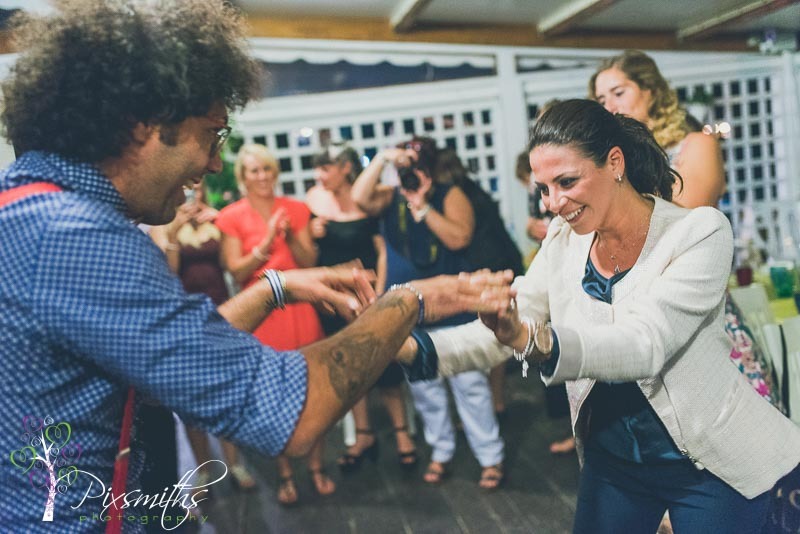 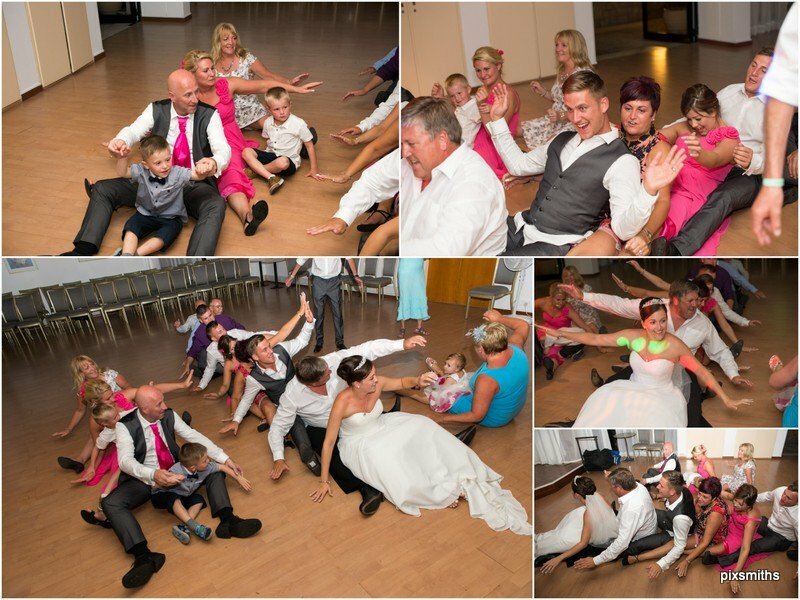 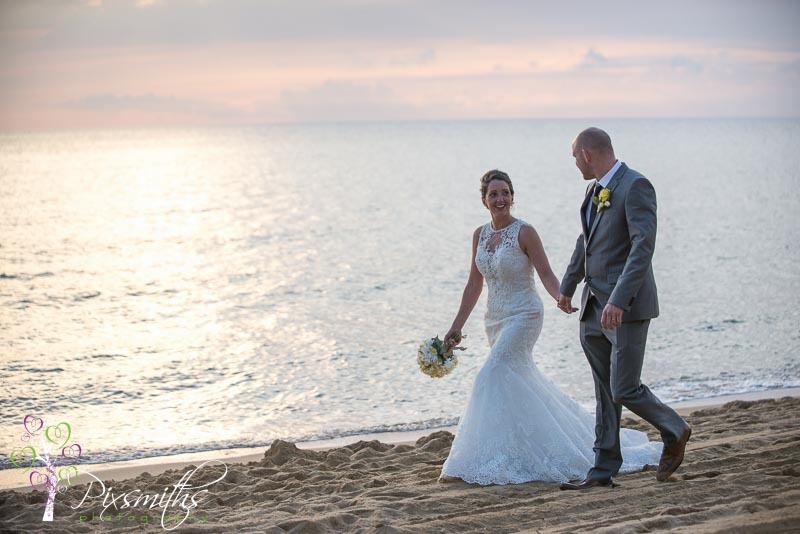 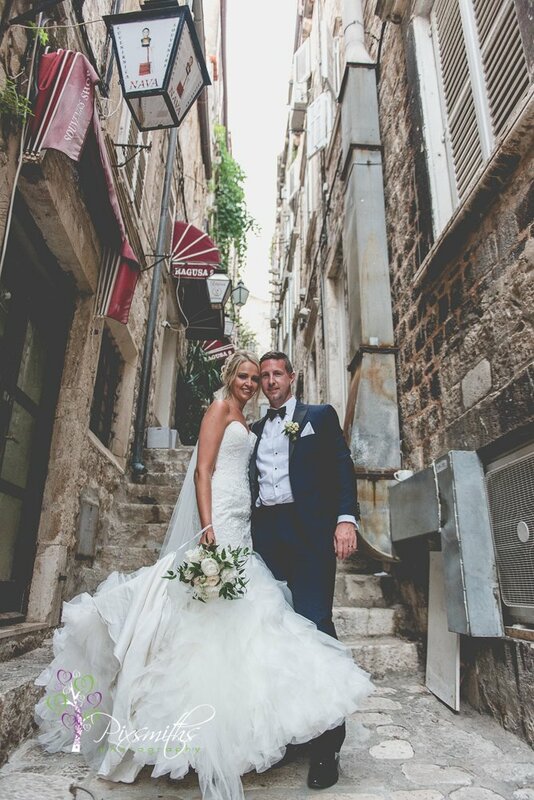 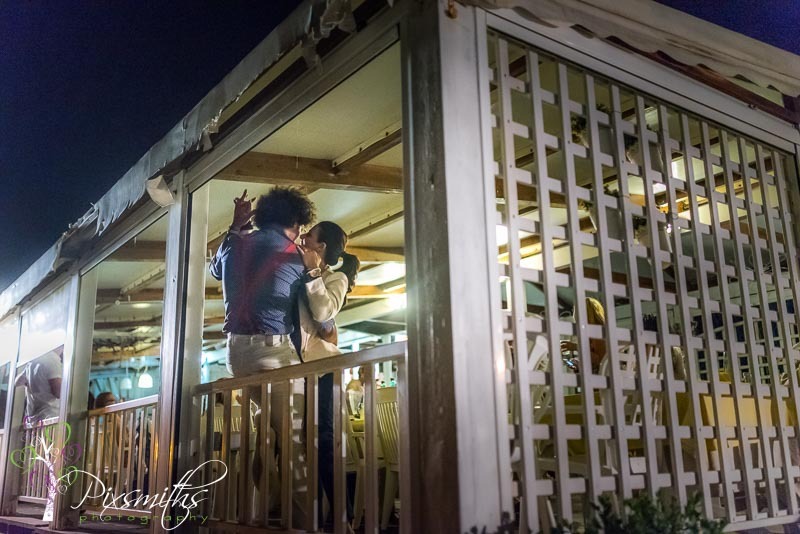 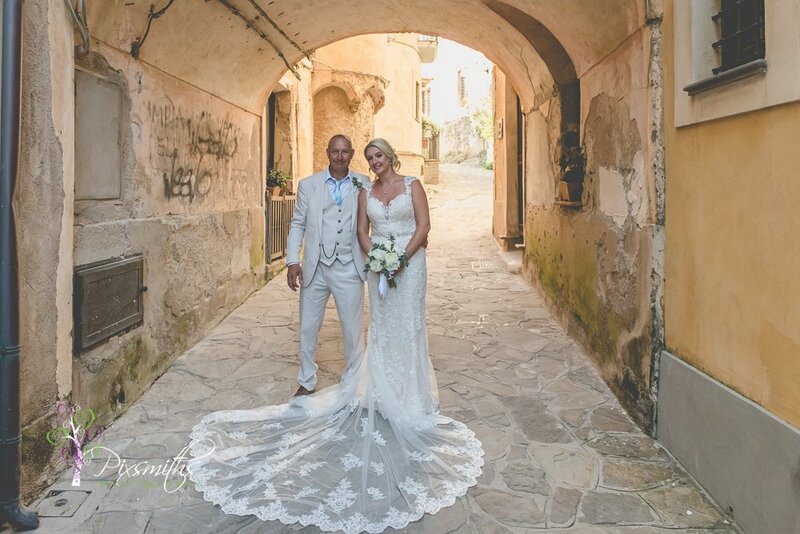 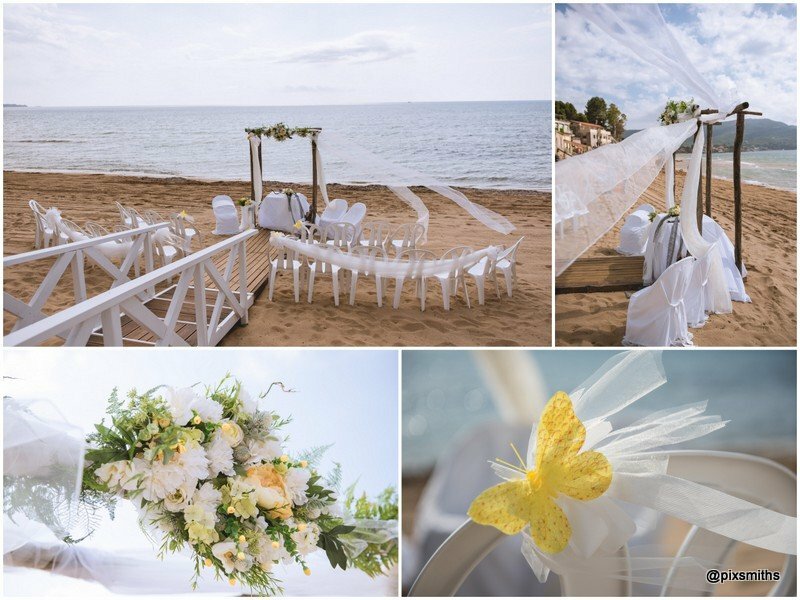 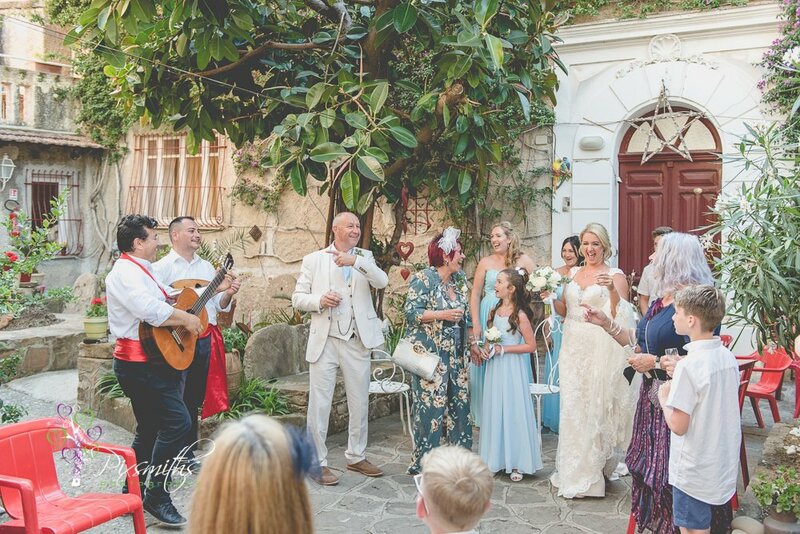 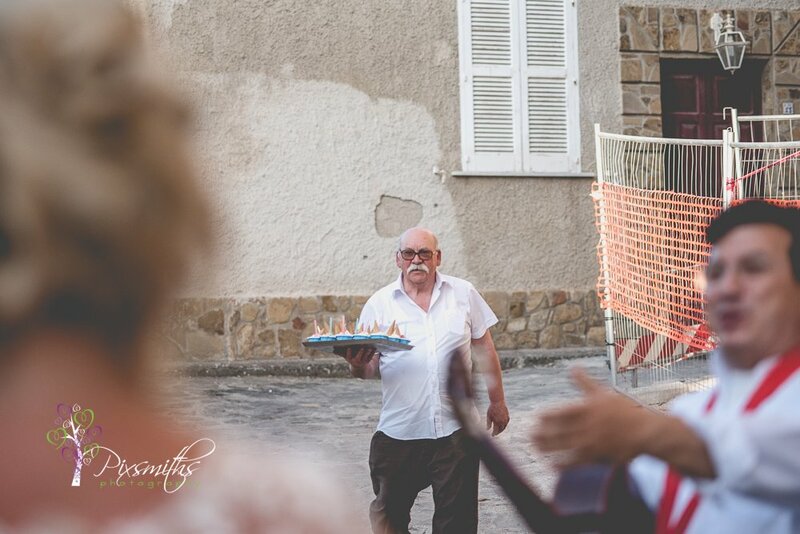 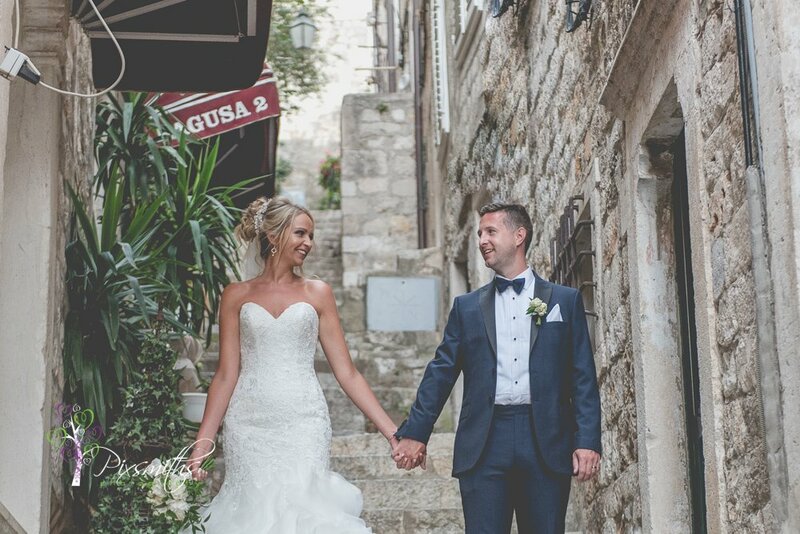 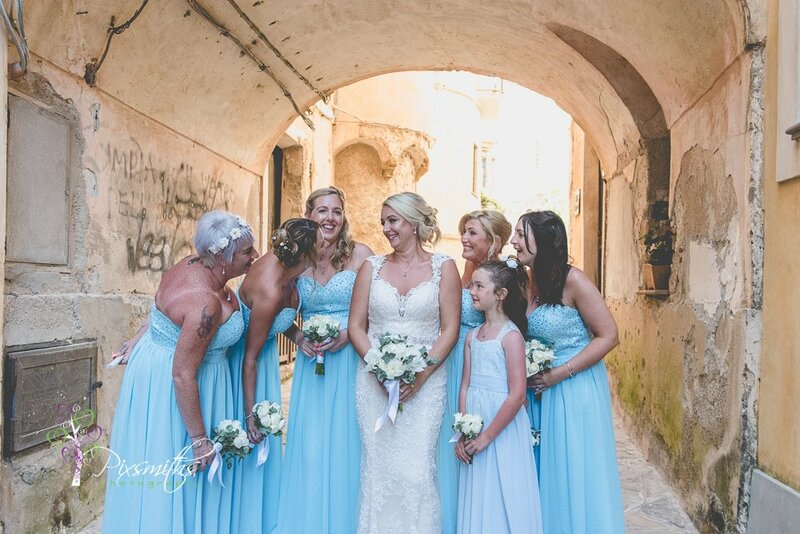 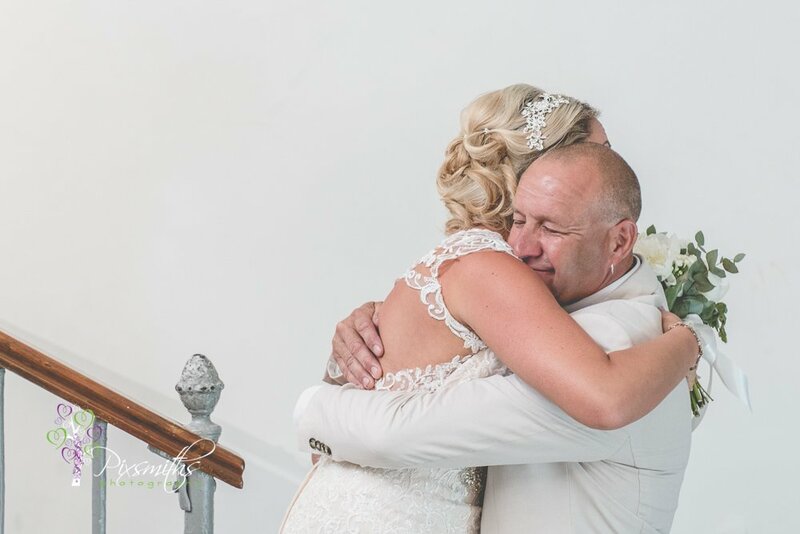 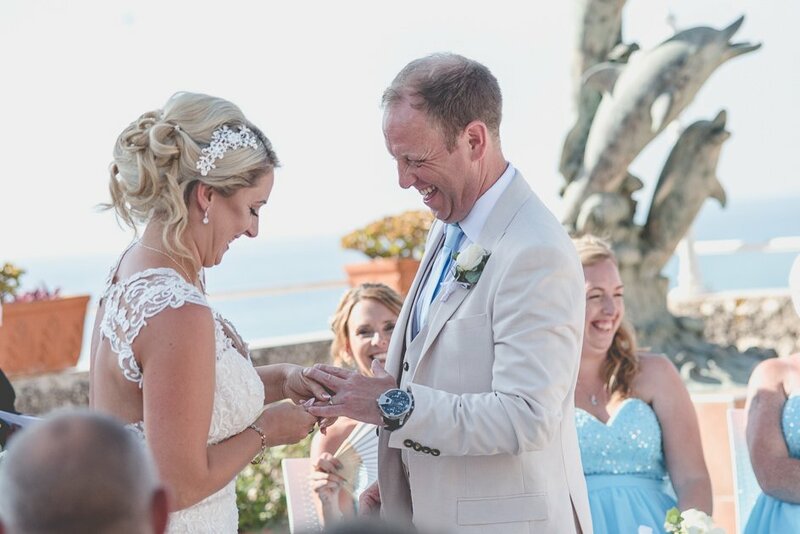 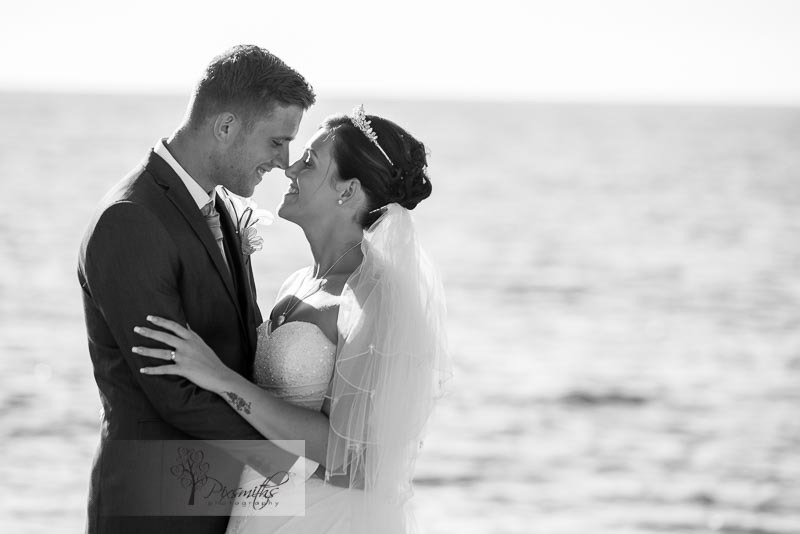 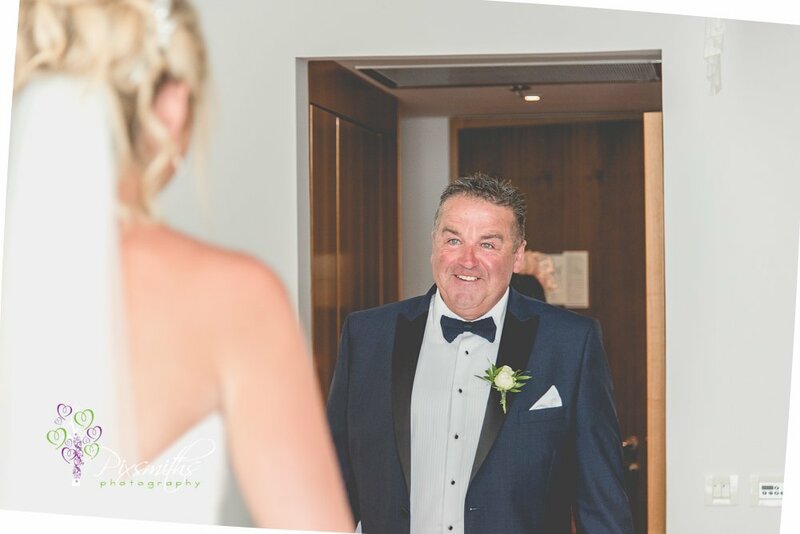 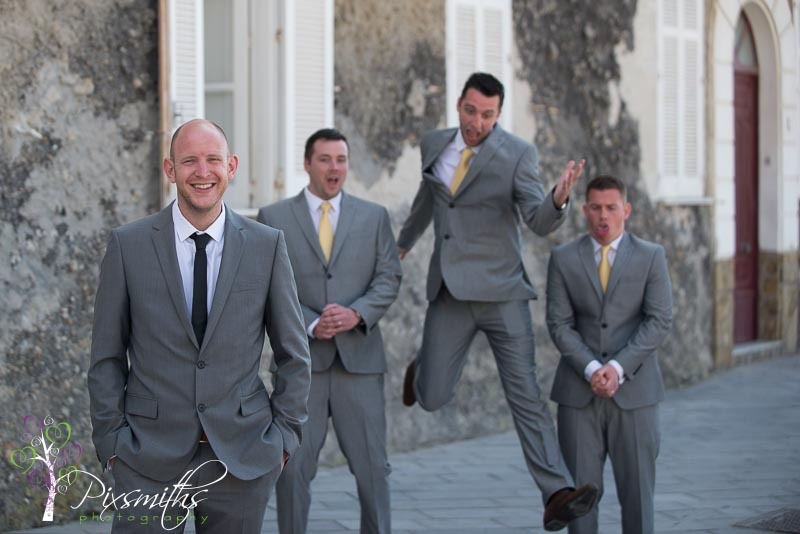 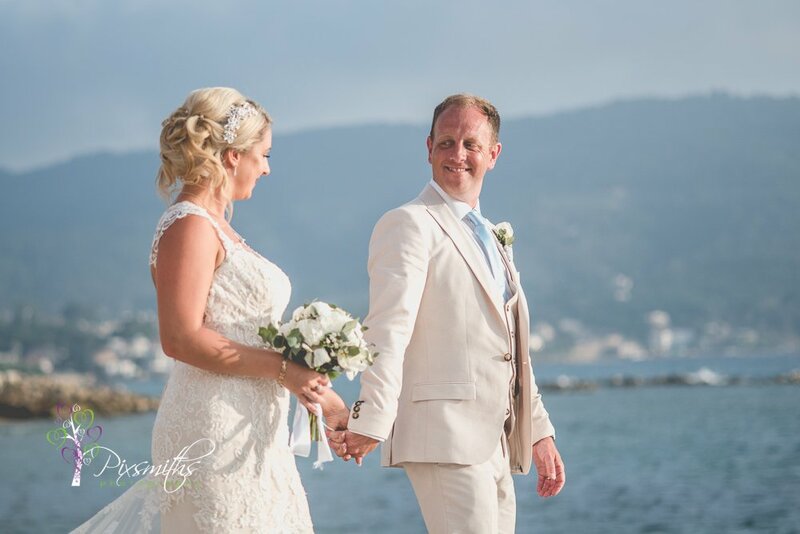 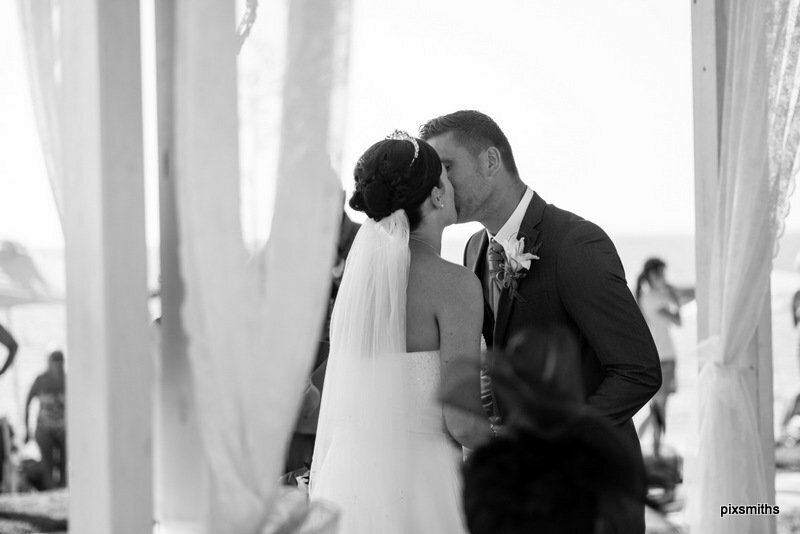 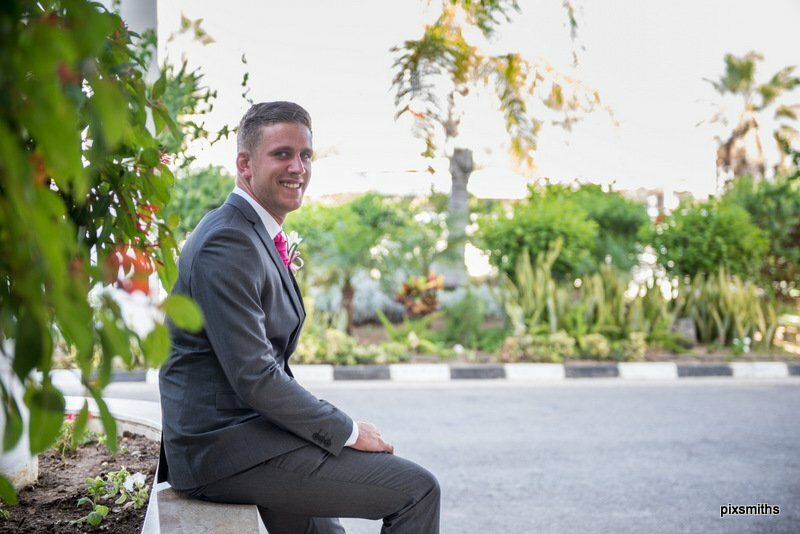 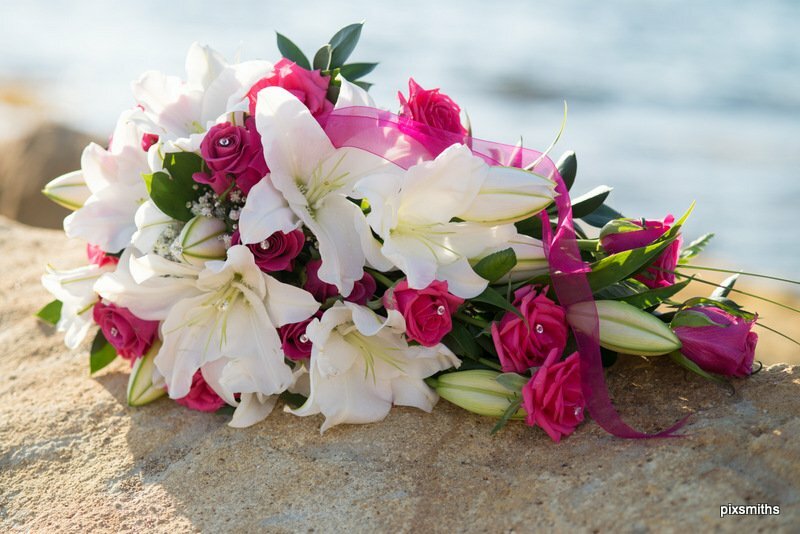 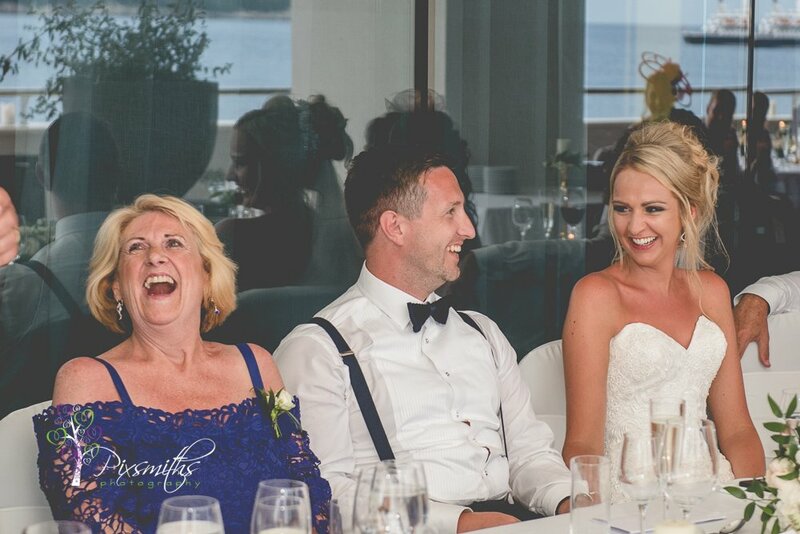 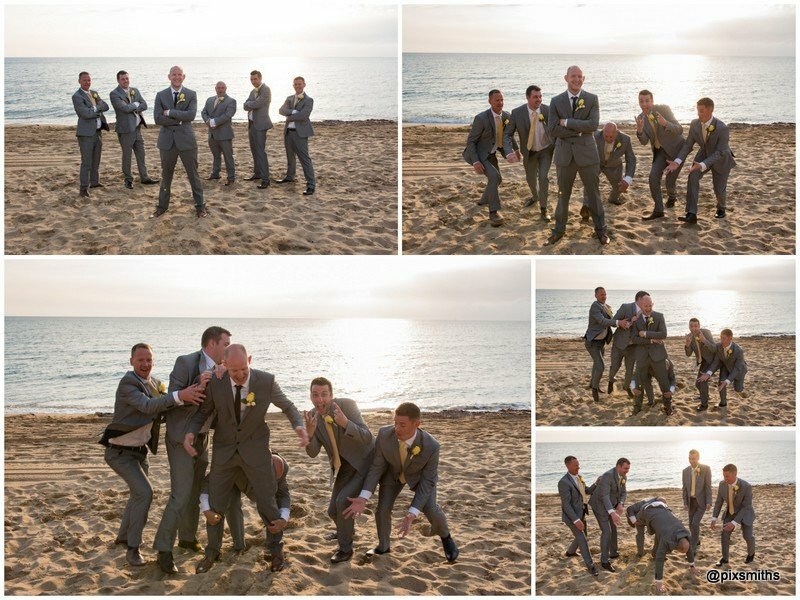 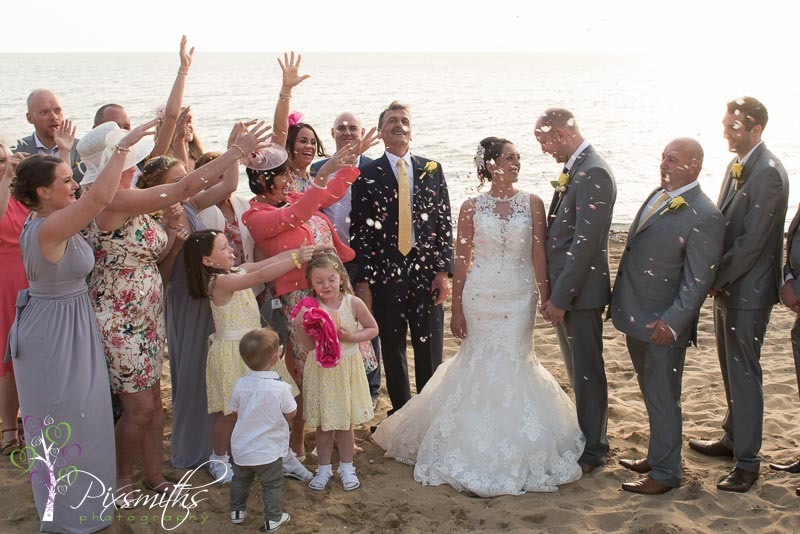 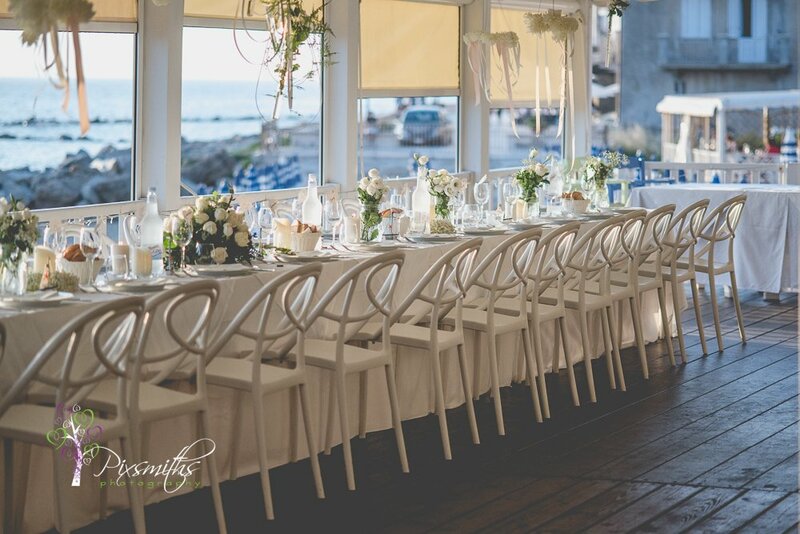 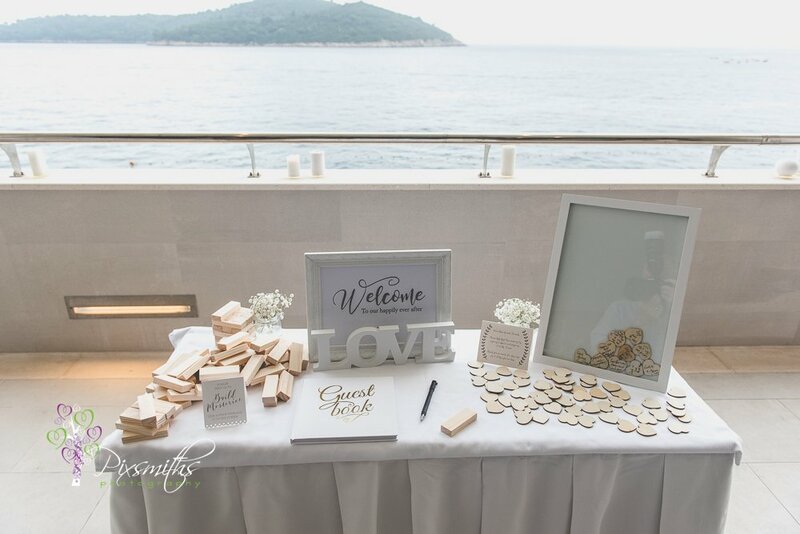 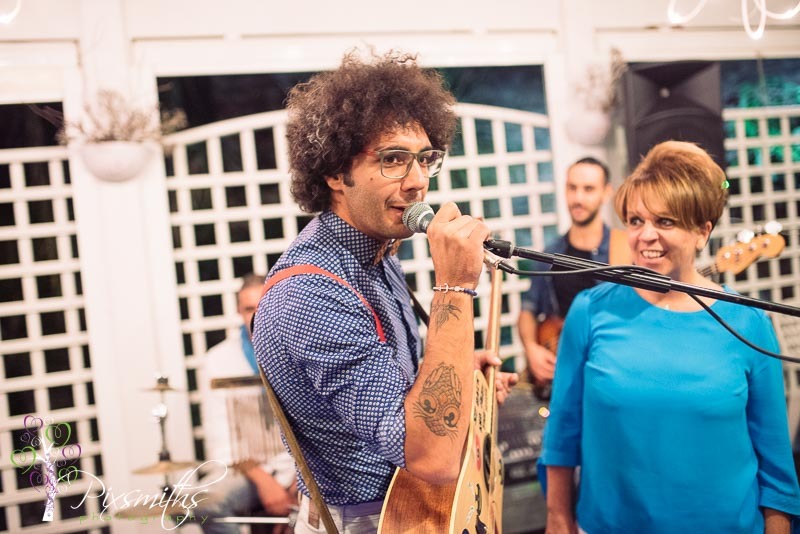 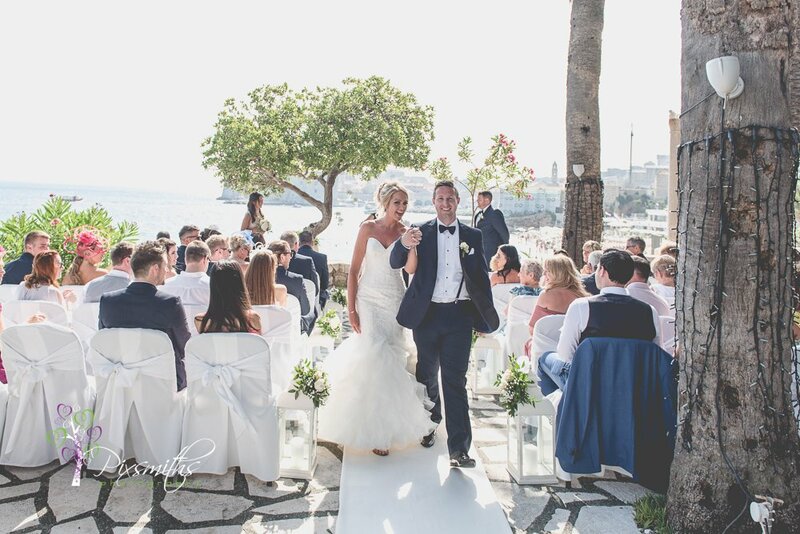 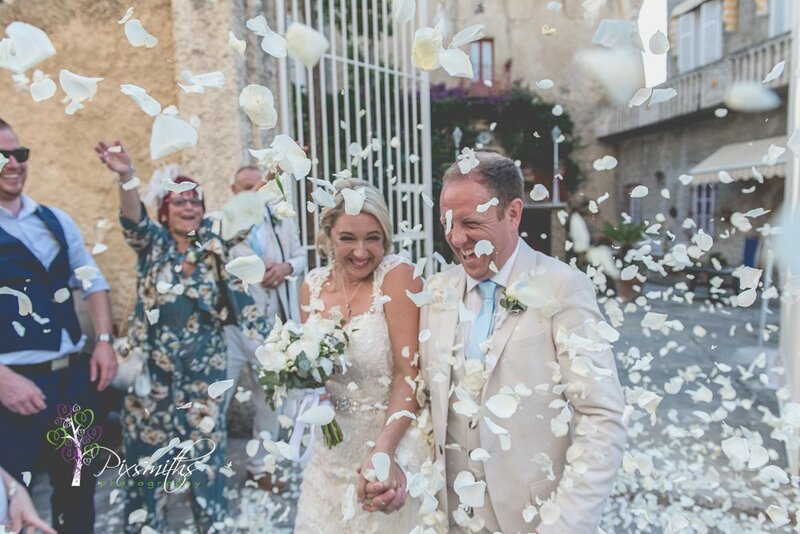 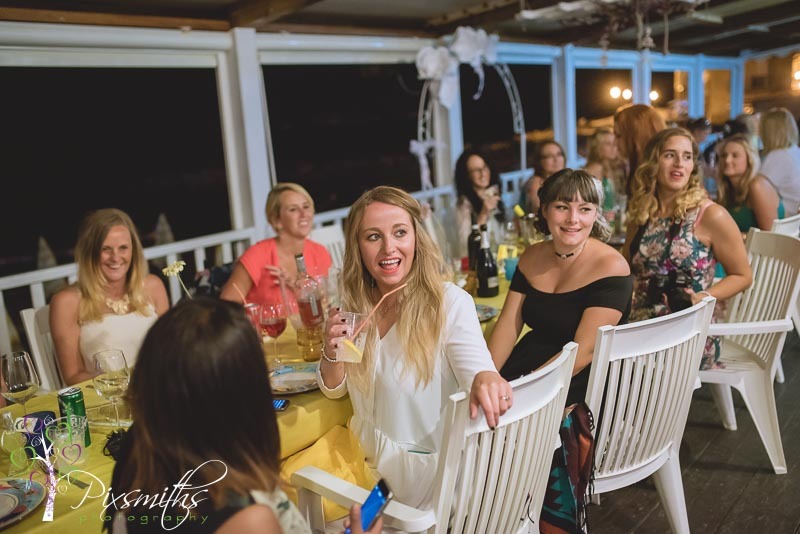 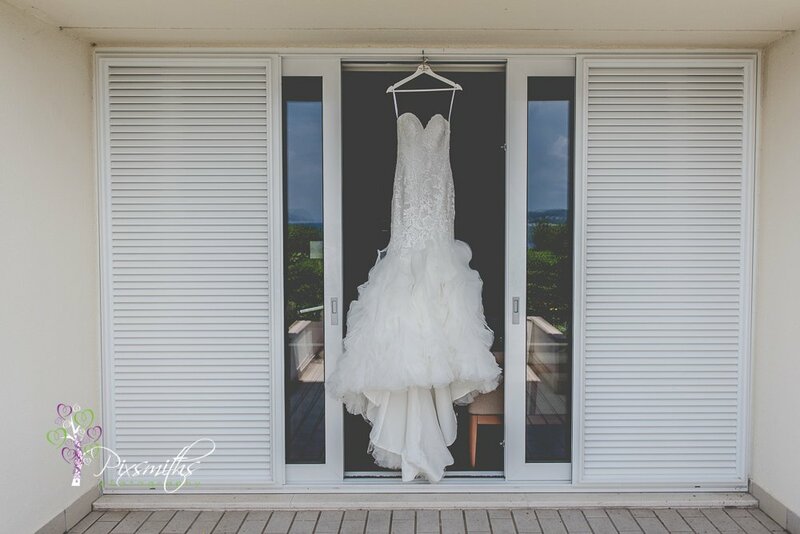 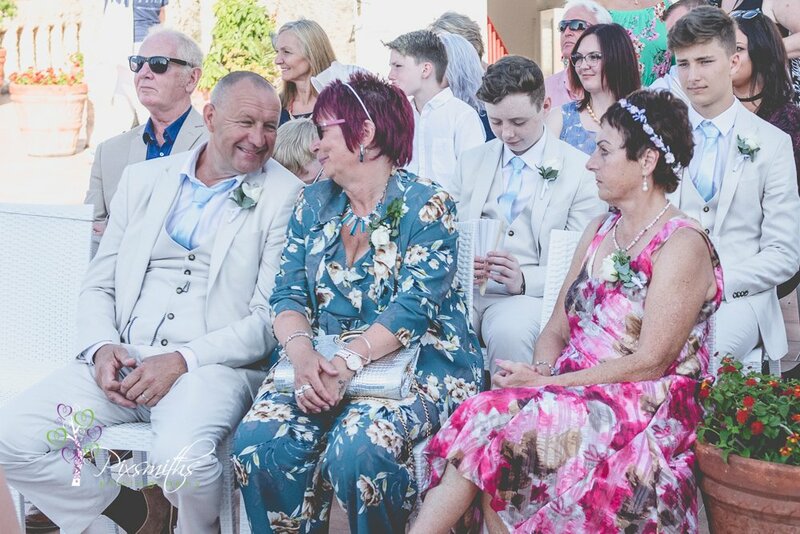 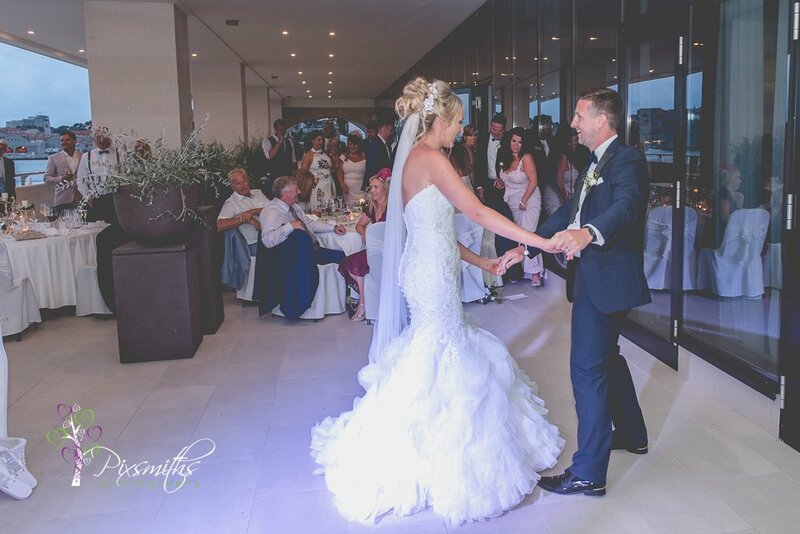 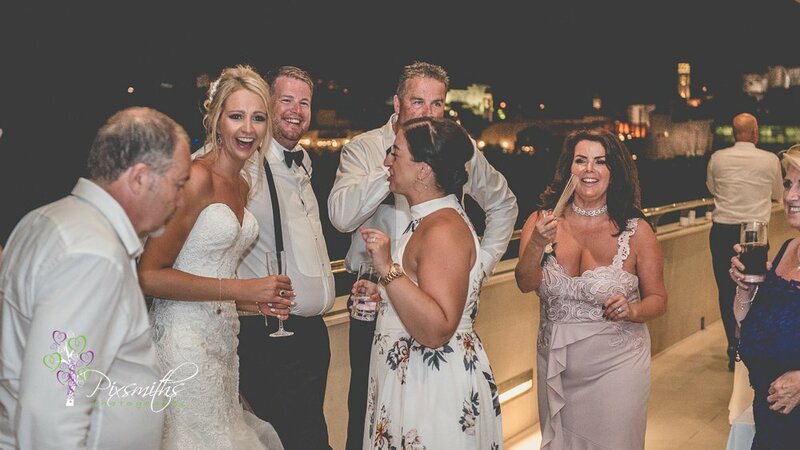 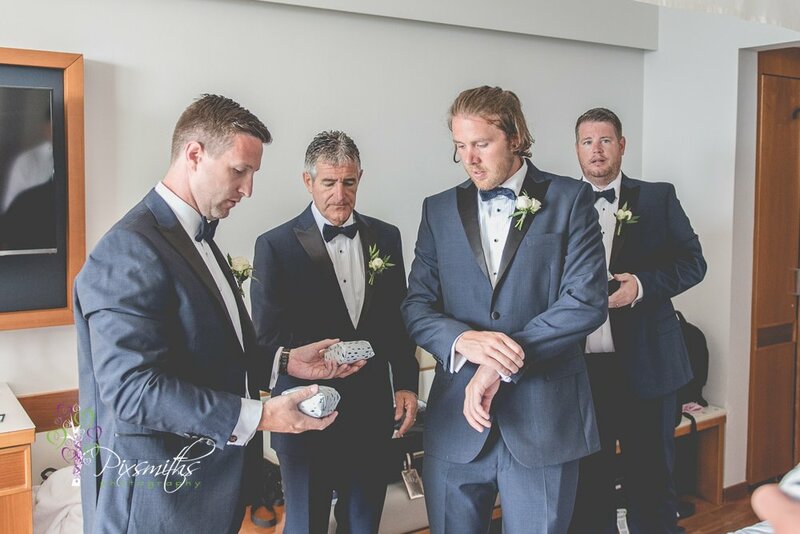 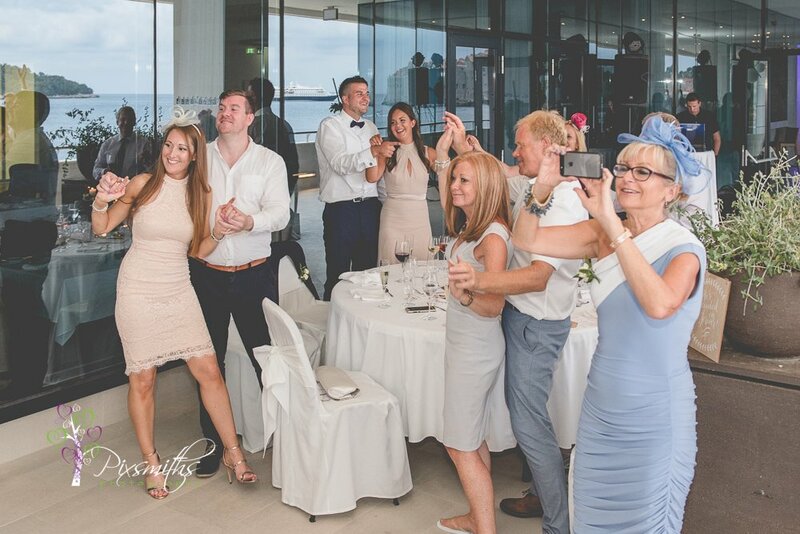 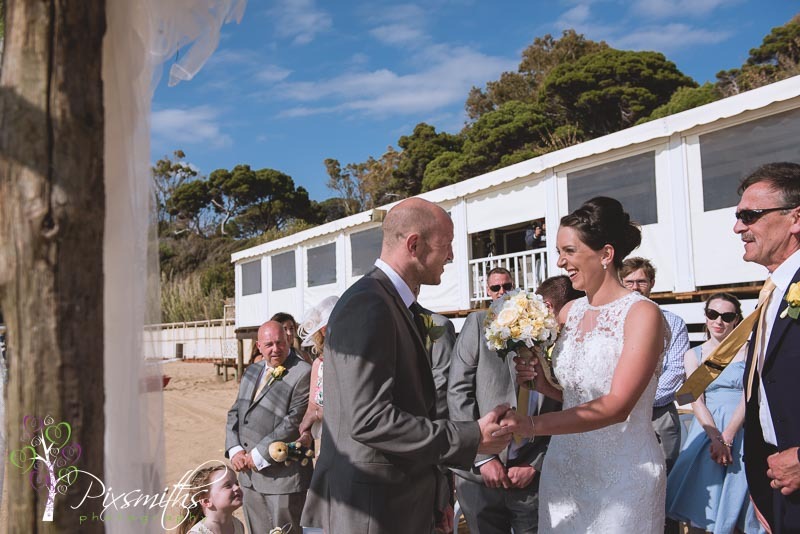 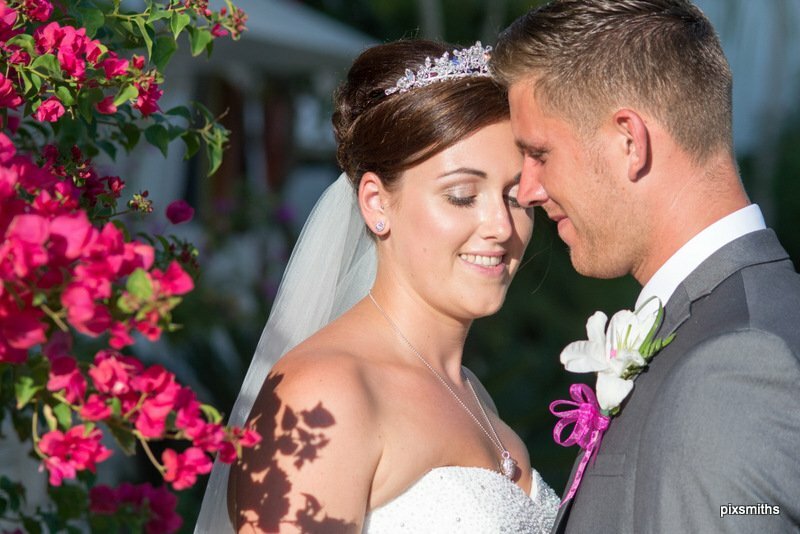 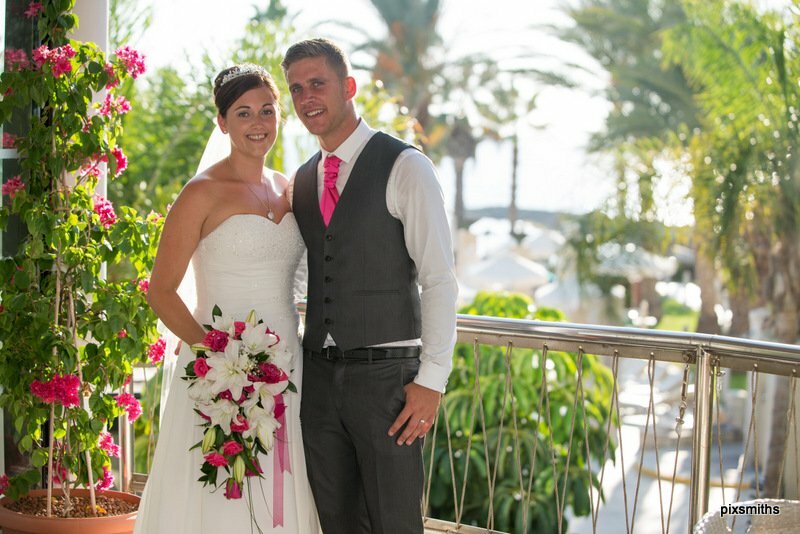 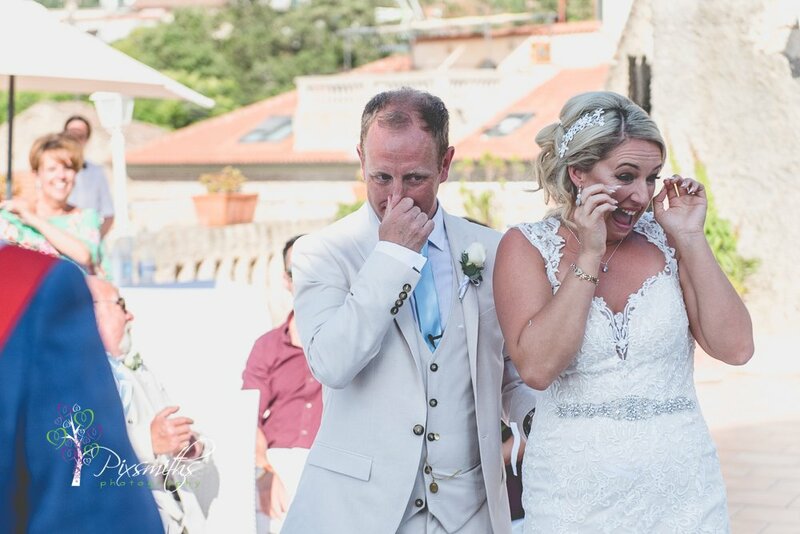 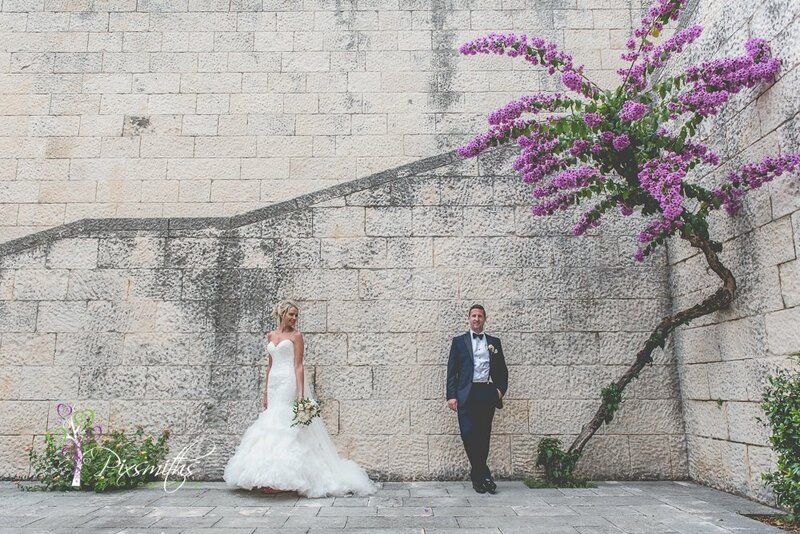 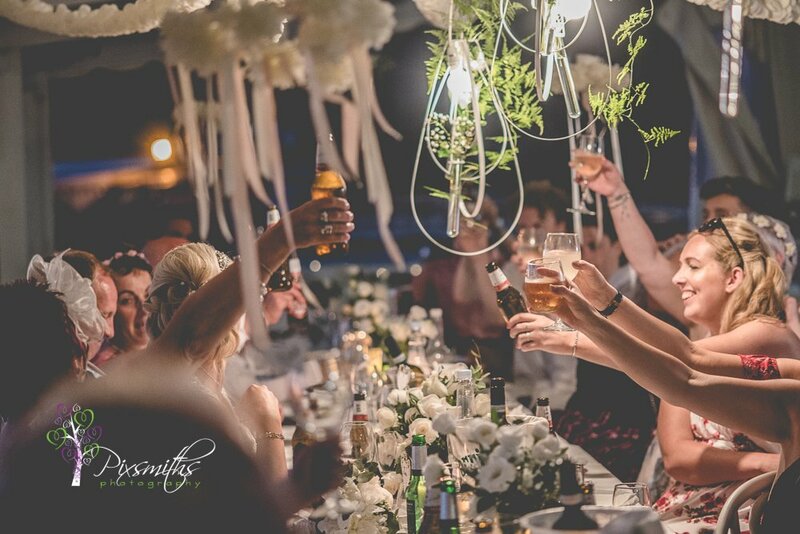 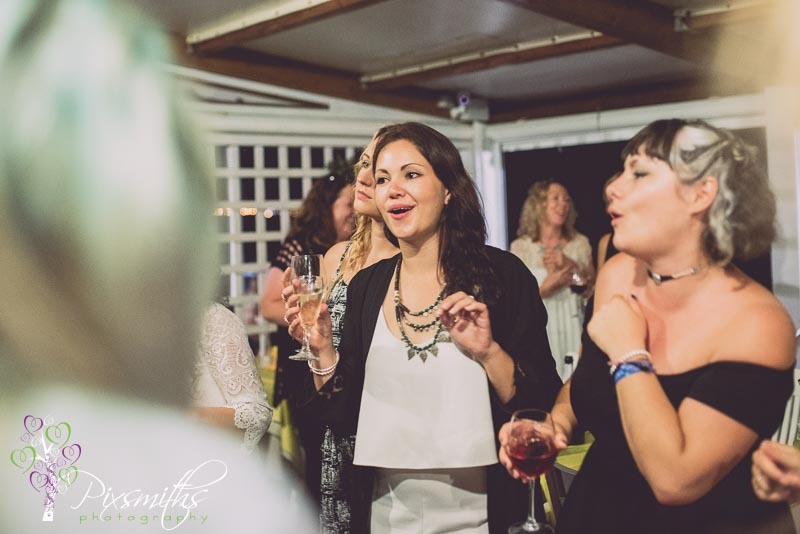 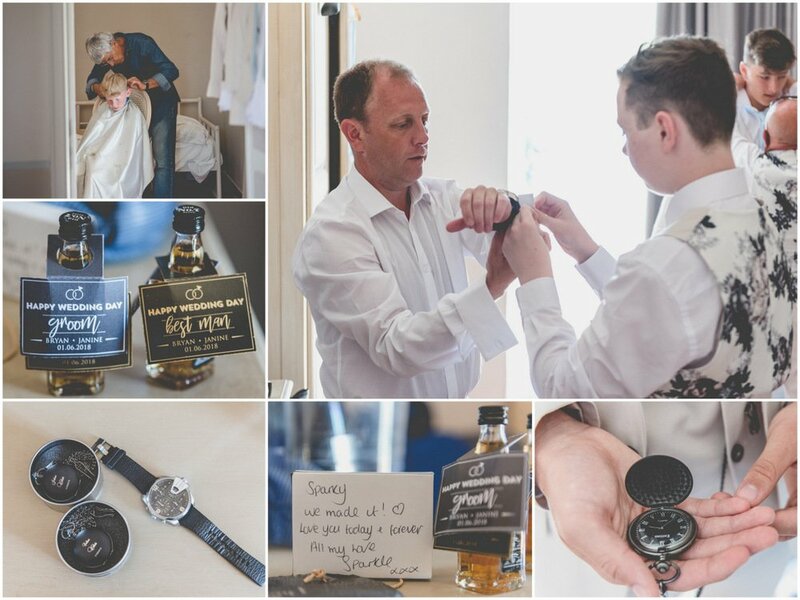 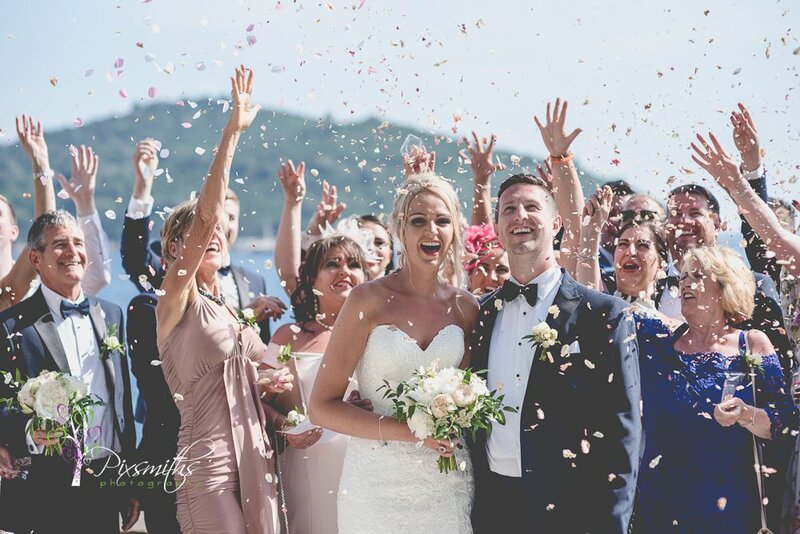 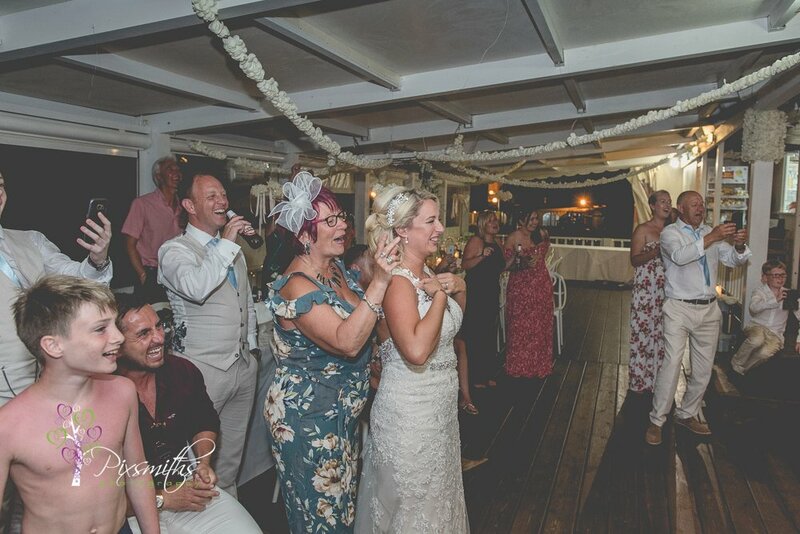 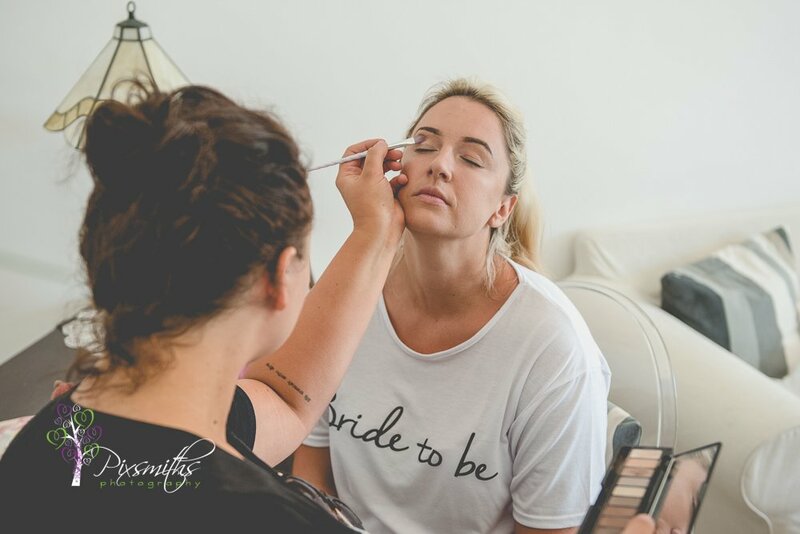 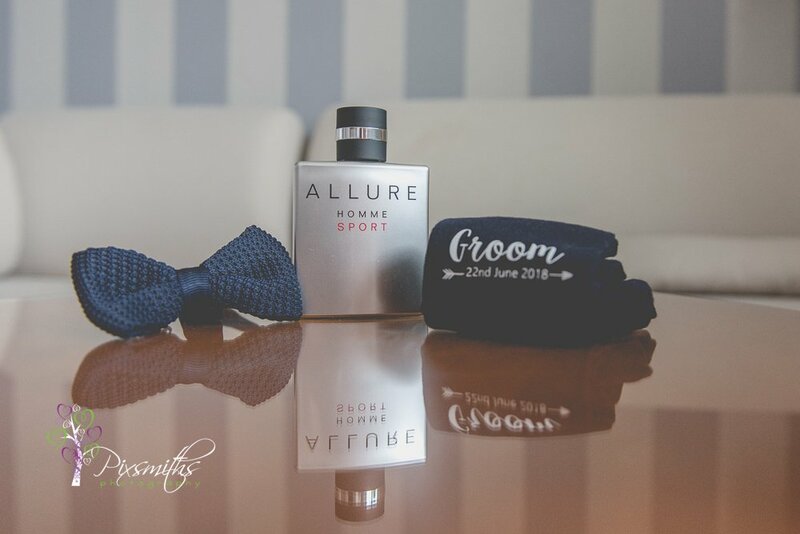 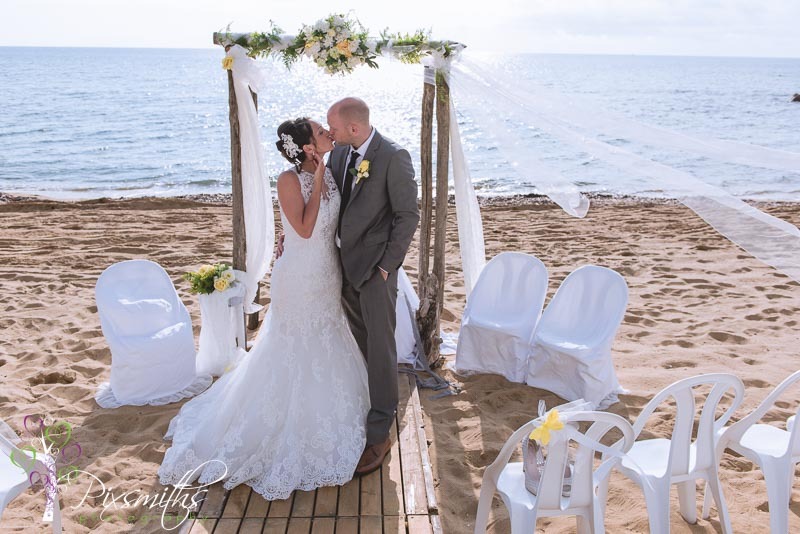 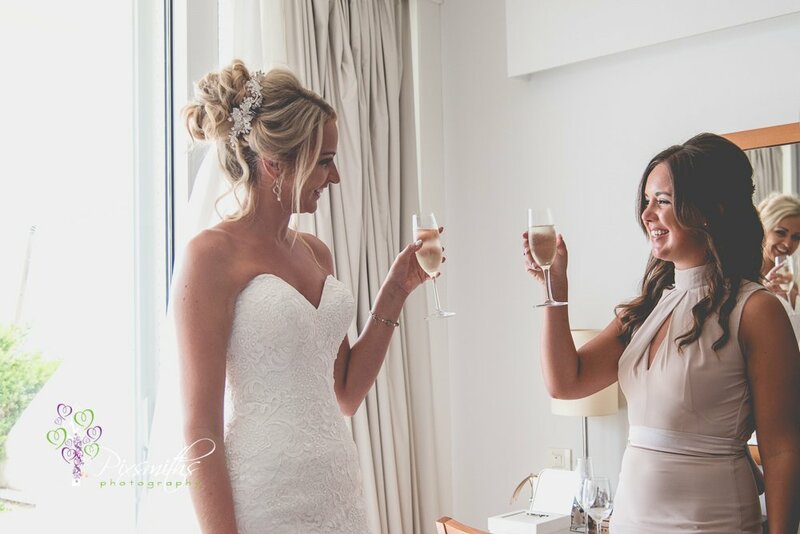 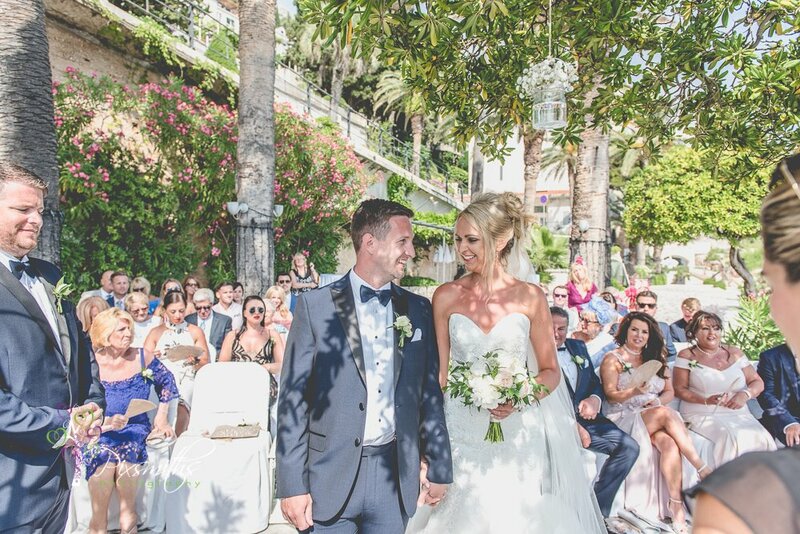 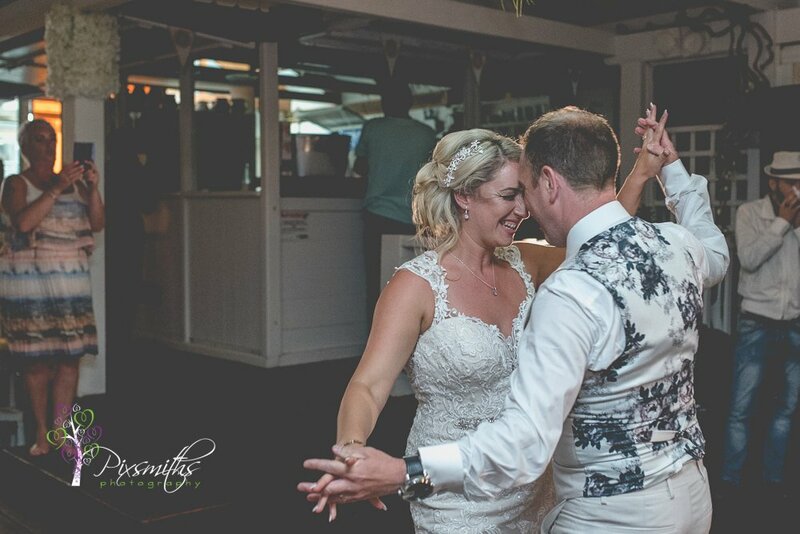 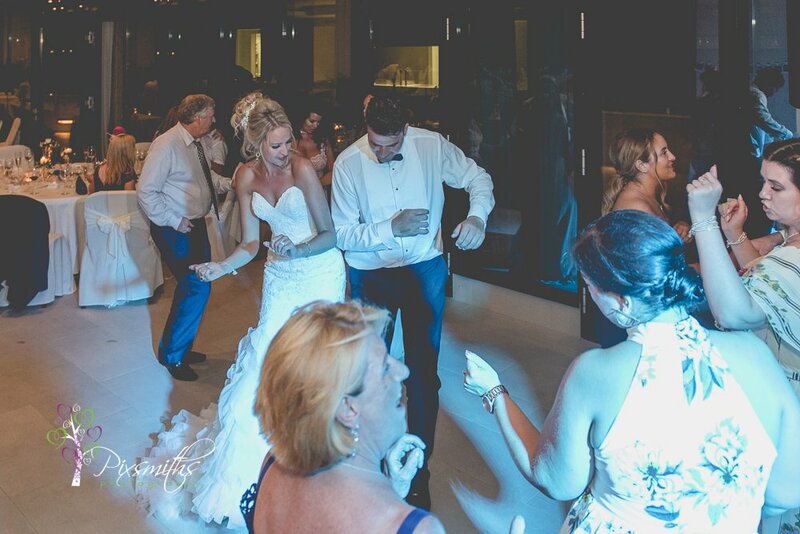 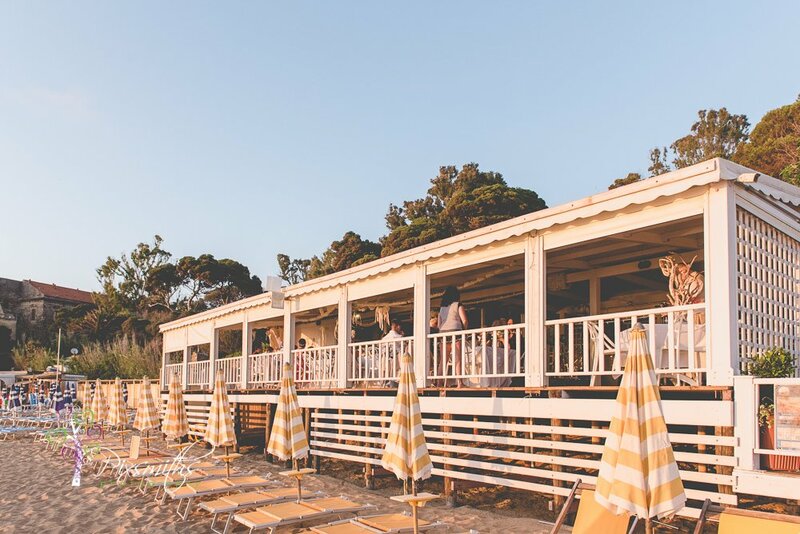 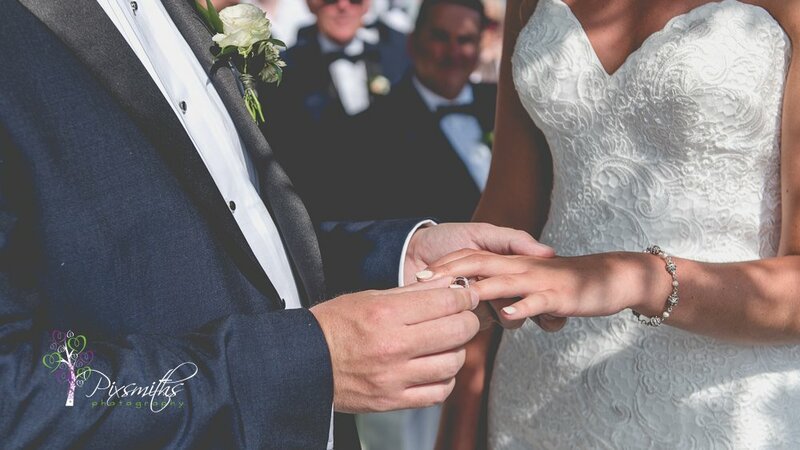 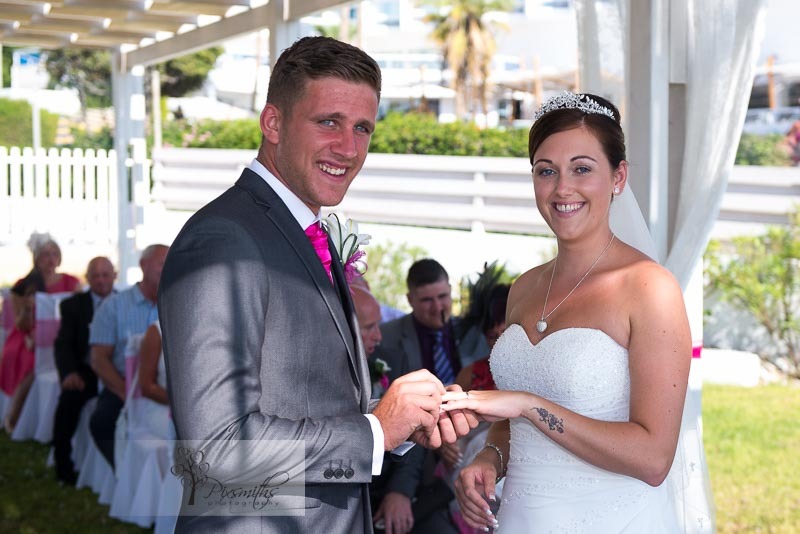 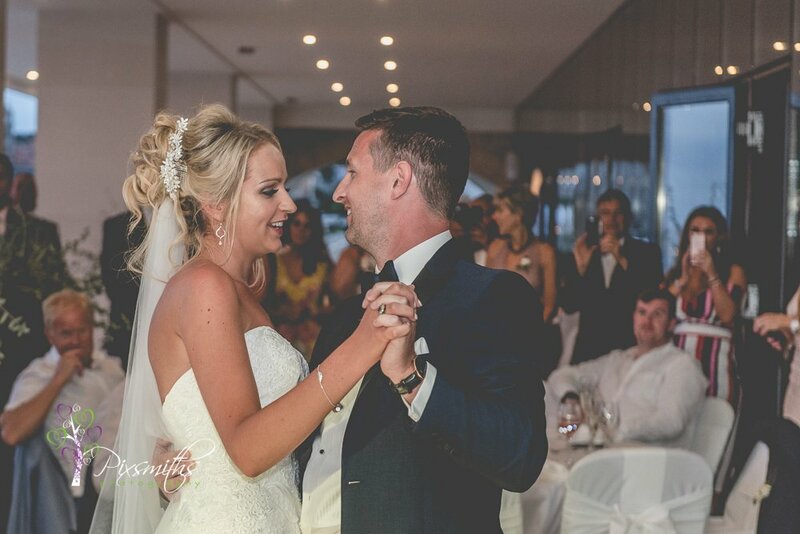 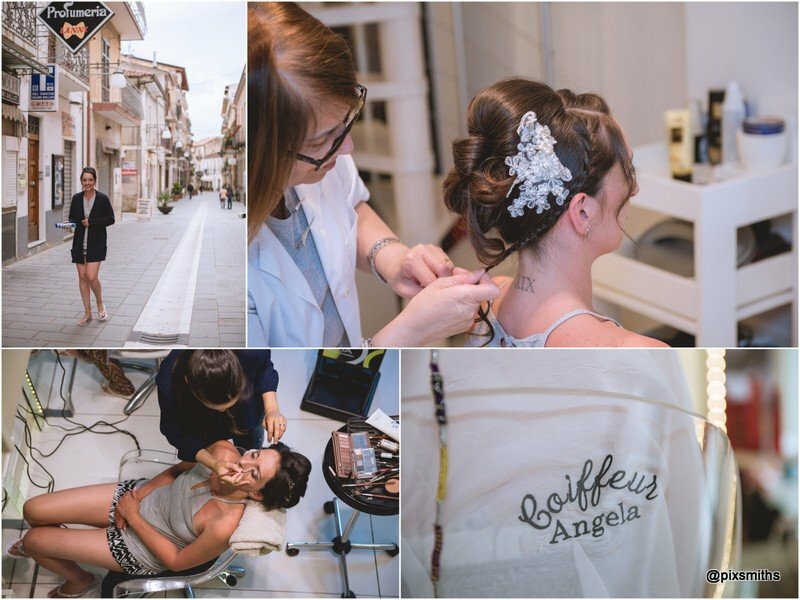 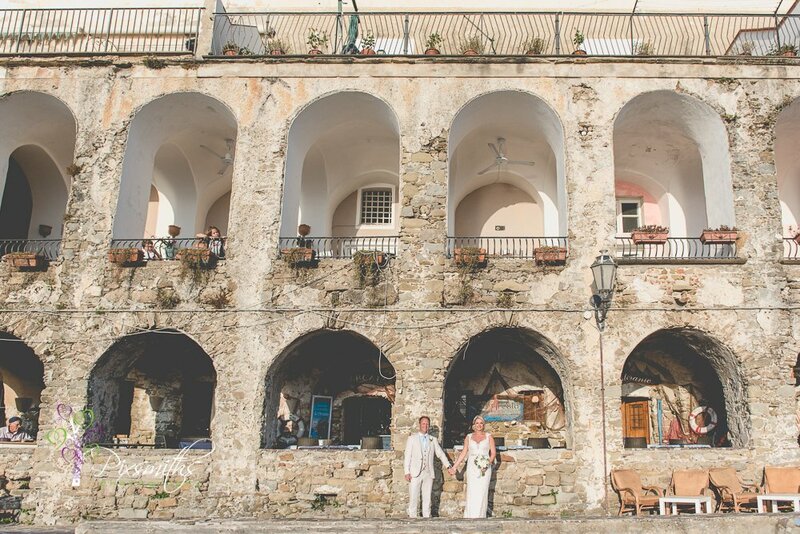 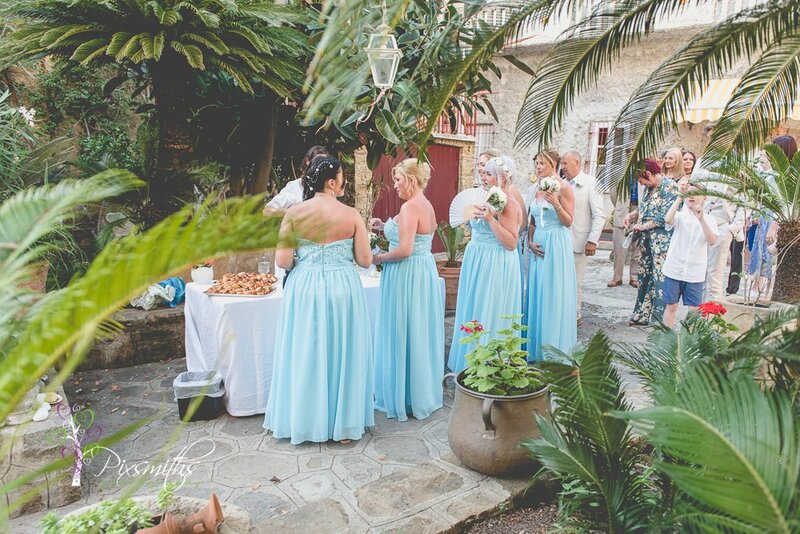 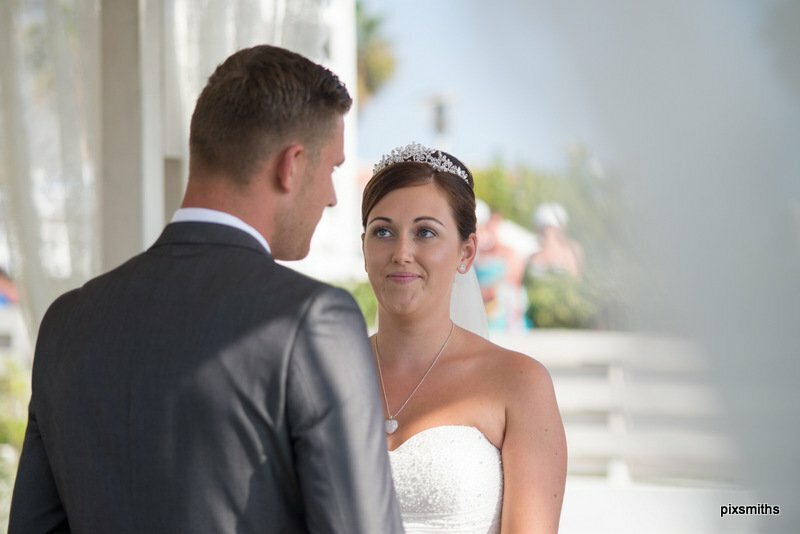 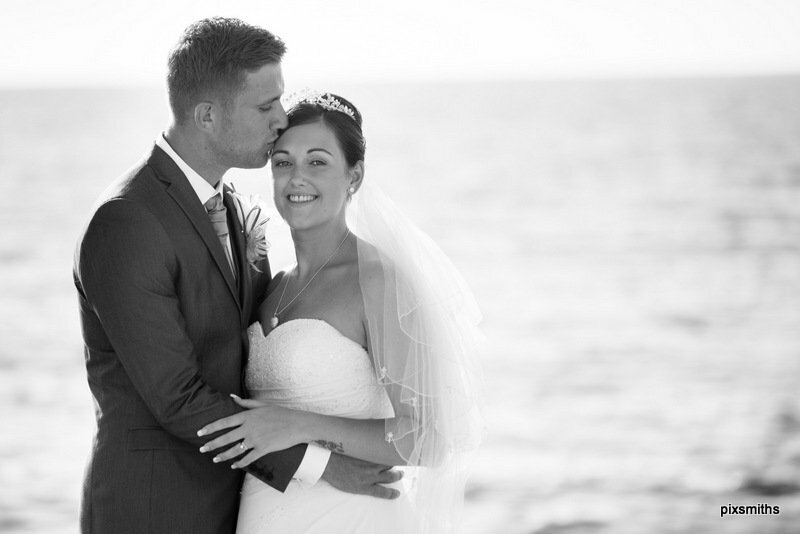 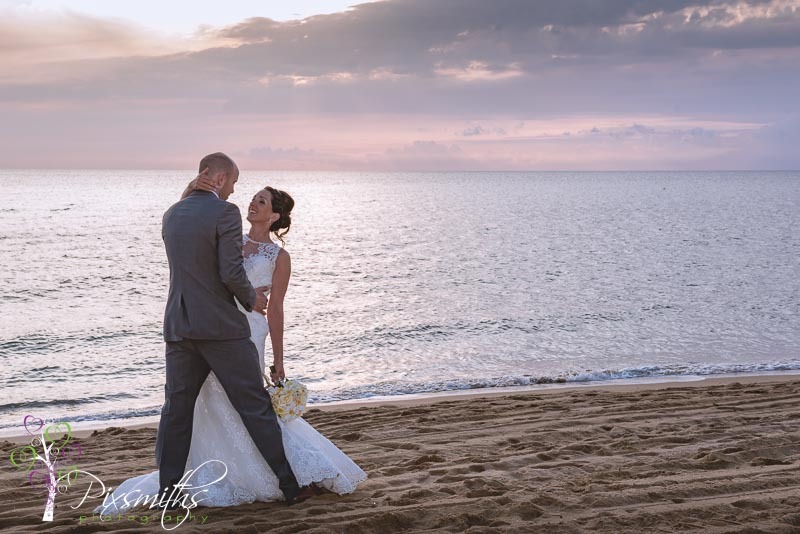 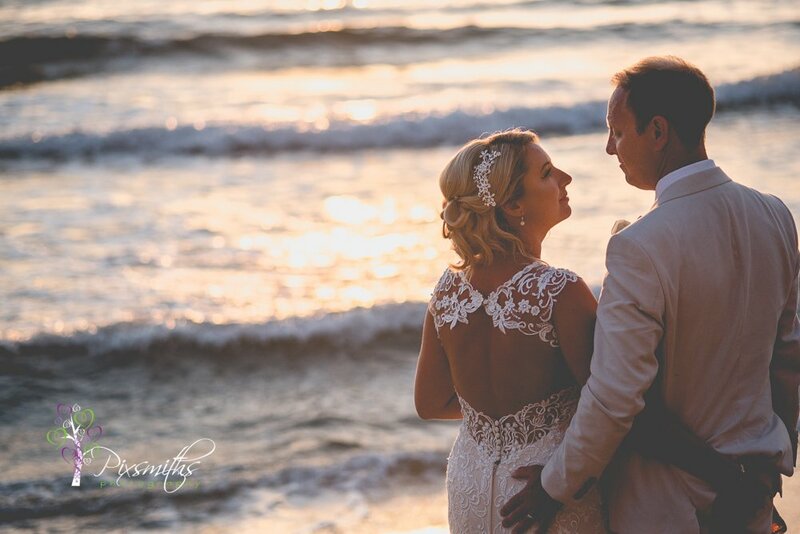 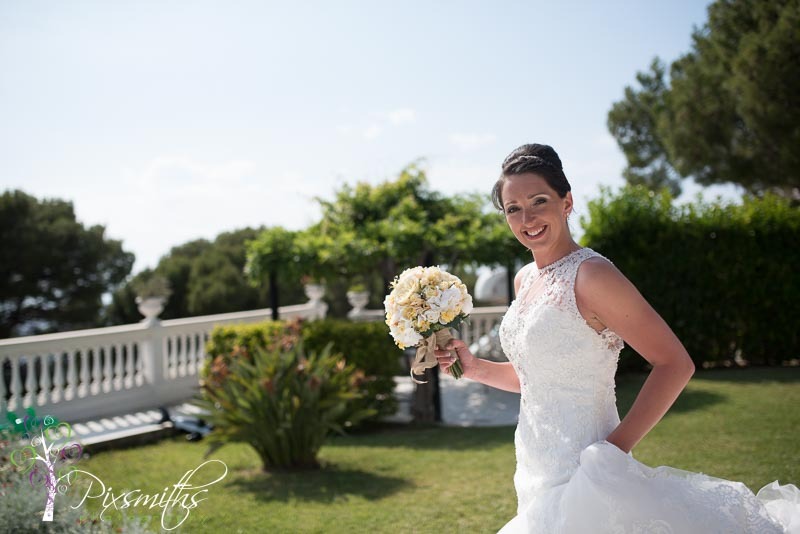 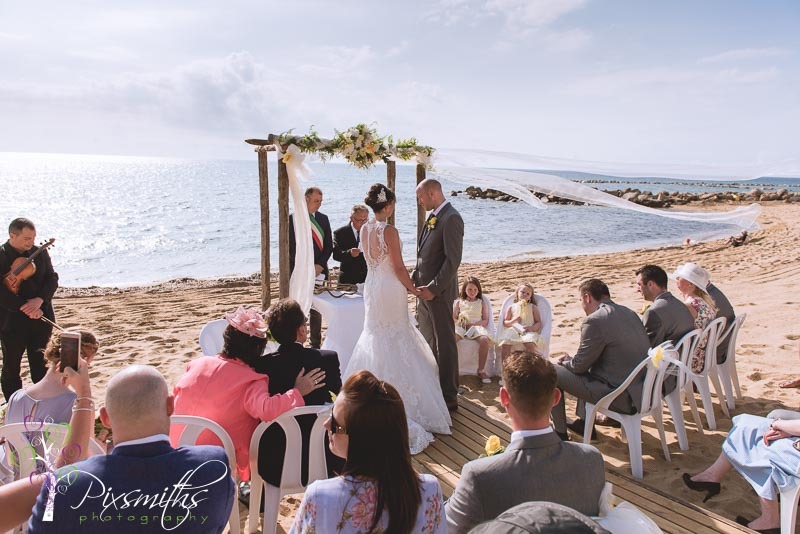 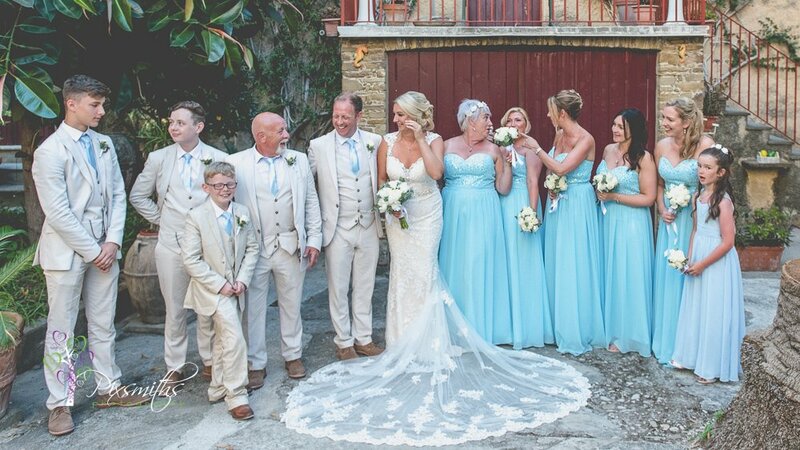 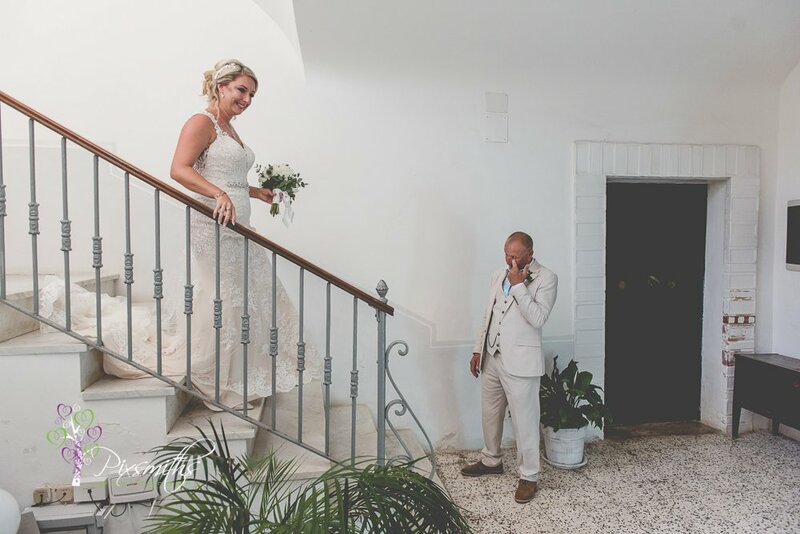 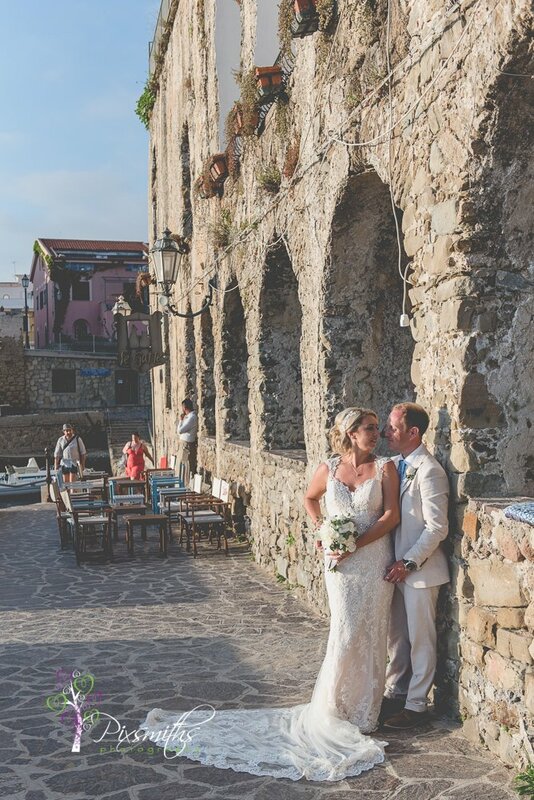 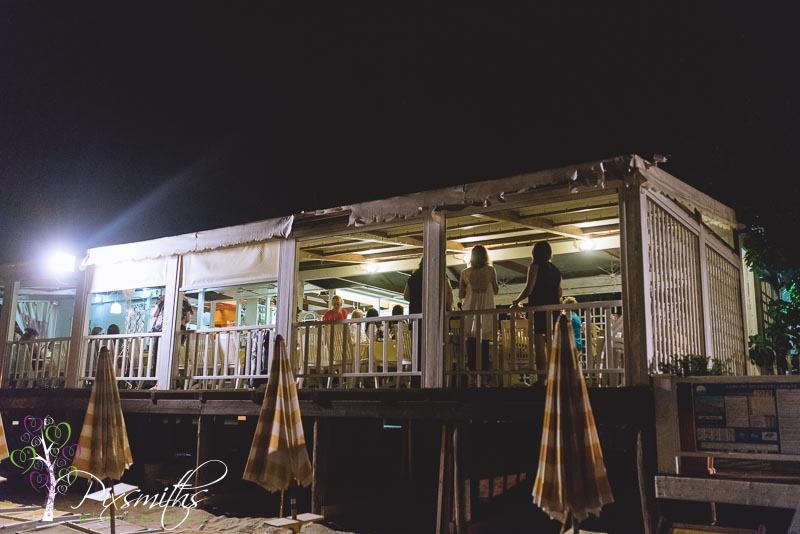 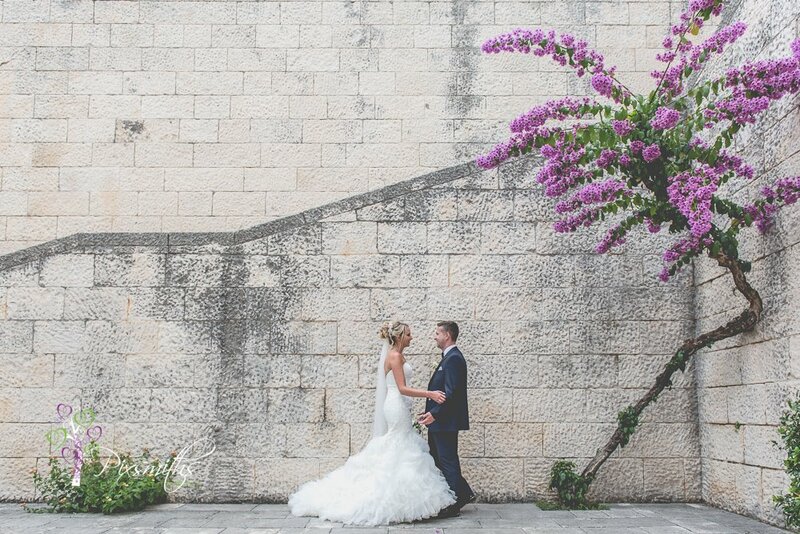 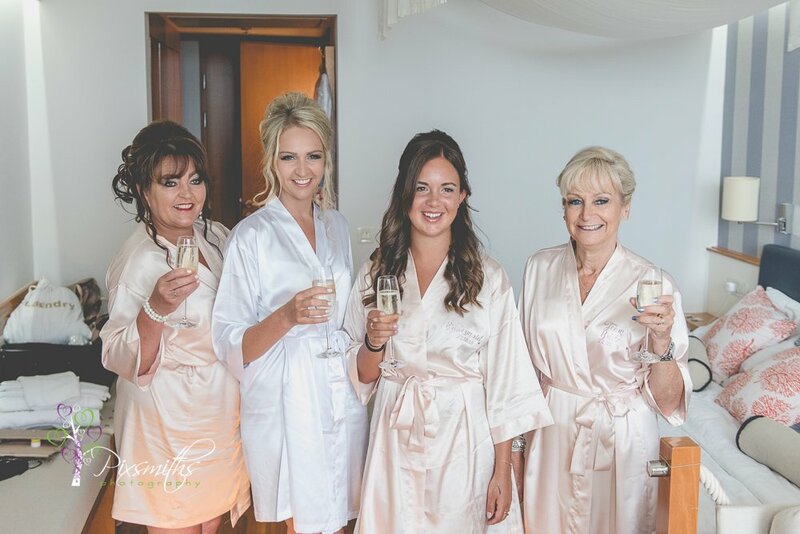 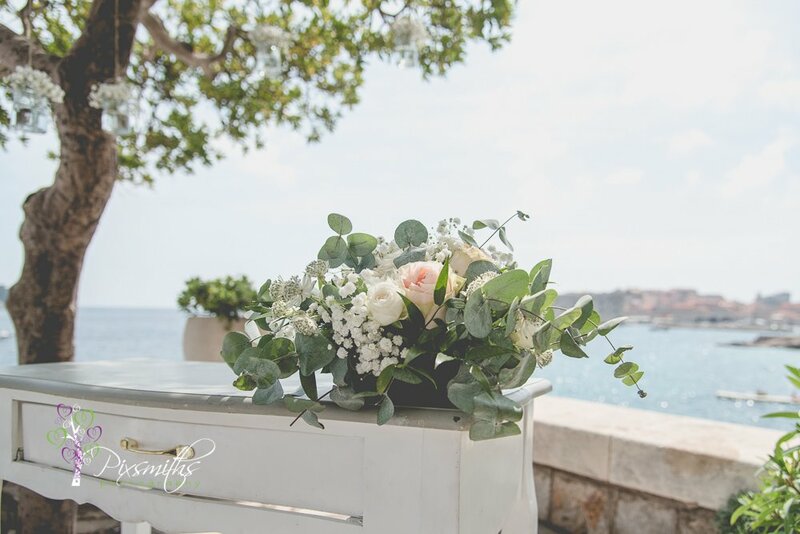 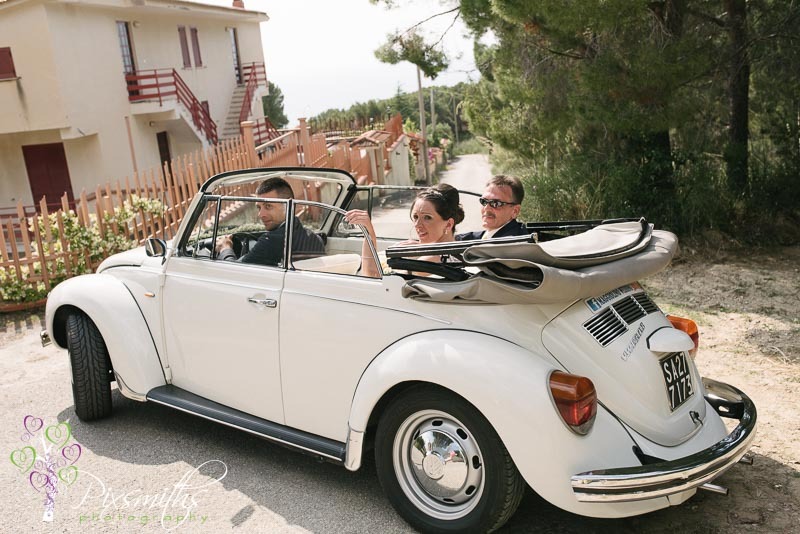 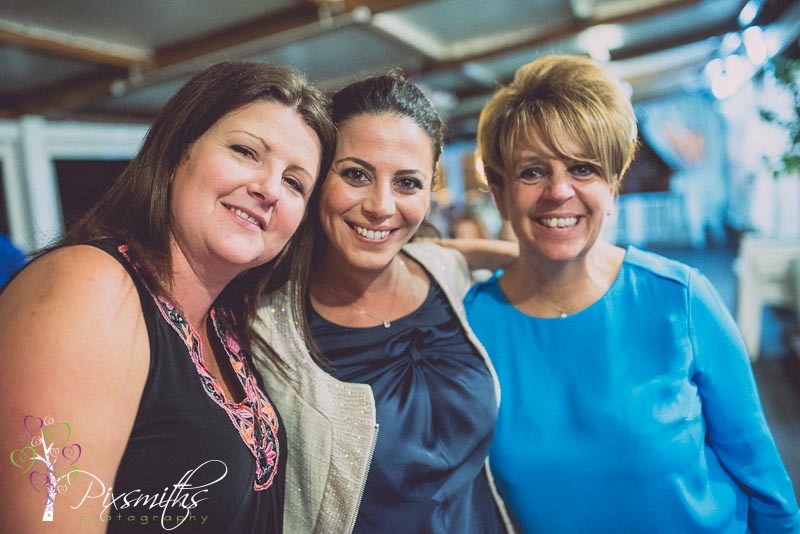 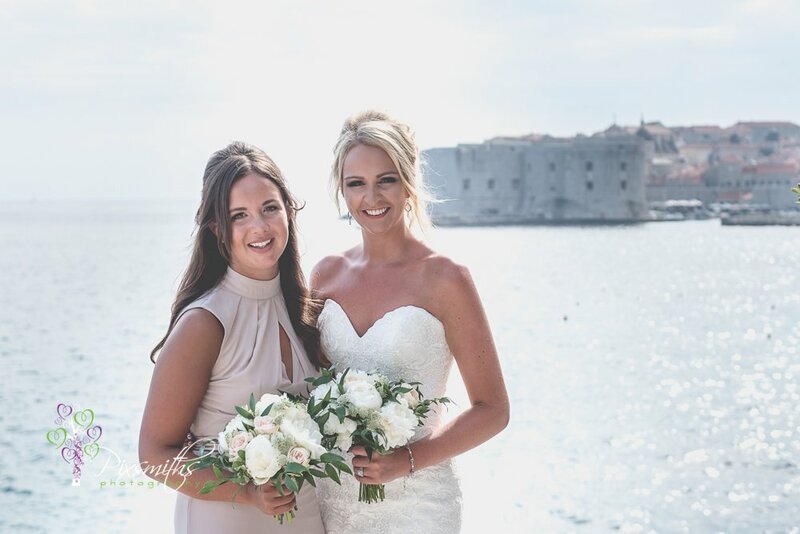 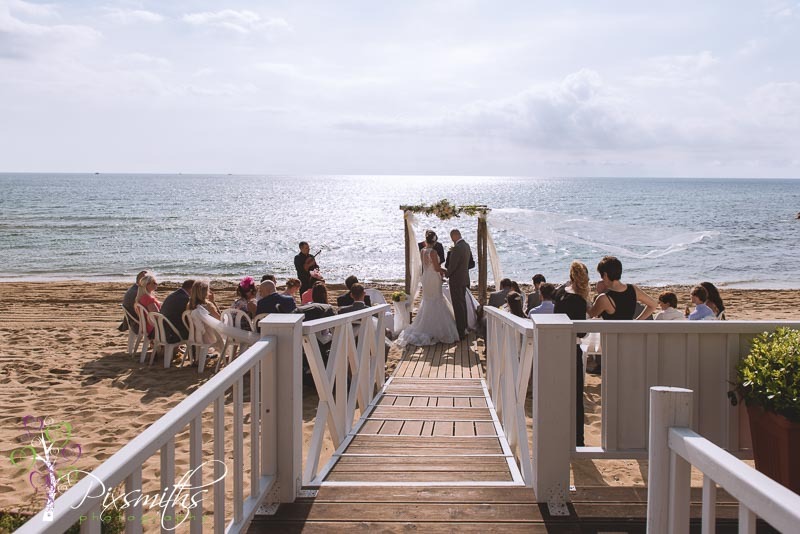 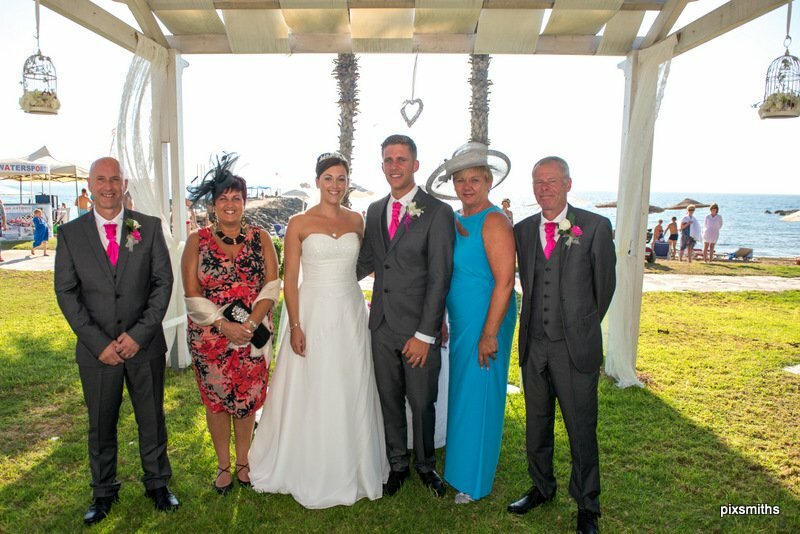 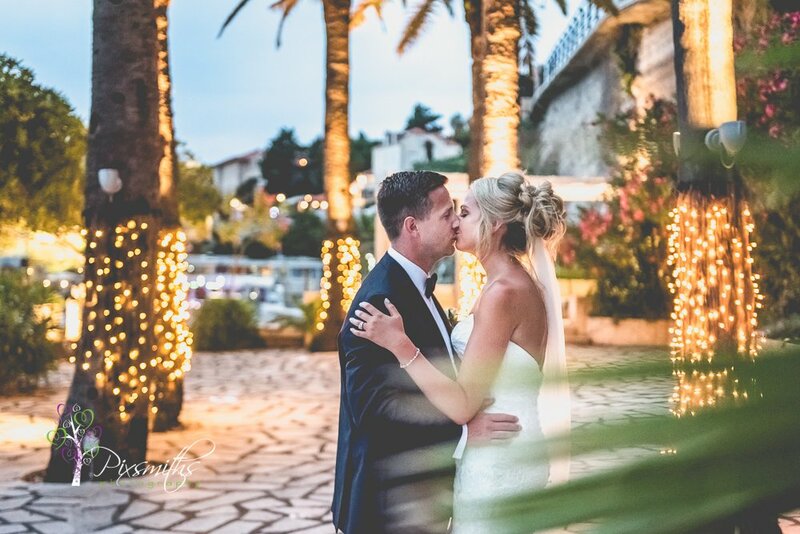 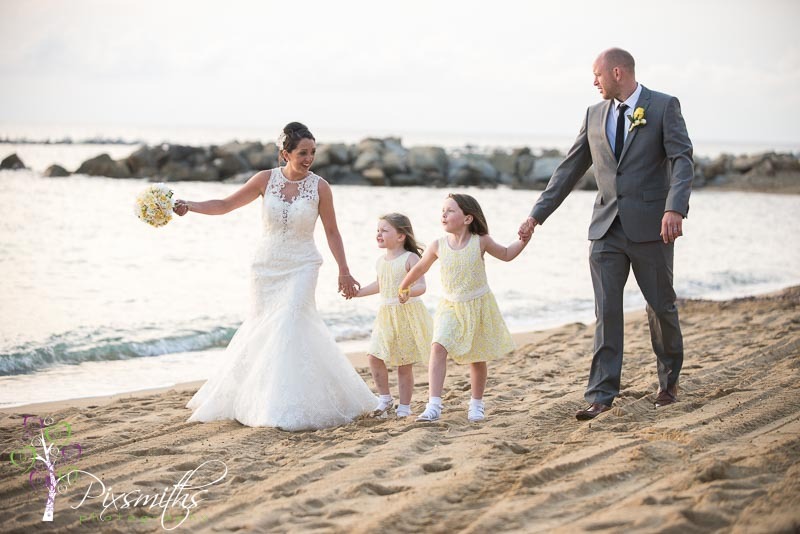 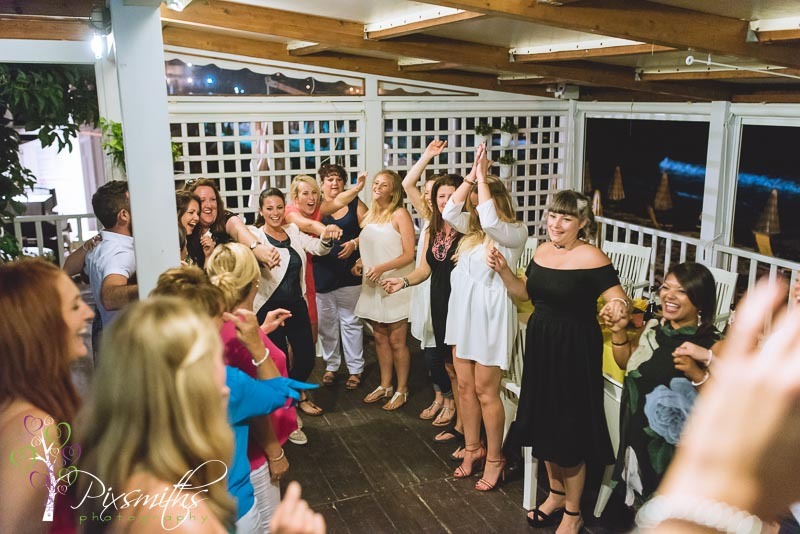 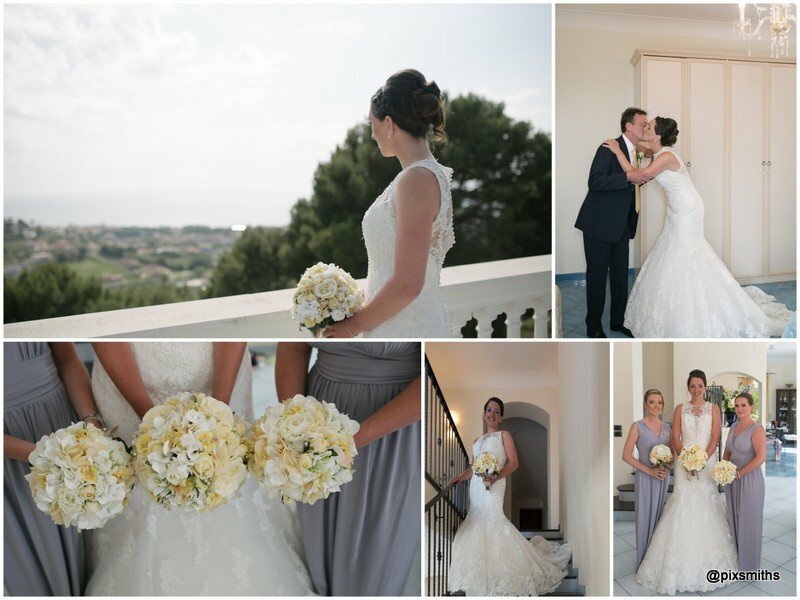 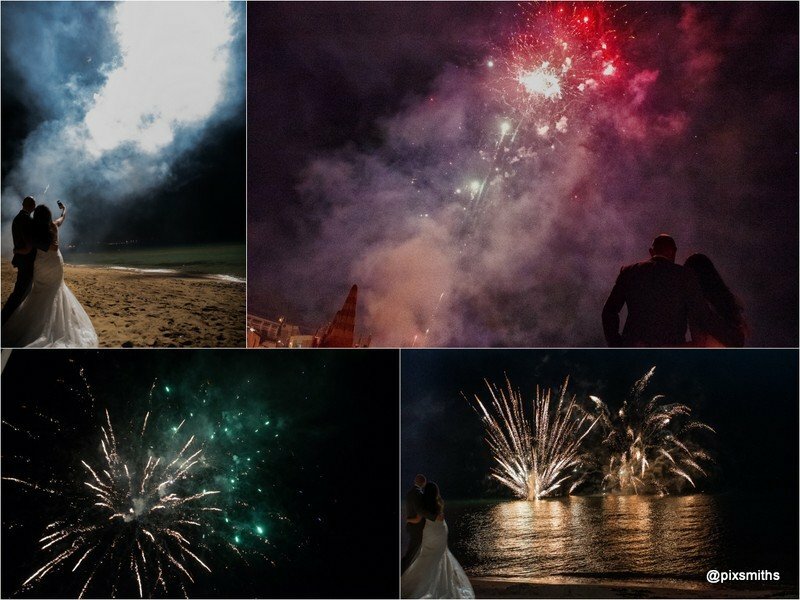 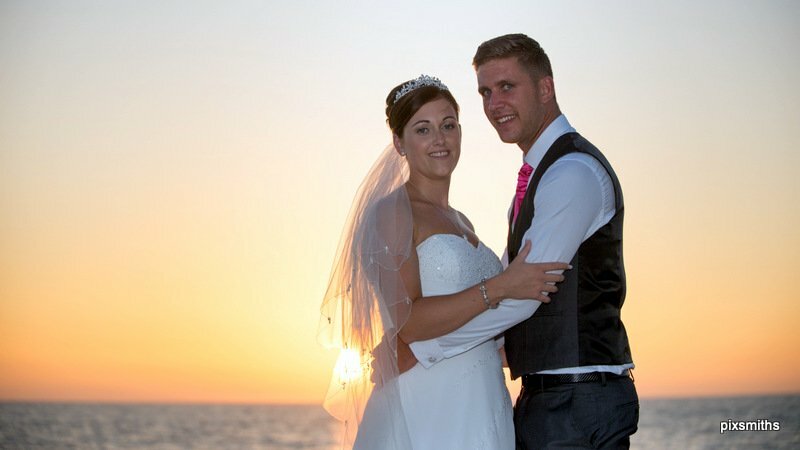 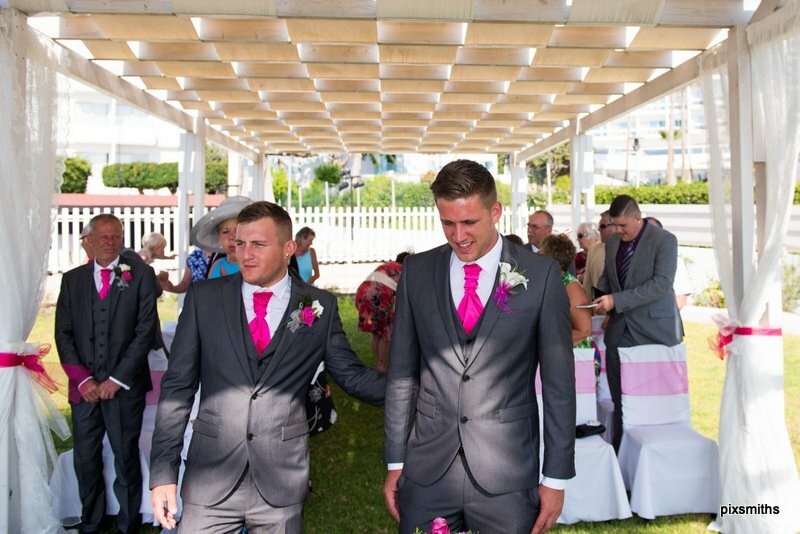 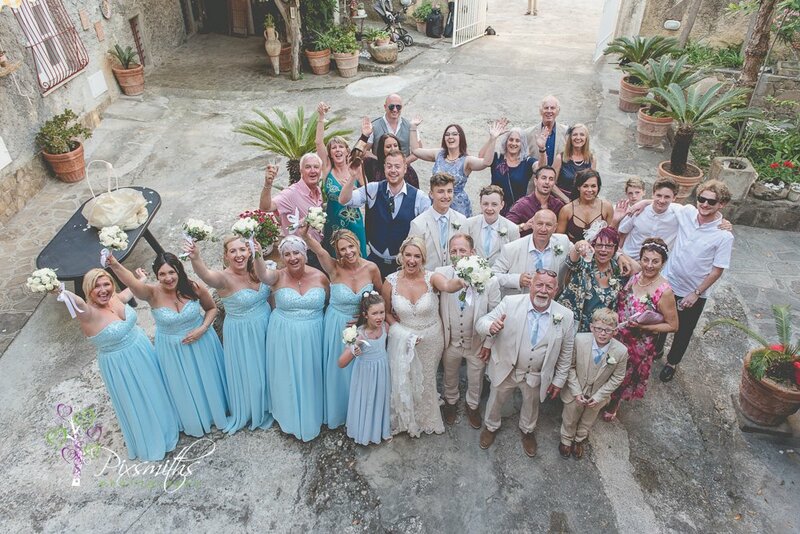 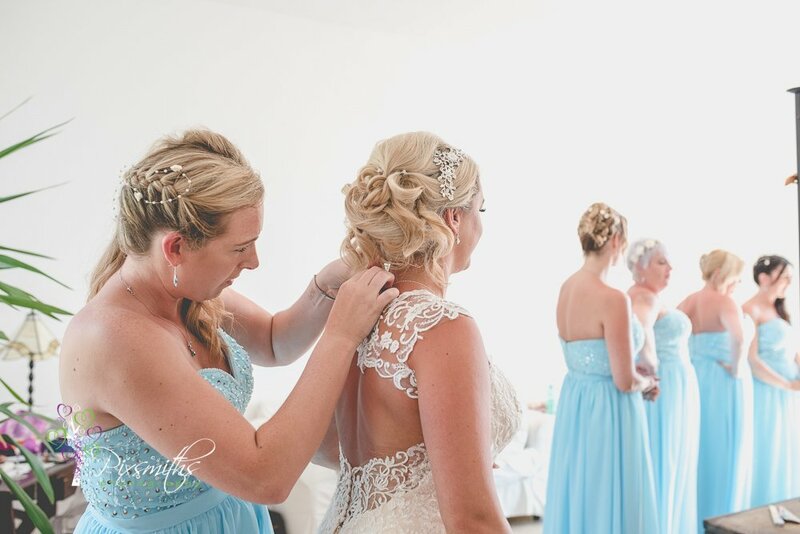 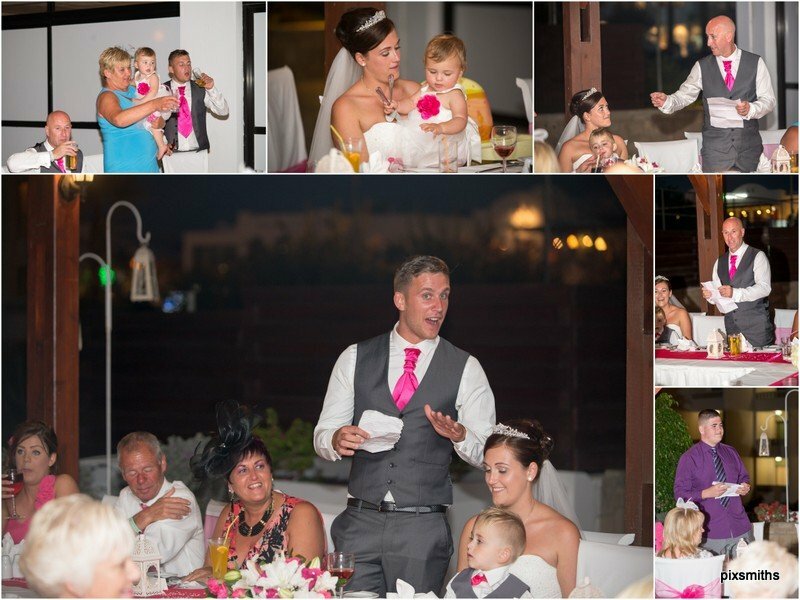 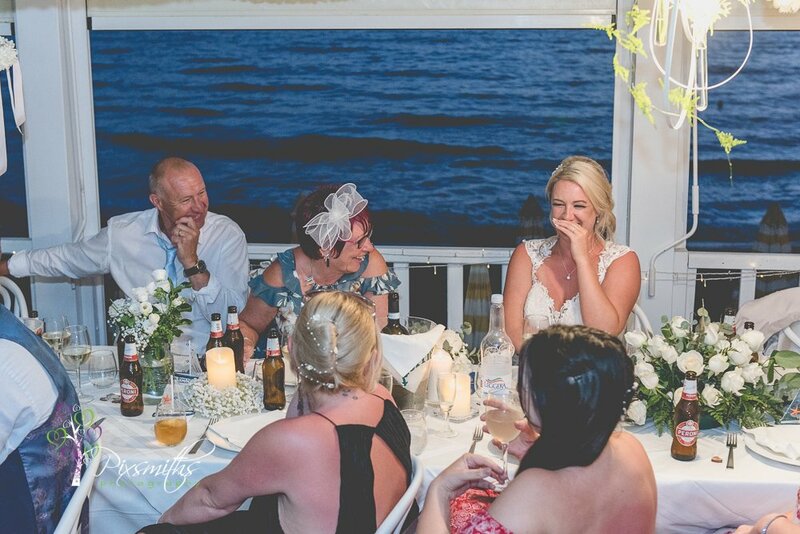 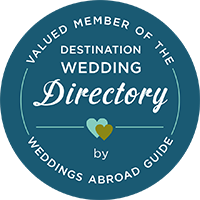 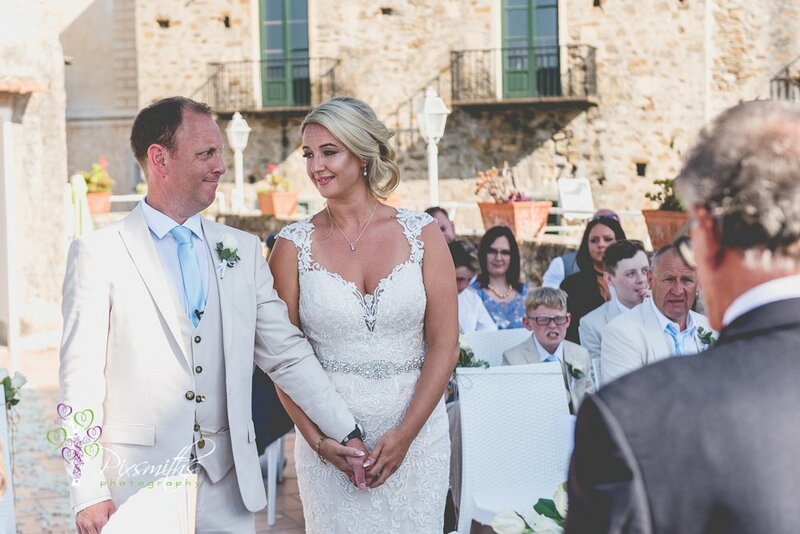 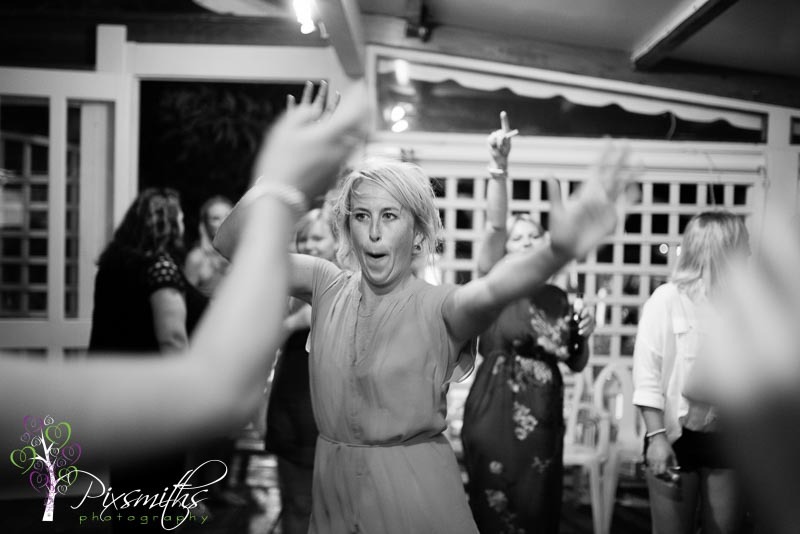 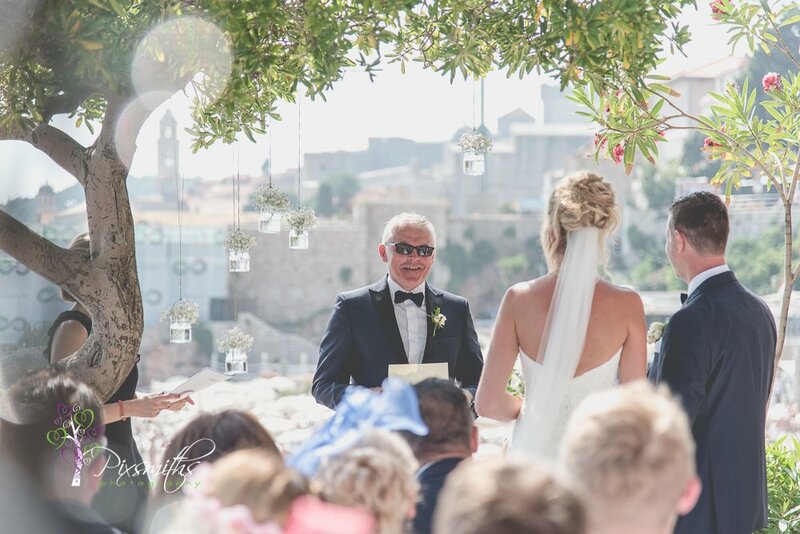 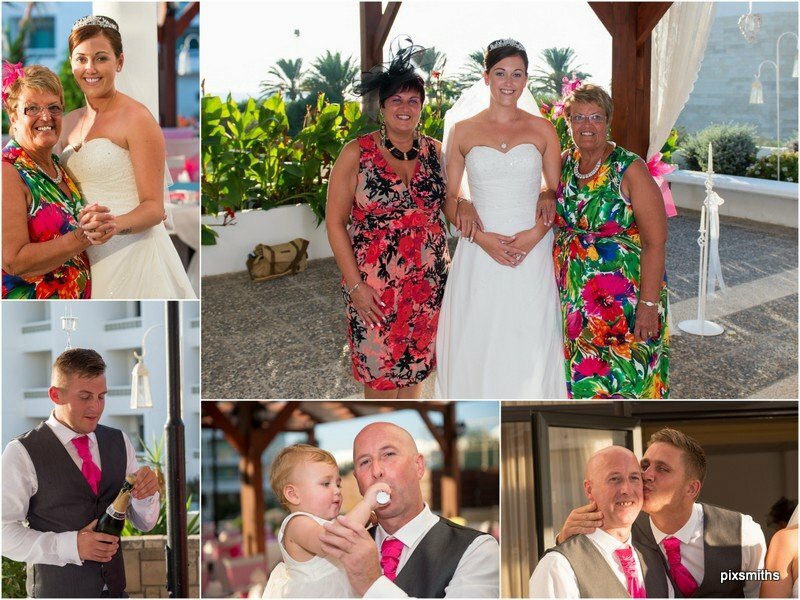 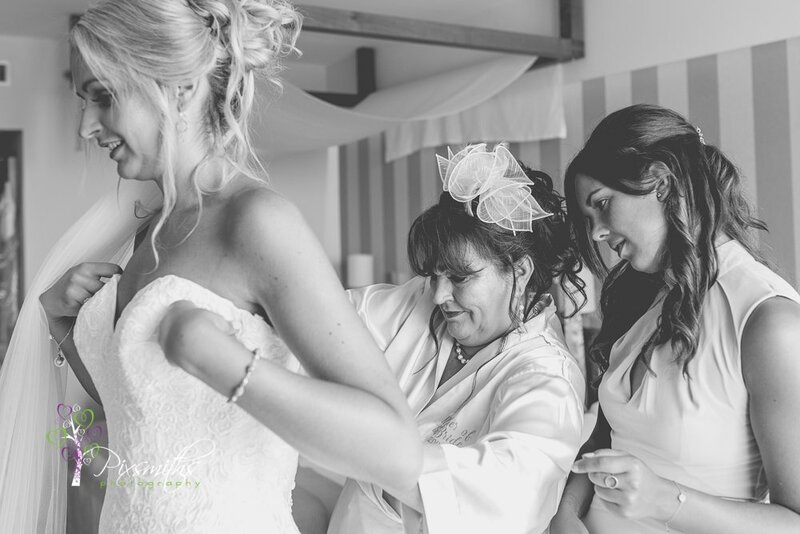 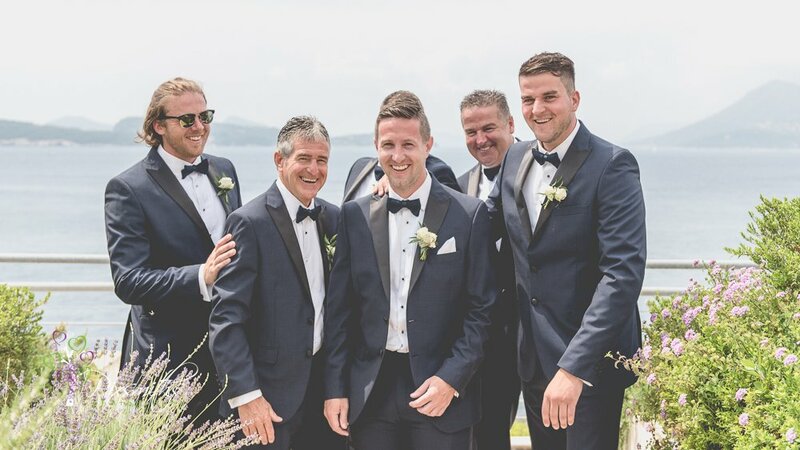 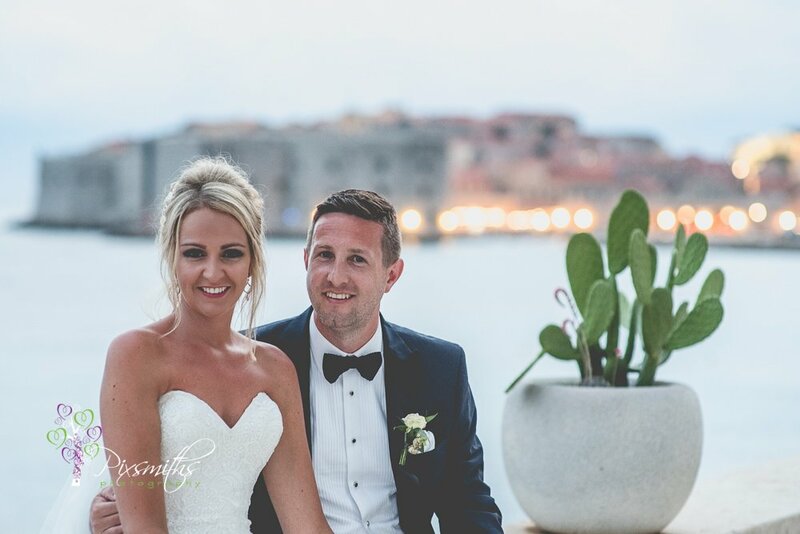 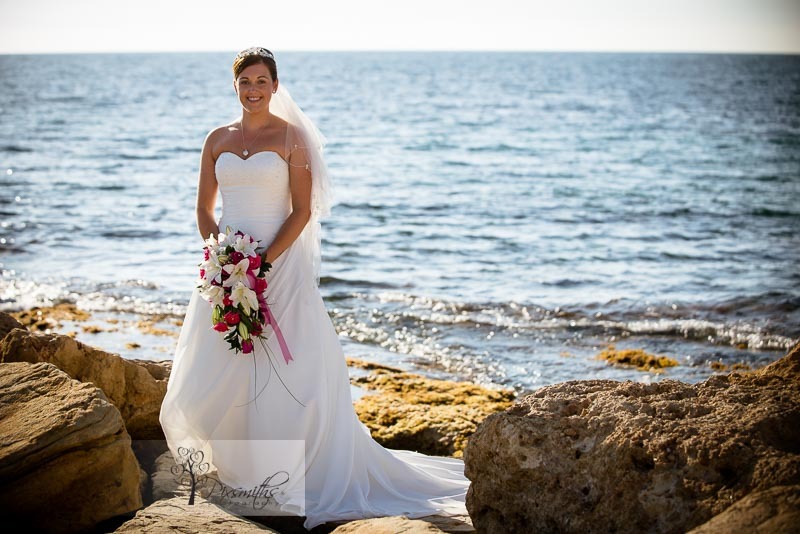 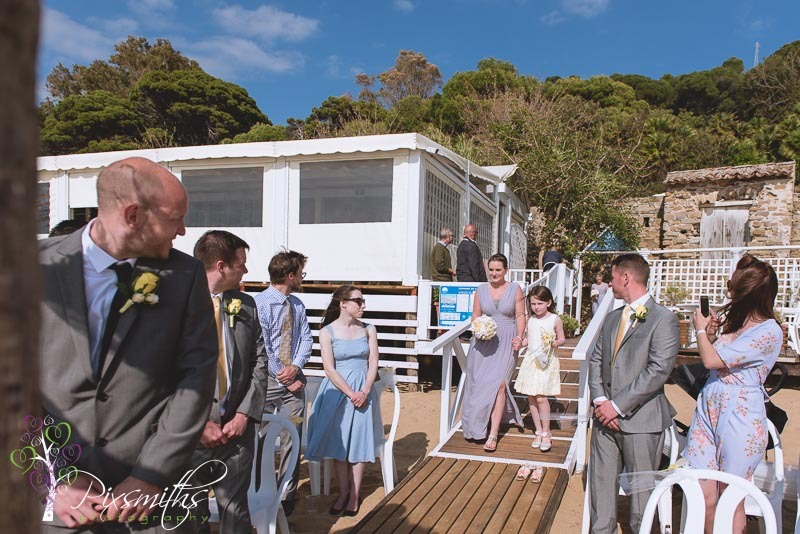 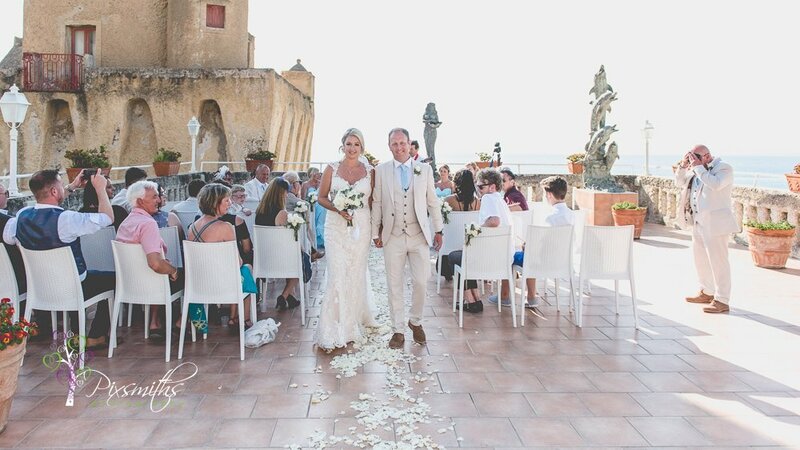 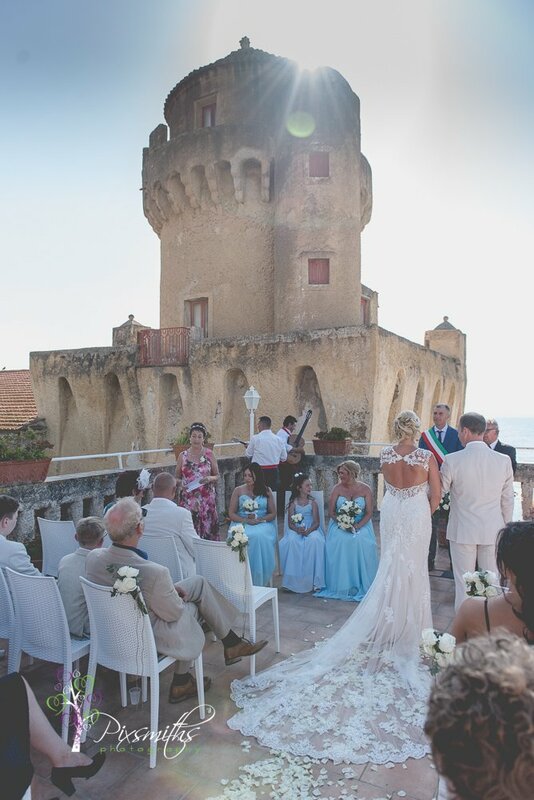 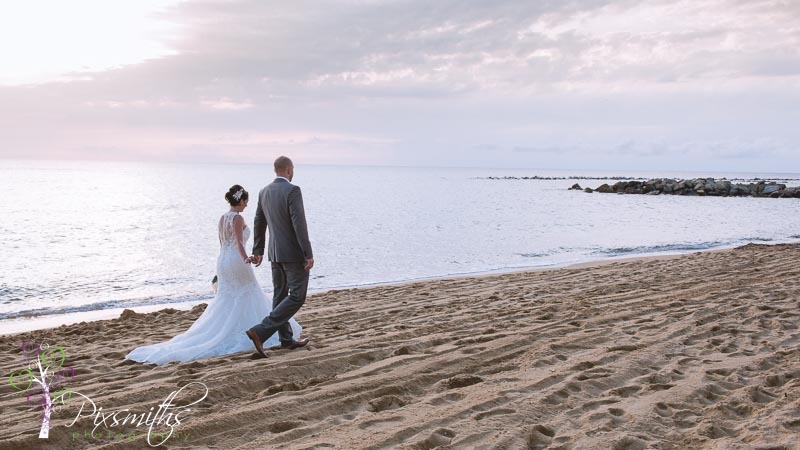 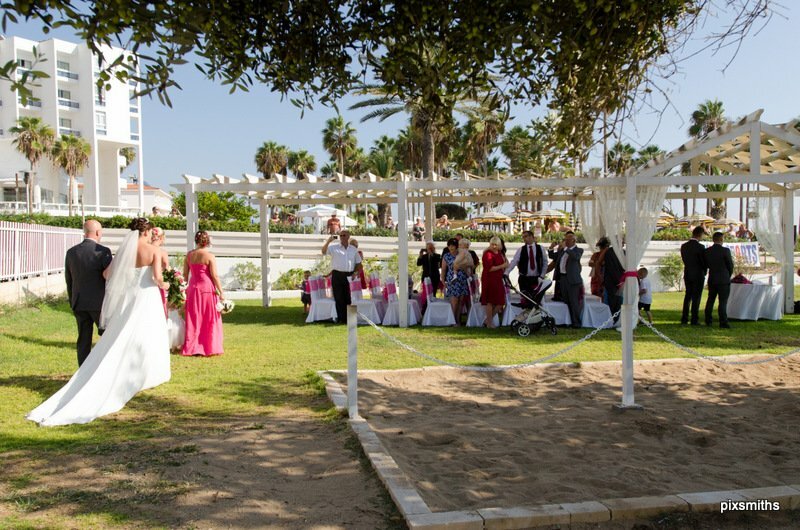 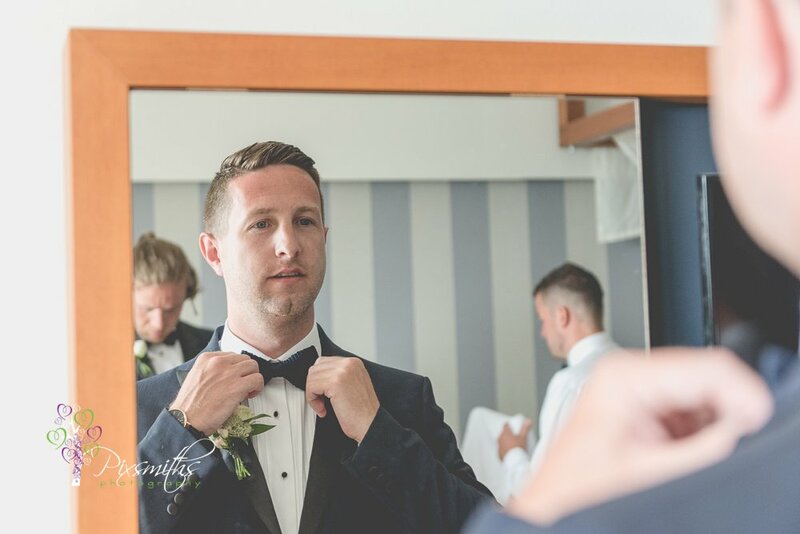 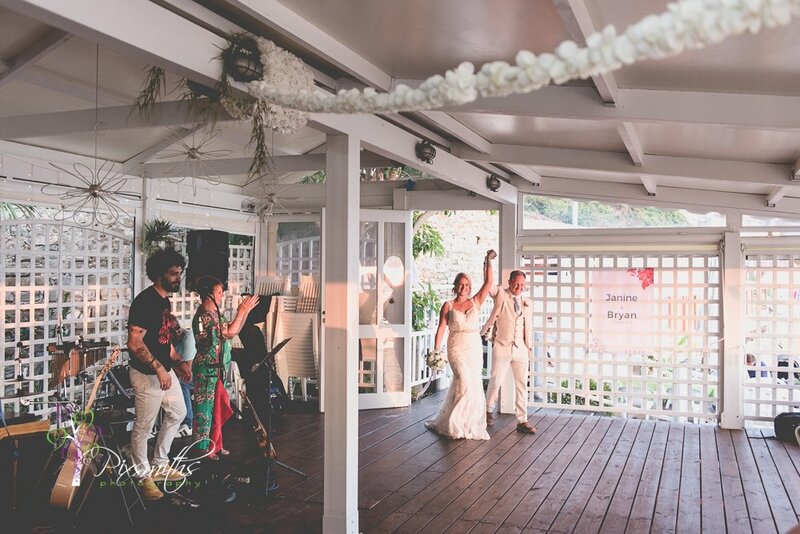 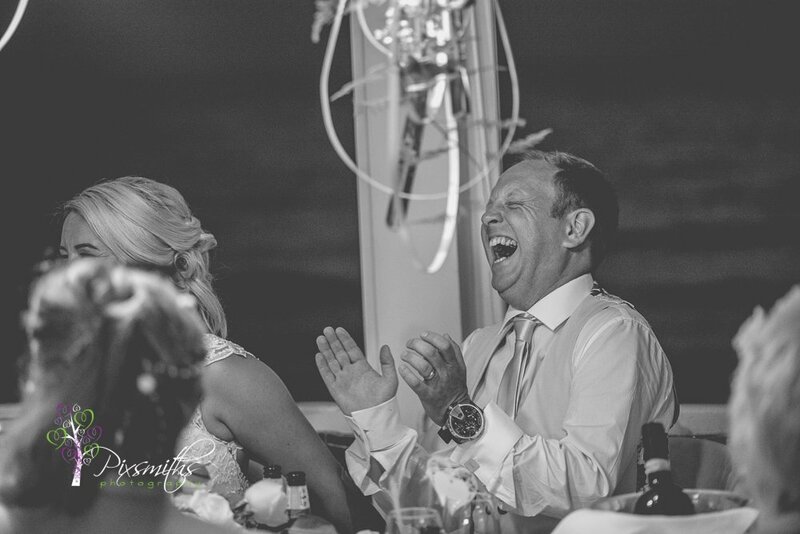 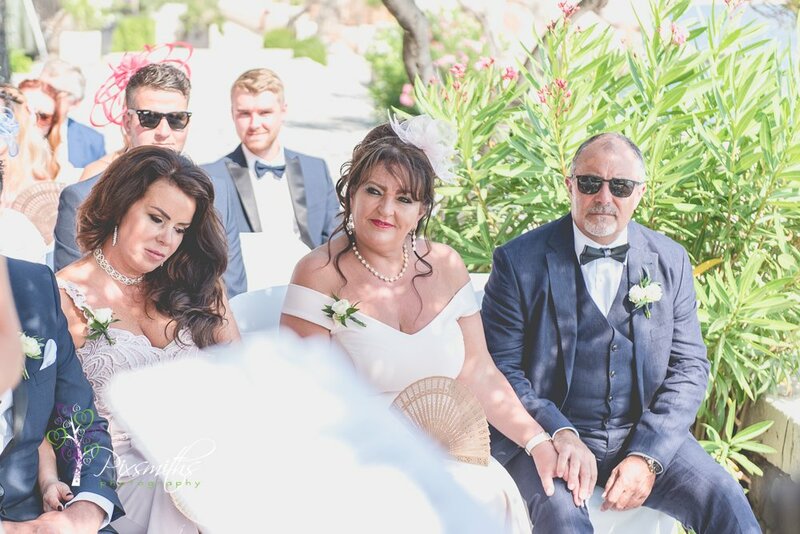 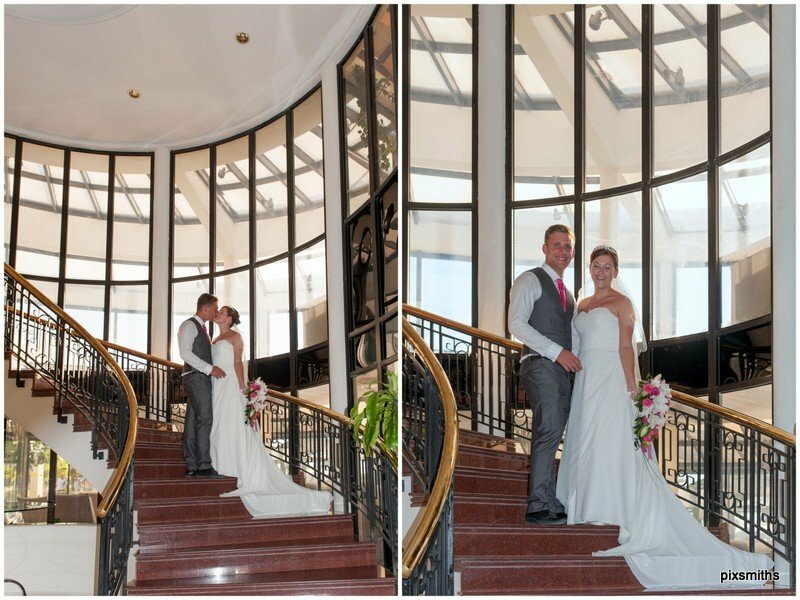 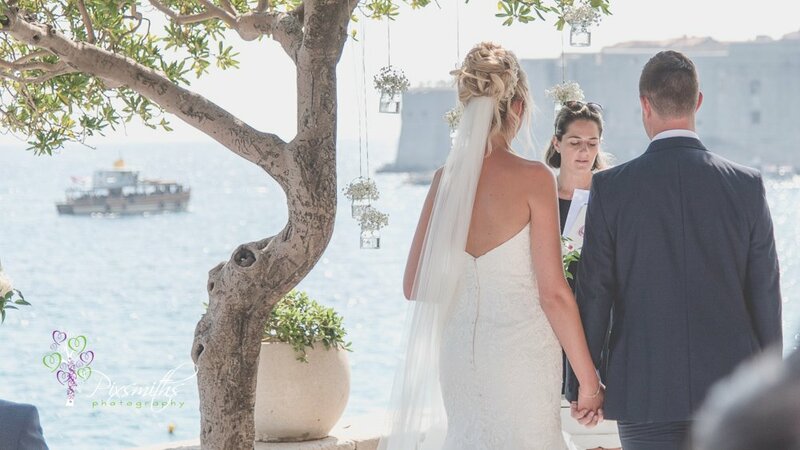 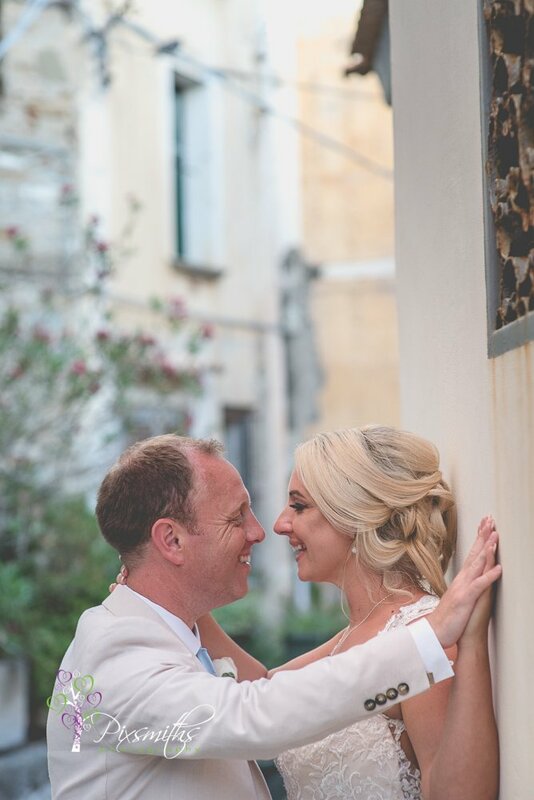 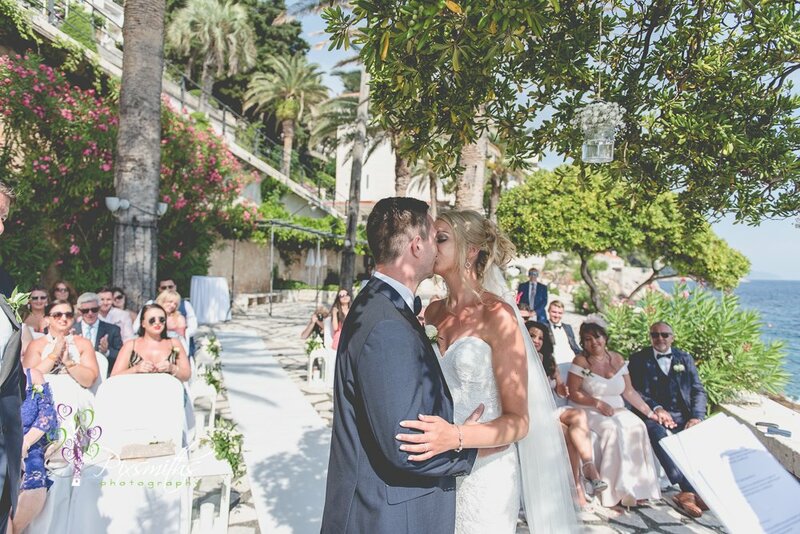 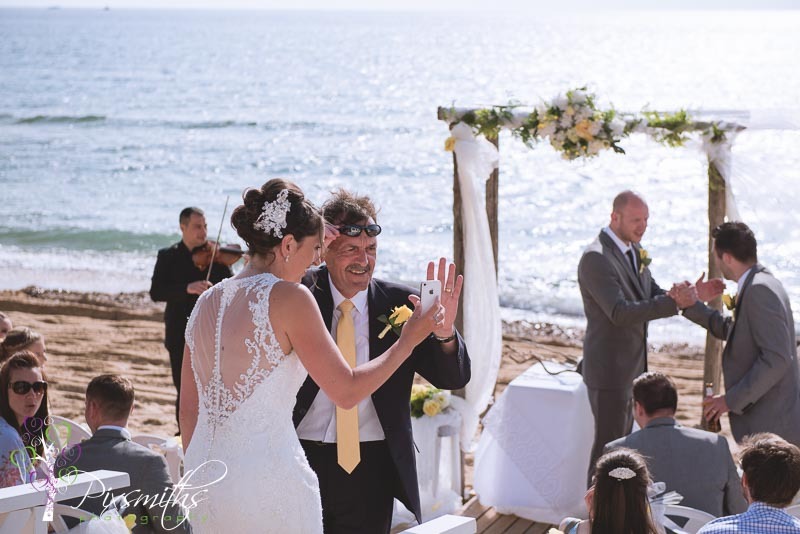 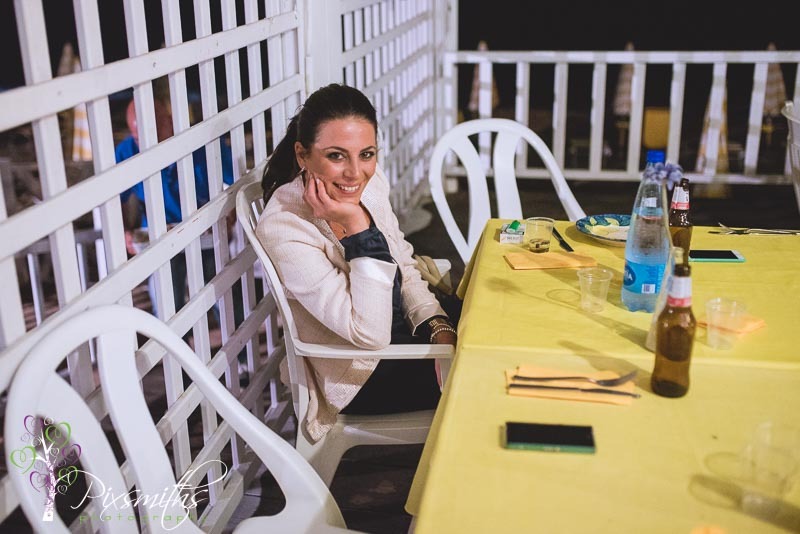 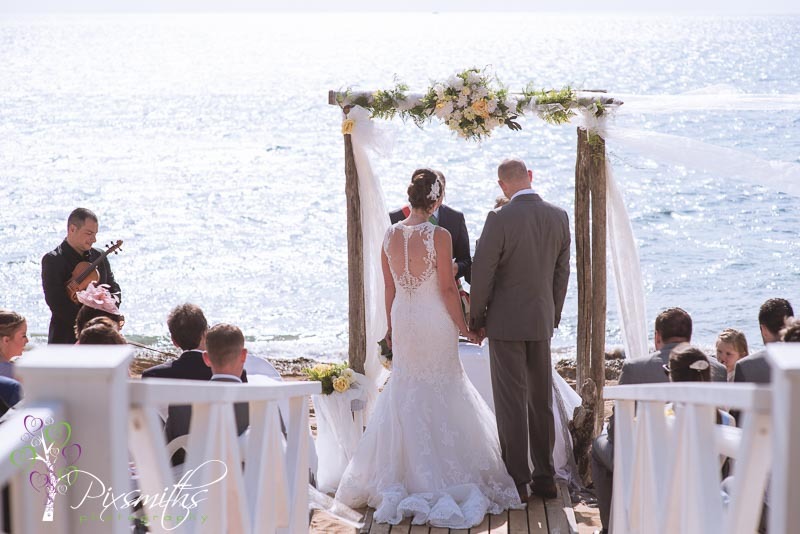 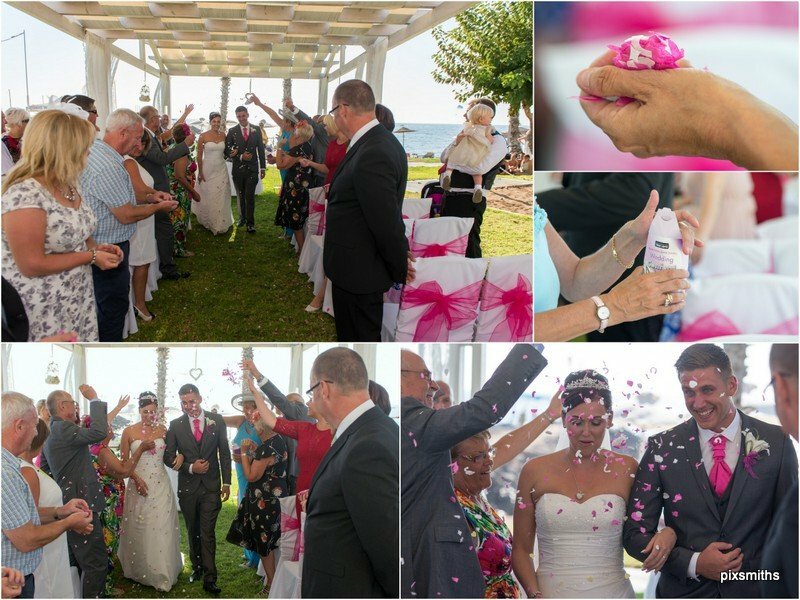 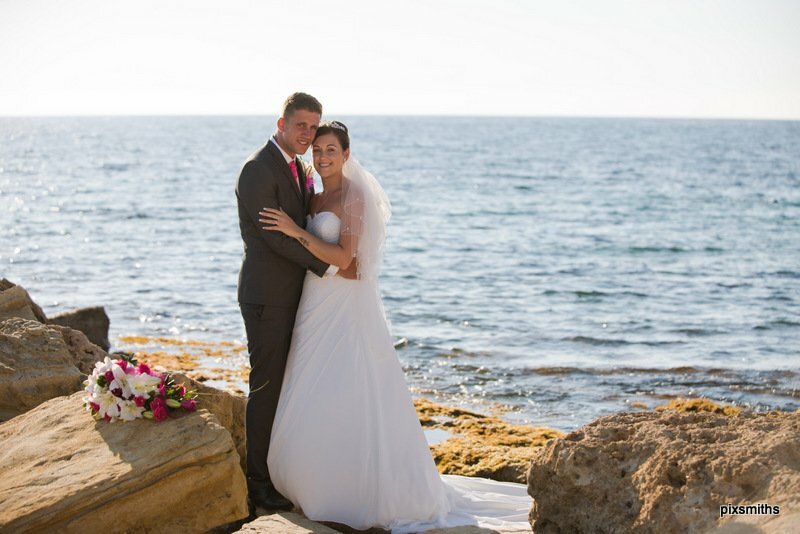 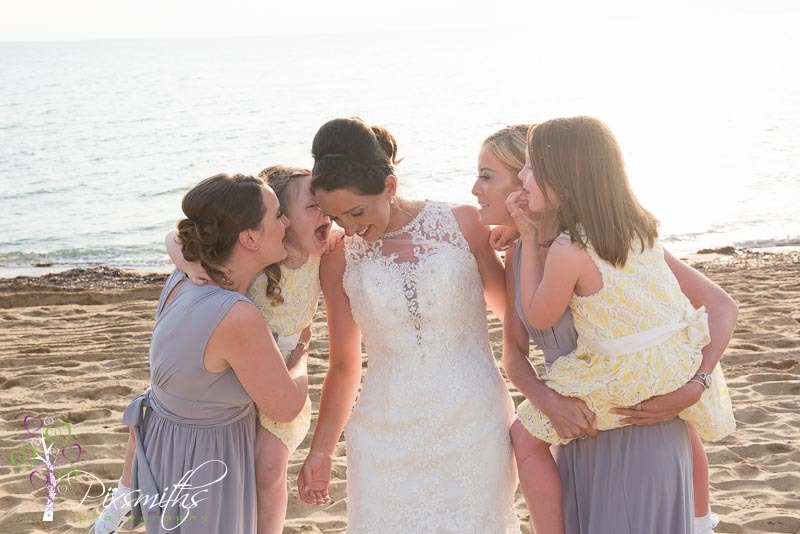 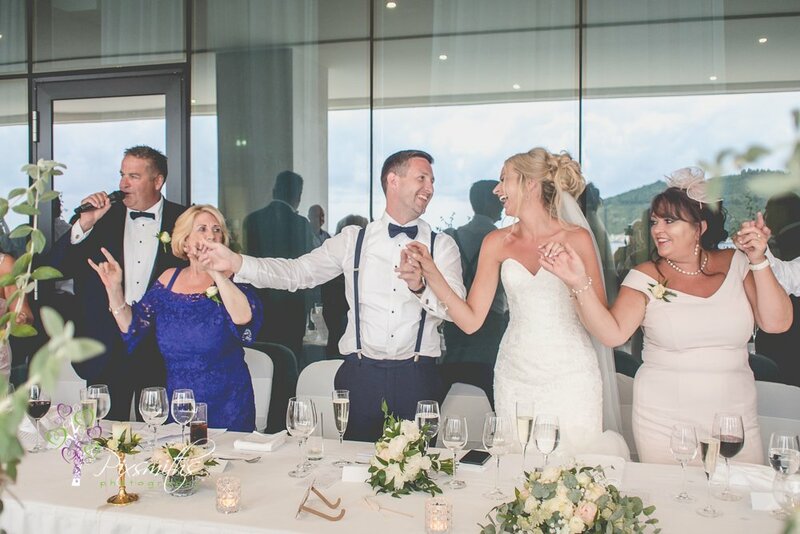 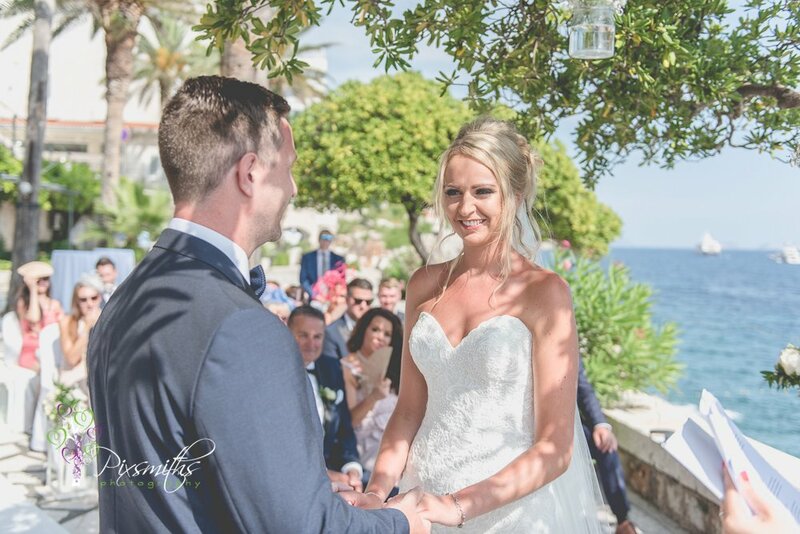 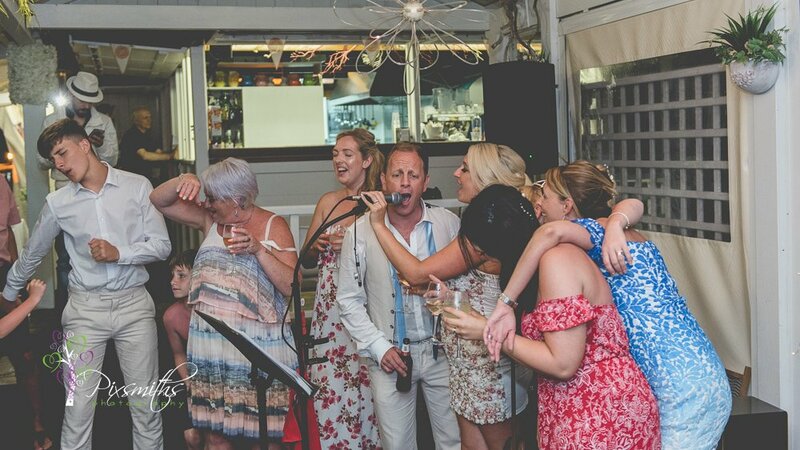 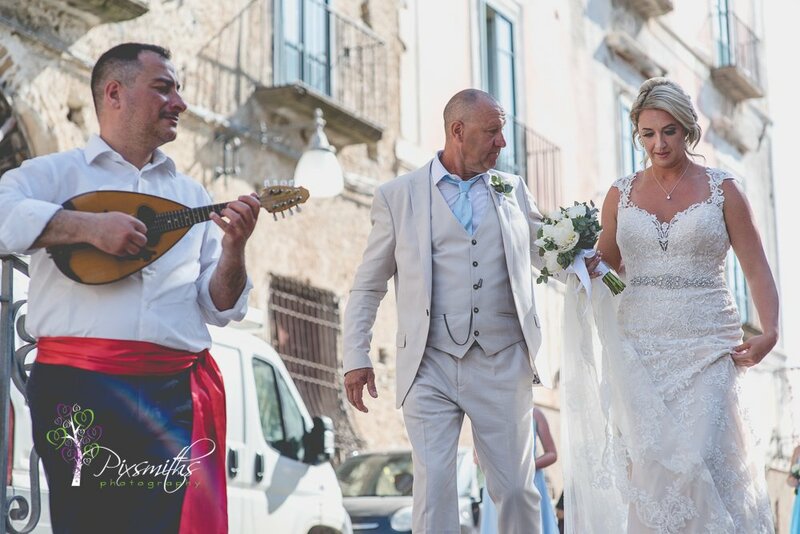 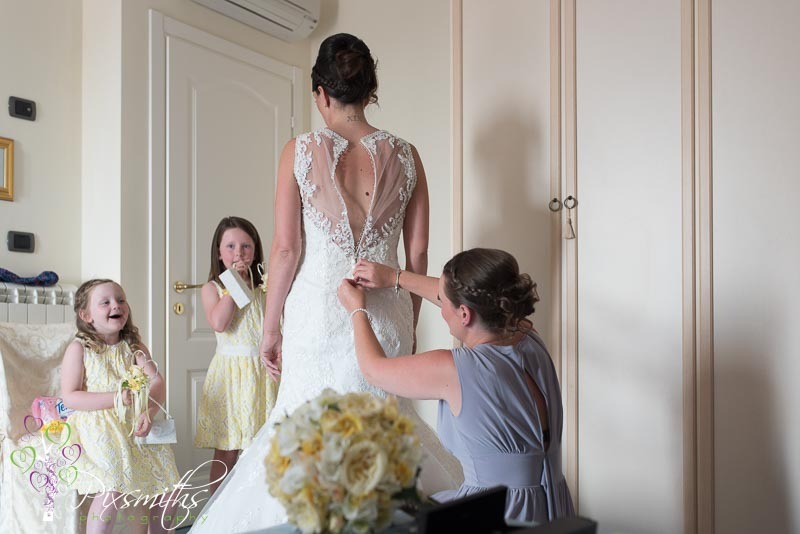 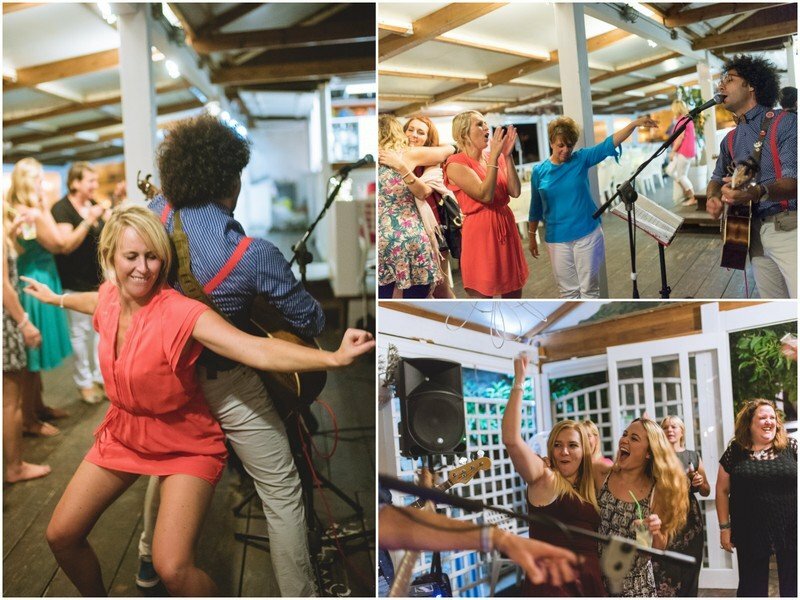 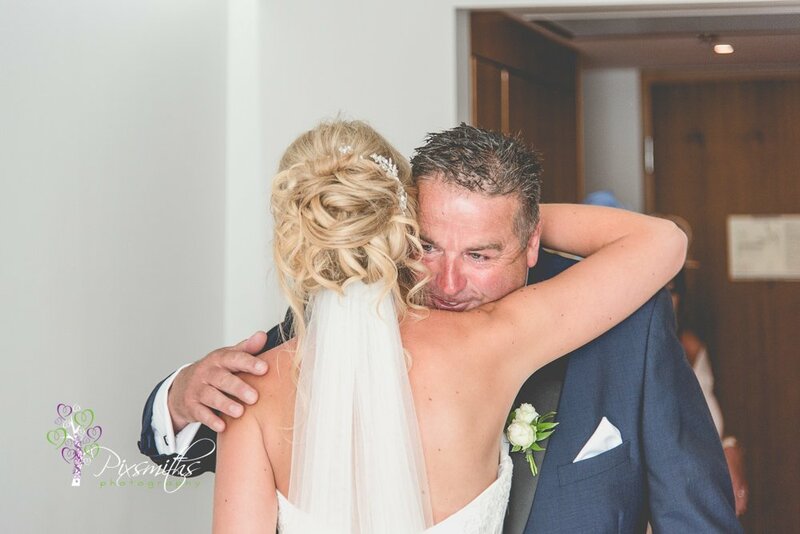 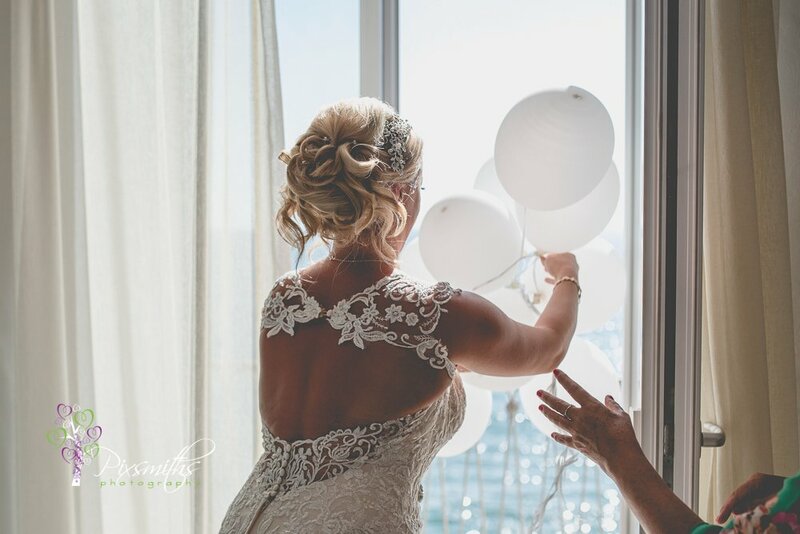 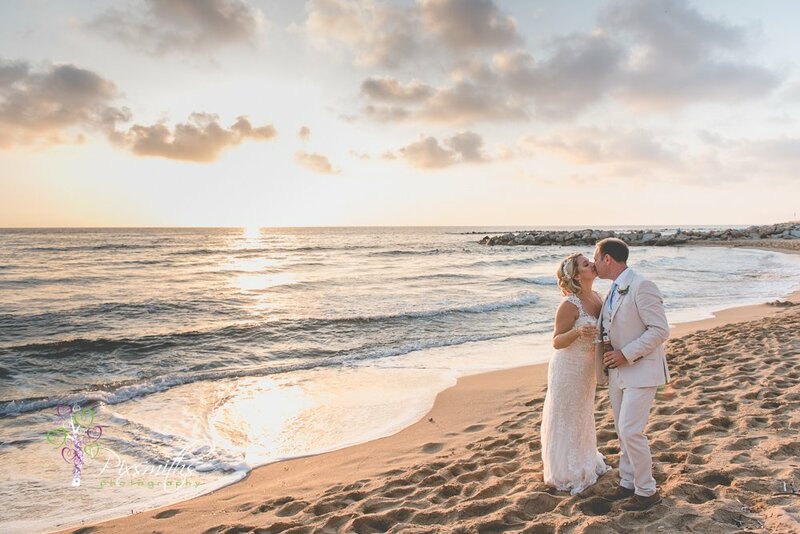 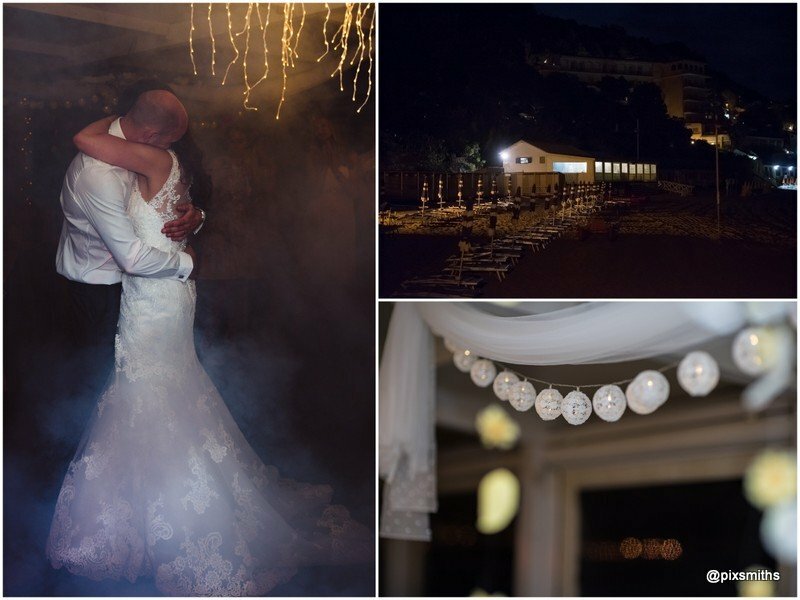 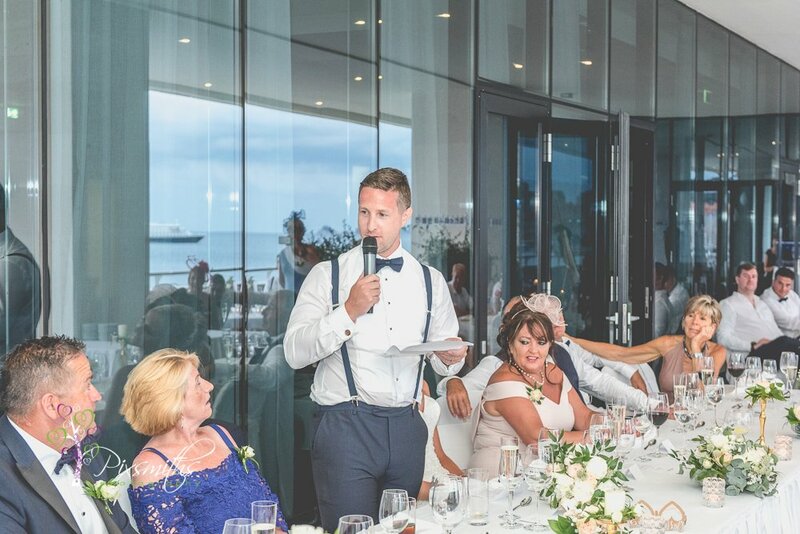 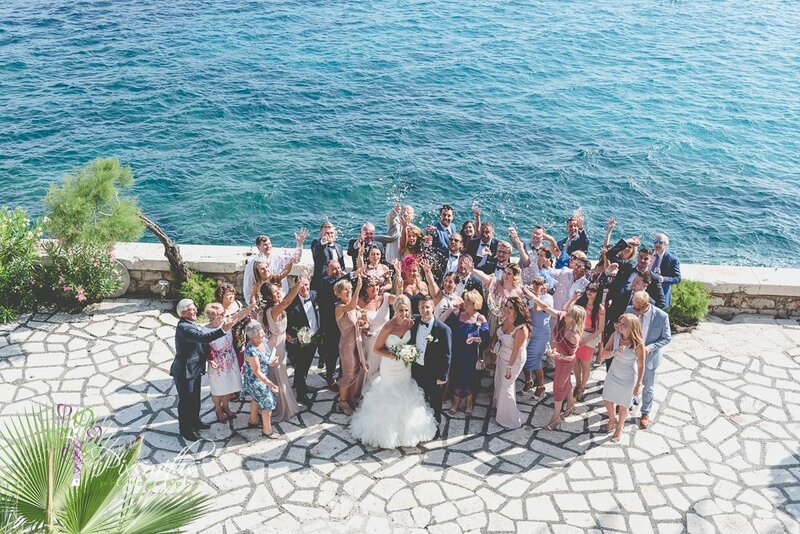 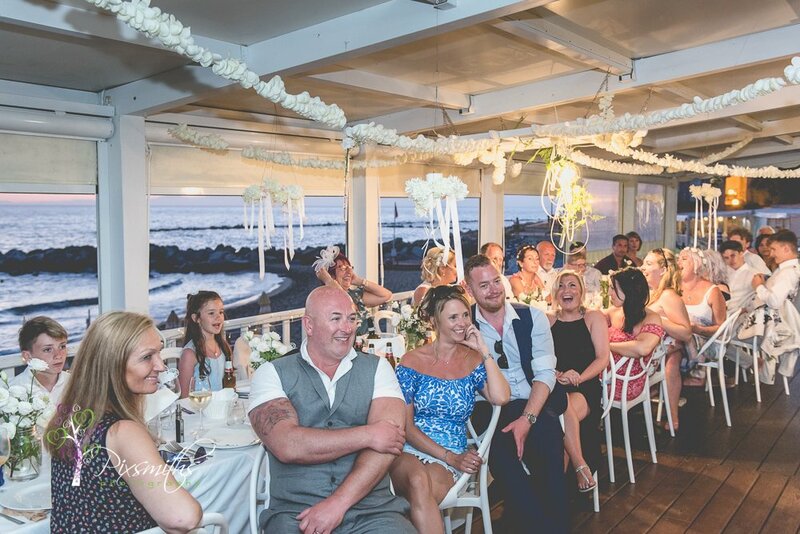 We had an amazing Cyprus destination wedding in Ayia Nappa with Rachael and Jake at the Dome Beach….and just a few days later we were headed off to the other end of Cyprus to Paphos to join Natalie and David at the Louis Ledra Beach Hotel for their sunny wedding. 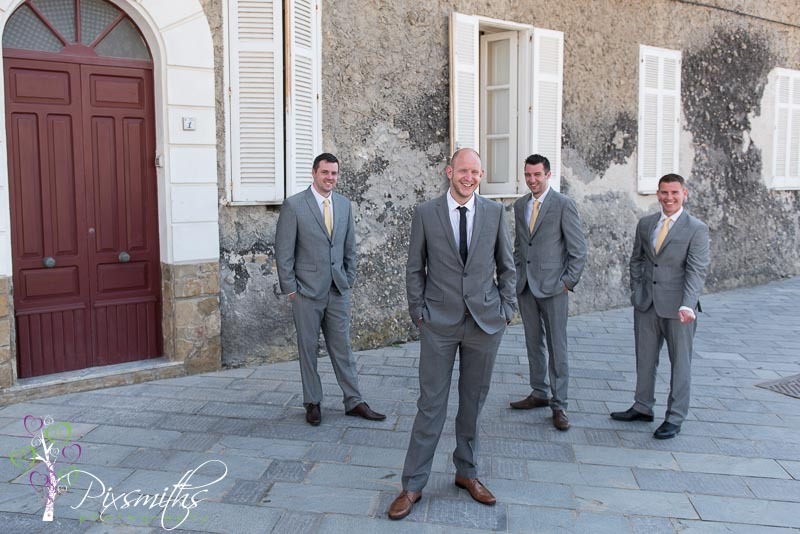 It coincided with Dave’s birthday so we booked into the hotel for a couple of days. 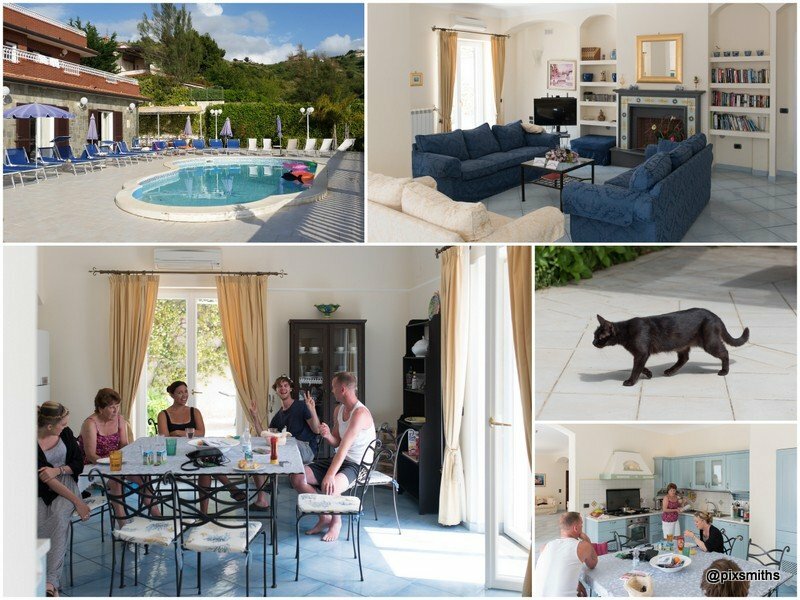 So plenty of time to relax the day before and check the places to capture some relaxed images and for some R and r the day after. 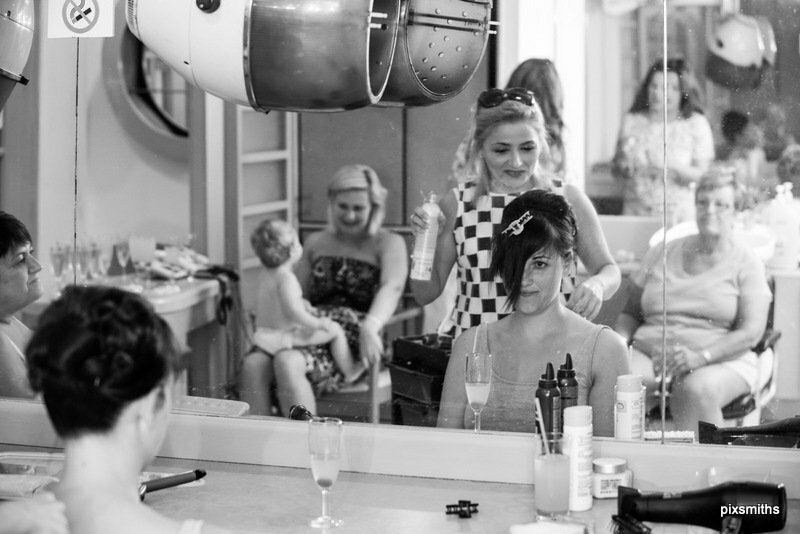 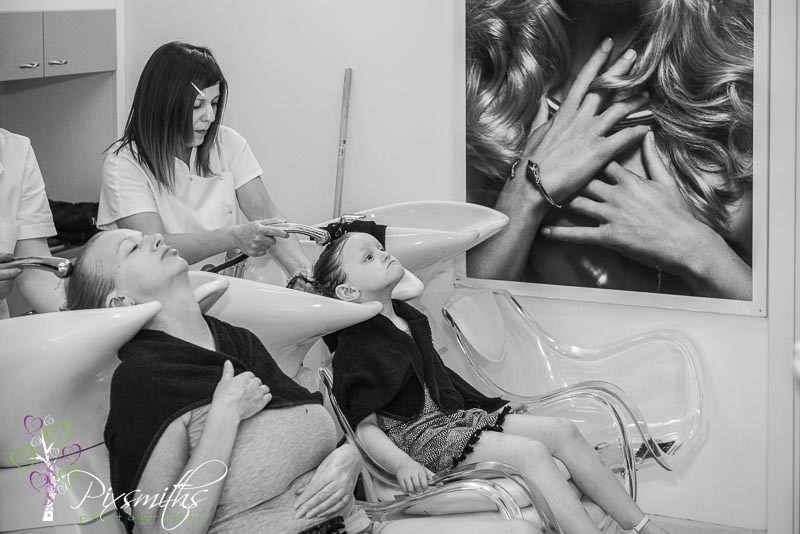 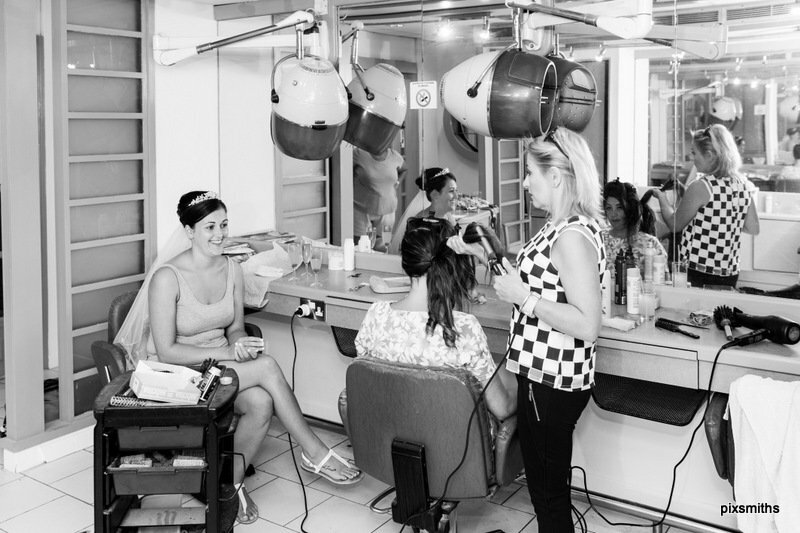 Always enjoy relaxing with the girls as they get ready, we enjoyed the salon session such fun with the hairdresser, kept us all entertained! 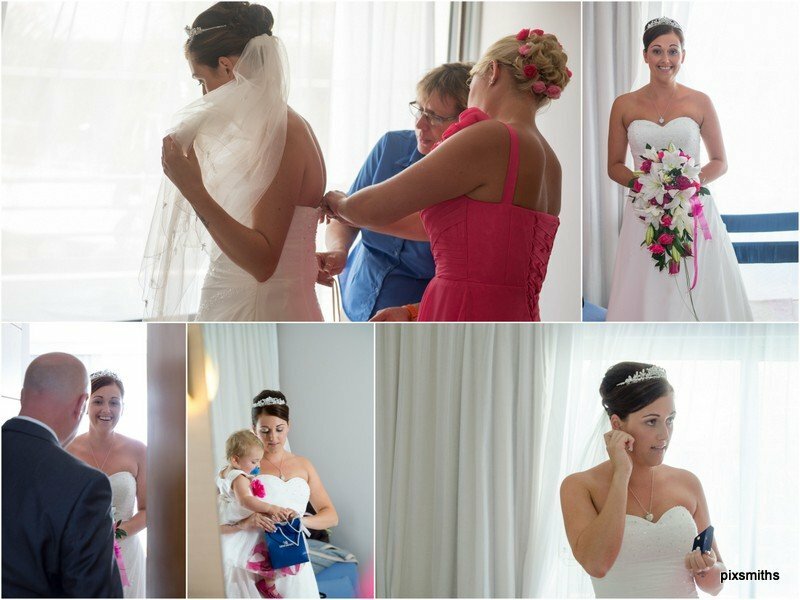 I must add the Thomson’s wedding co-coordinator was brilliant at keeping things on track, helping Natalie with her dress and keeping us informed. 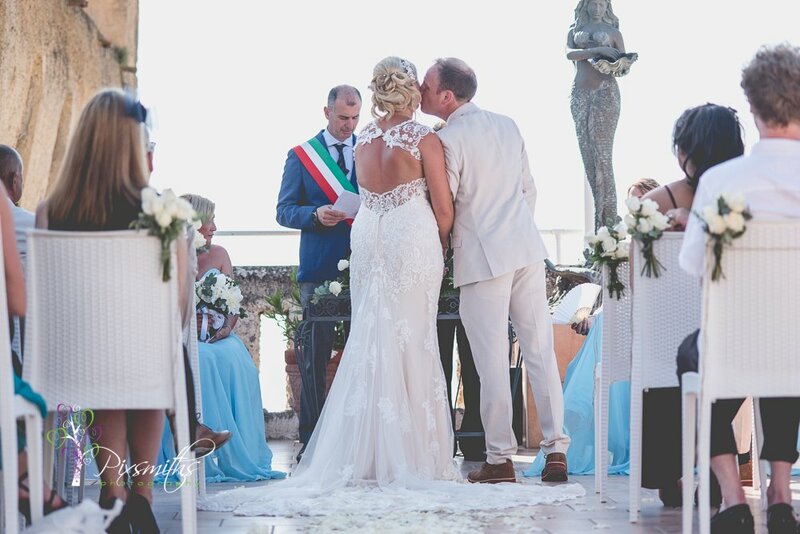 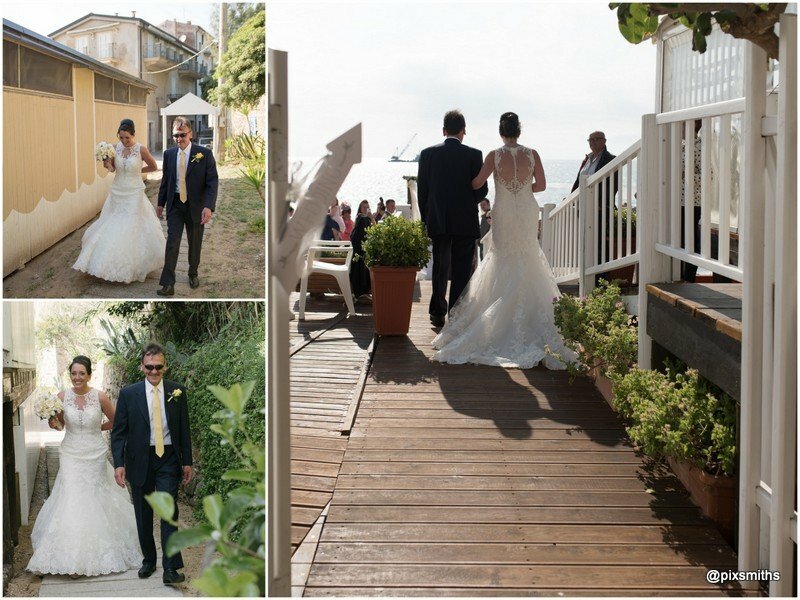 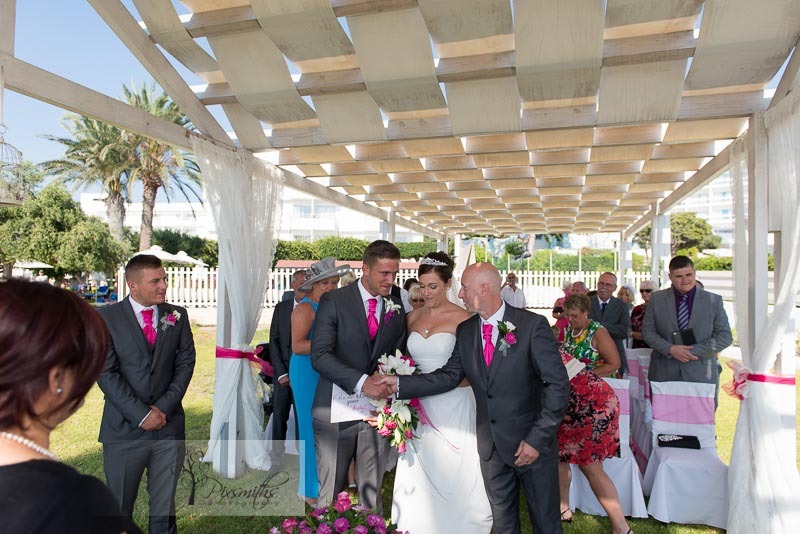 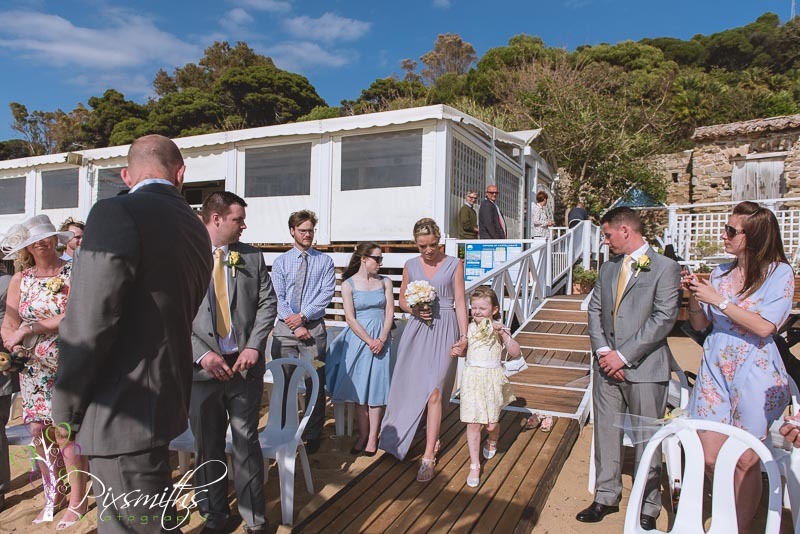 Soon it was time for their beautiful family ceremony in the wedding gazebo, adjacent to the beach such a beautiful couple, perfect for each other. 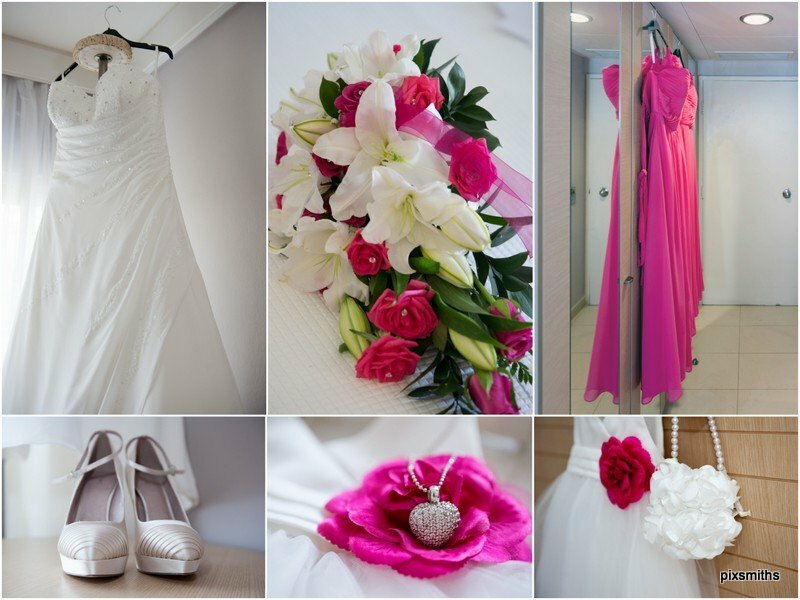 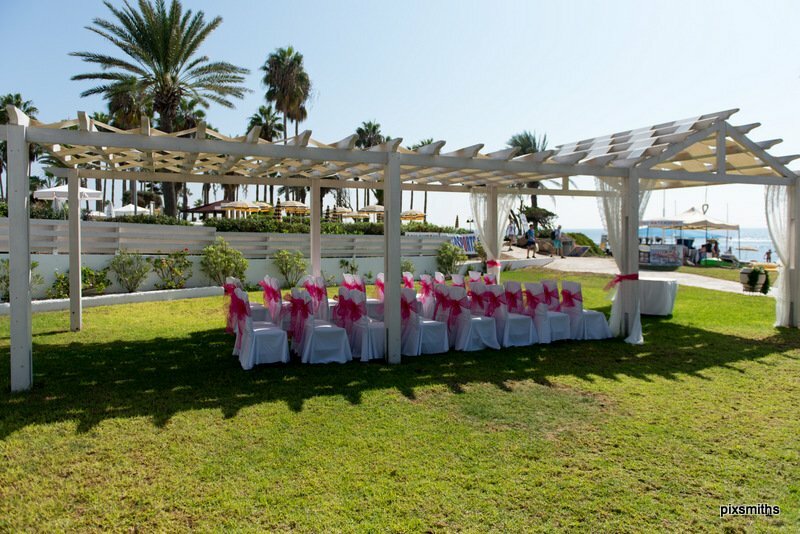 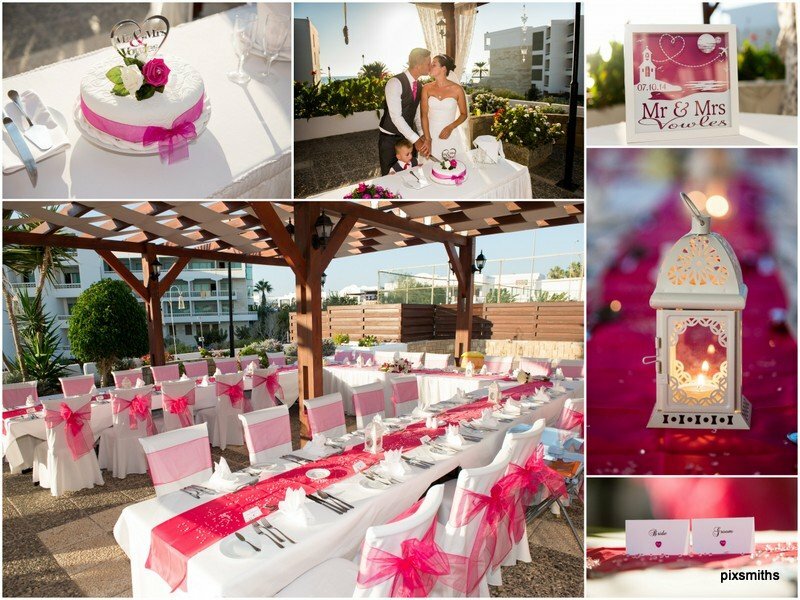 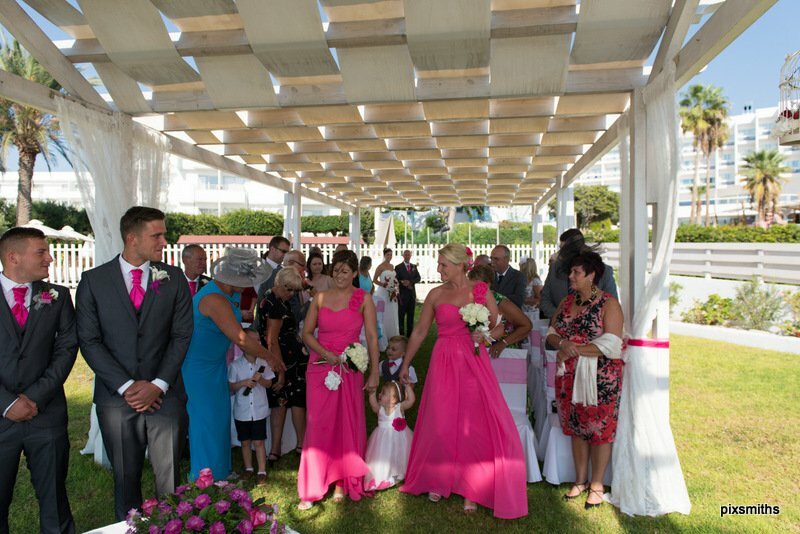 The hot pink colour scheme is well suited to the Cypriot sun! 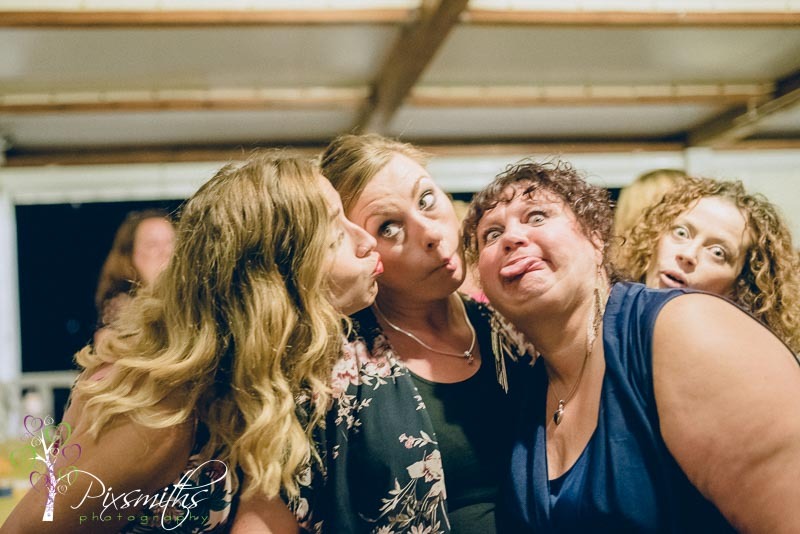 Family portraits taken and it was time to party. 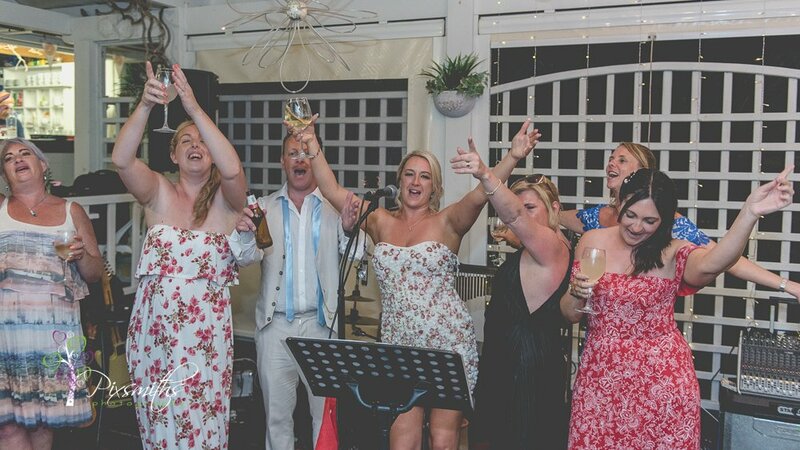 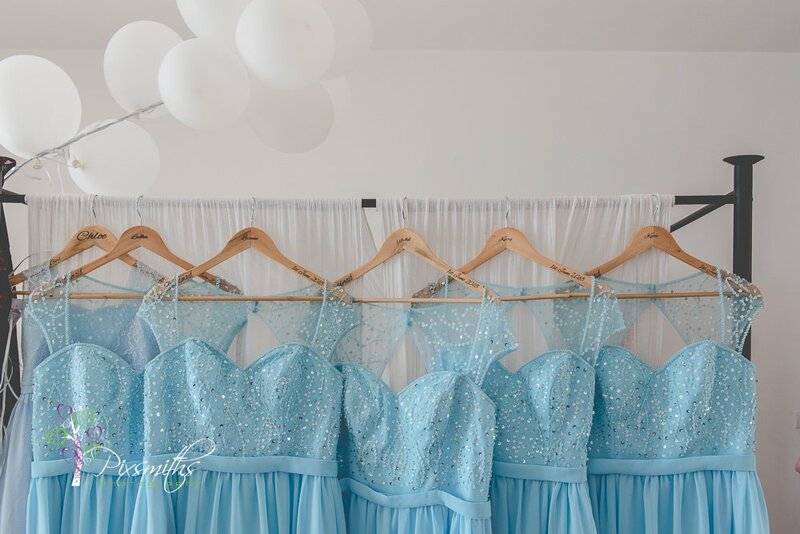 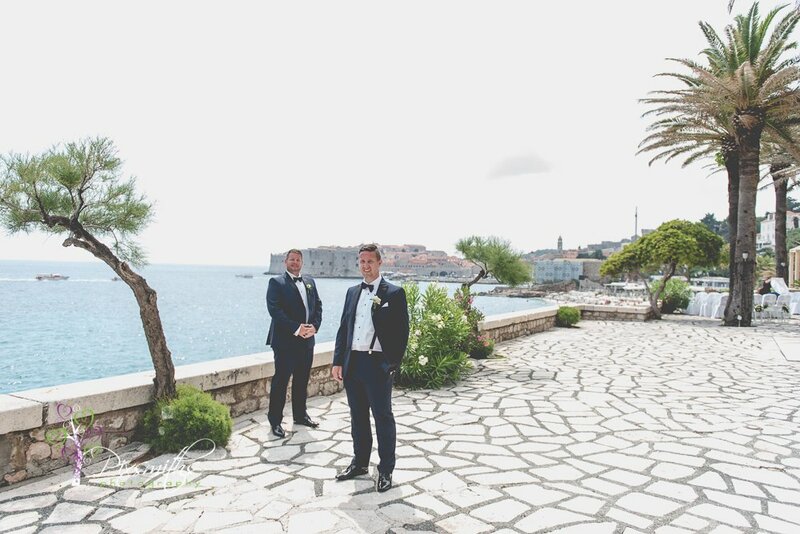 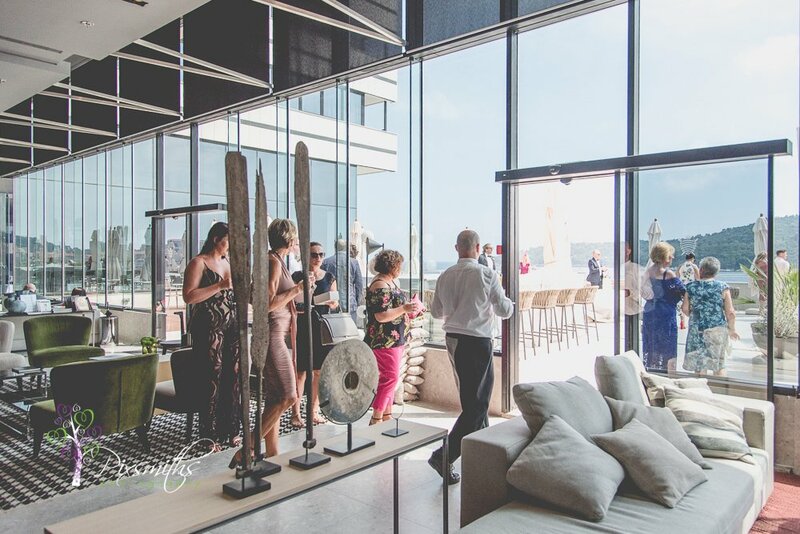 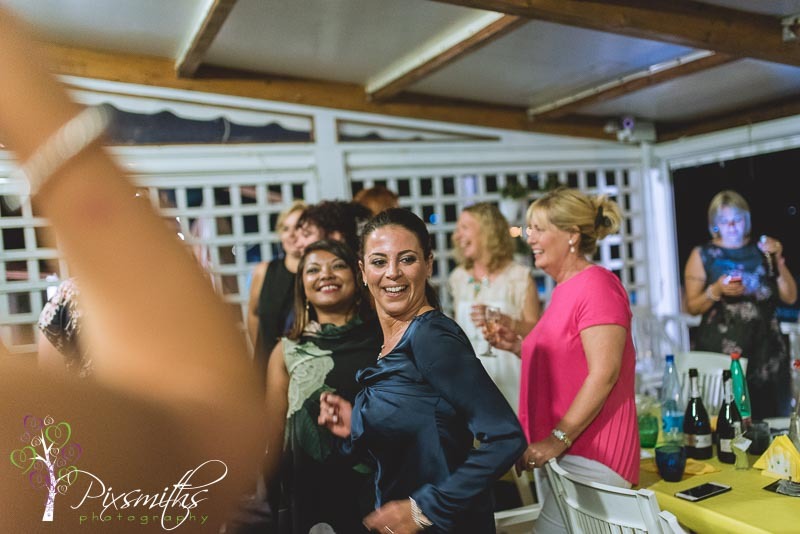 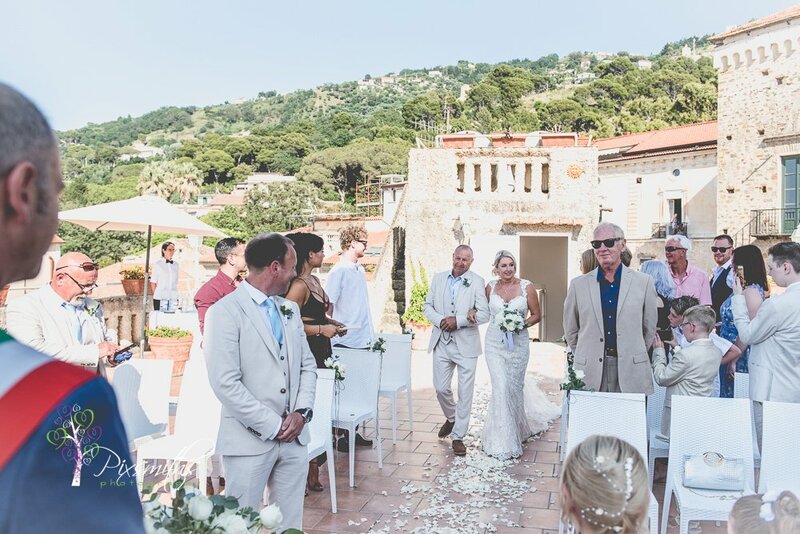 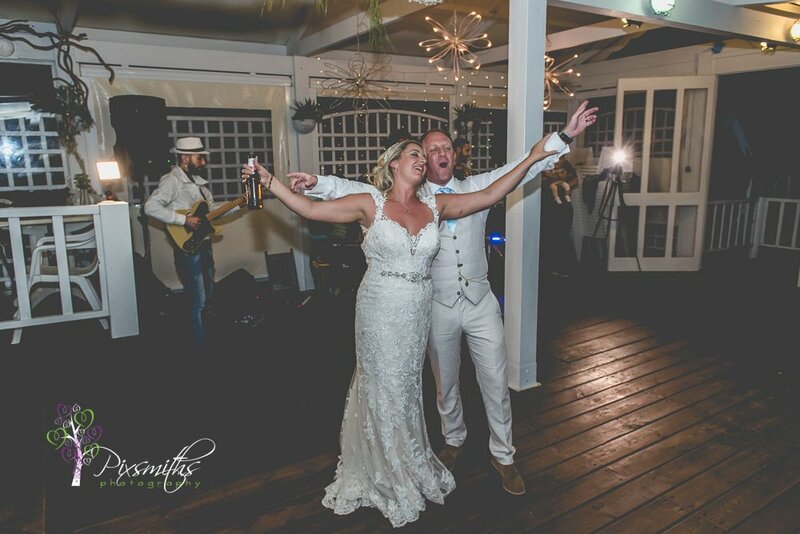 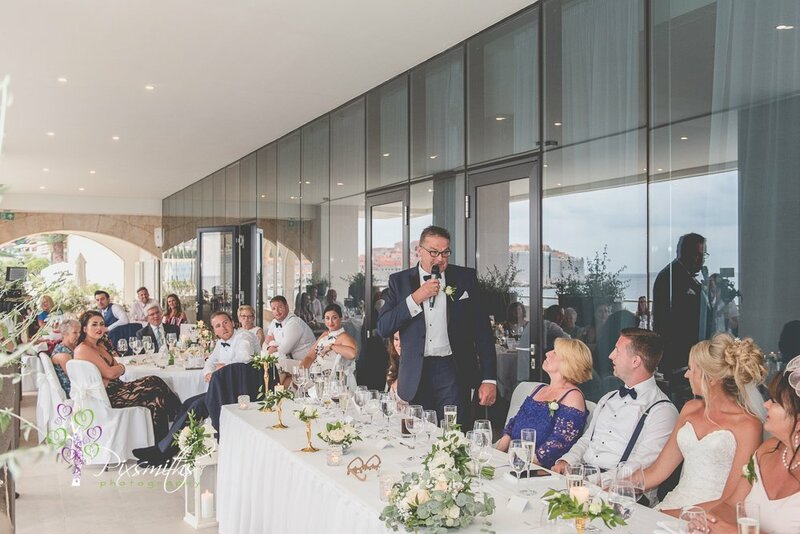 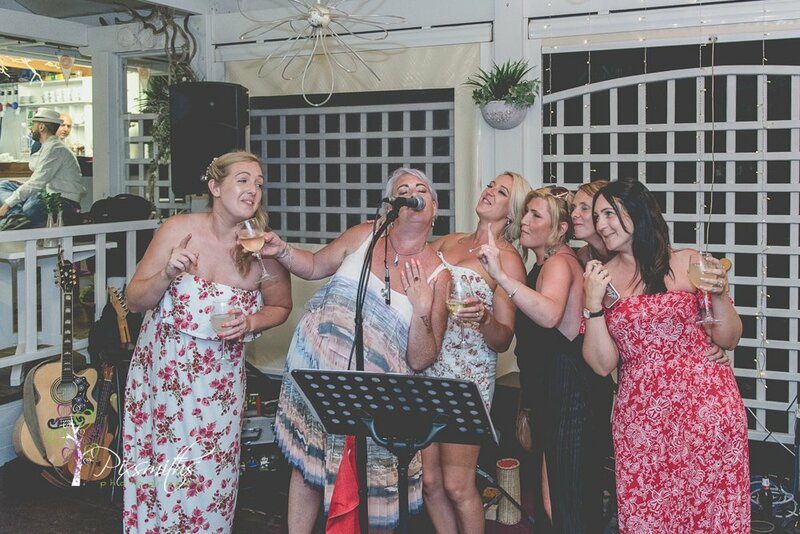 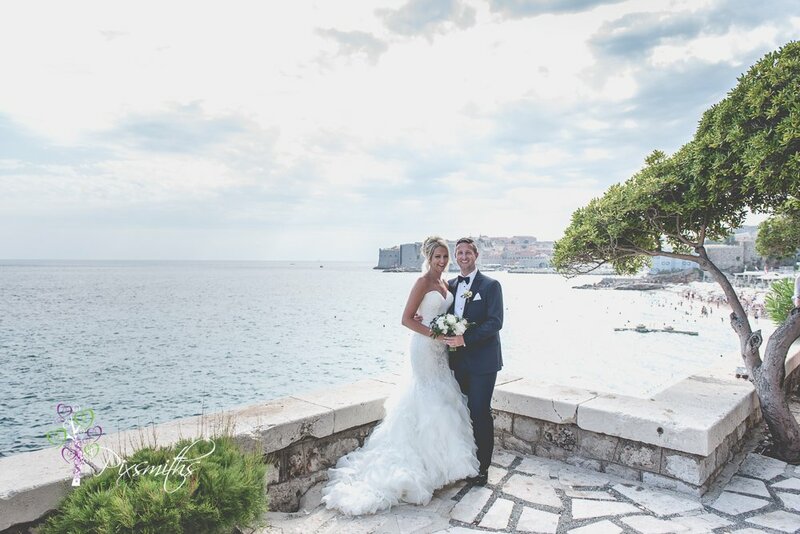 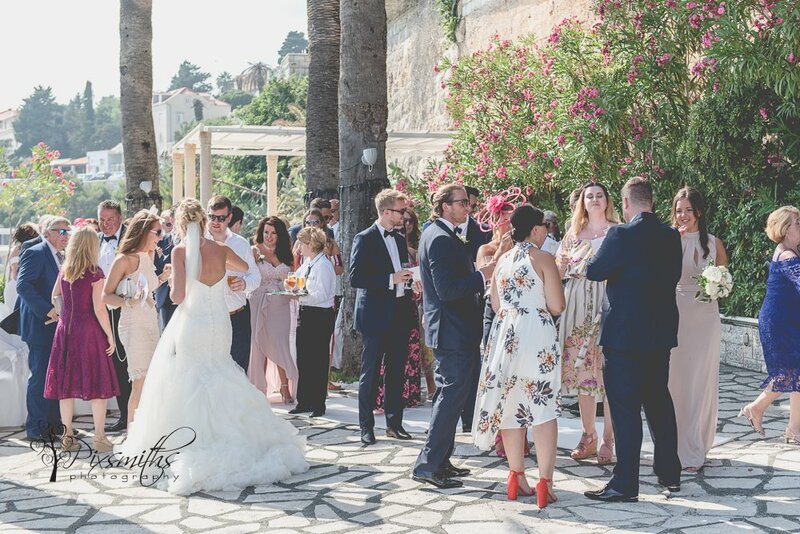 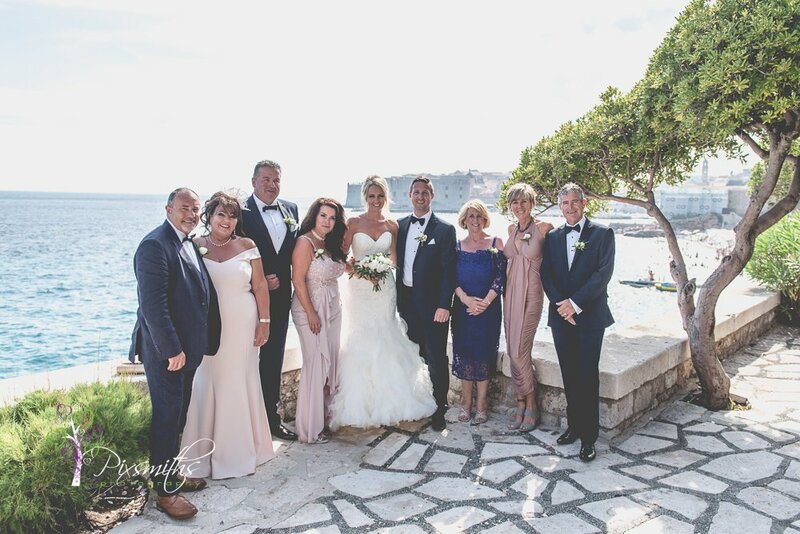 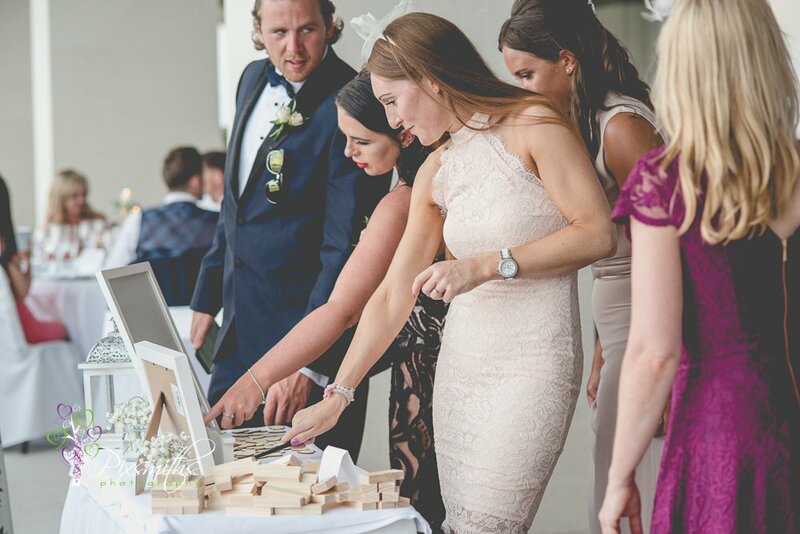 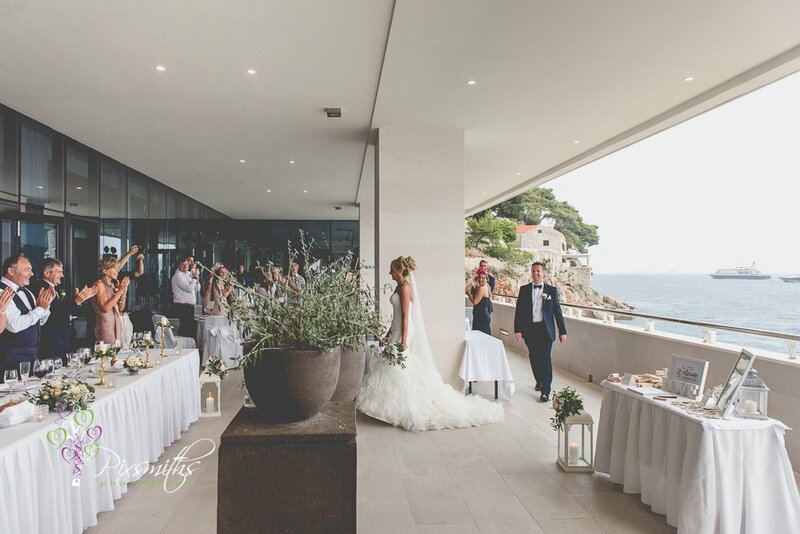 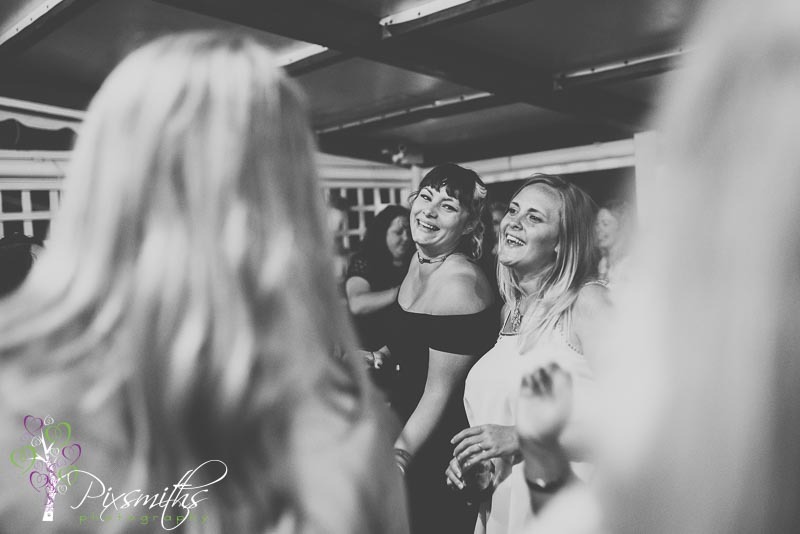 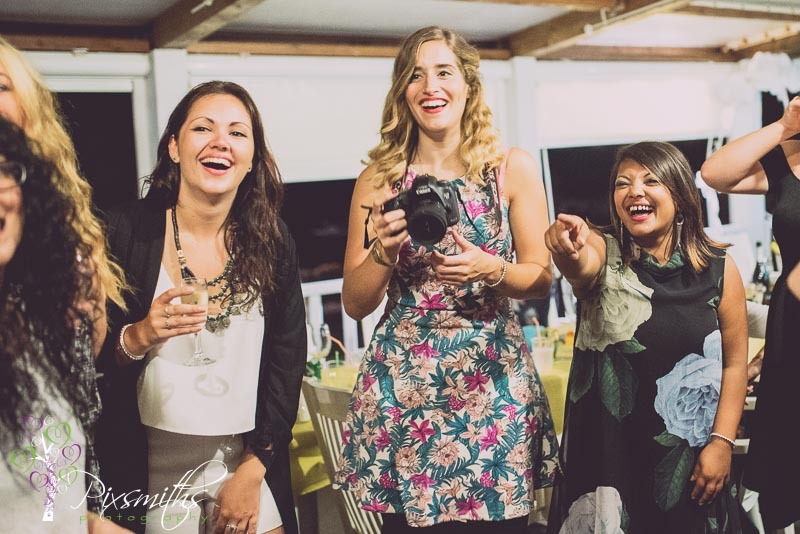 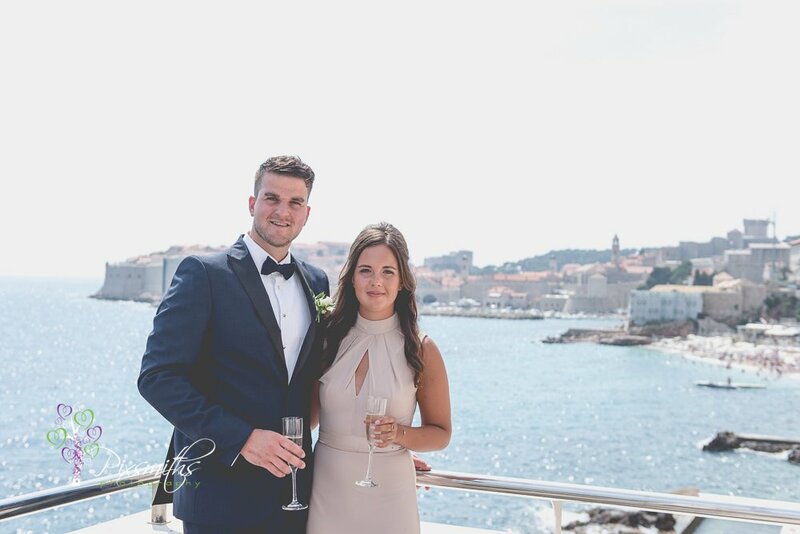 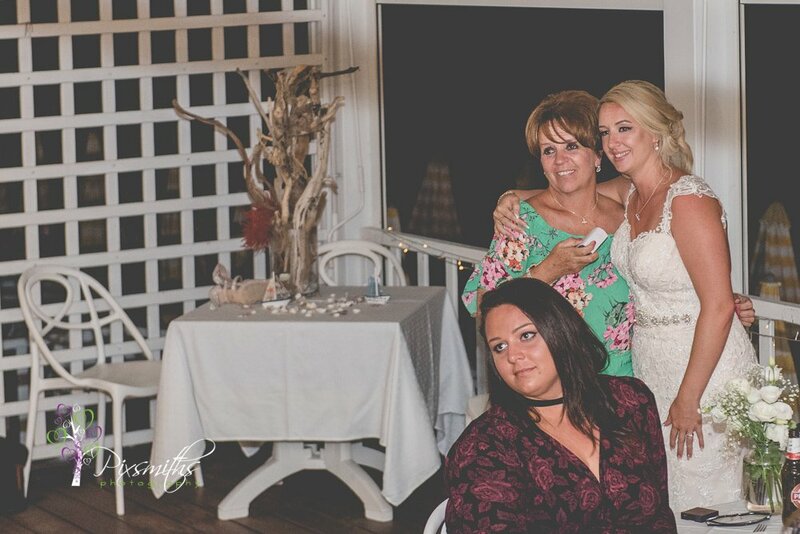 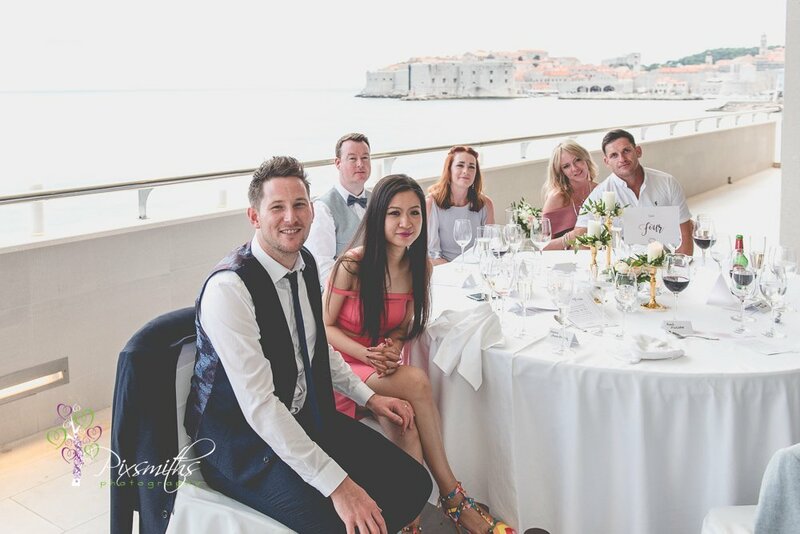 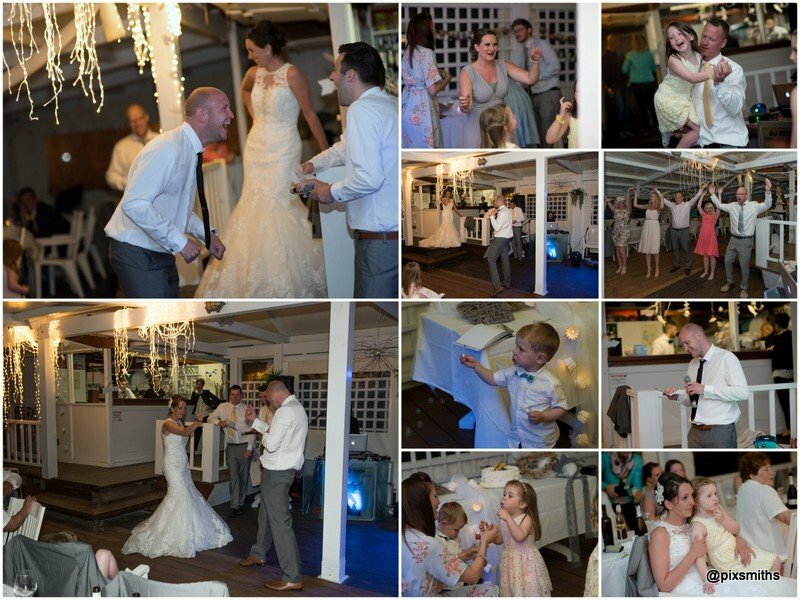 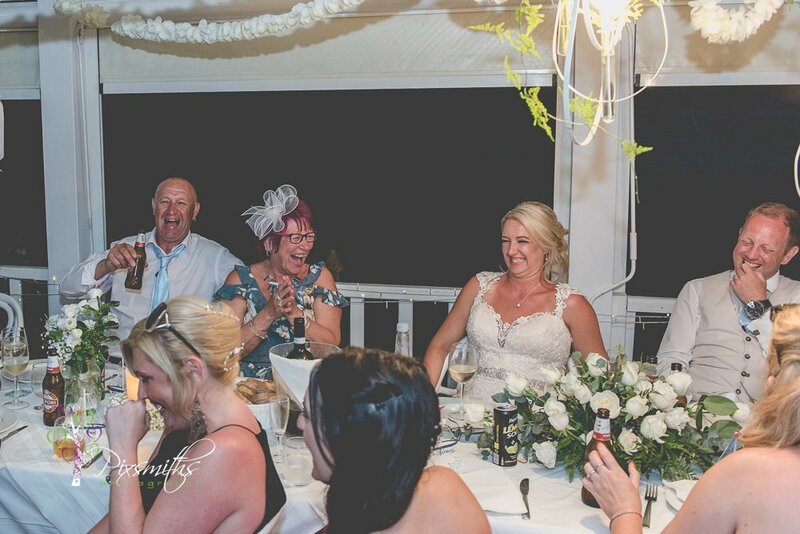 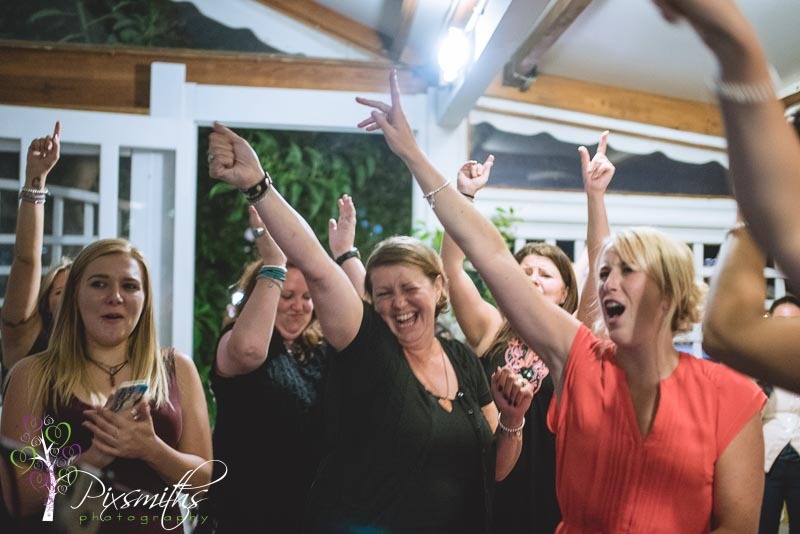 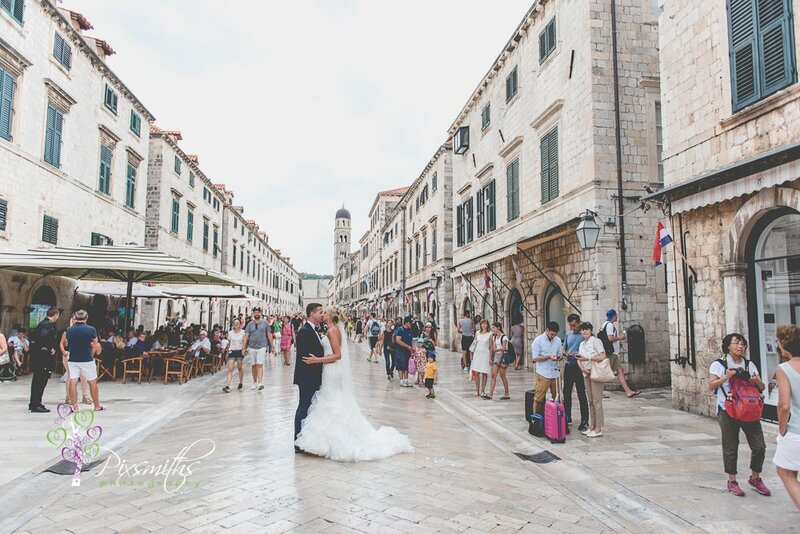 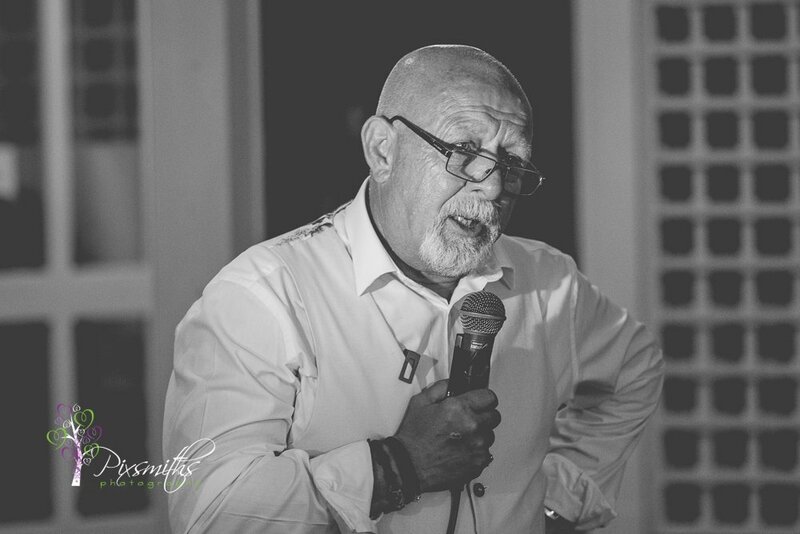 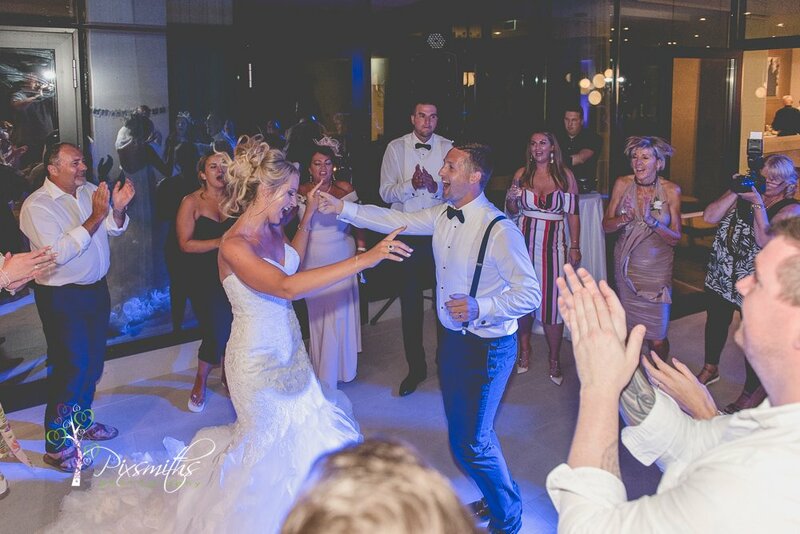 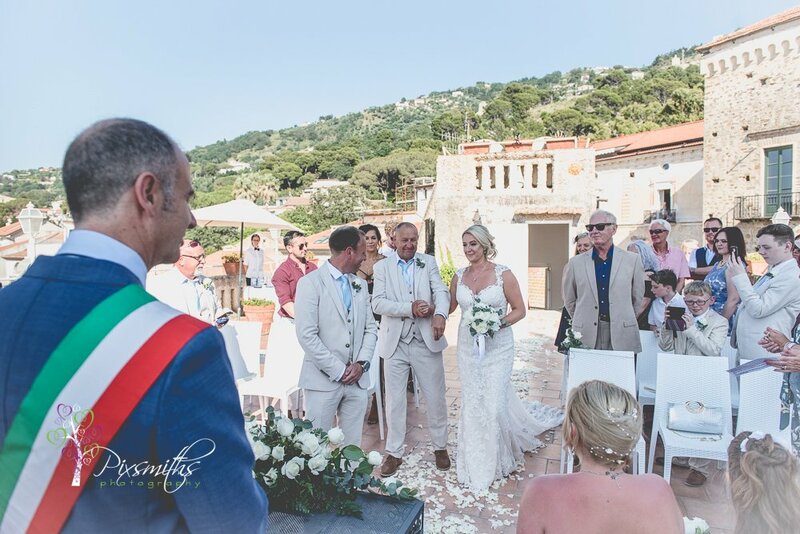 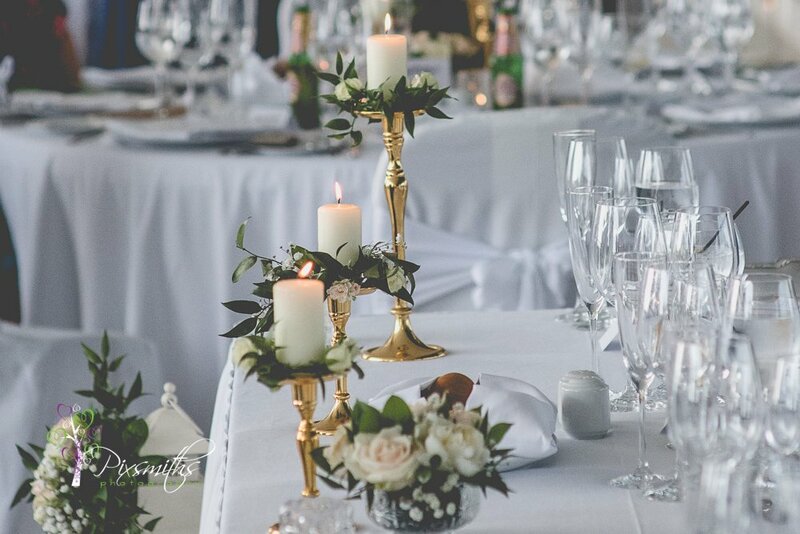 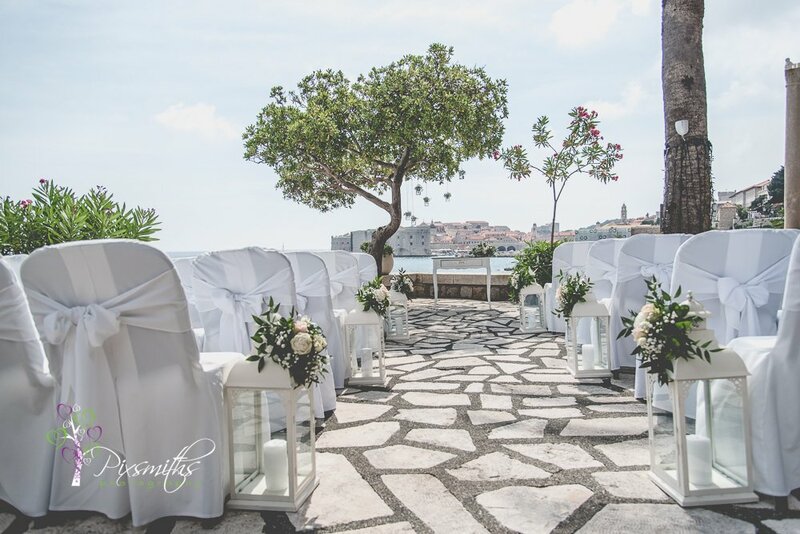 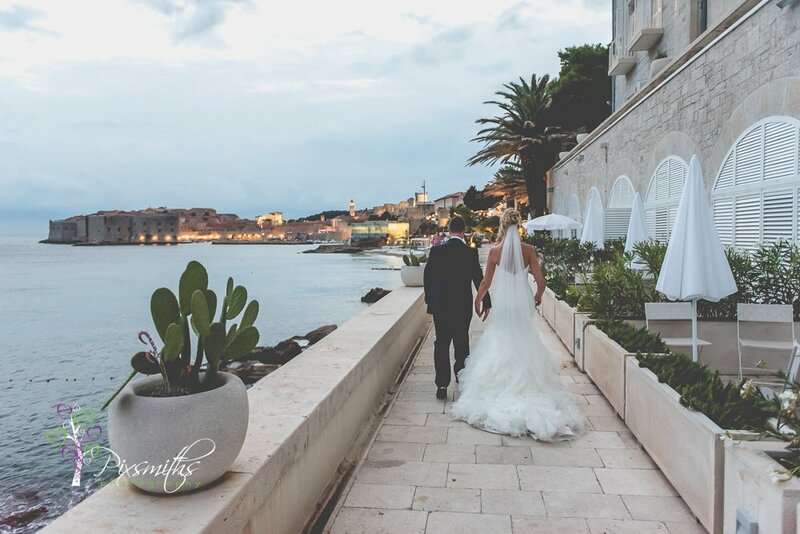 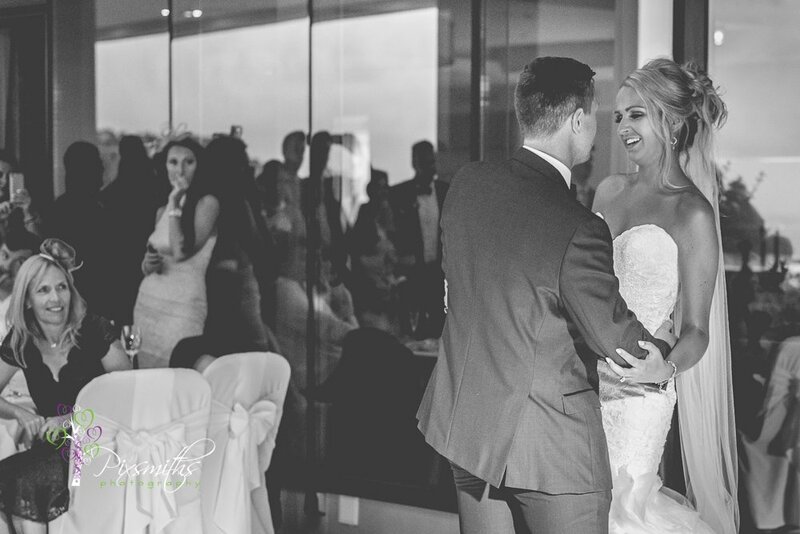 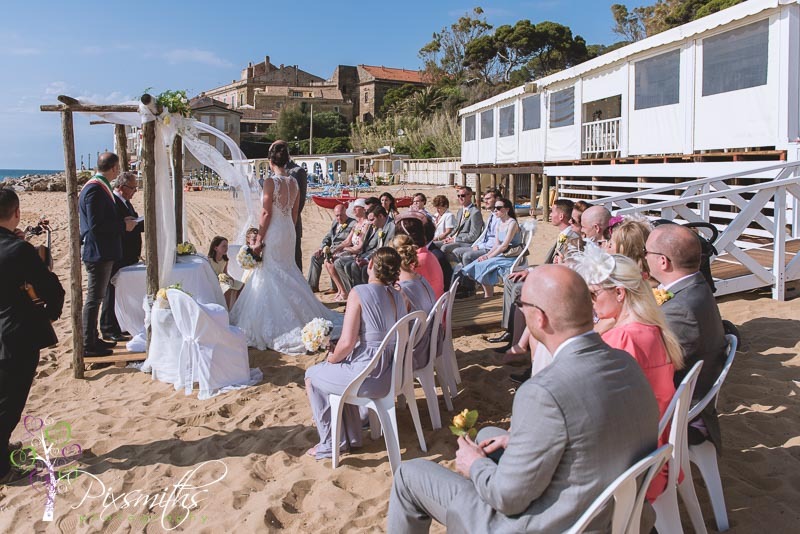 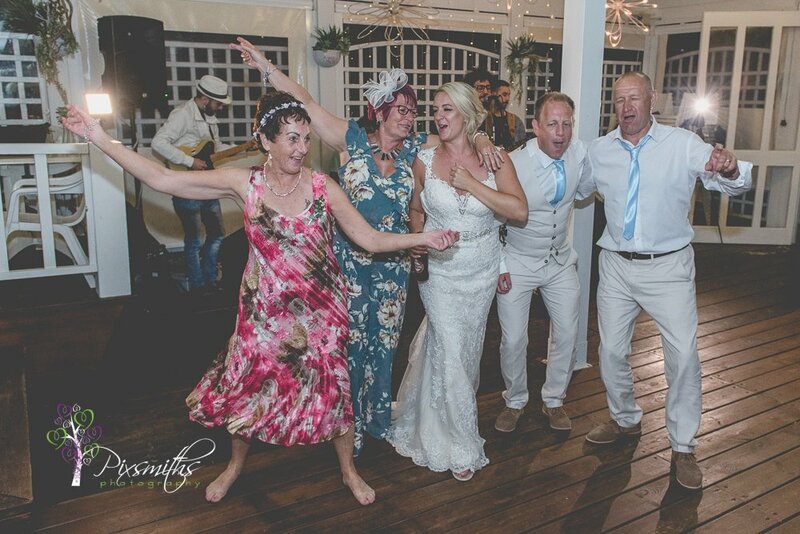 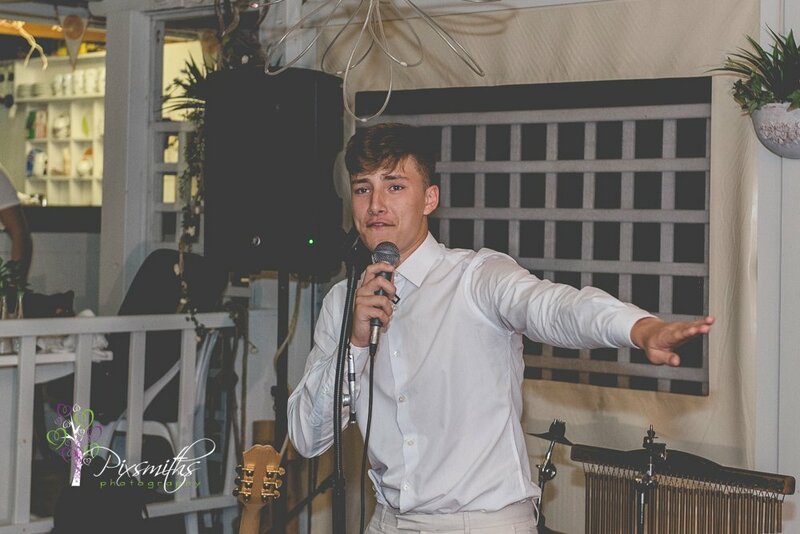 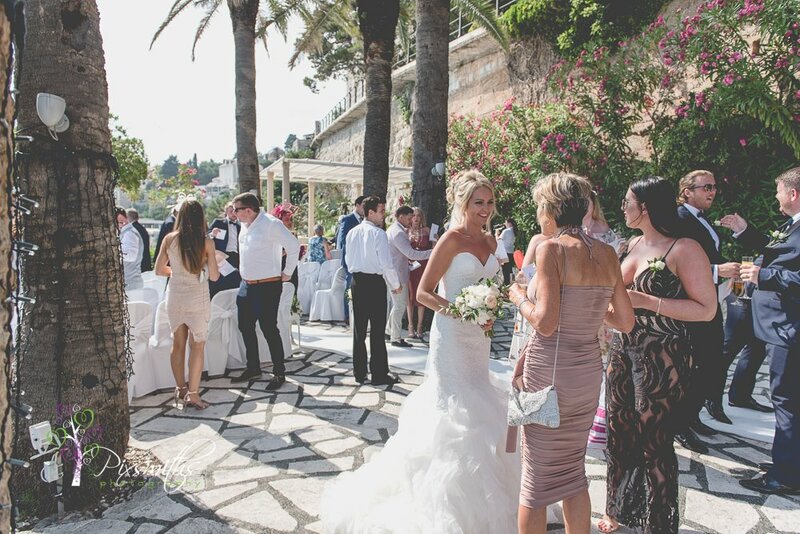 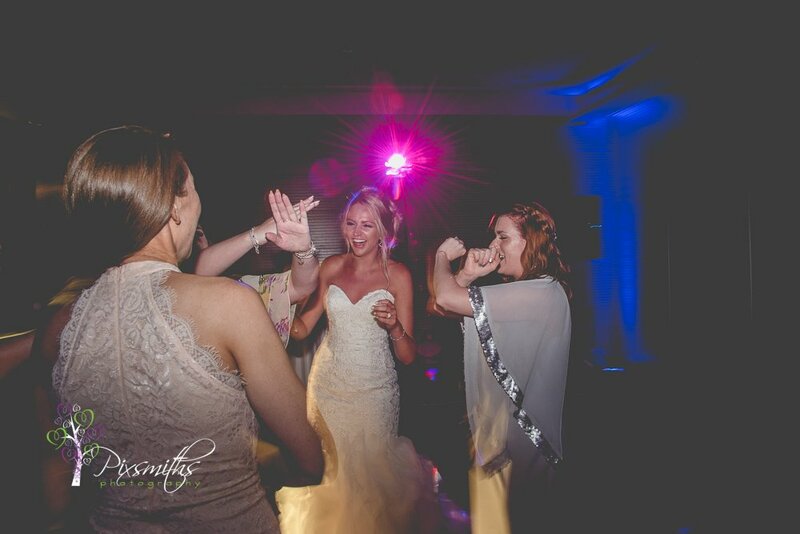 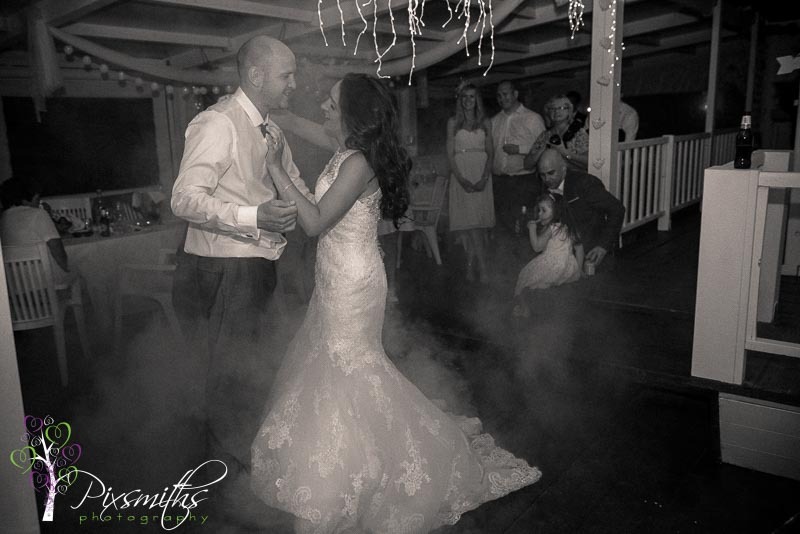 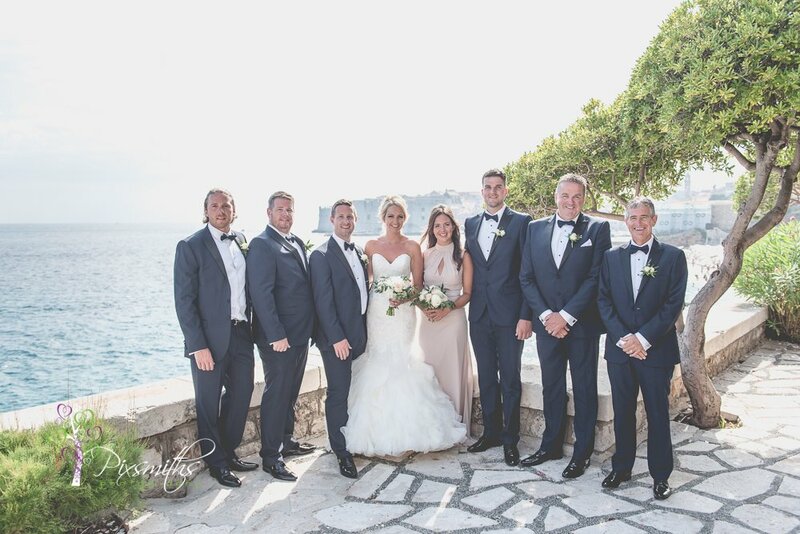 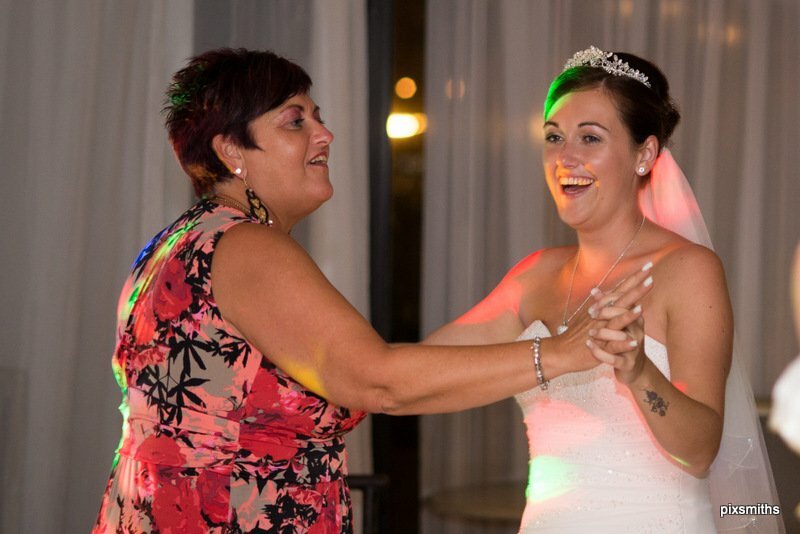 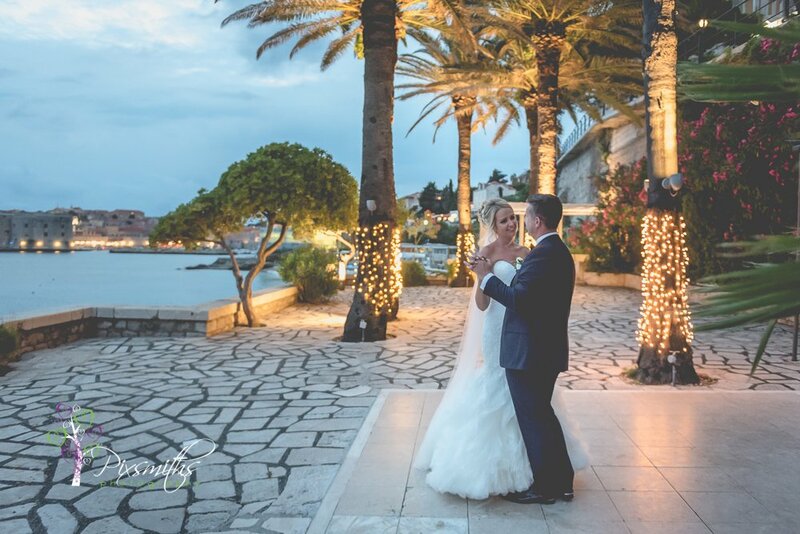 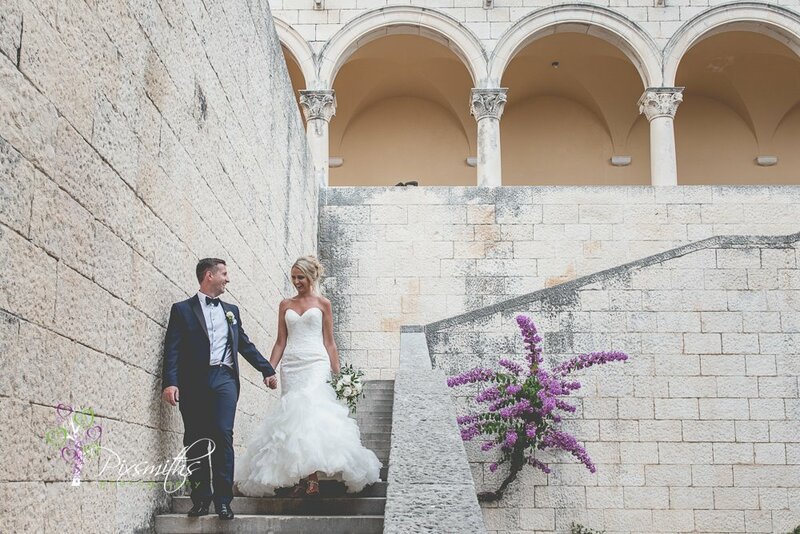 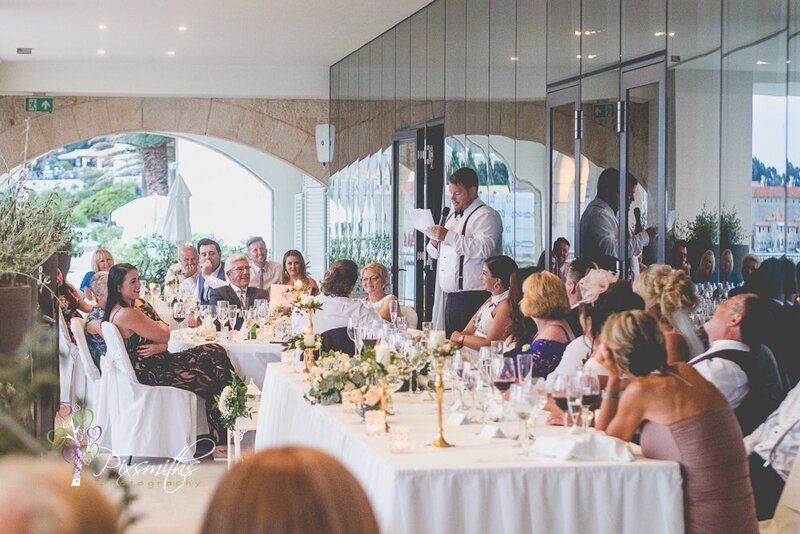 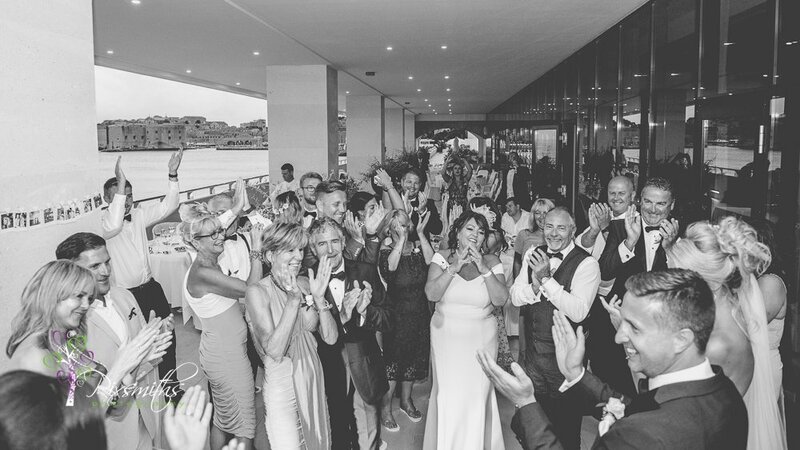 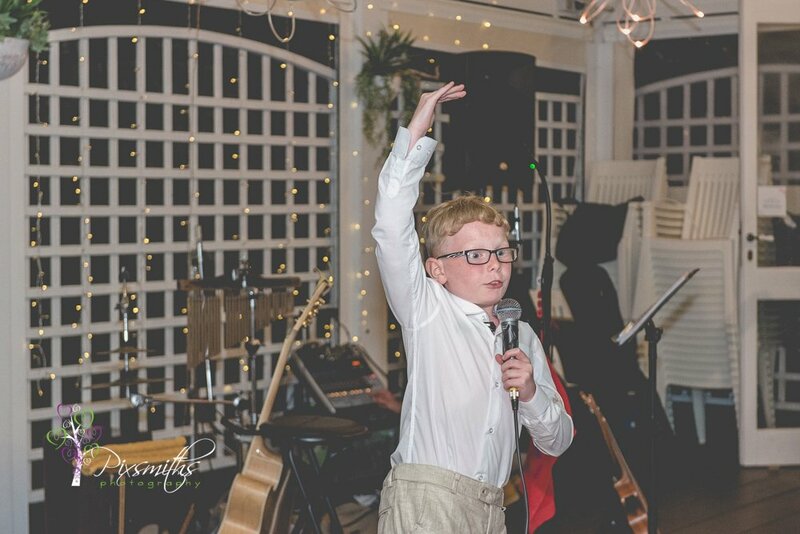 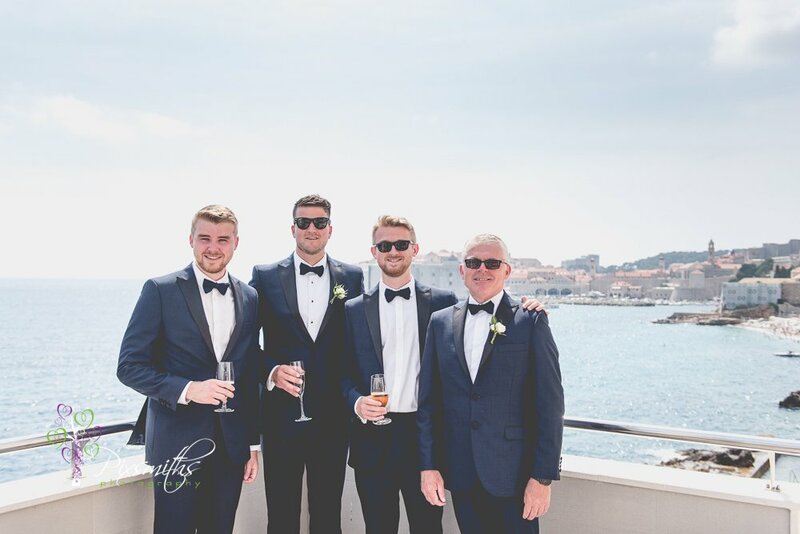 The reception was beautifully situated on an outdoor terrace with adjoining function room..plenty of space for the travelling family and friends. 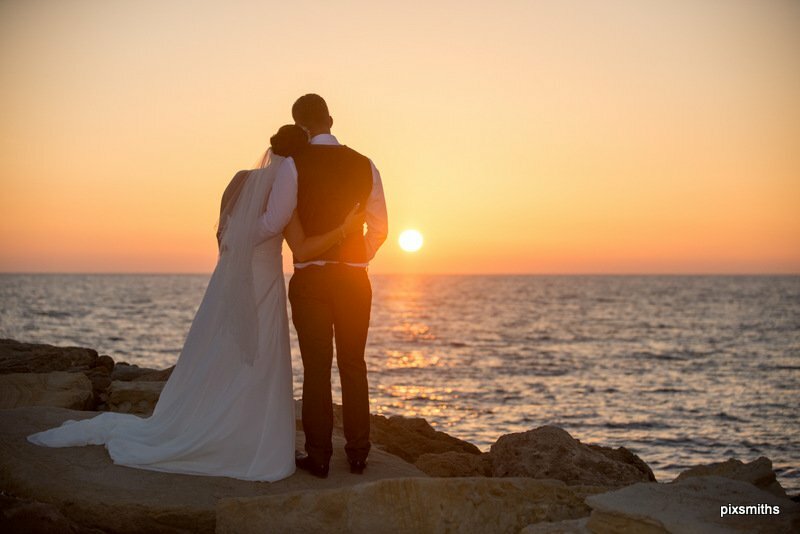 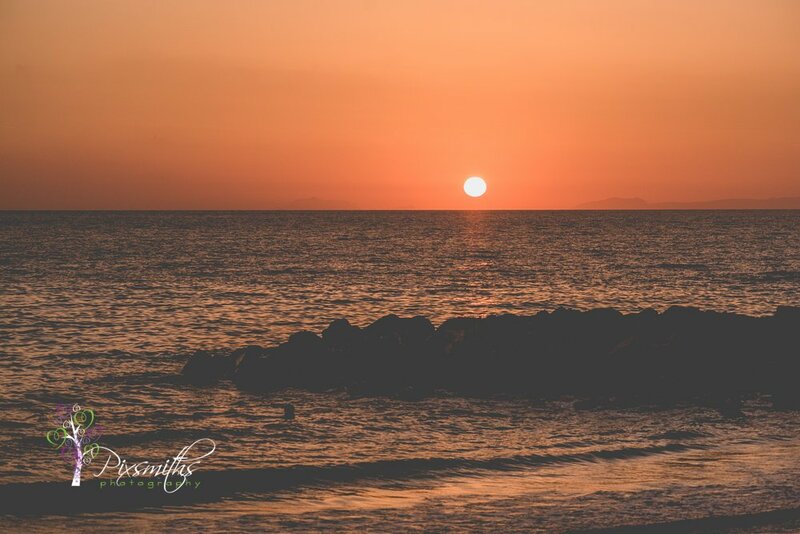 A truly gorgeous sunset made a wonderful setting for some additional bridal portraits..the ship sailing in just added to the perfect picture. 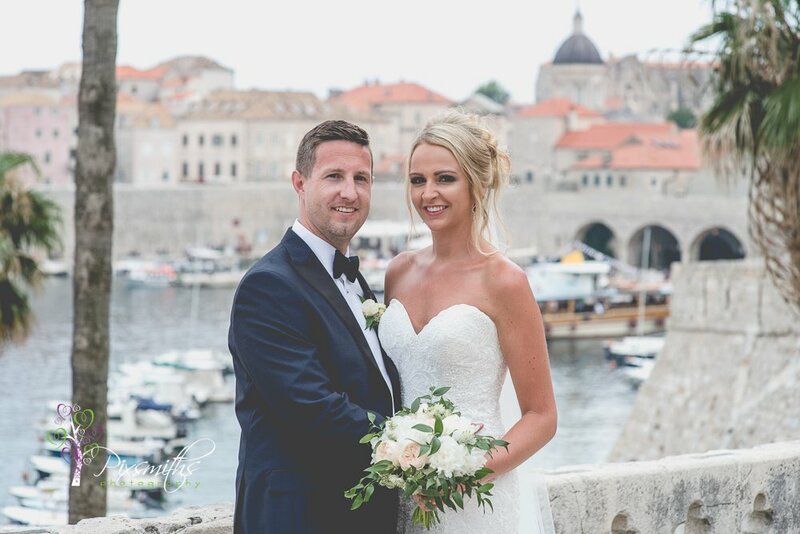 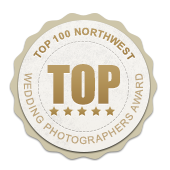 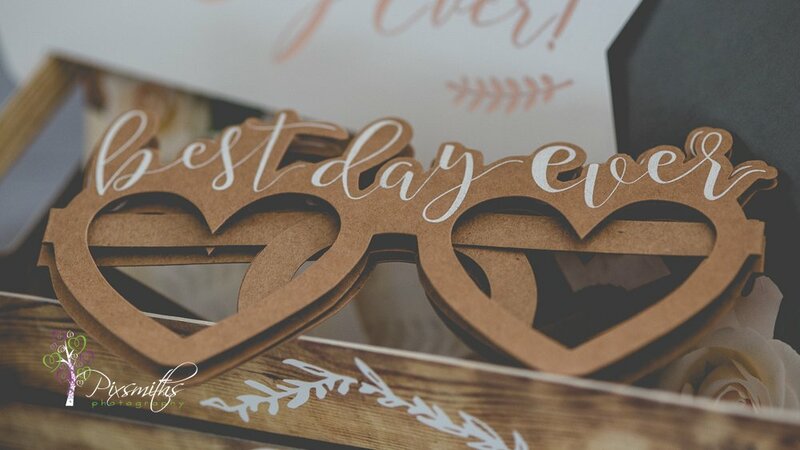 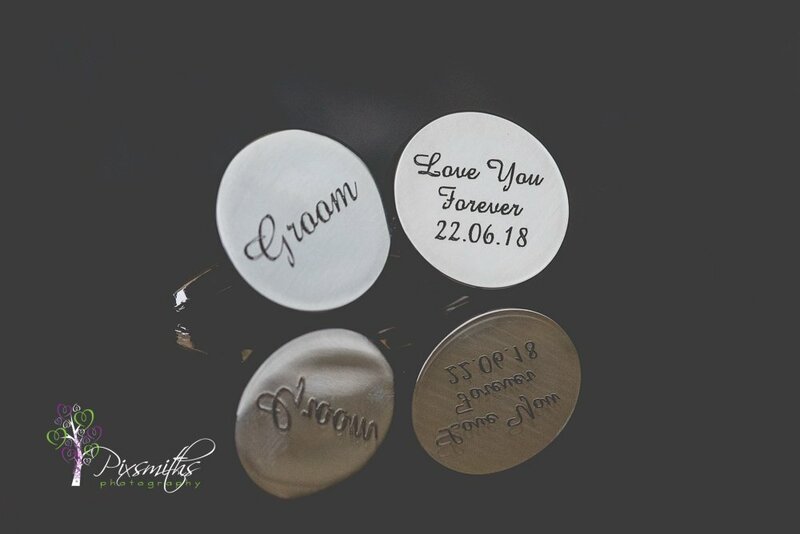 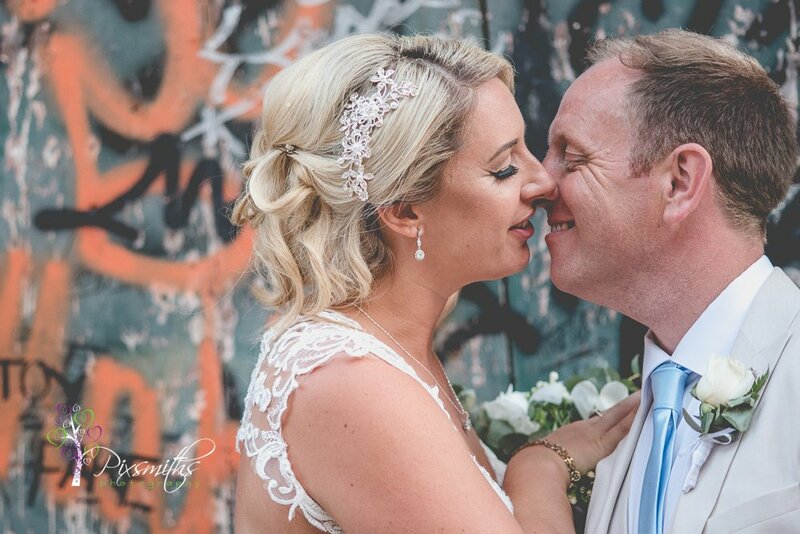 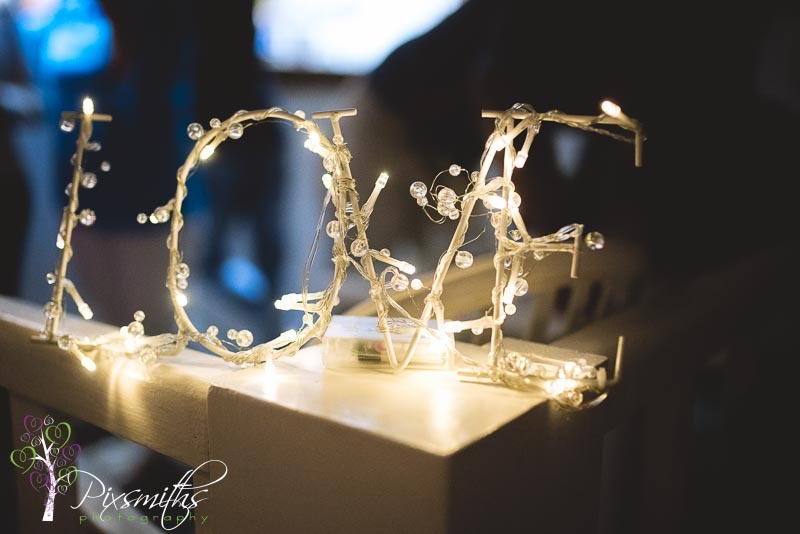 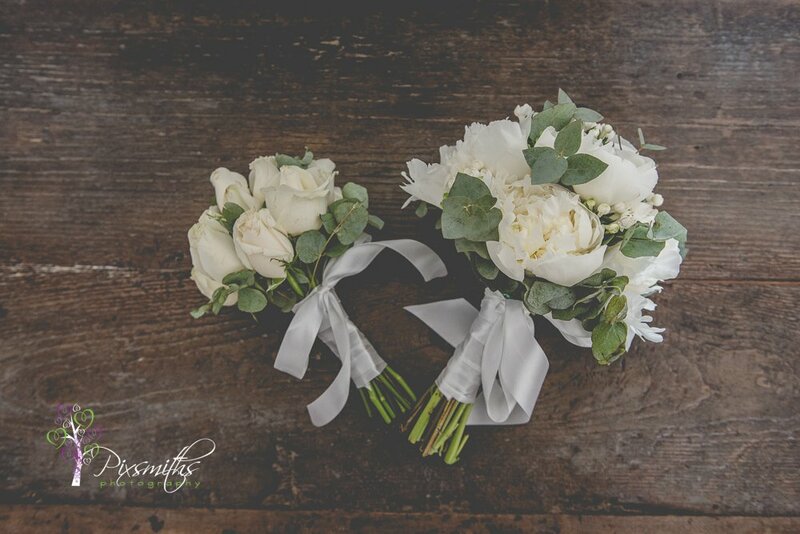 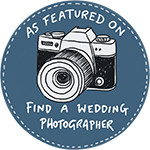 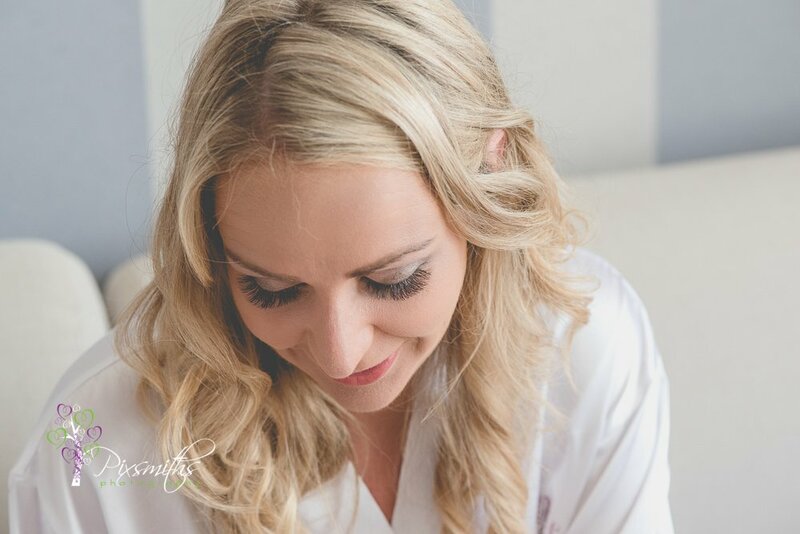 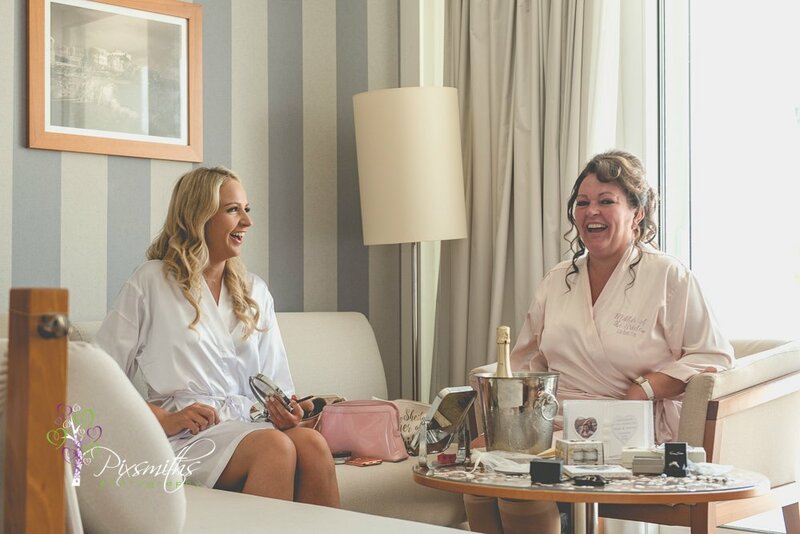 Many congratulations to Natalie and David, thank you so much for asking us to capture your amazing day, wouldn’t have missed it for anything, and we wish you much continued happiness.